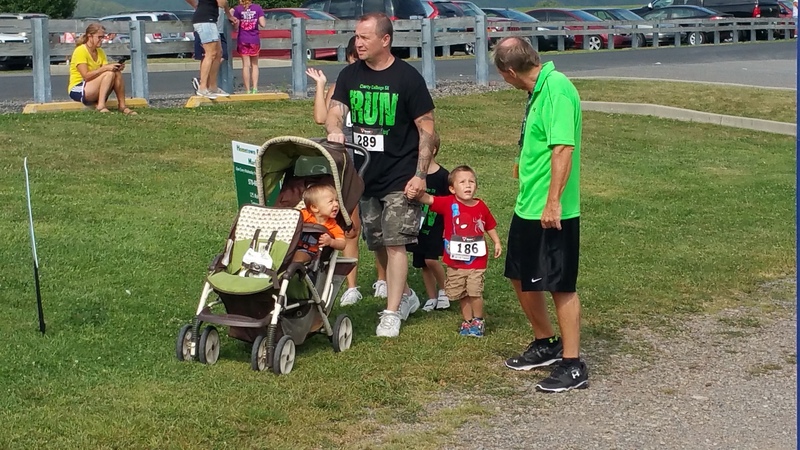 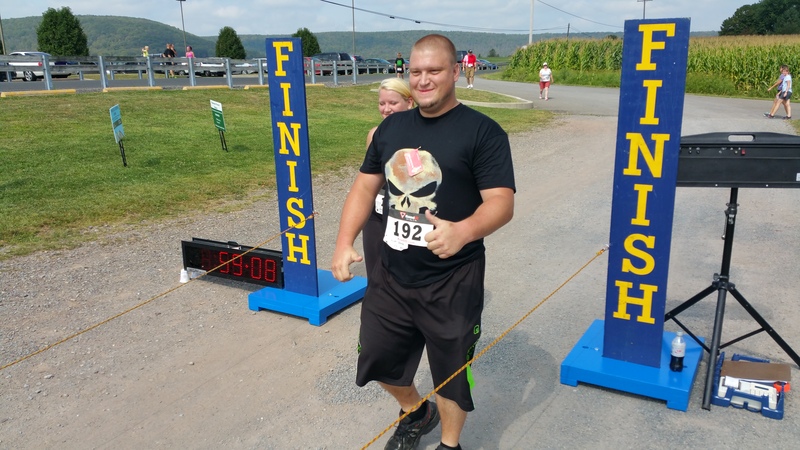 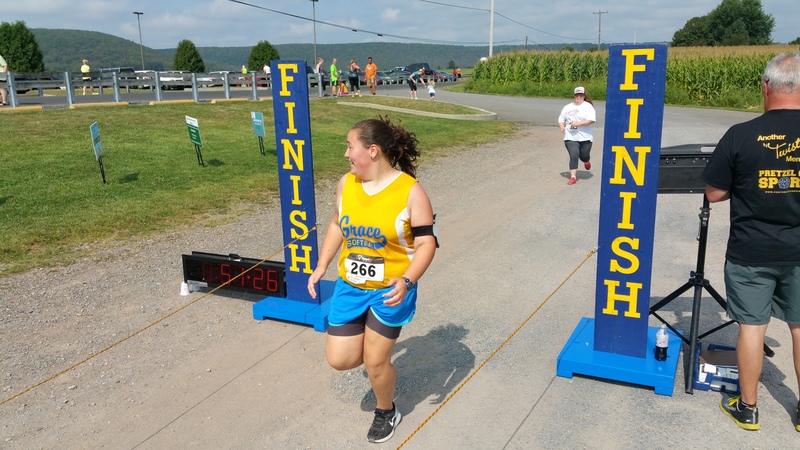 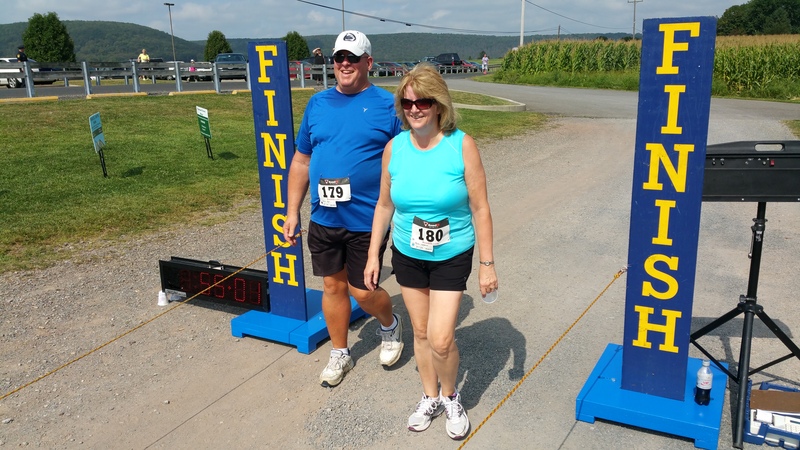 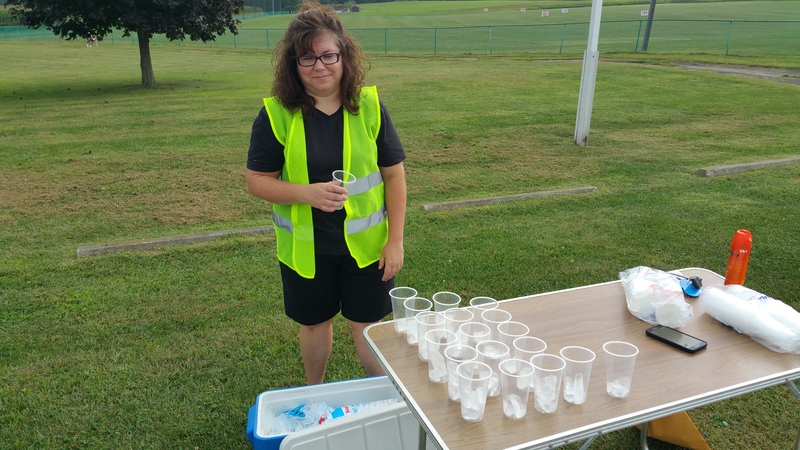 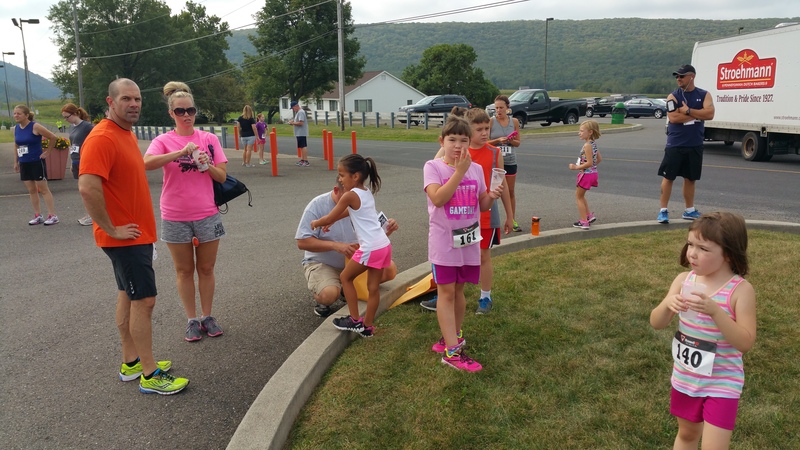 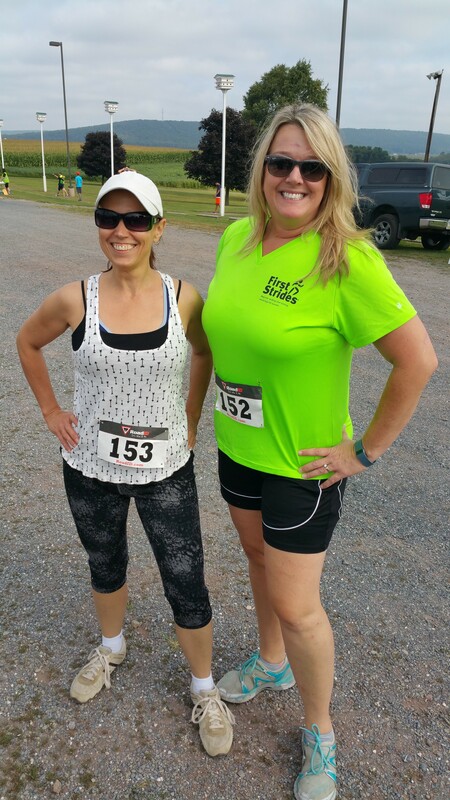 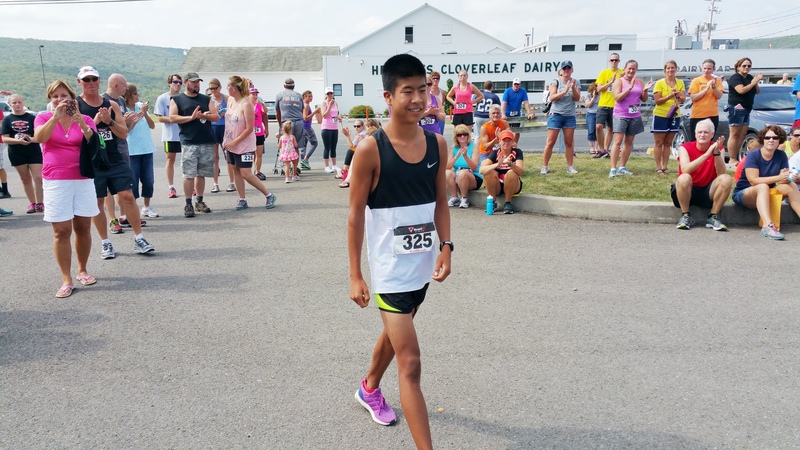 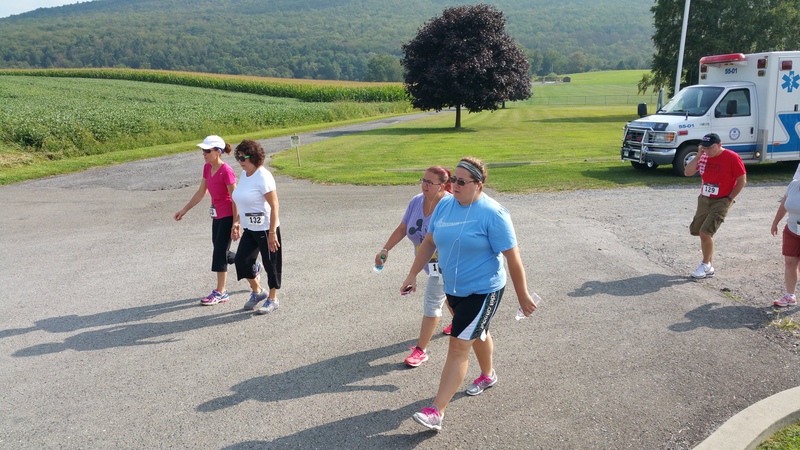 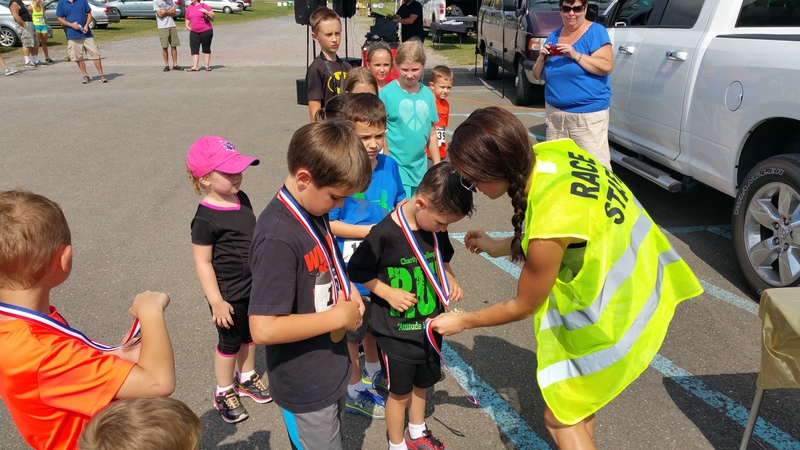 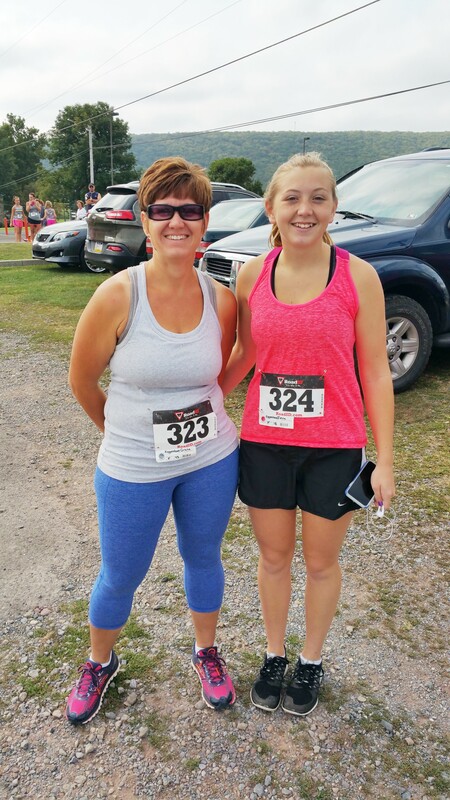 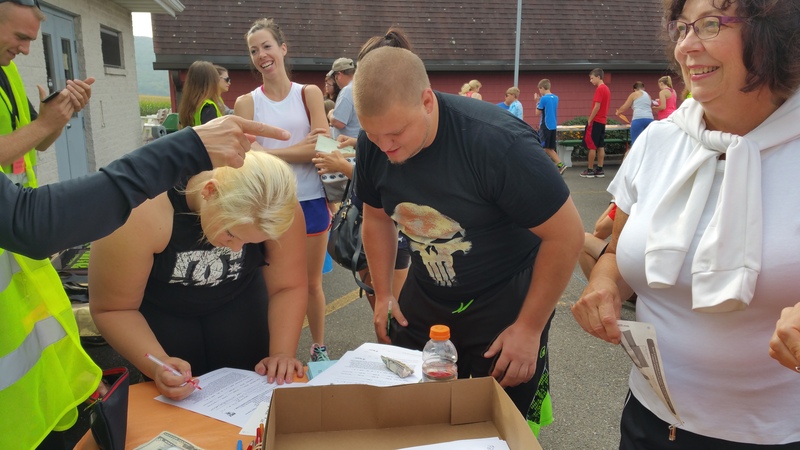 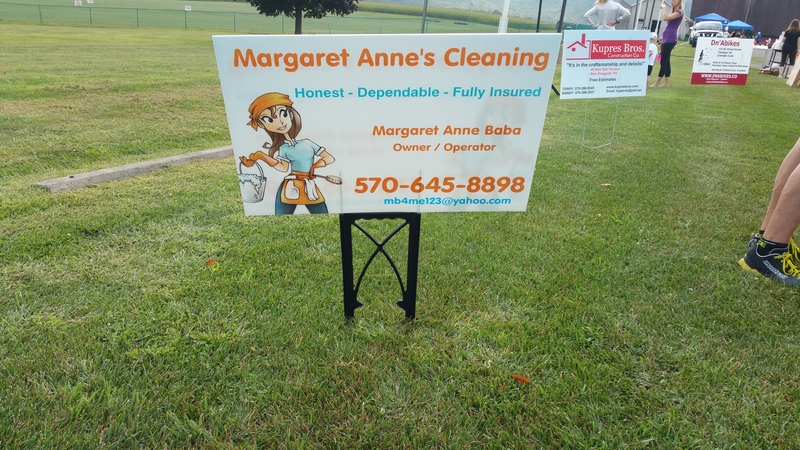 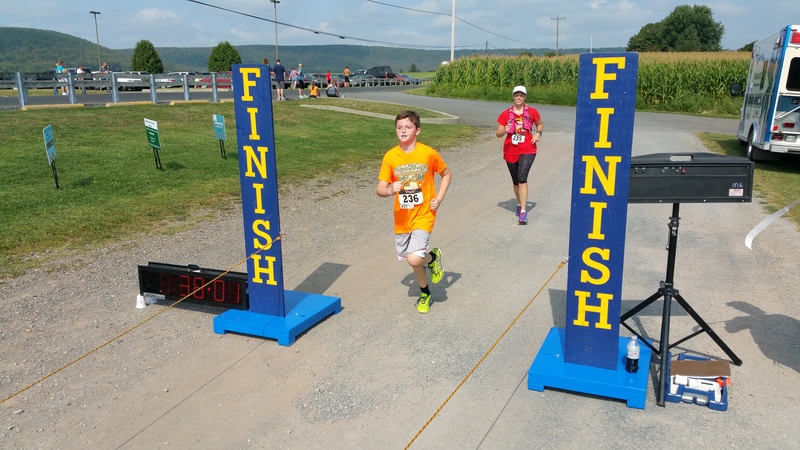 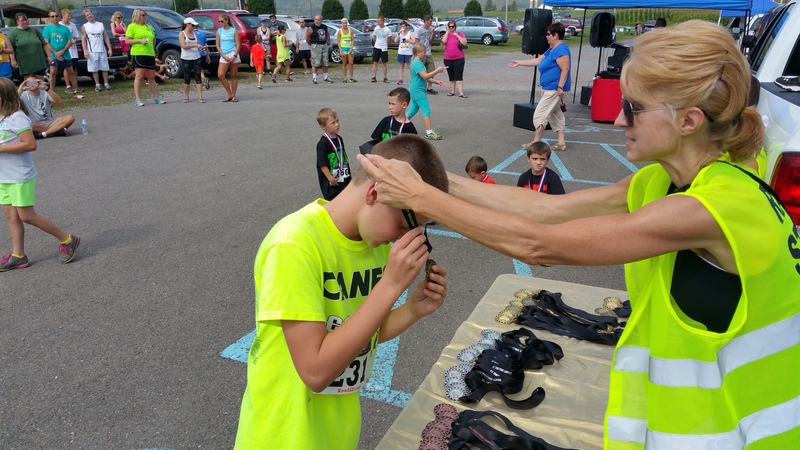 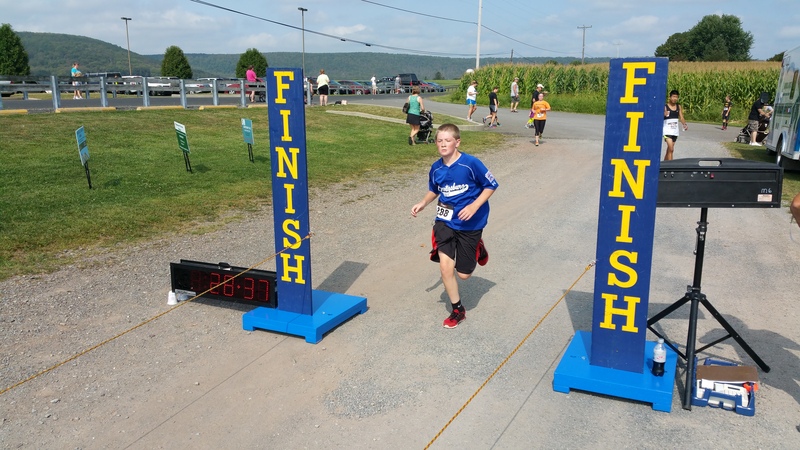 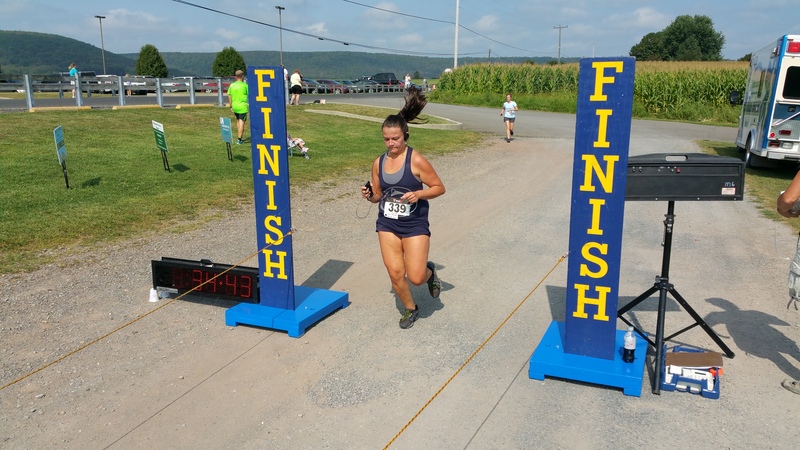 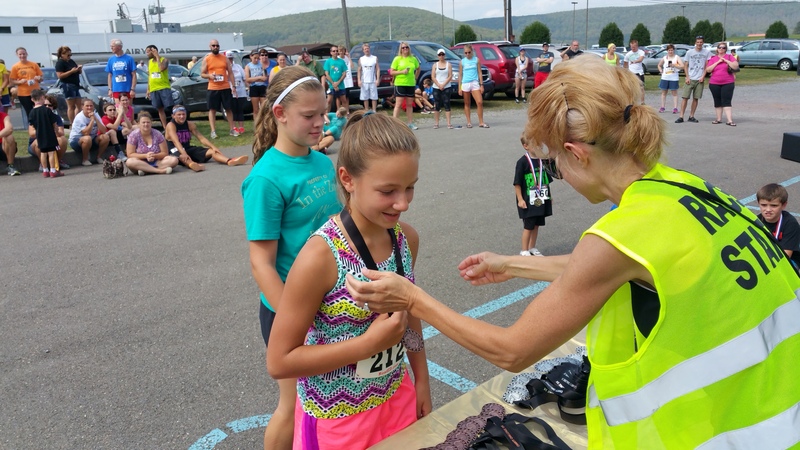 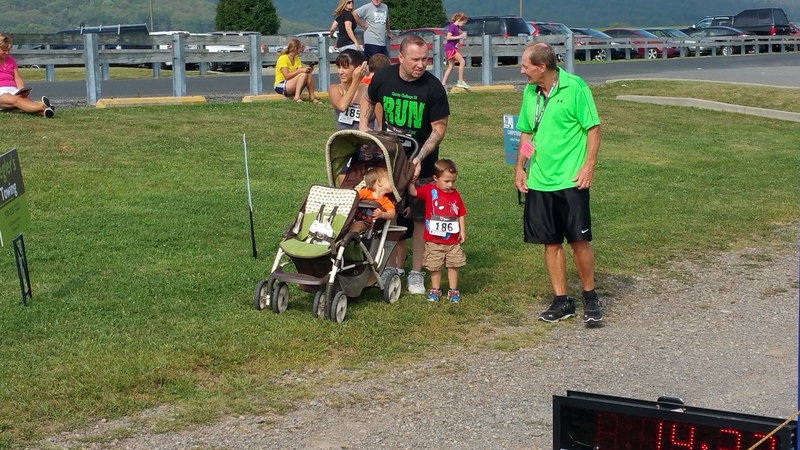 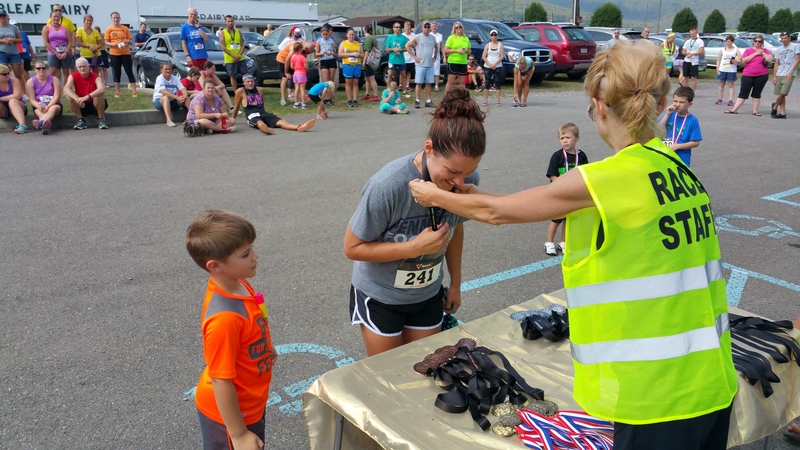 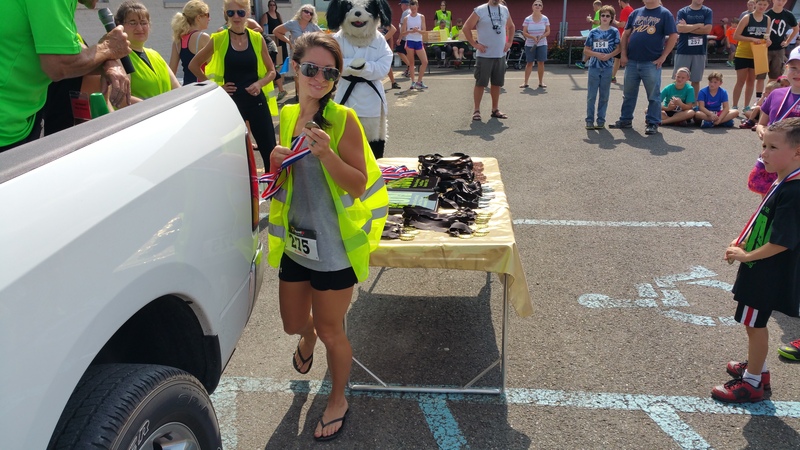 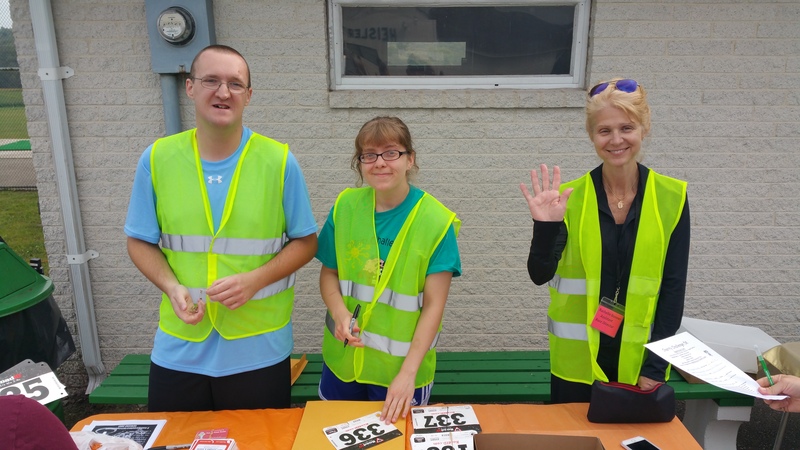 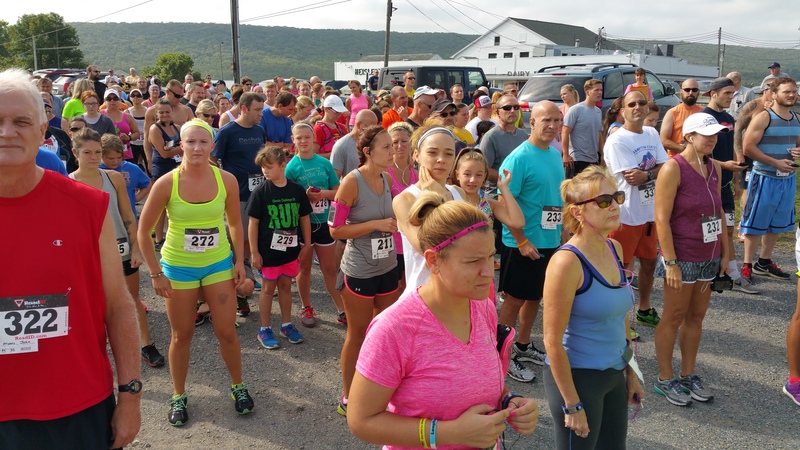 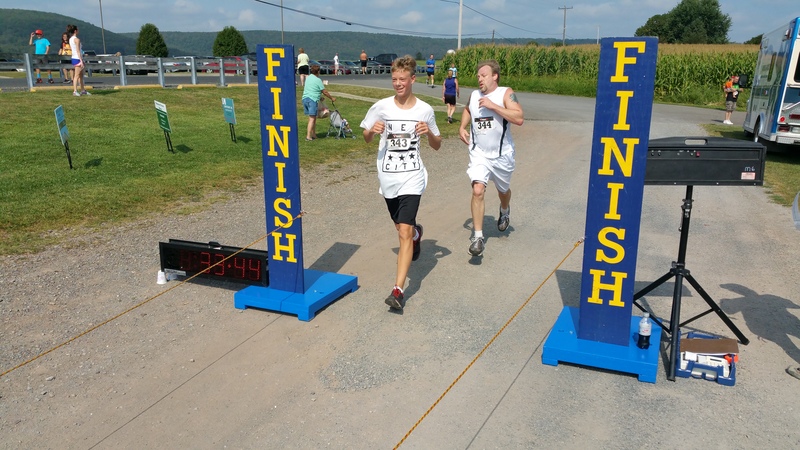 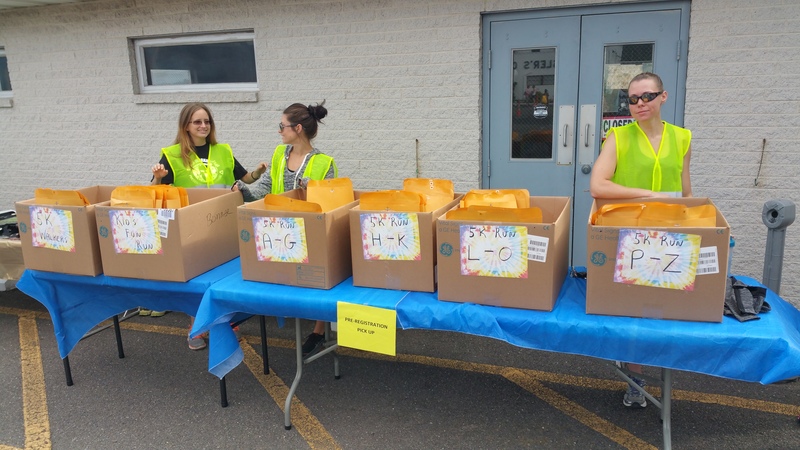 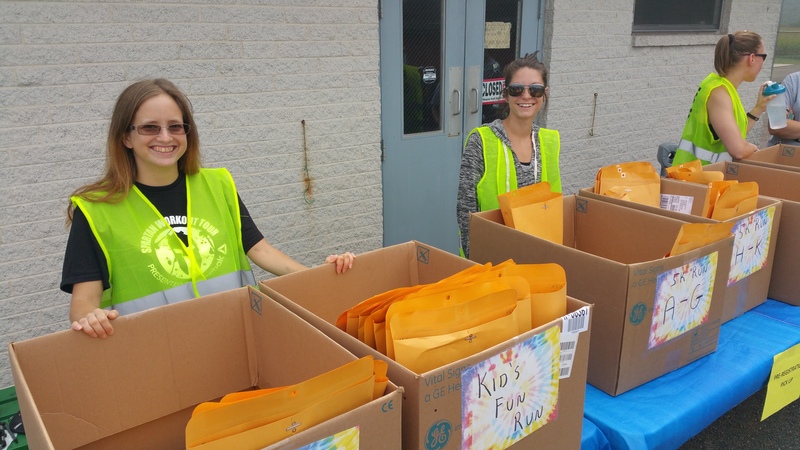 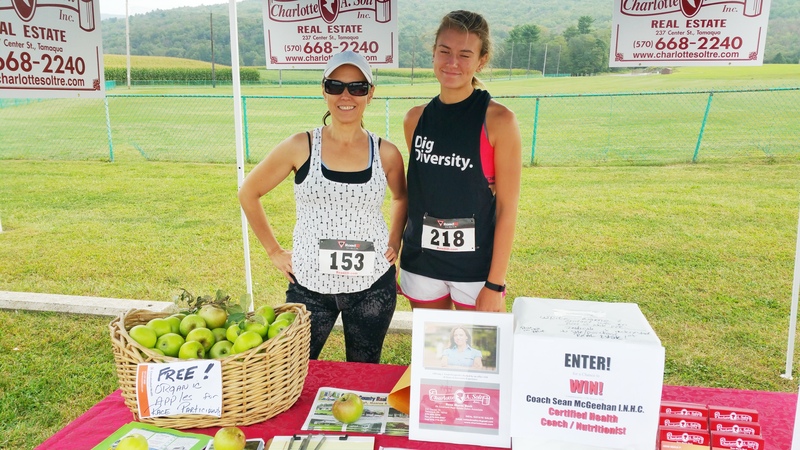 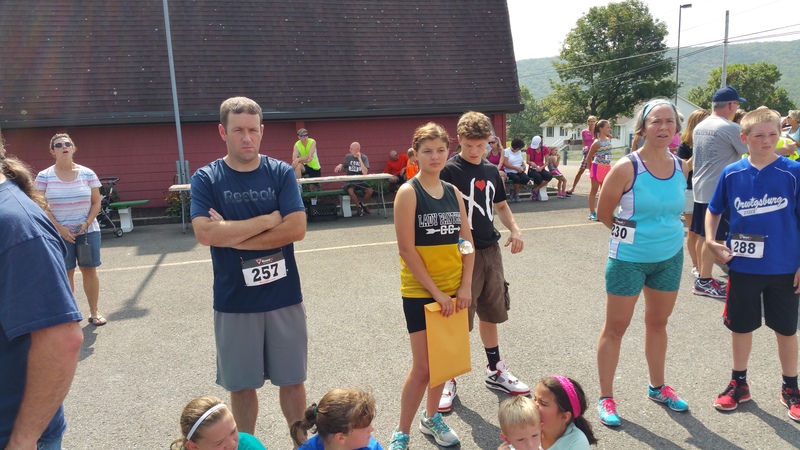 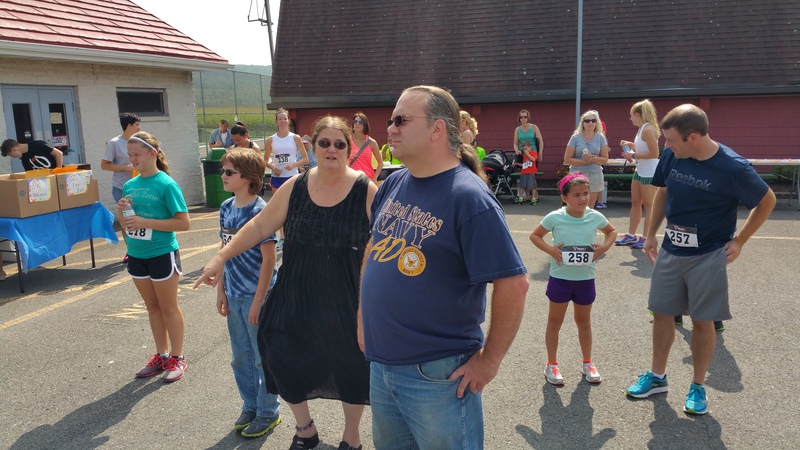 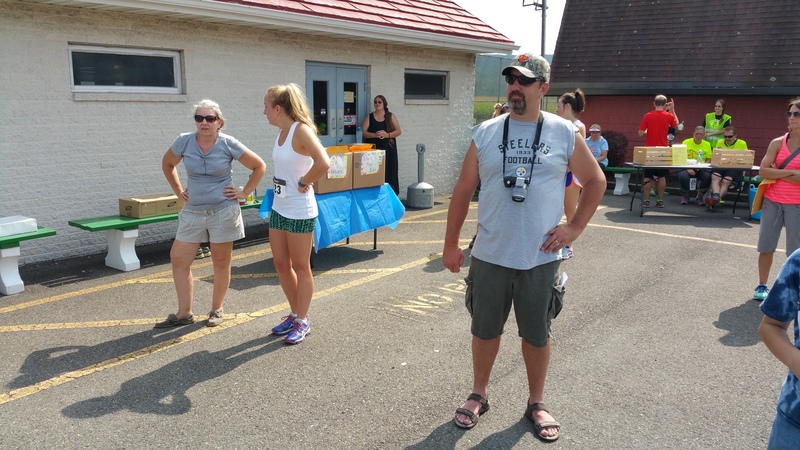 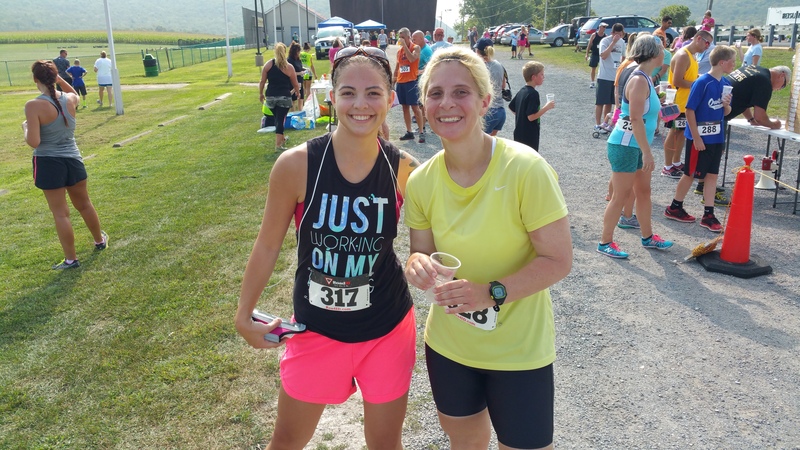 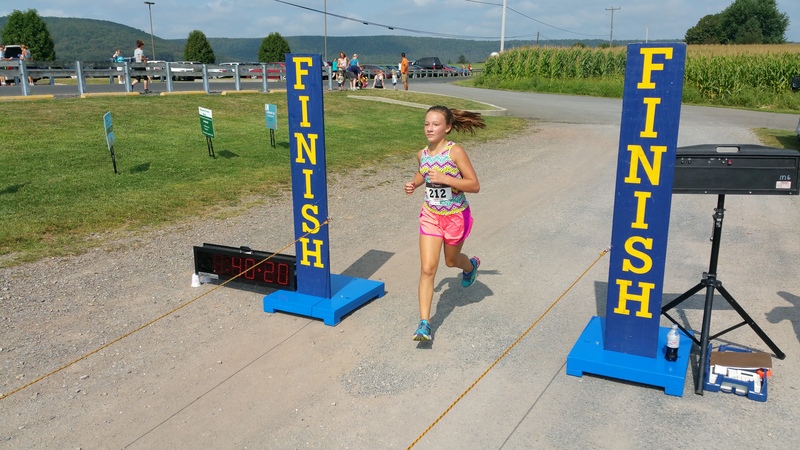 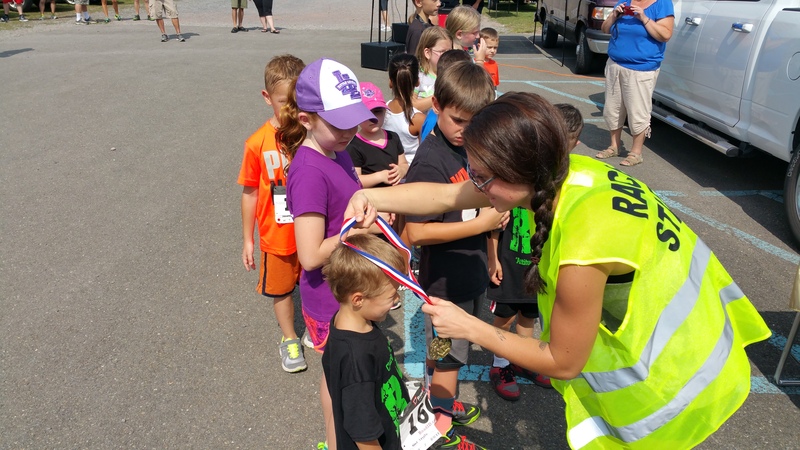 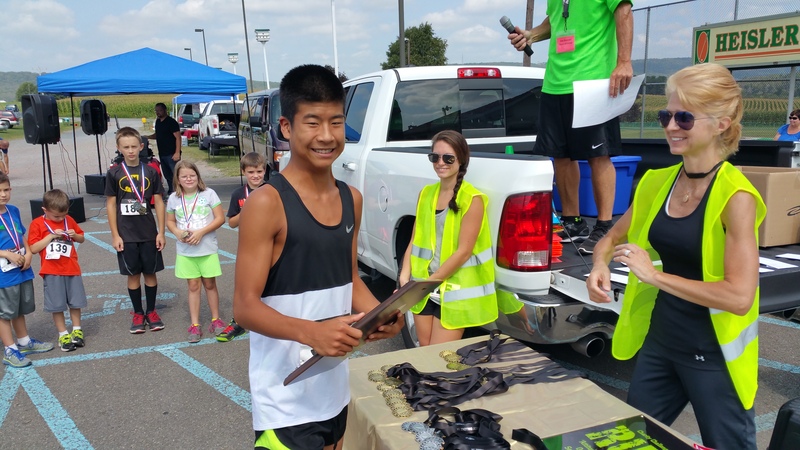 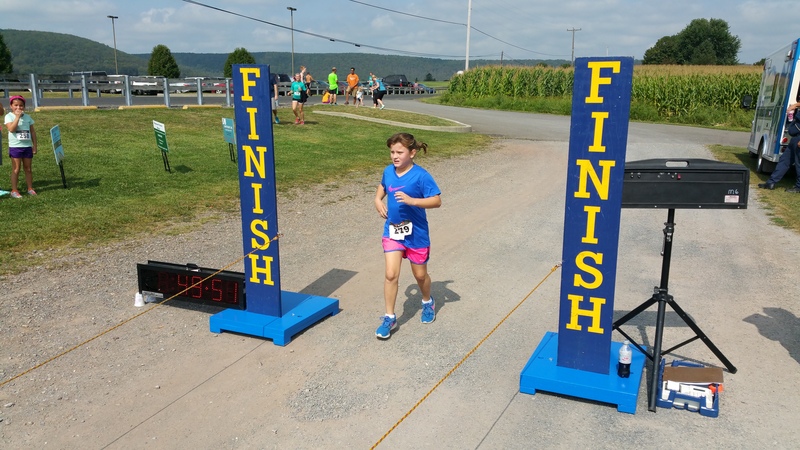 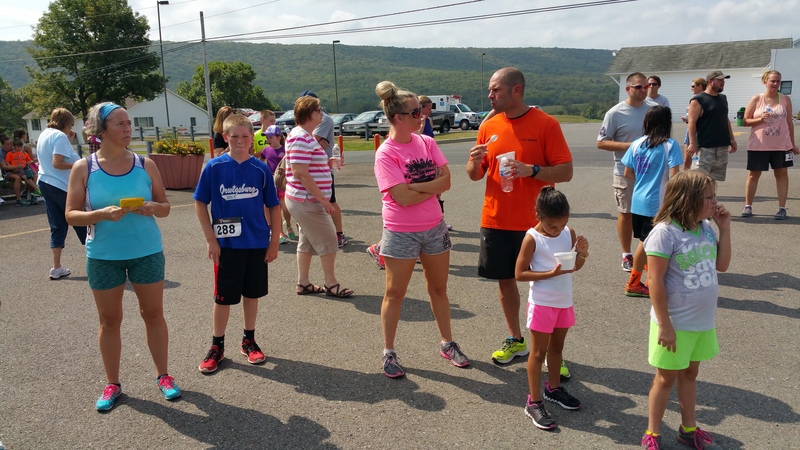 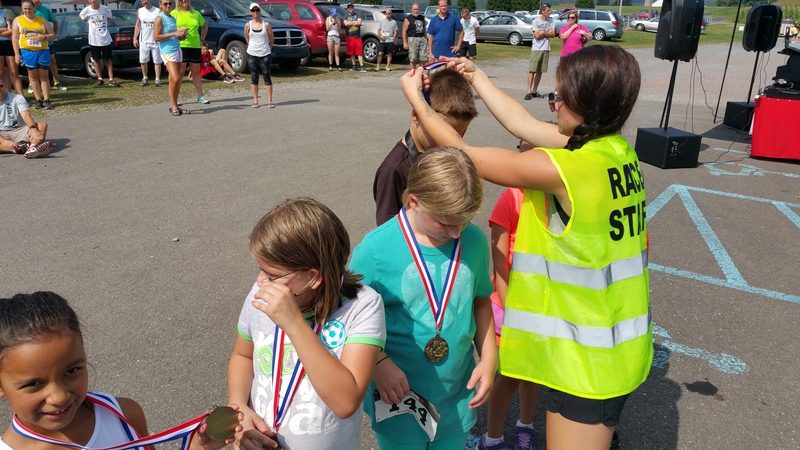 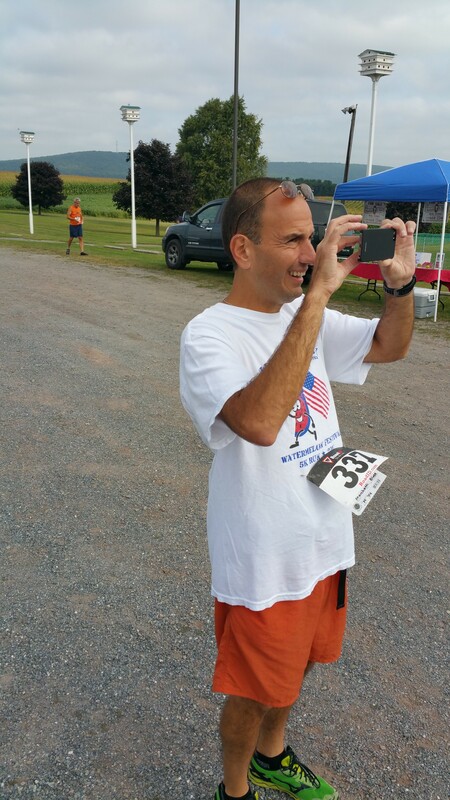 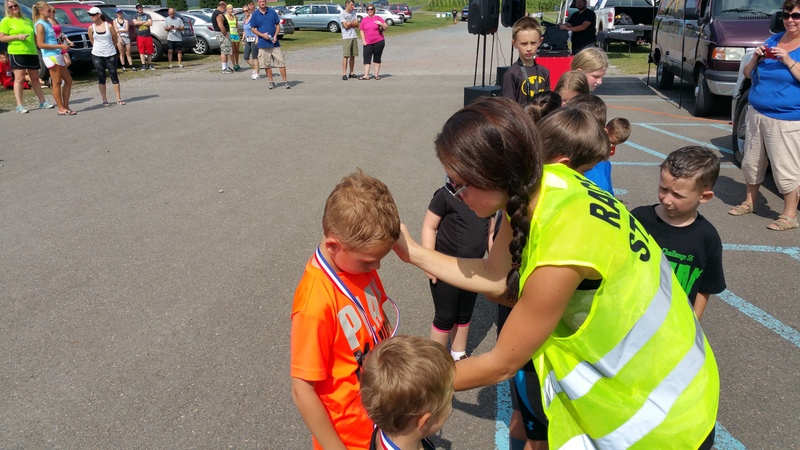 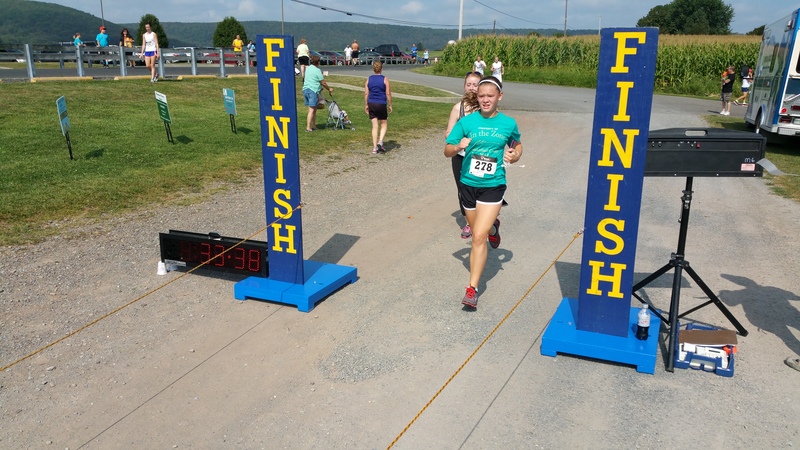 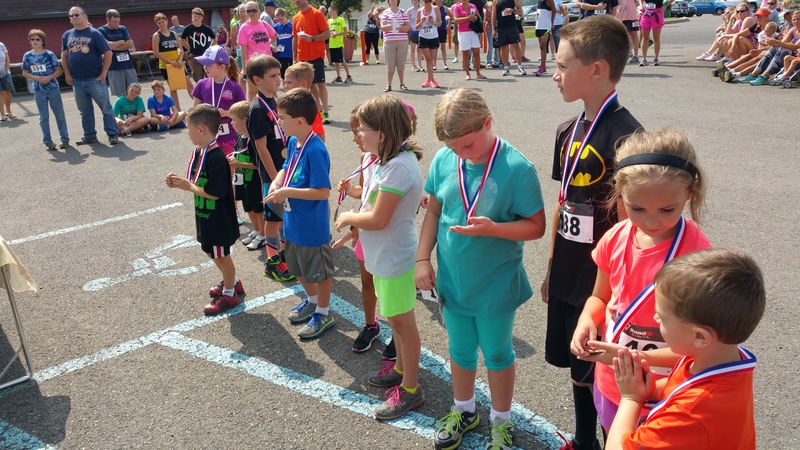 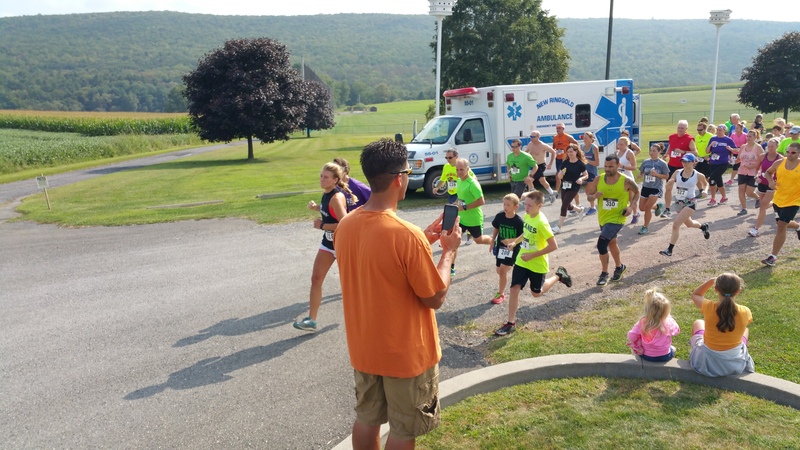 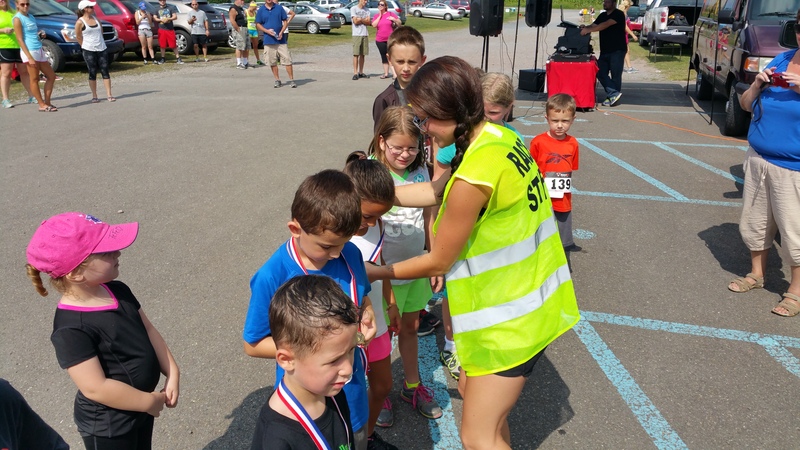 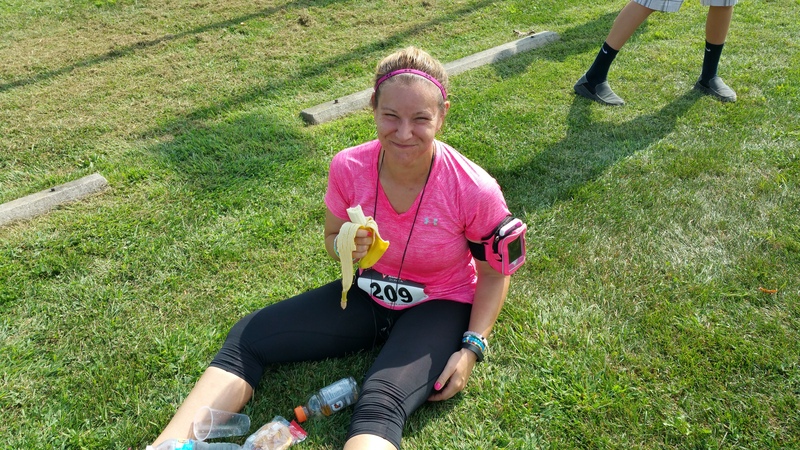 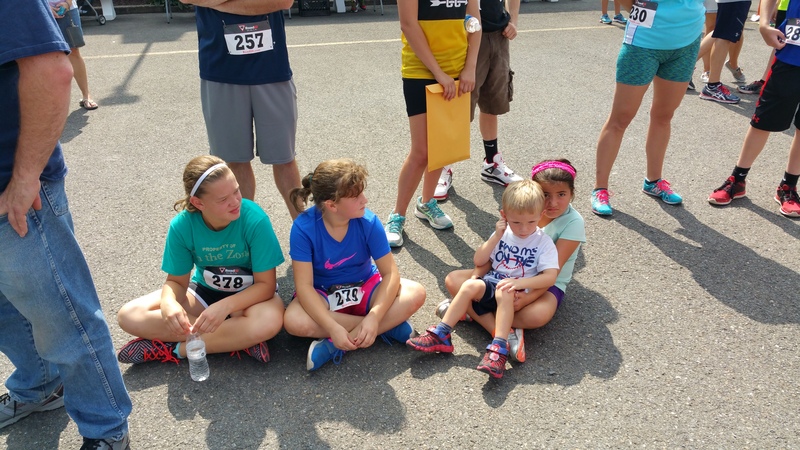 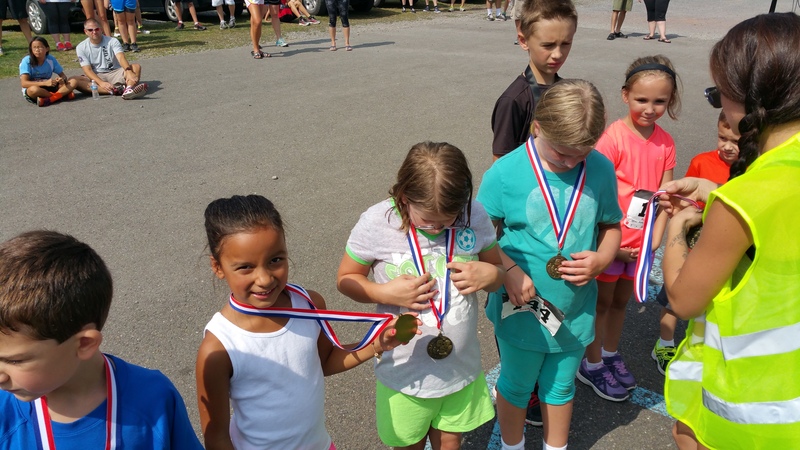 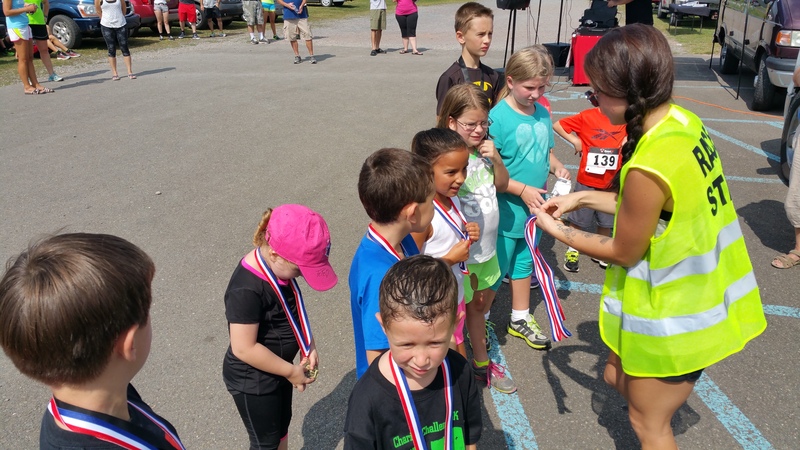 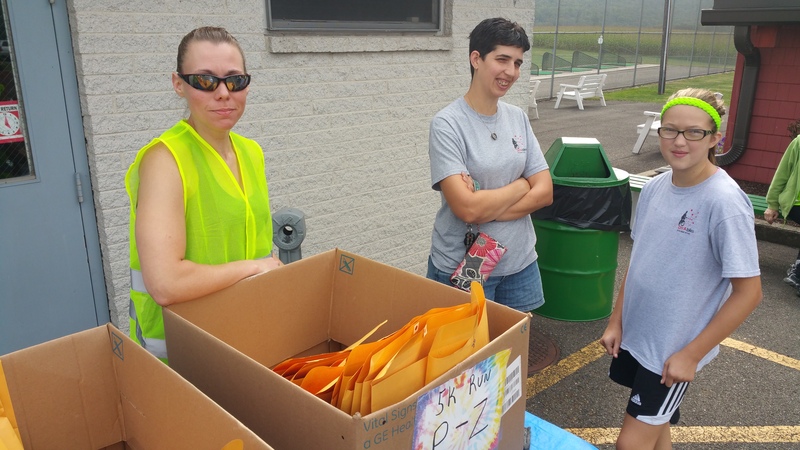 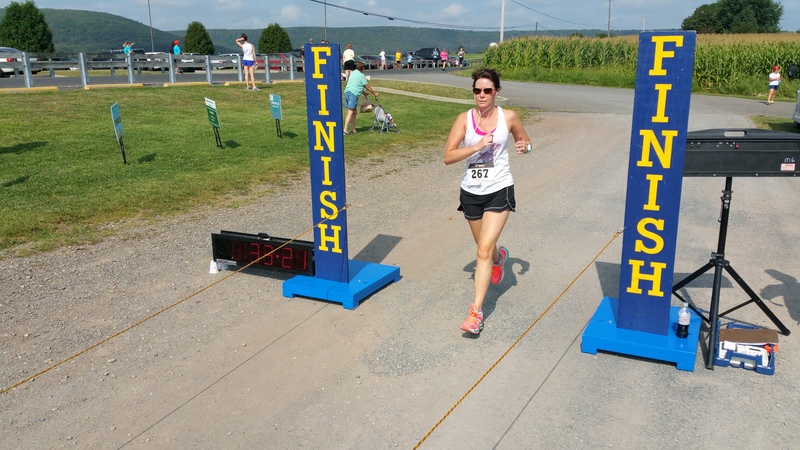 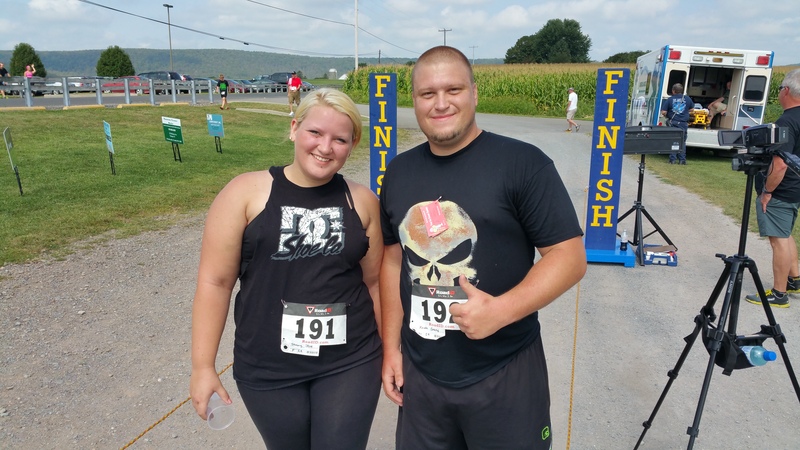 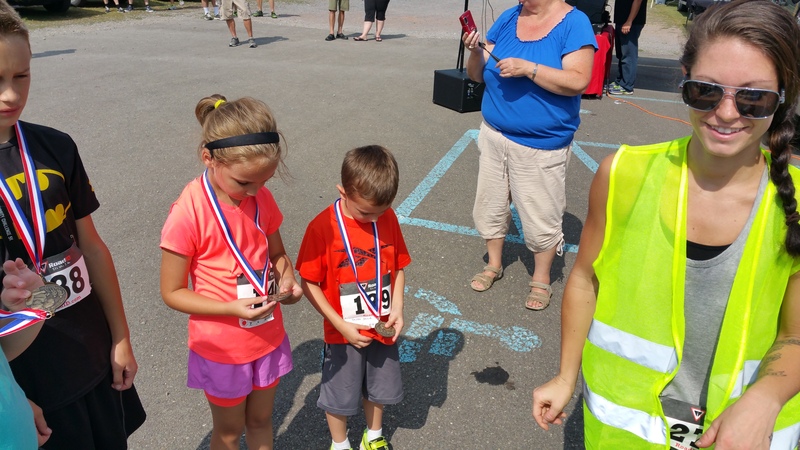 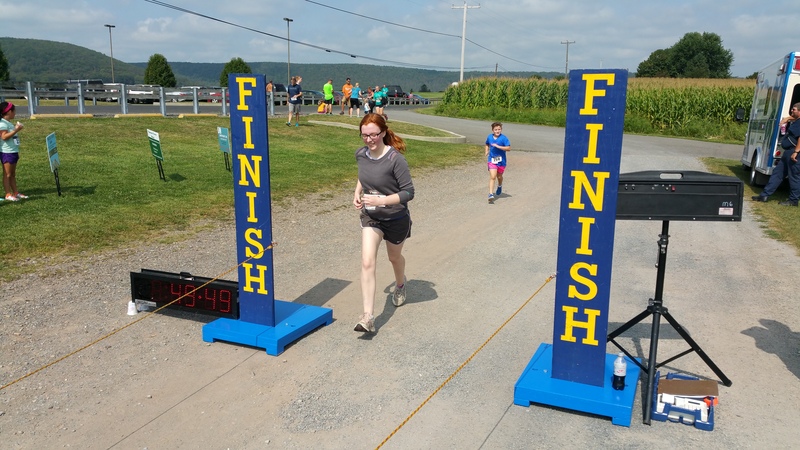 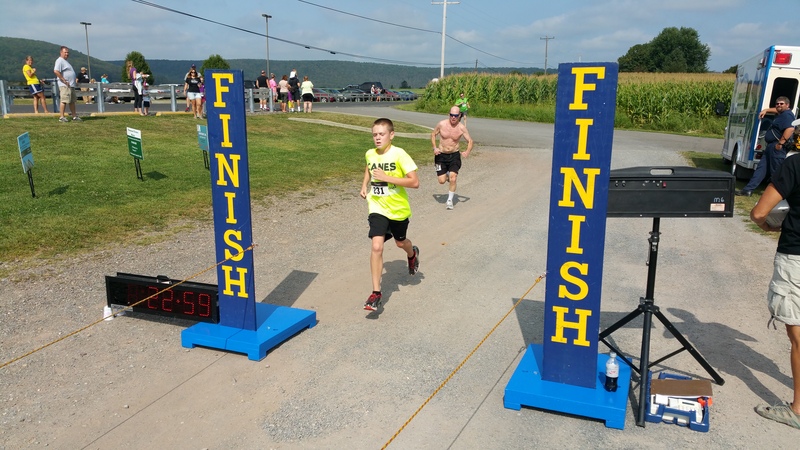 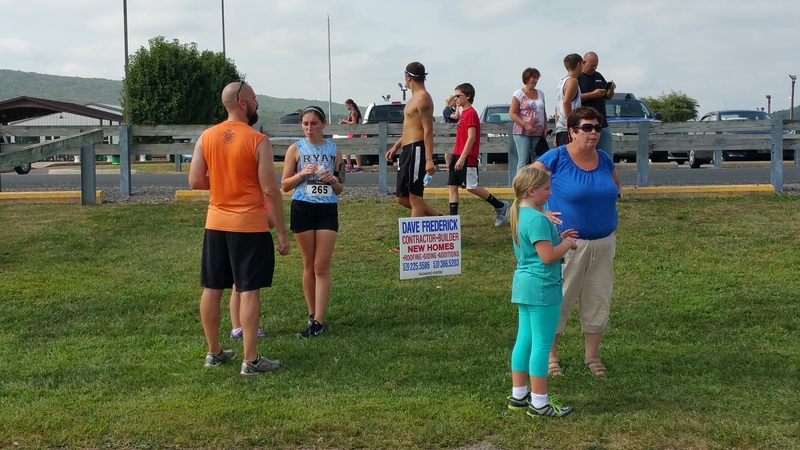 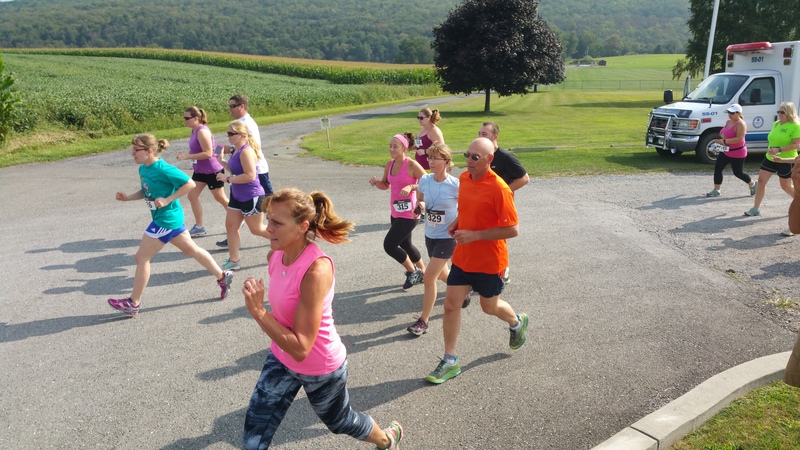 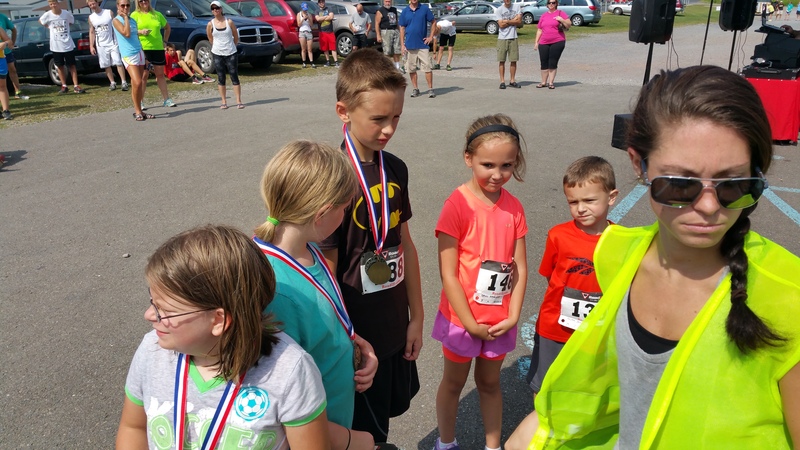 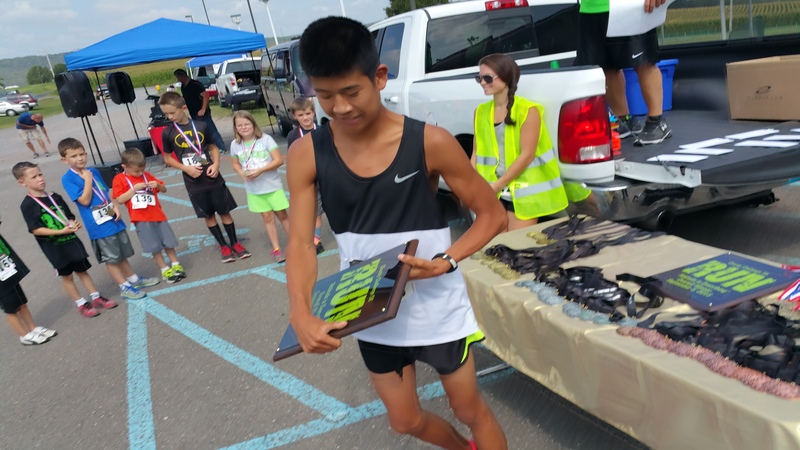 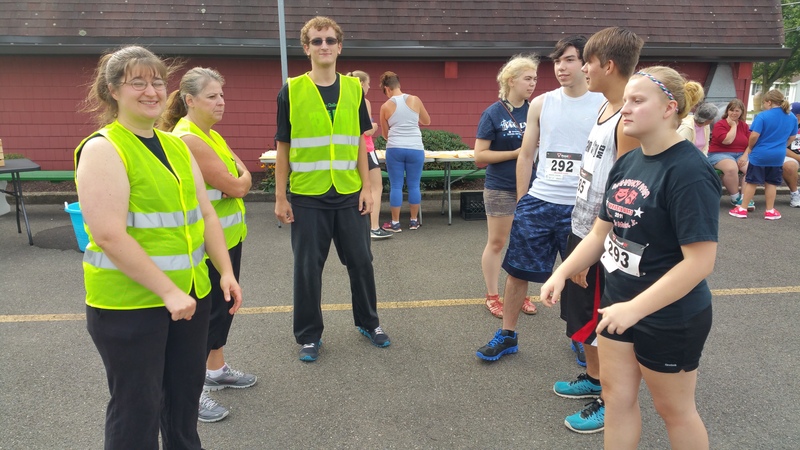 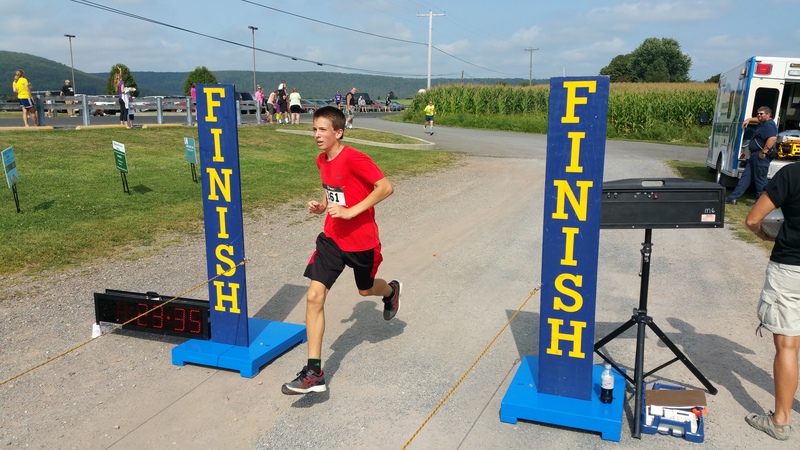 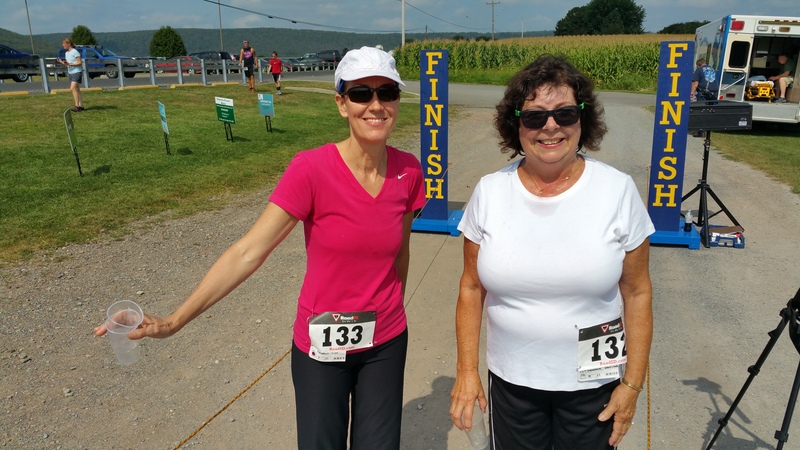 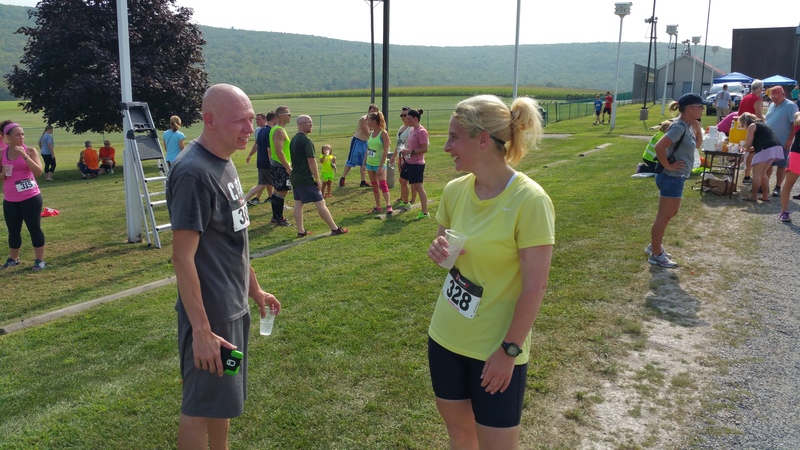 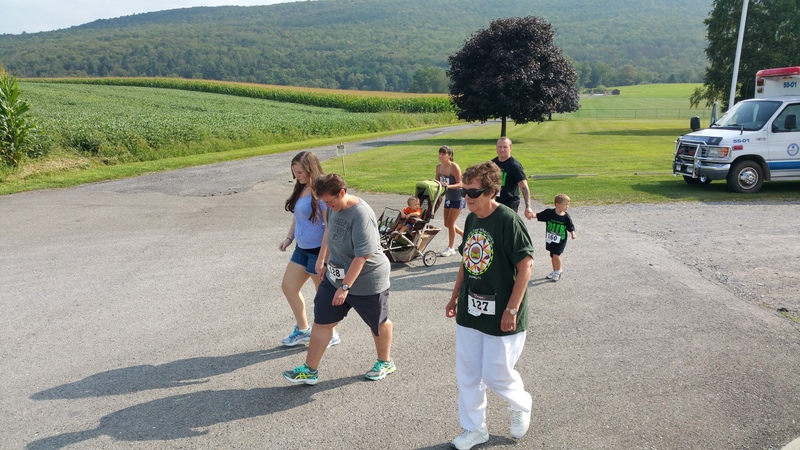 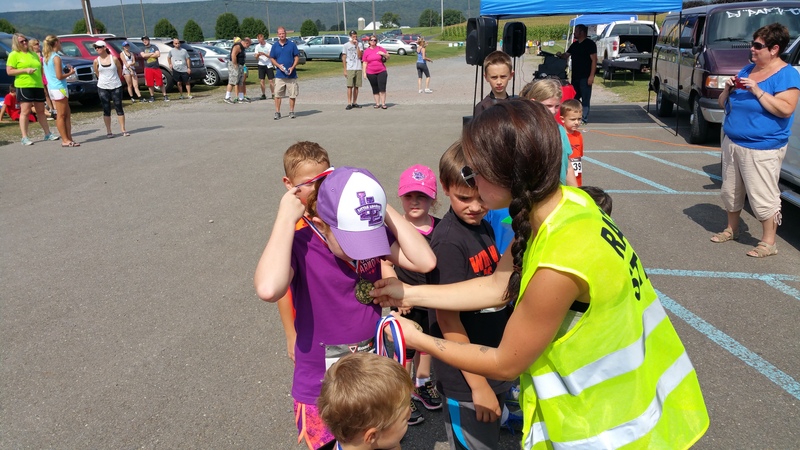 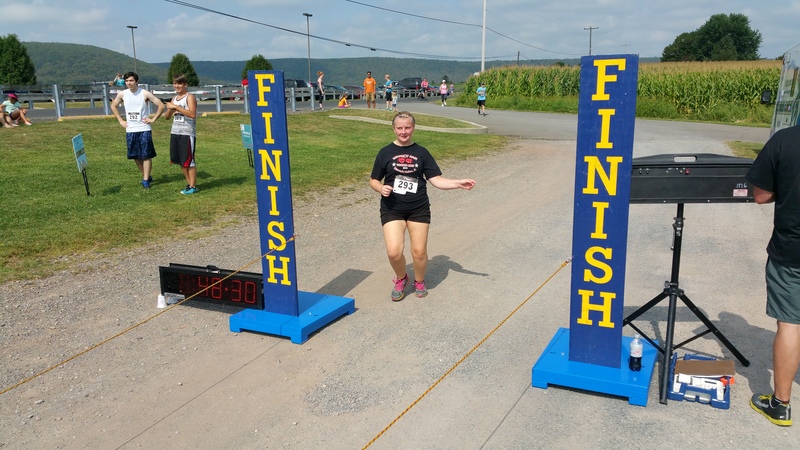 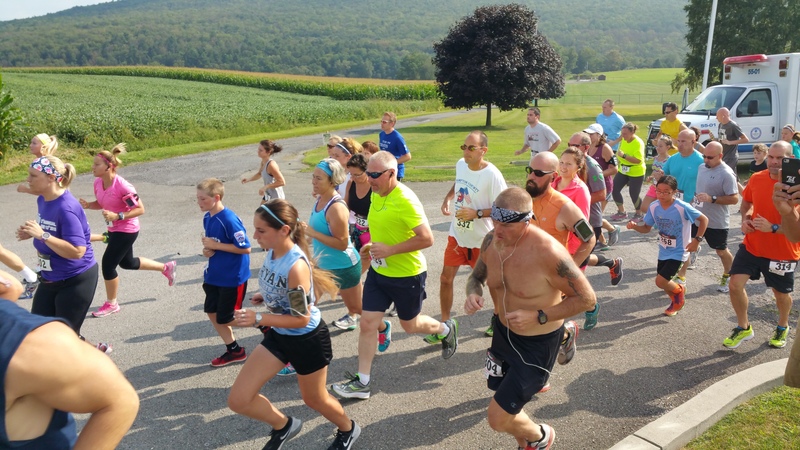 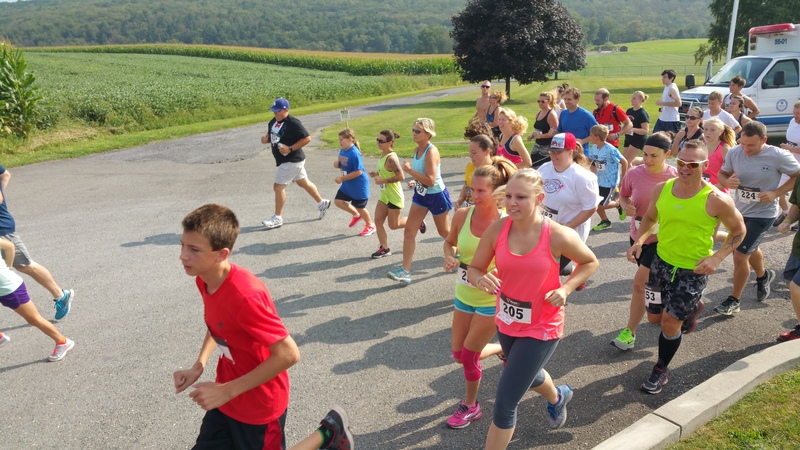 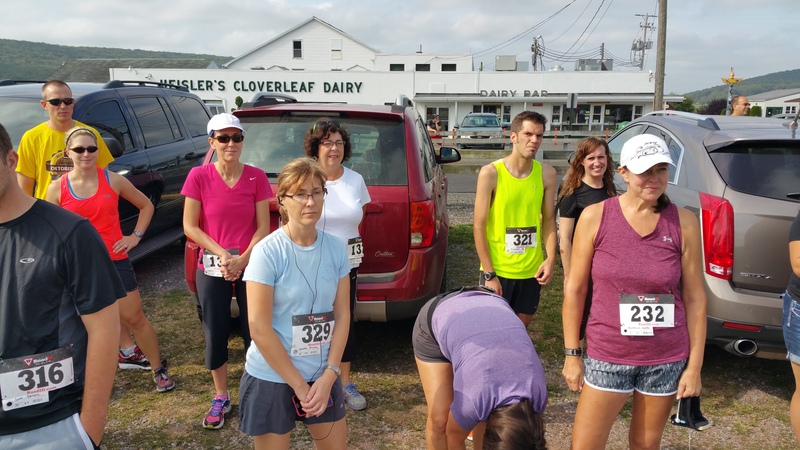 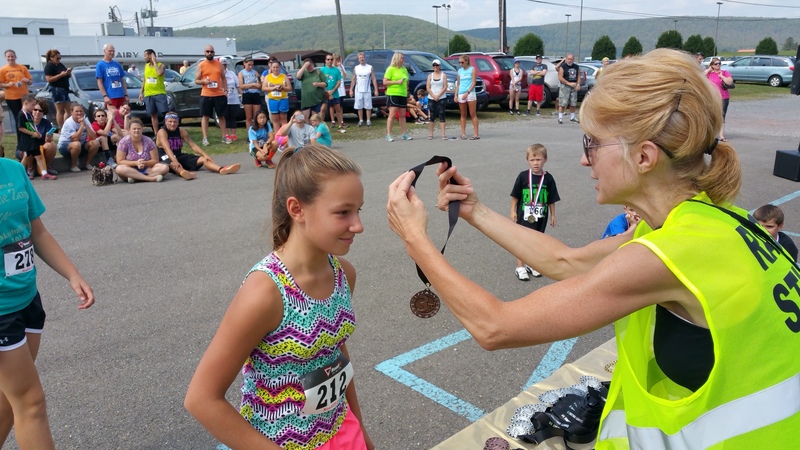 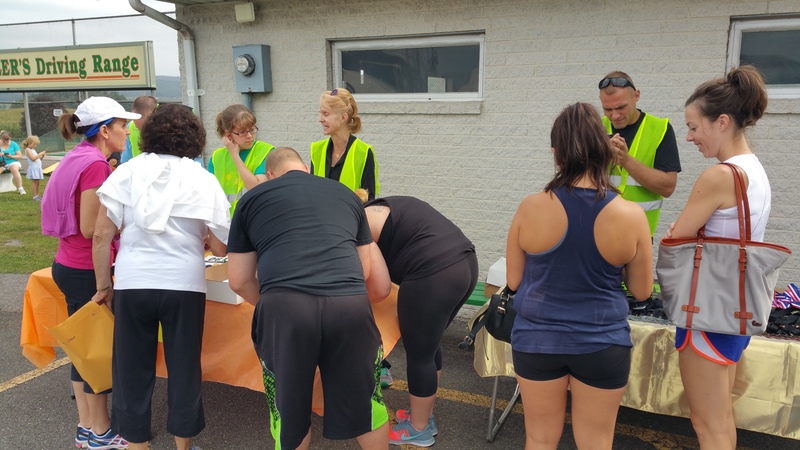 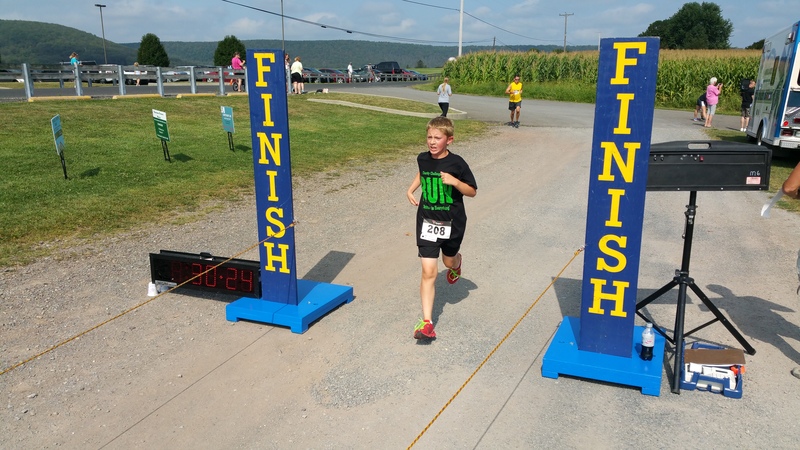 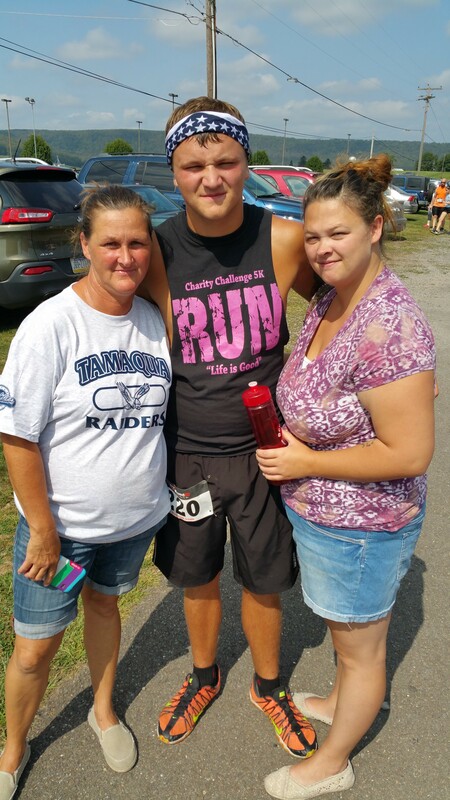 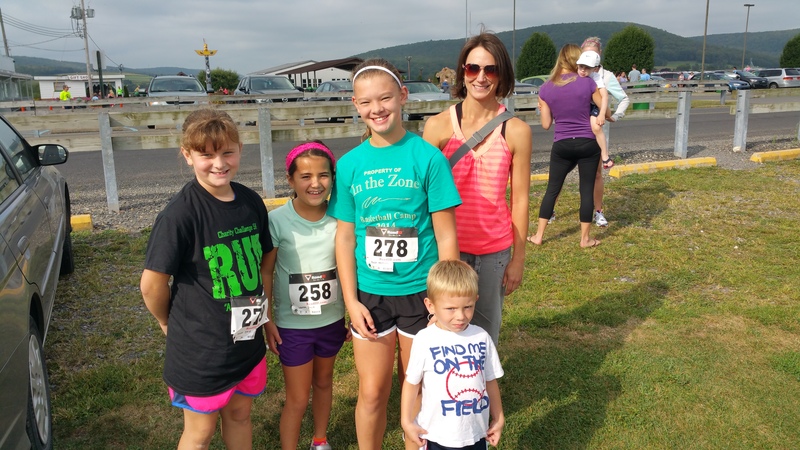 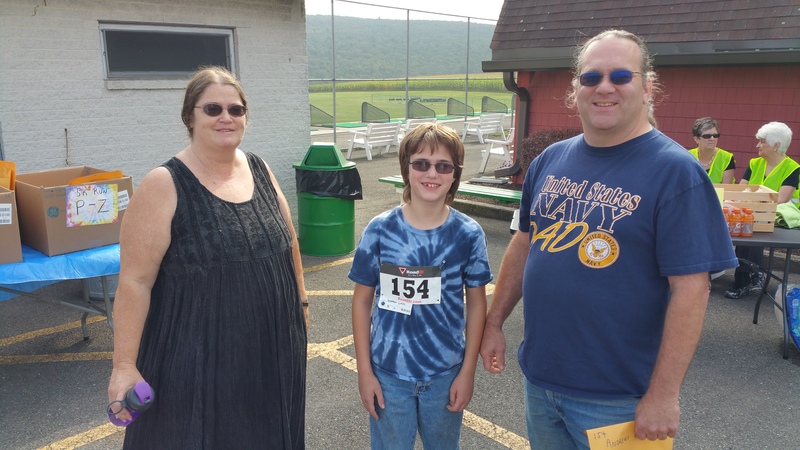 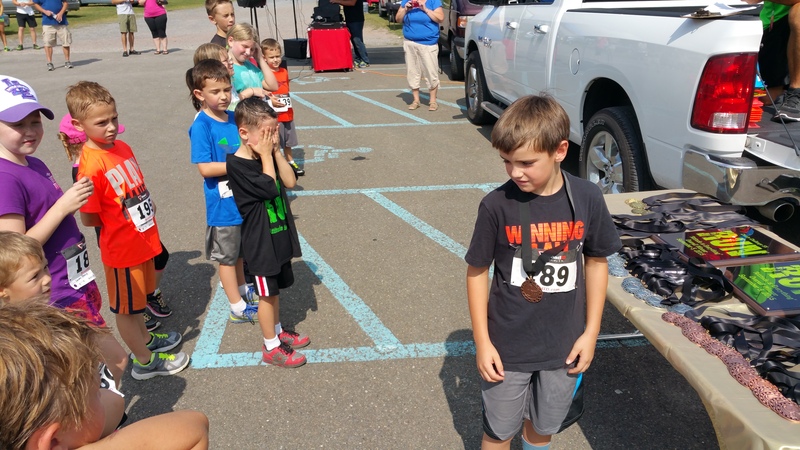 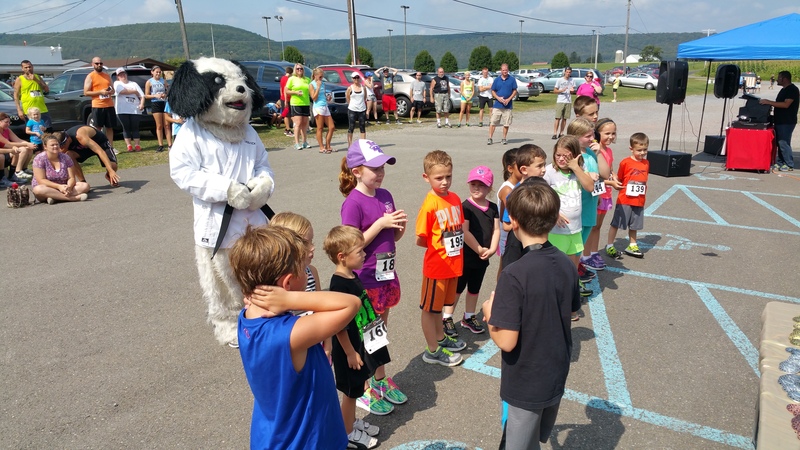 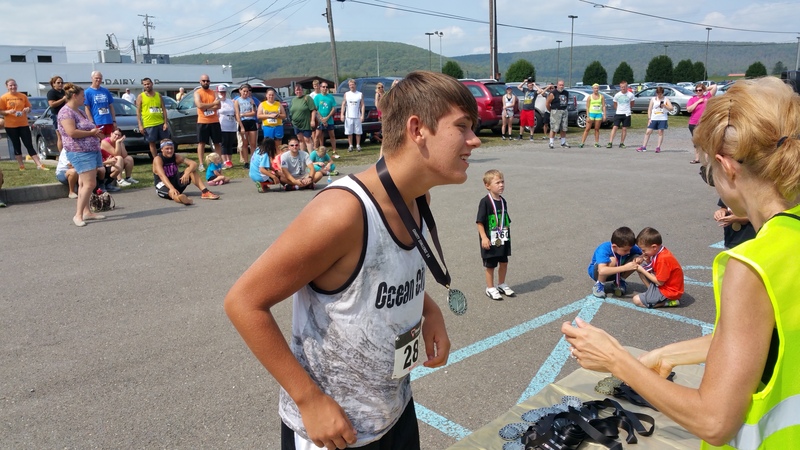 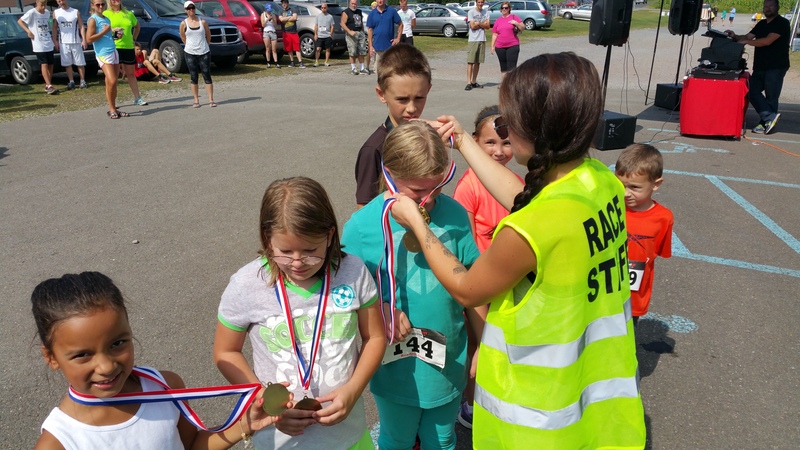 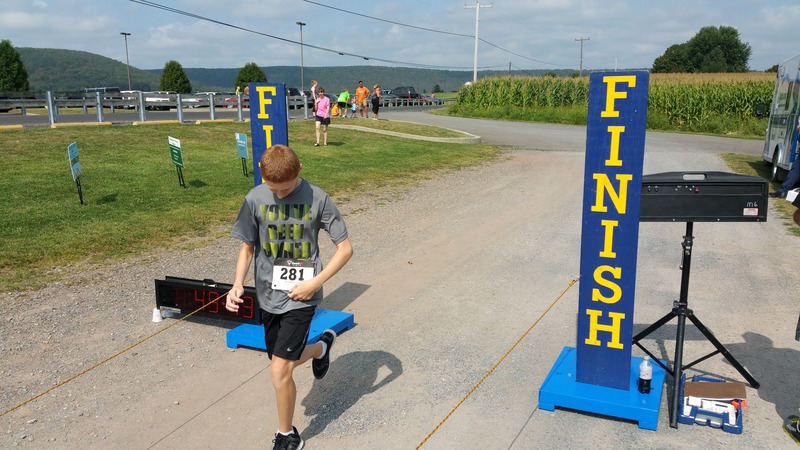 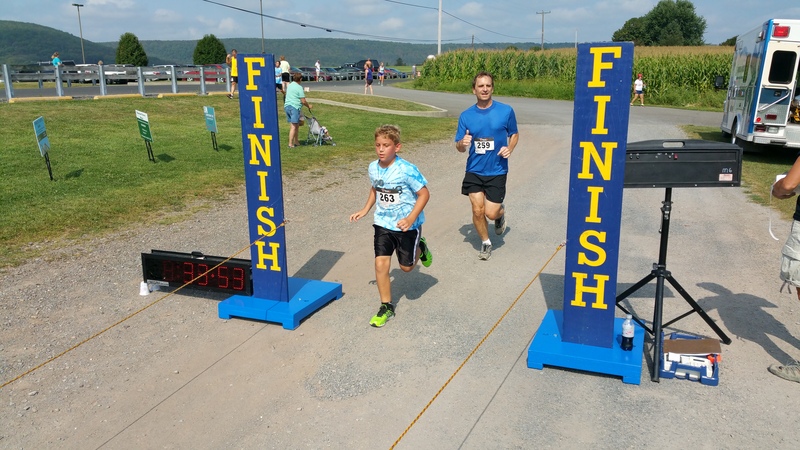 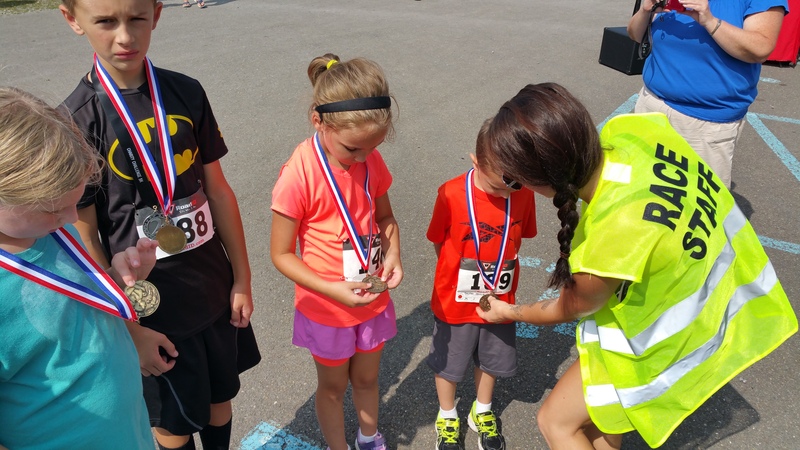 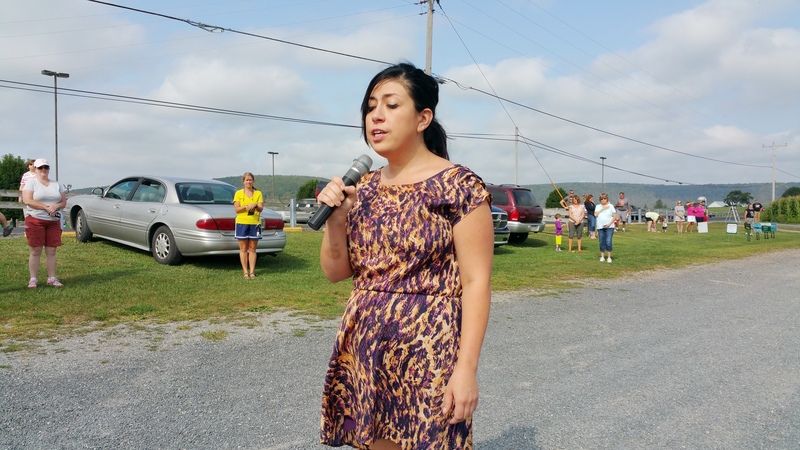 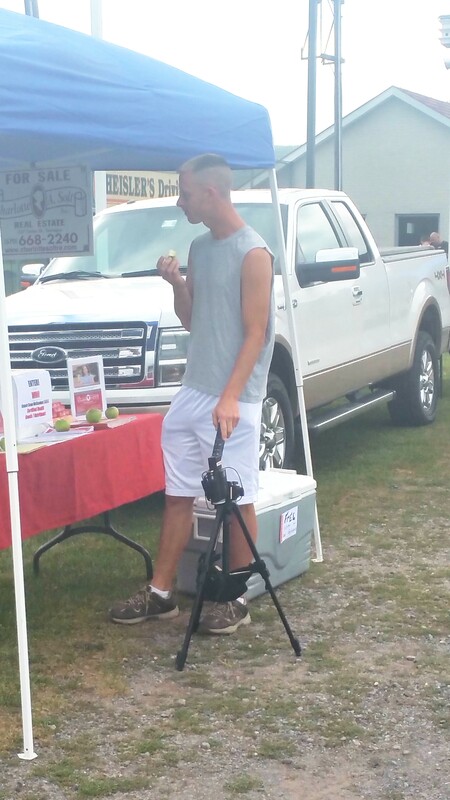 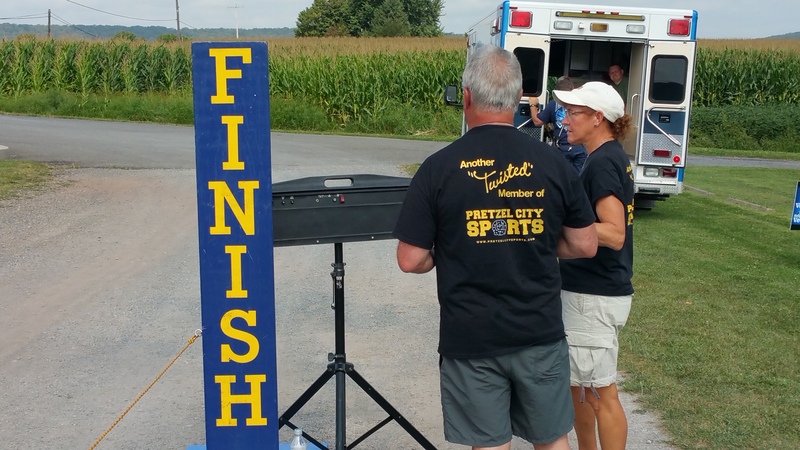 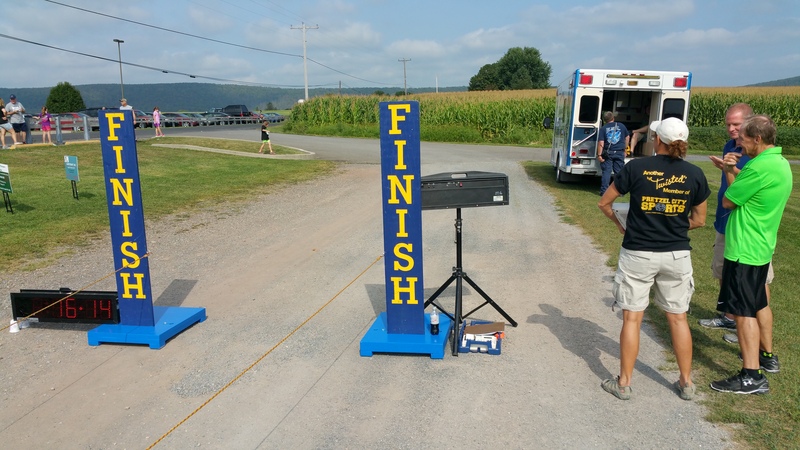 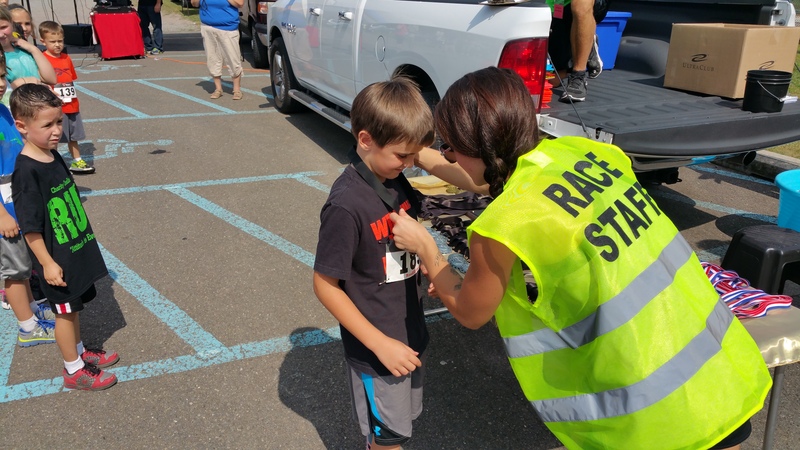 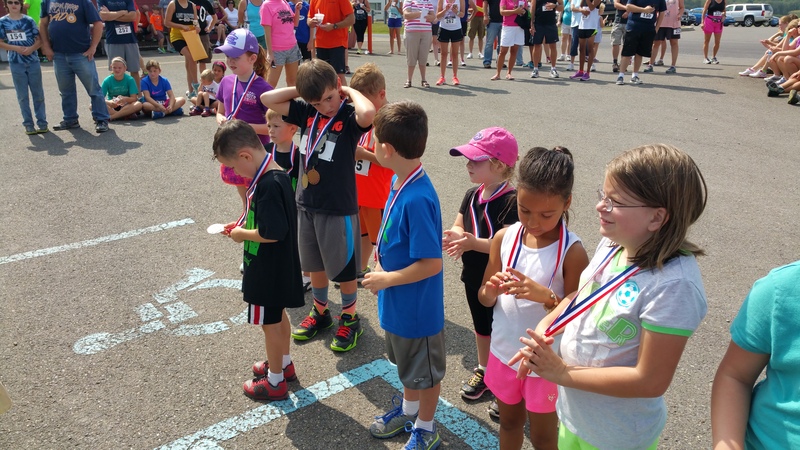 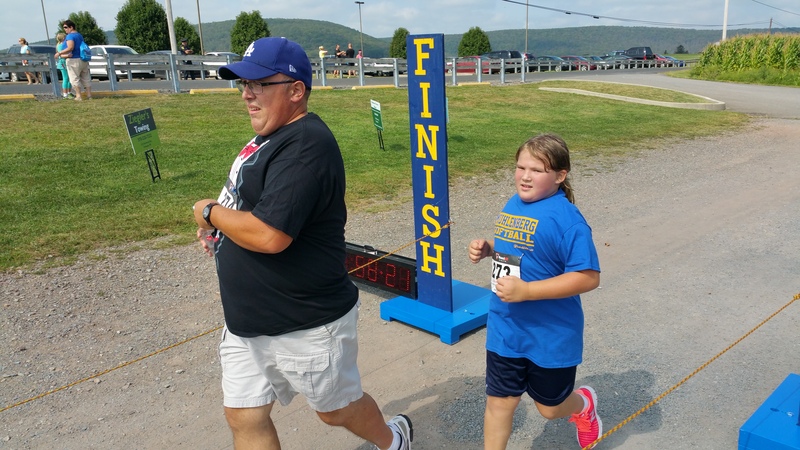 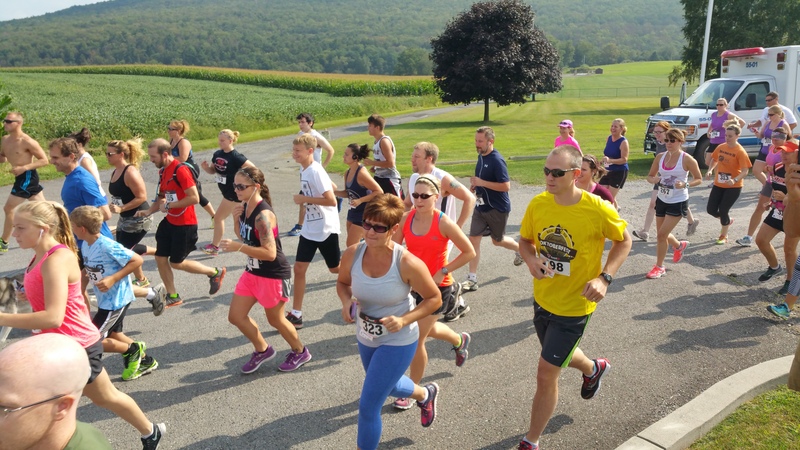 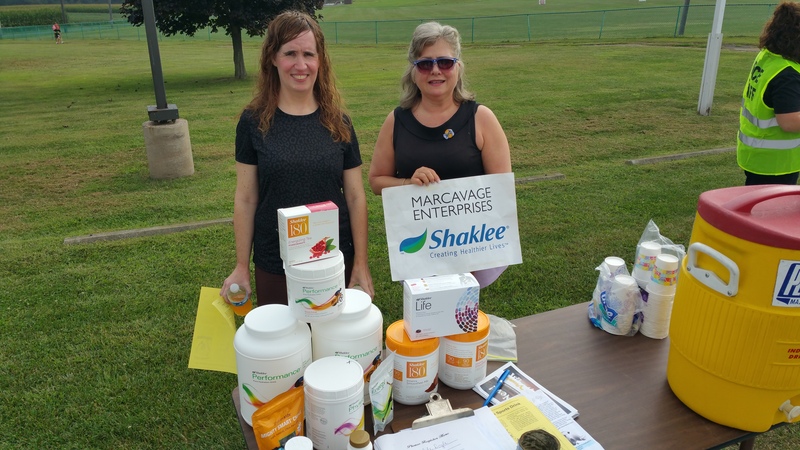 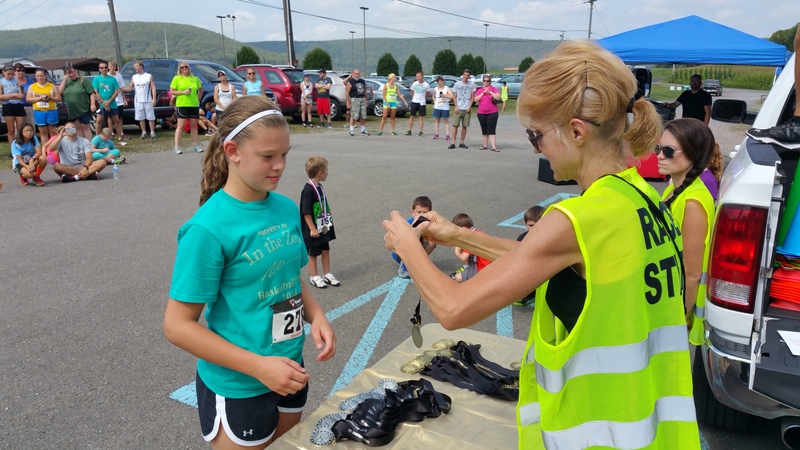 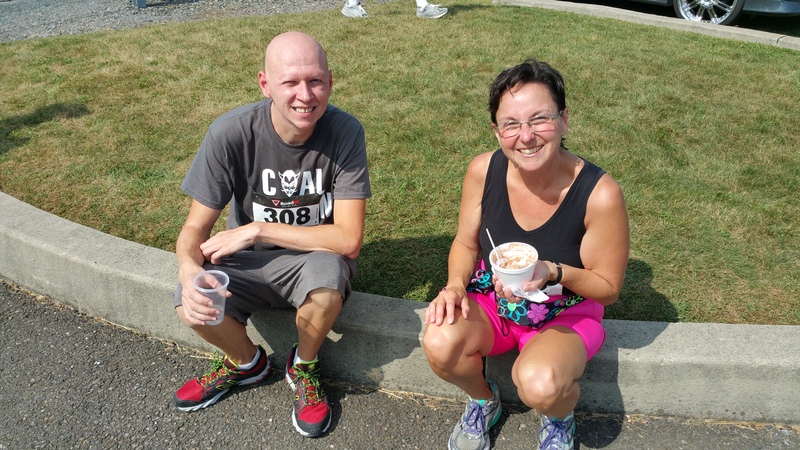 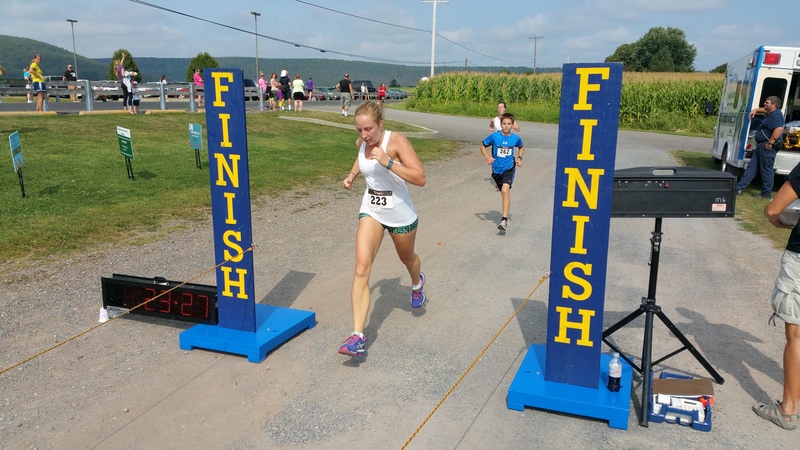 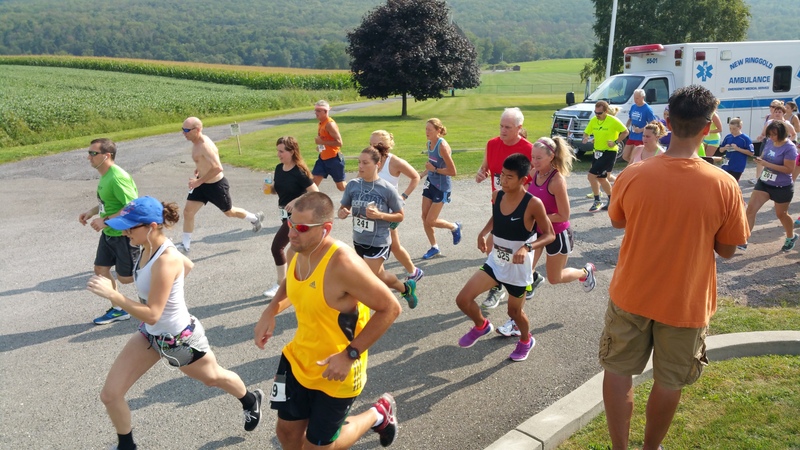 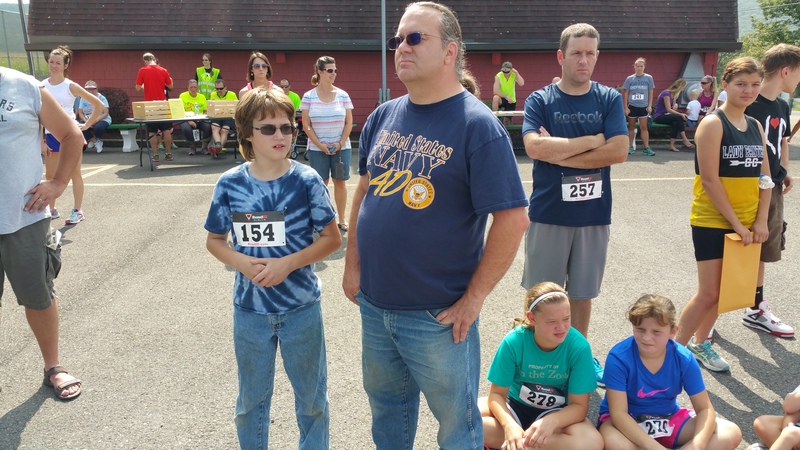 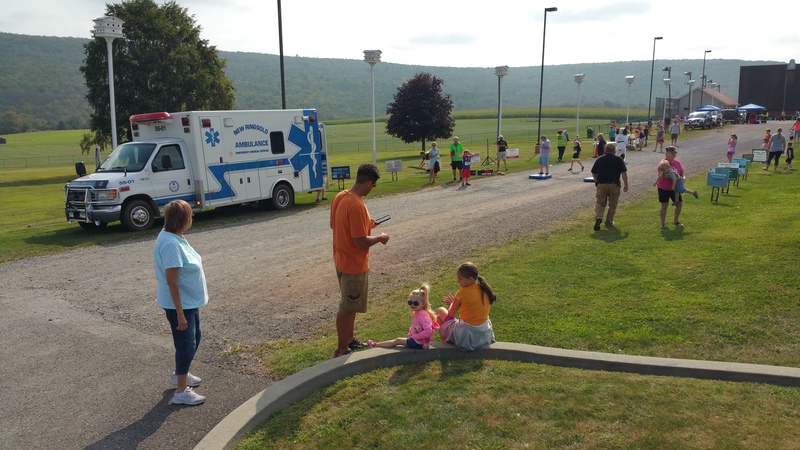 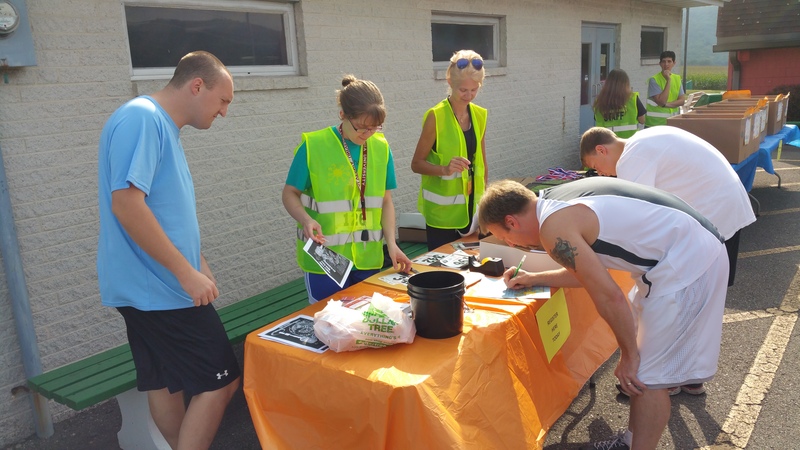 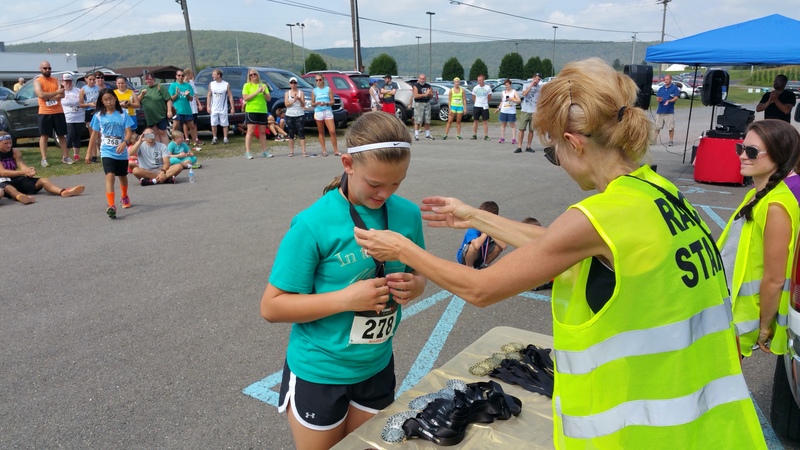 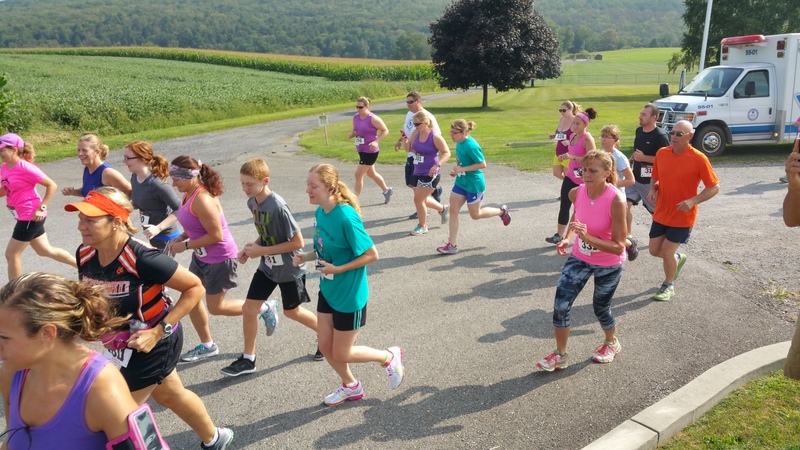 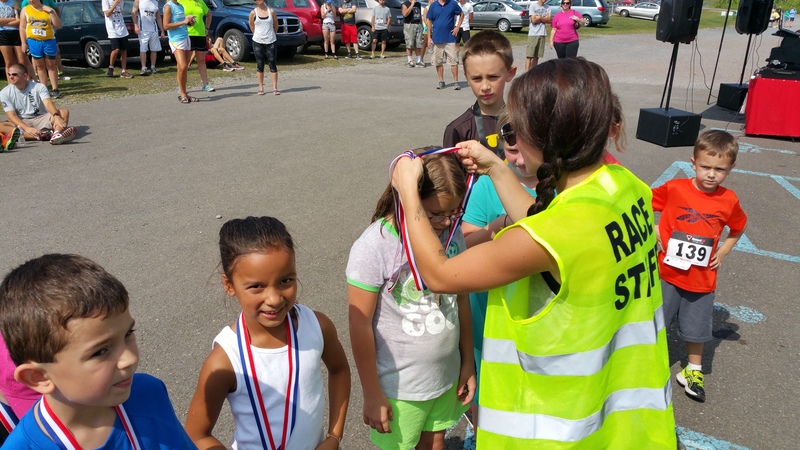 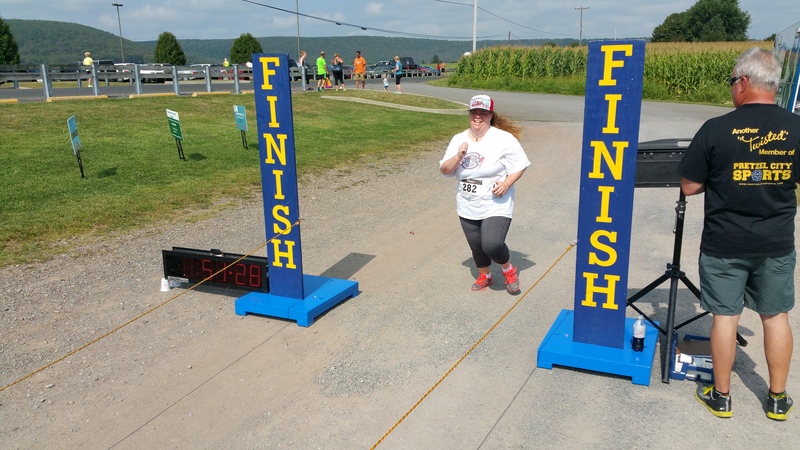 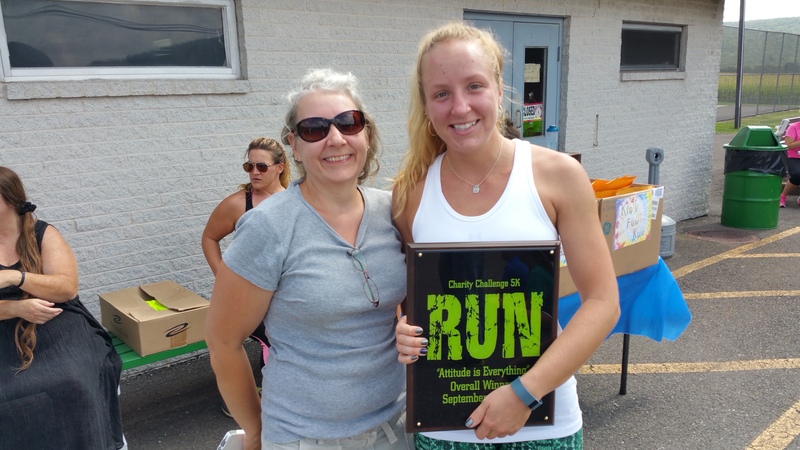 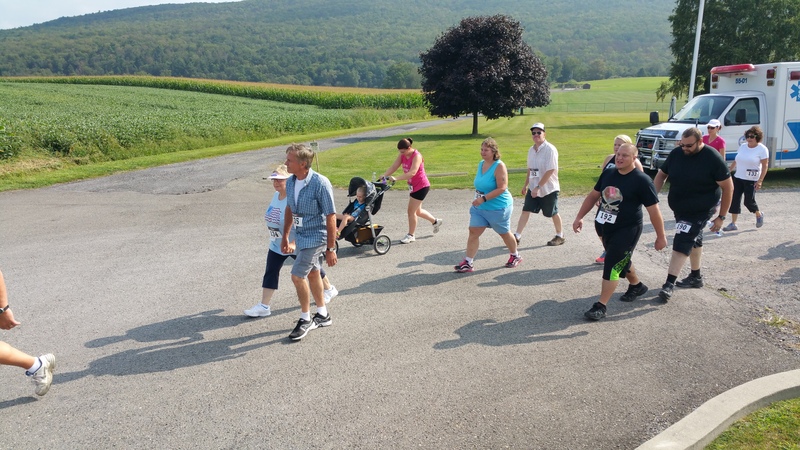 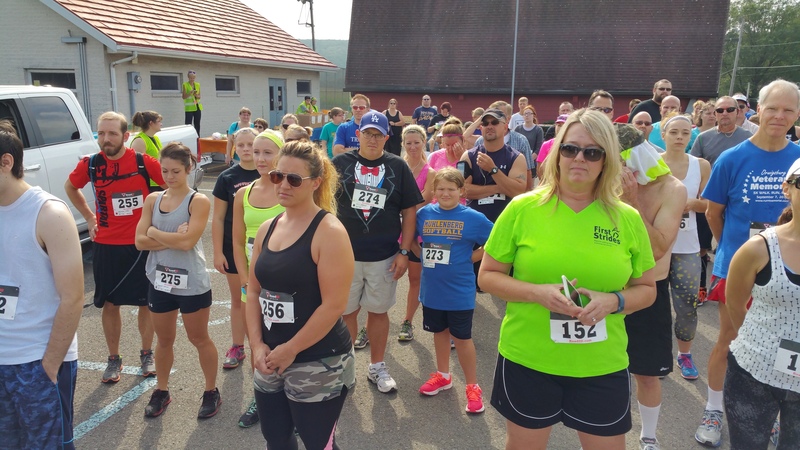 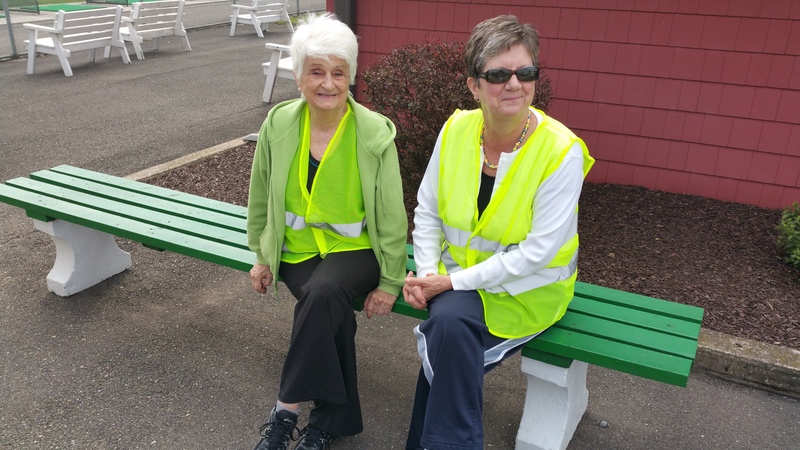 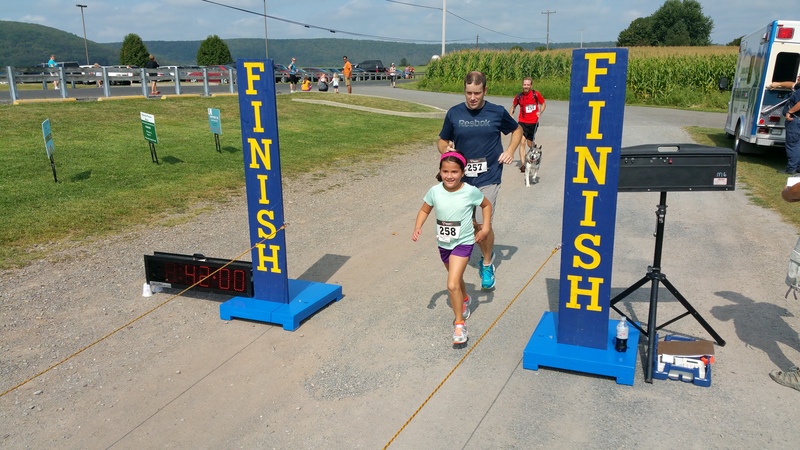 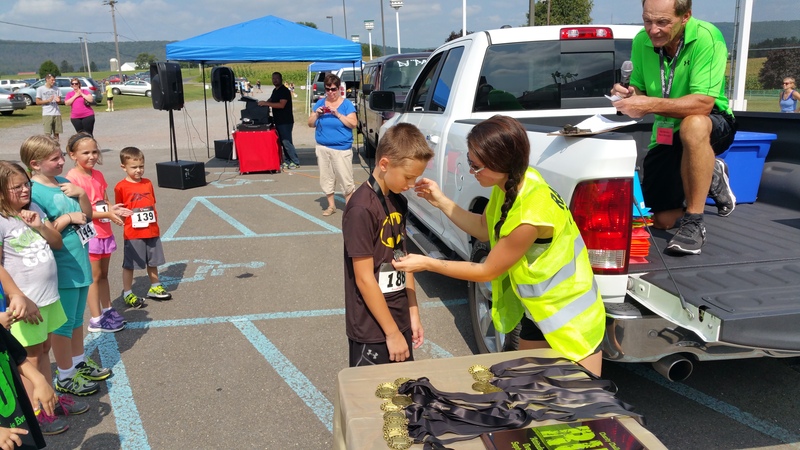 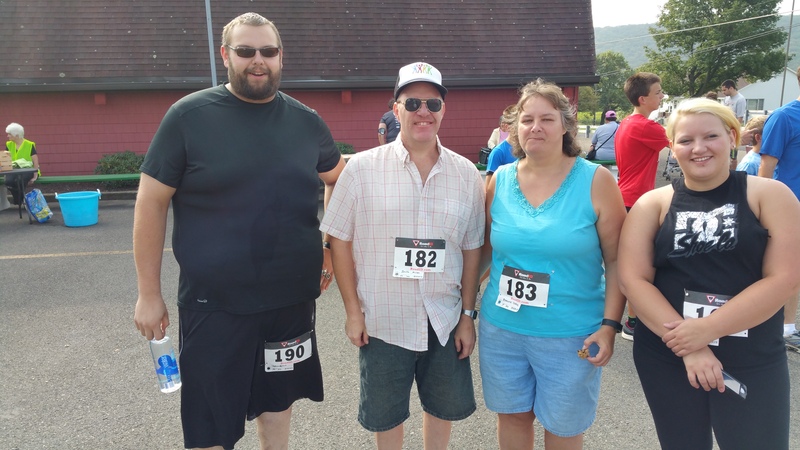 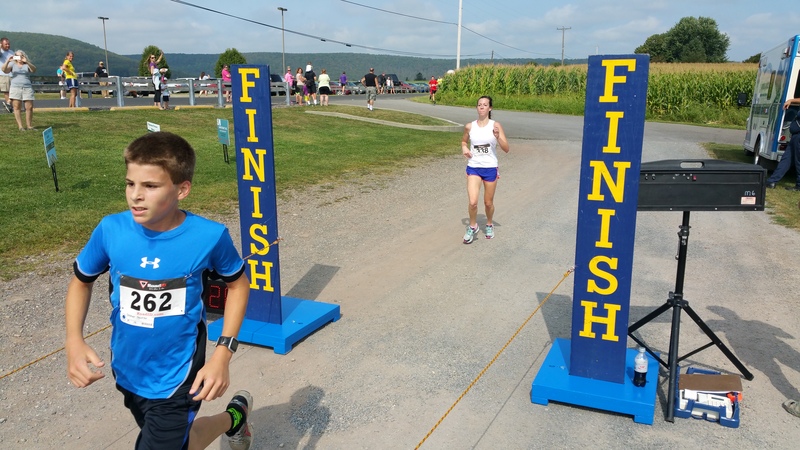 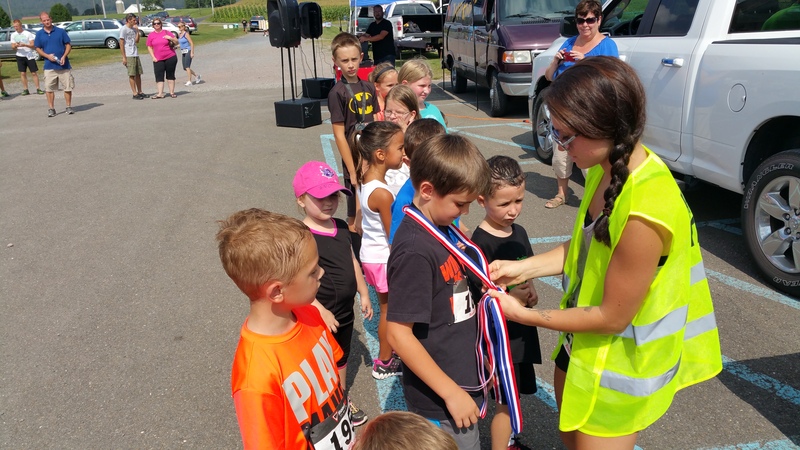 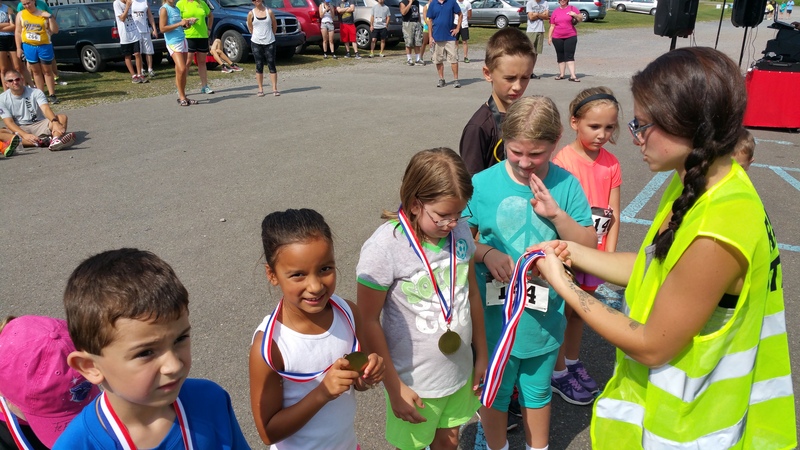 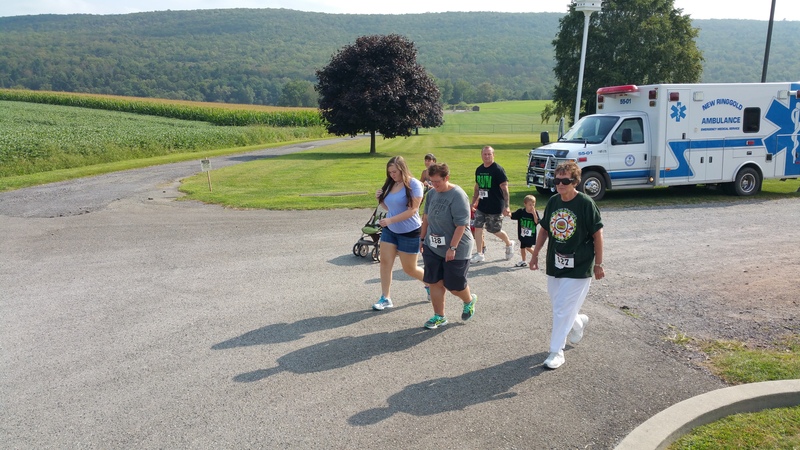 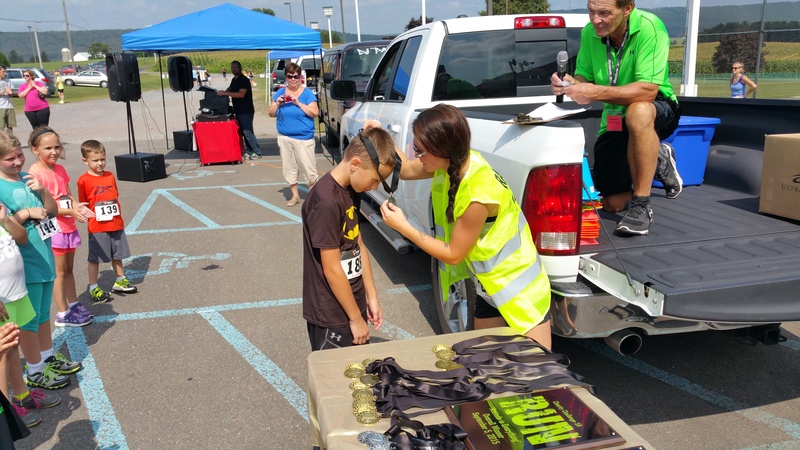 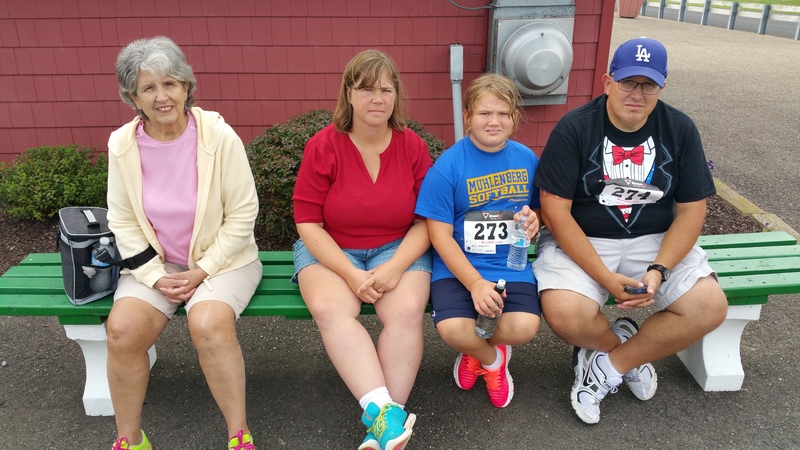 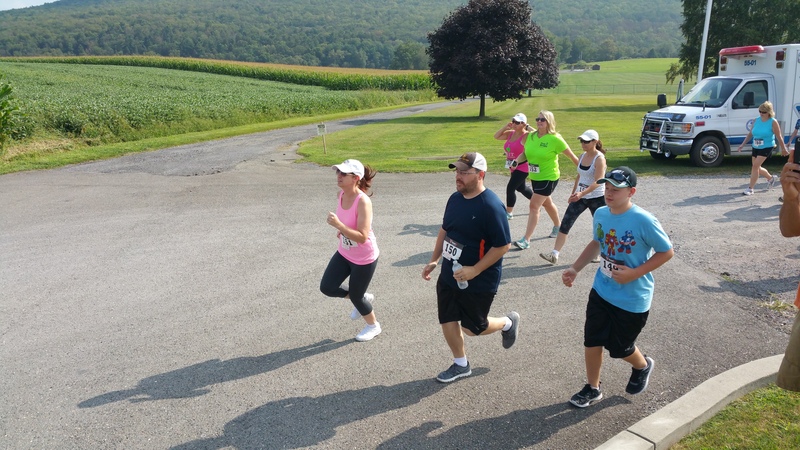 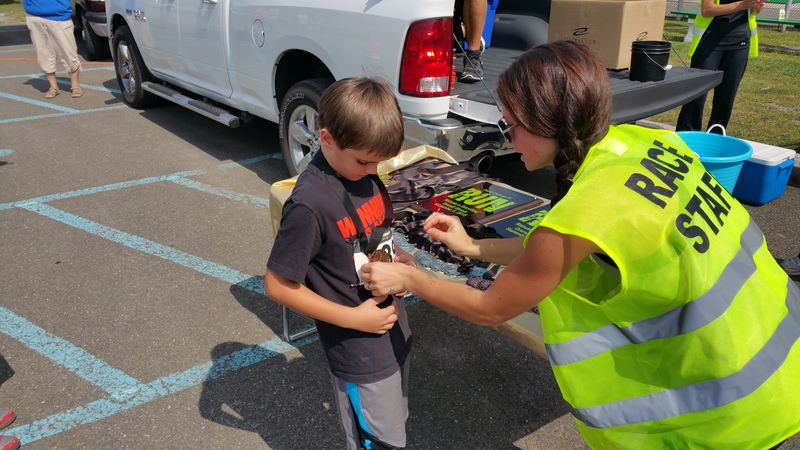 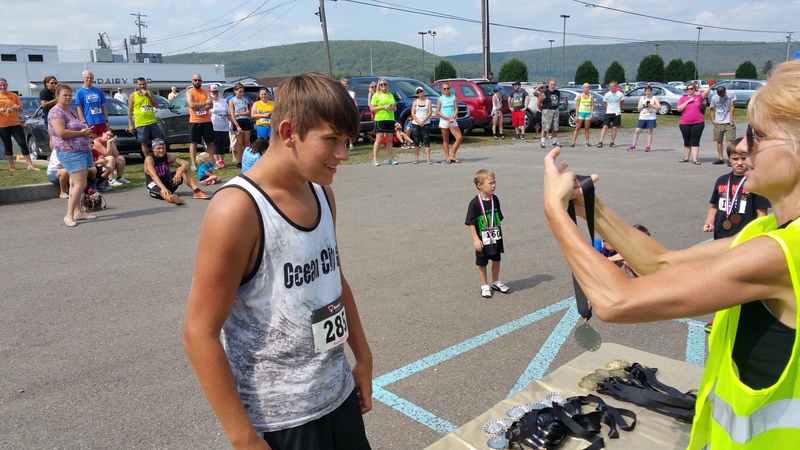 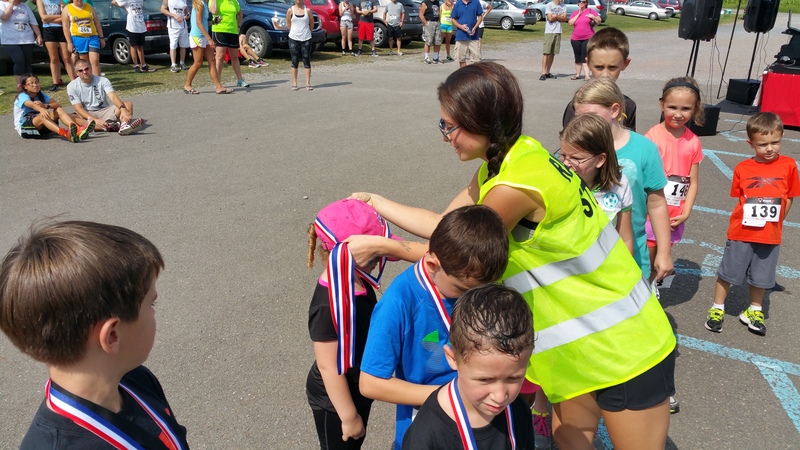 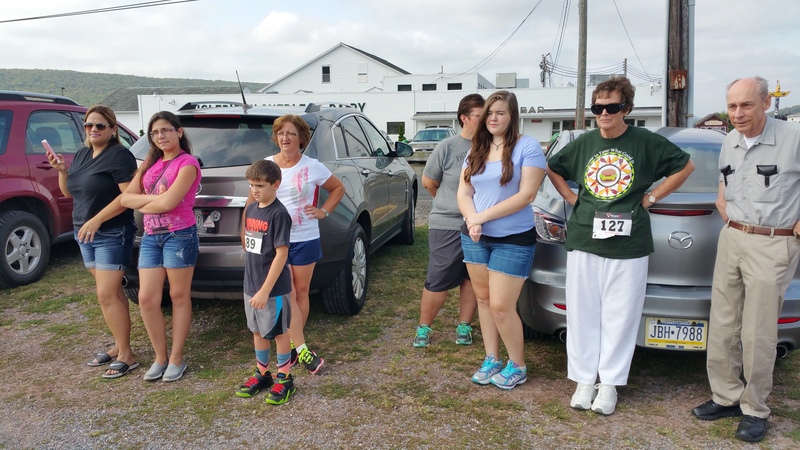 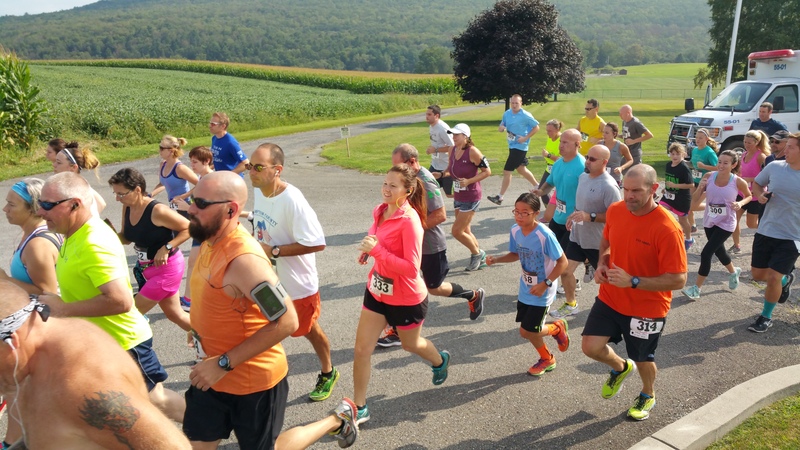 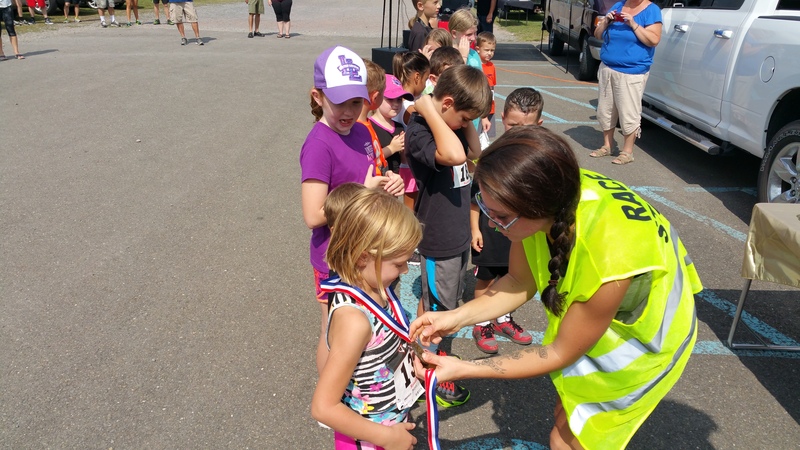 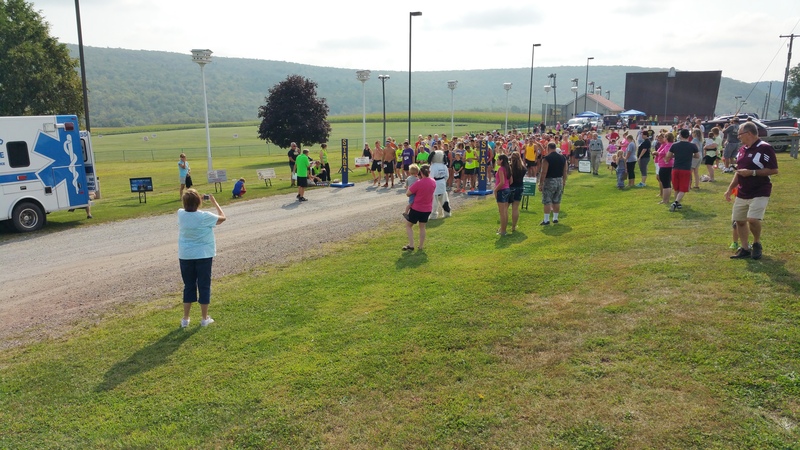 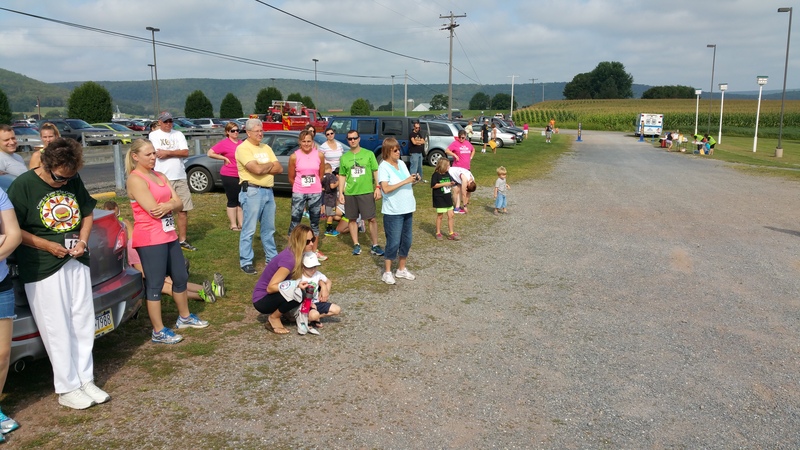 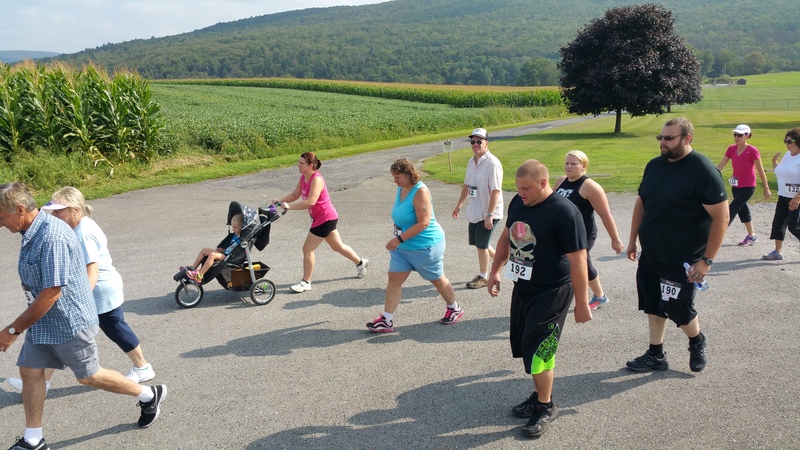 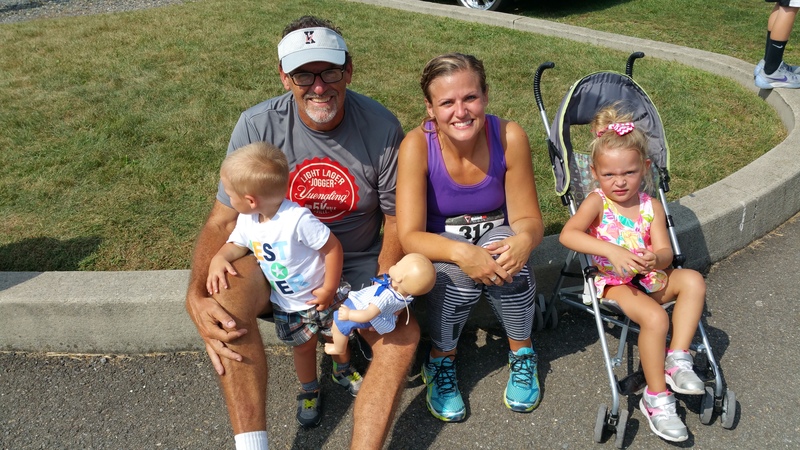 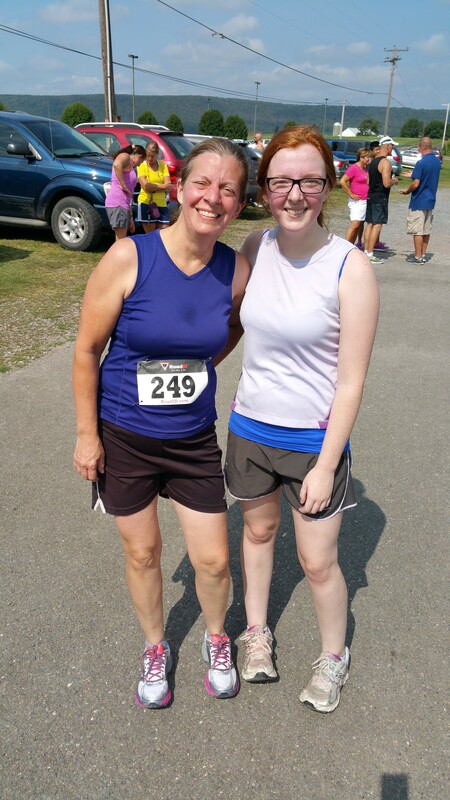 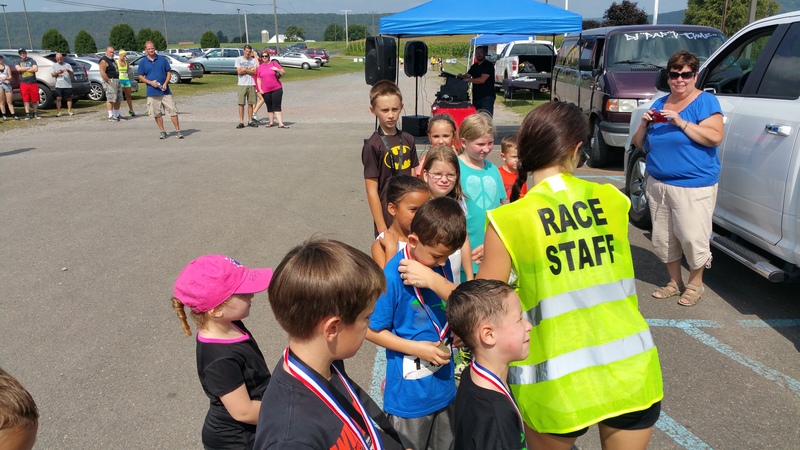 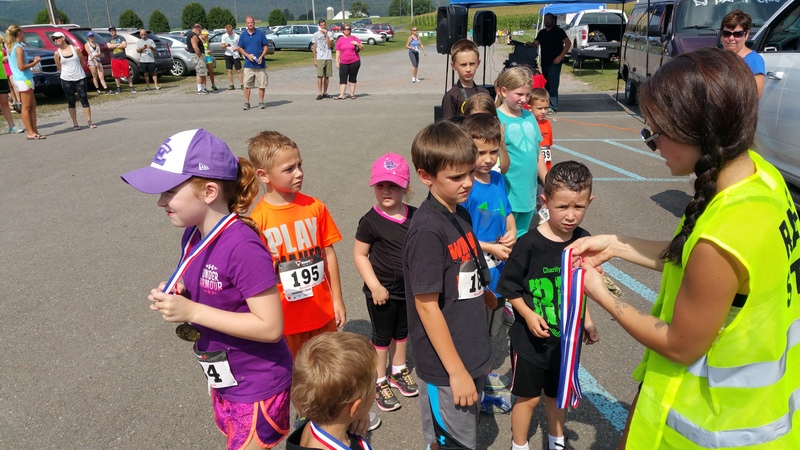 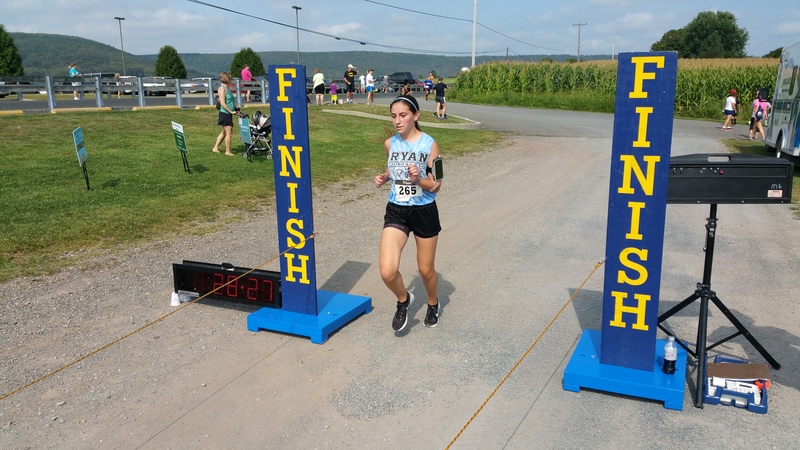 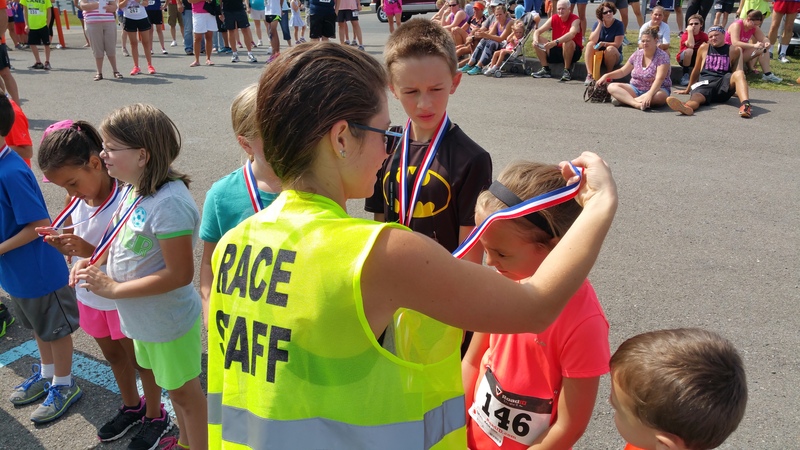 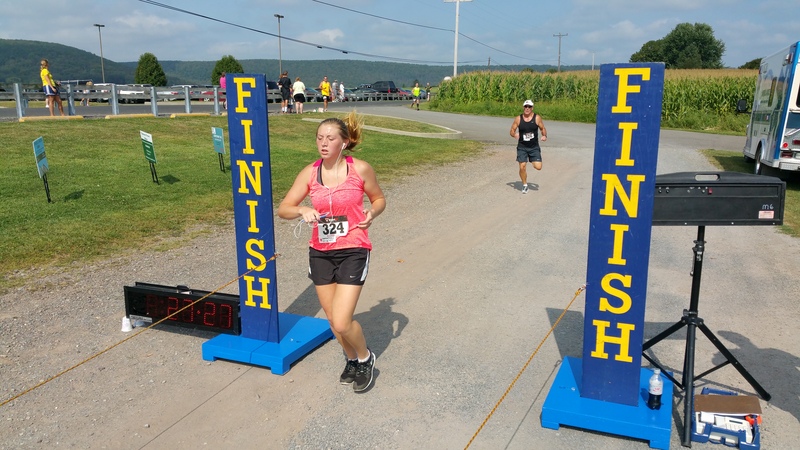 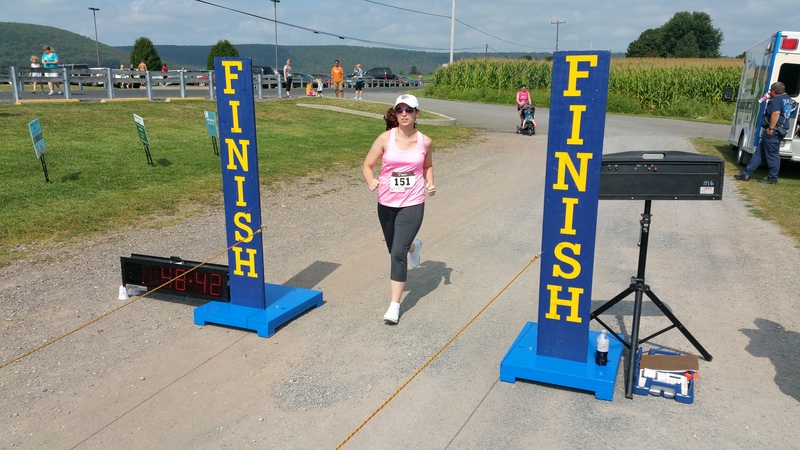 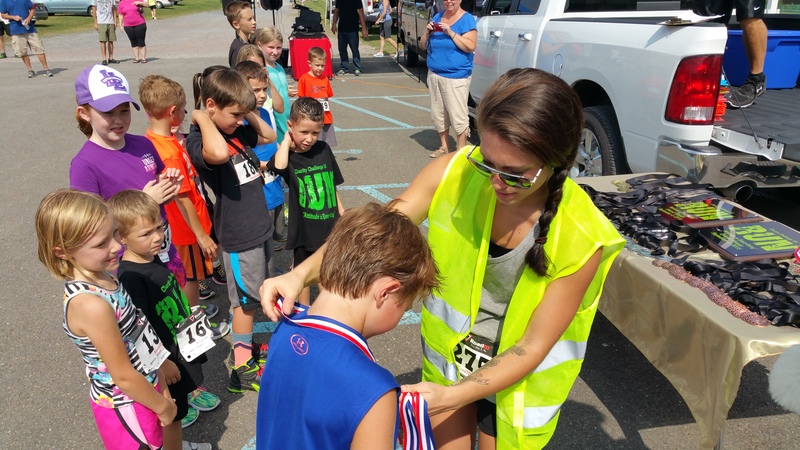 Organizers held their 2nd Annual “Run For Ice Cream” Charity Challenge 5K Run/Walk and 1-Mile Kids Fun Run today (Saturday, September 5, 2015) in Walker Township. 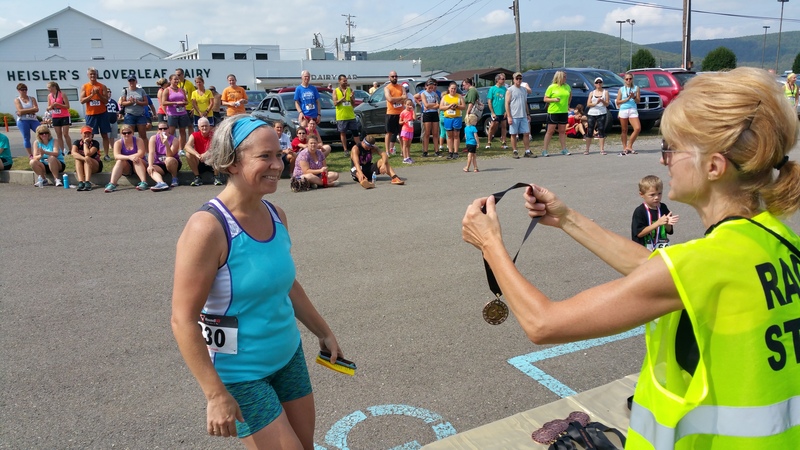 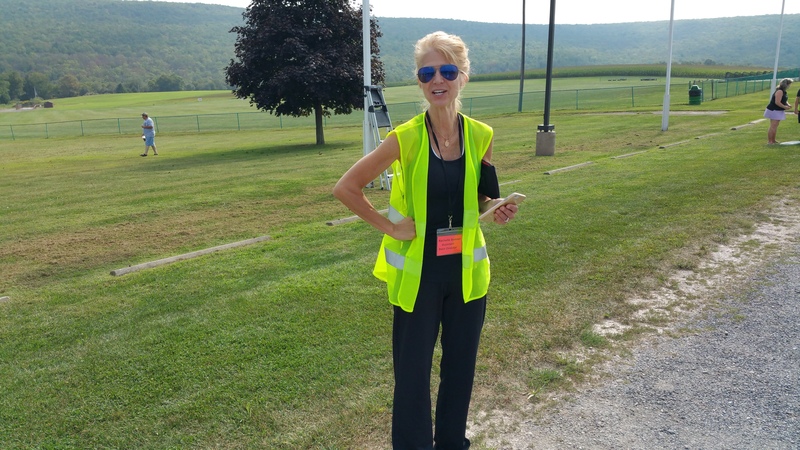 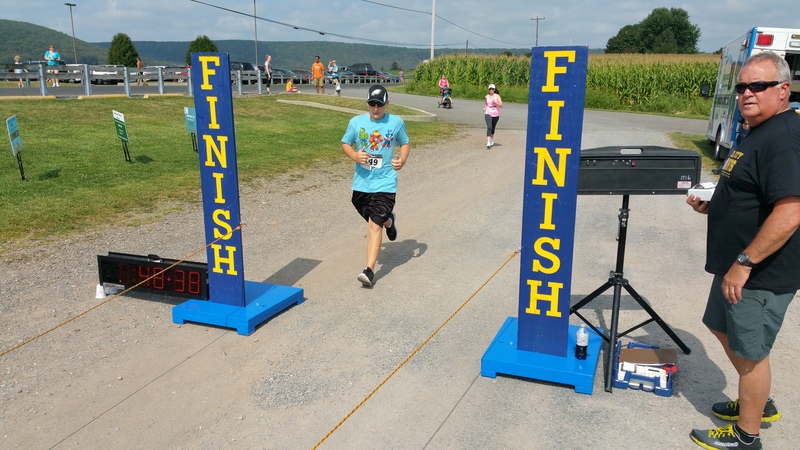 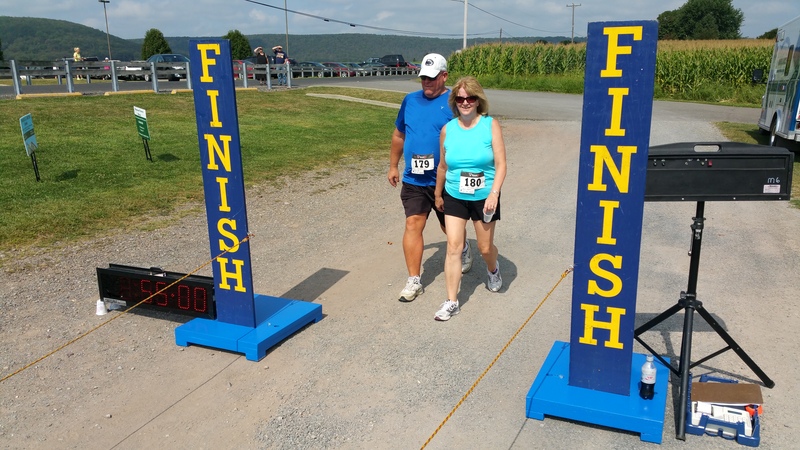 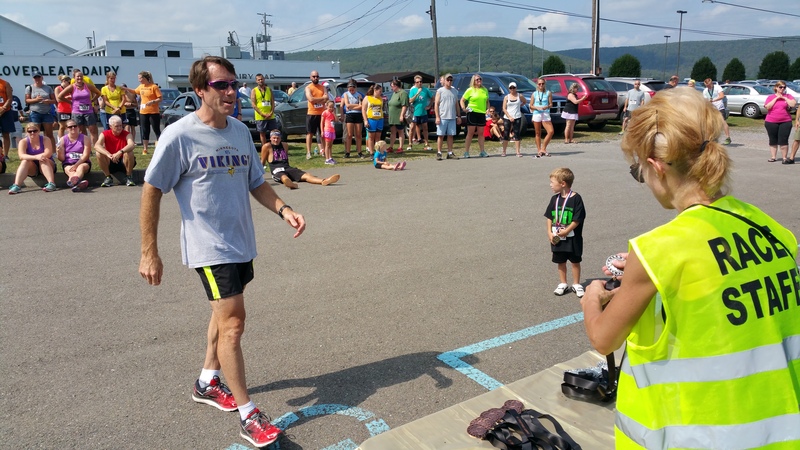 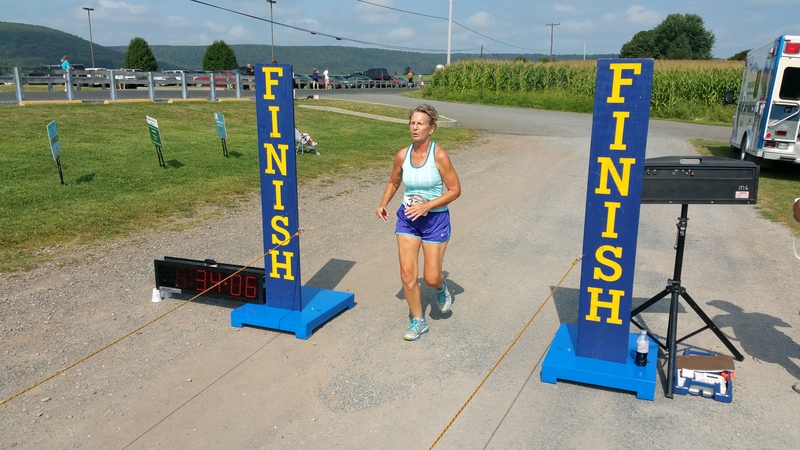 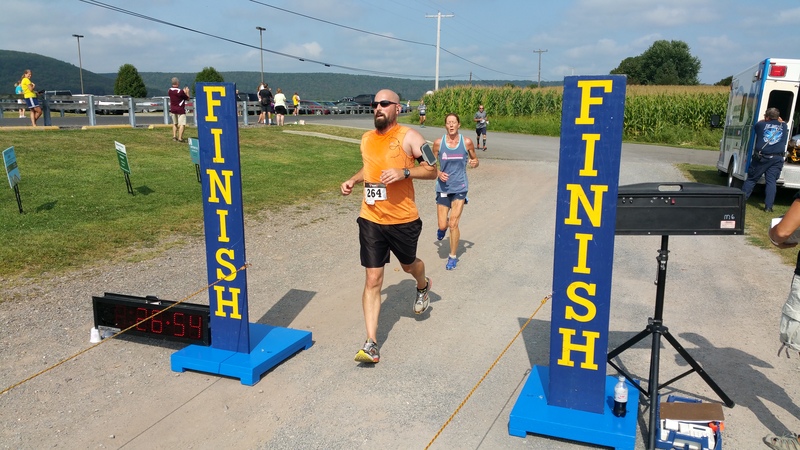 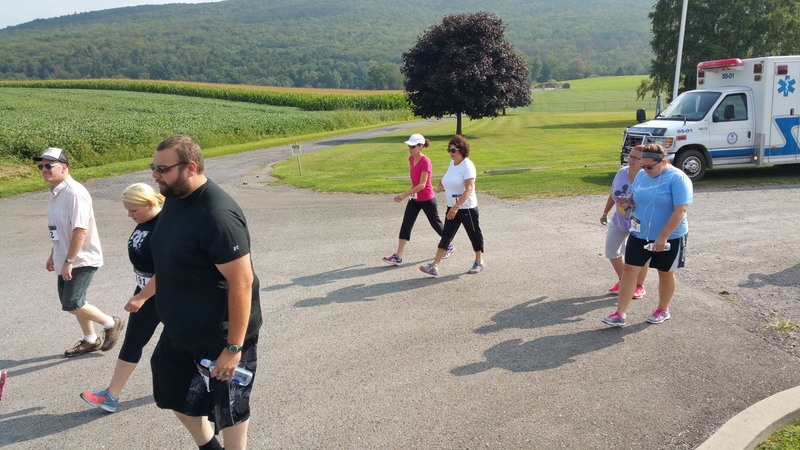 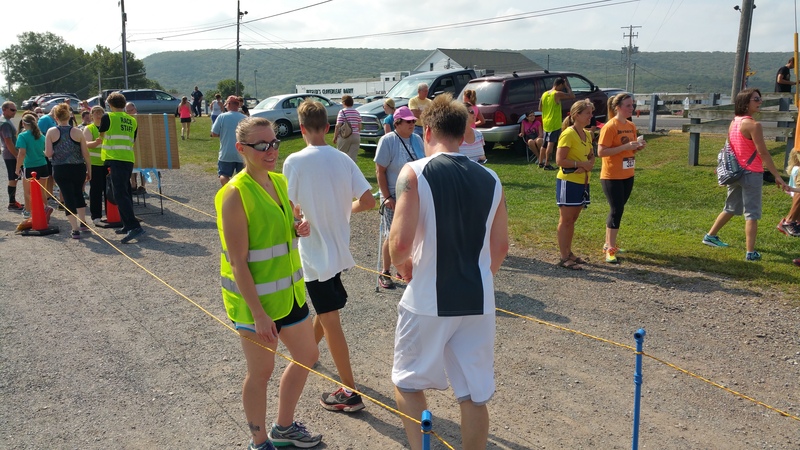 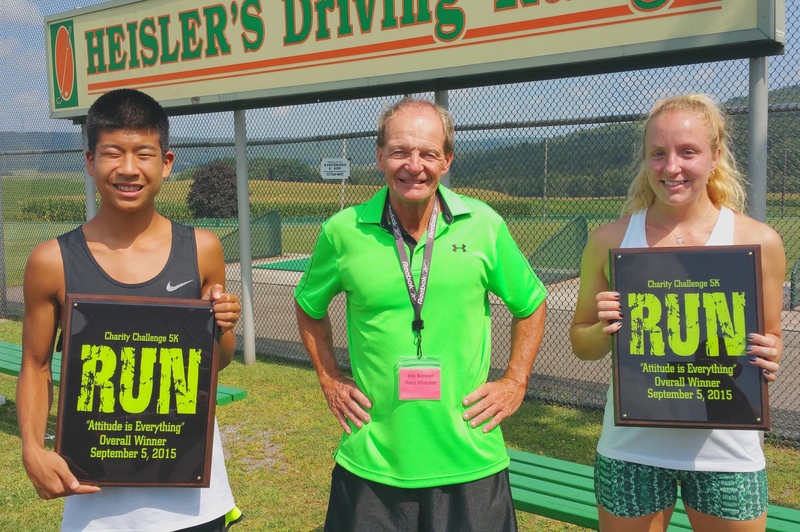 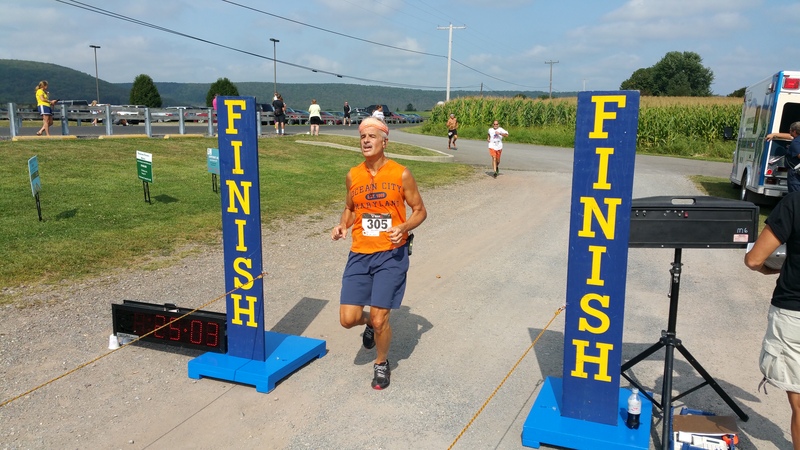 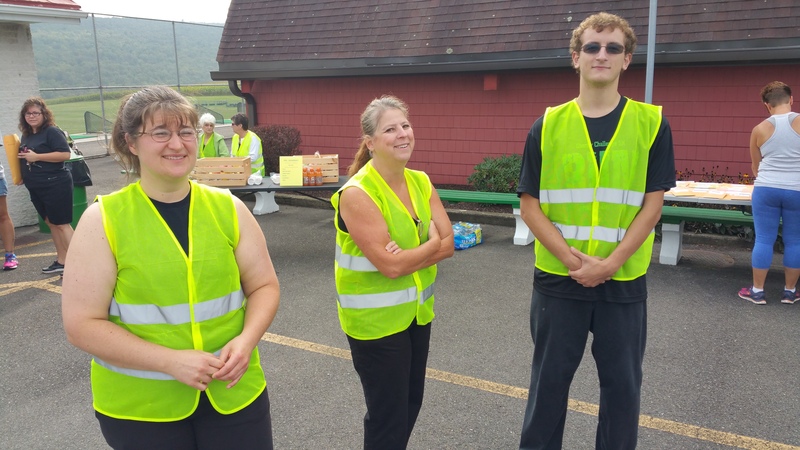 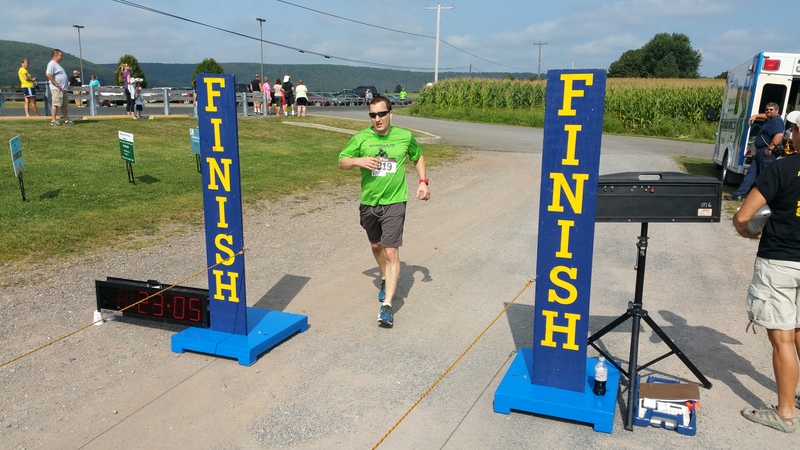 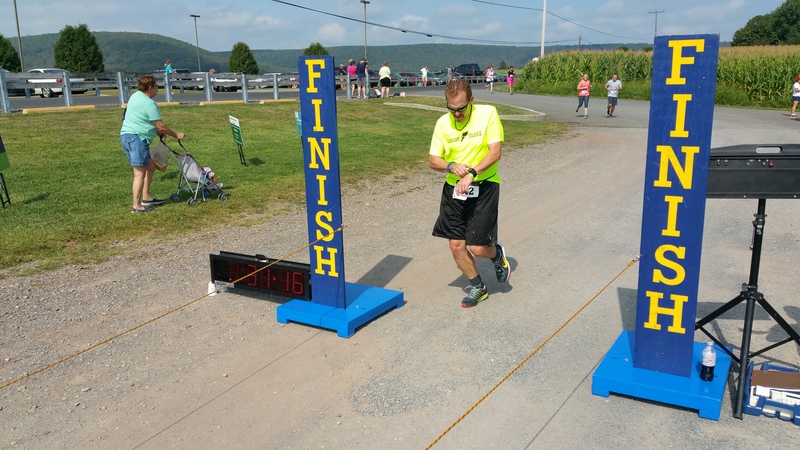 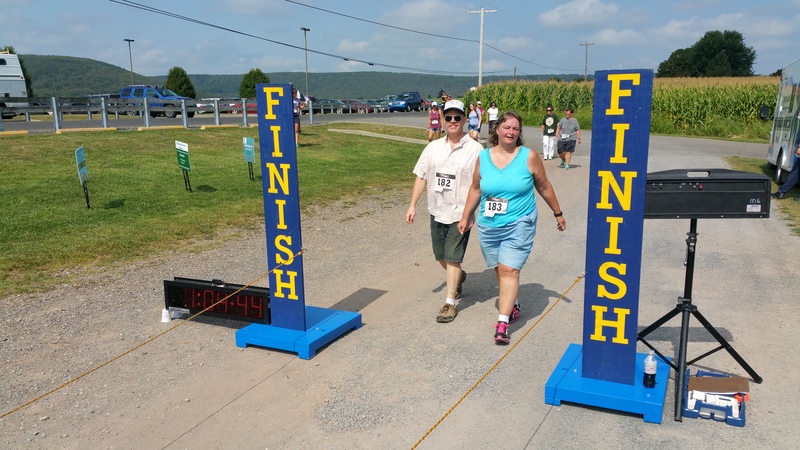 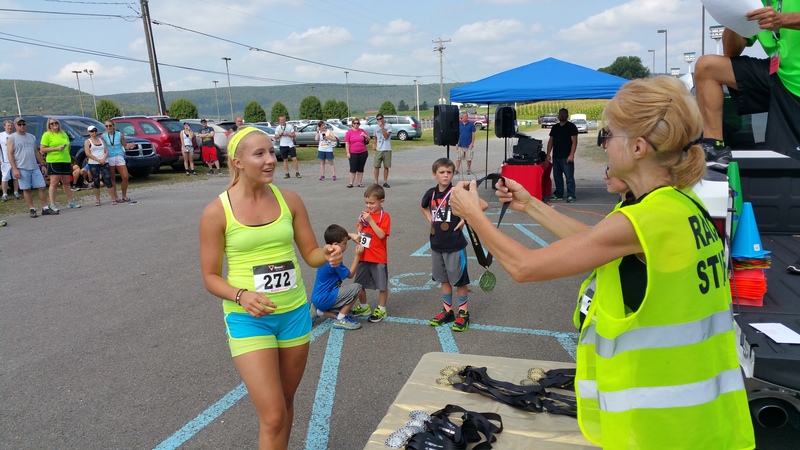 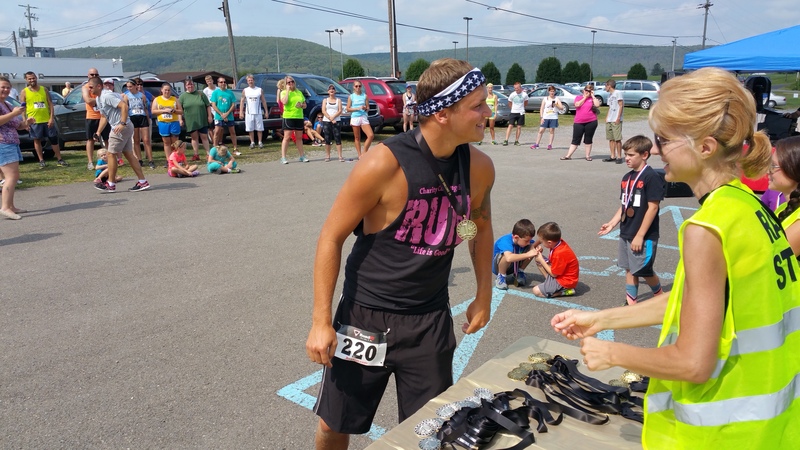 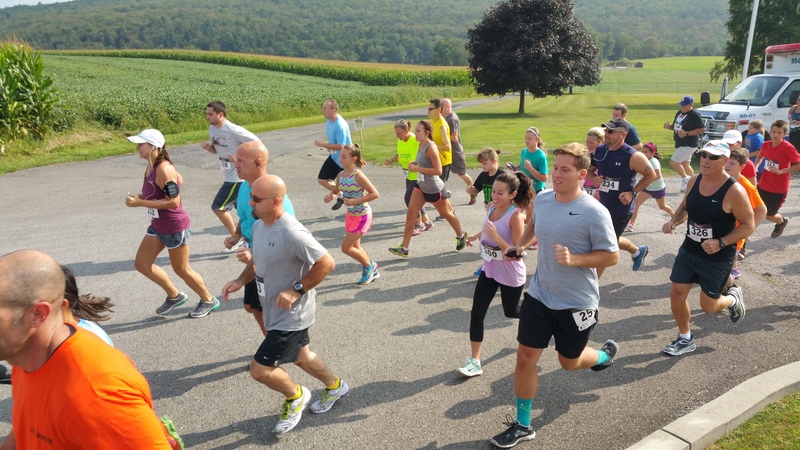 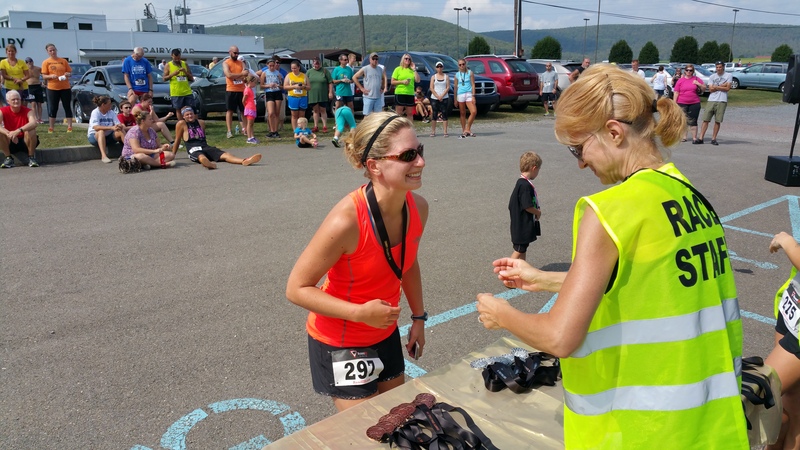 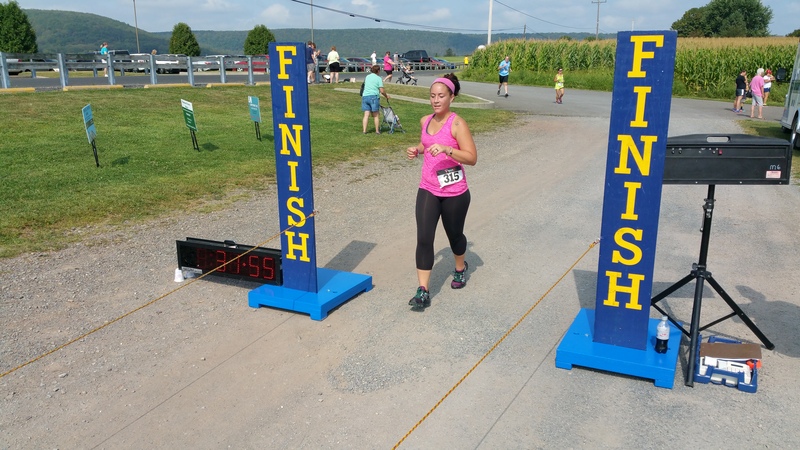 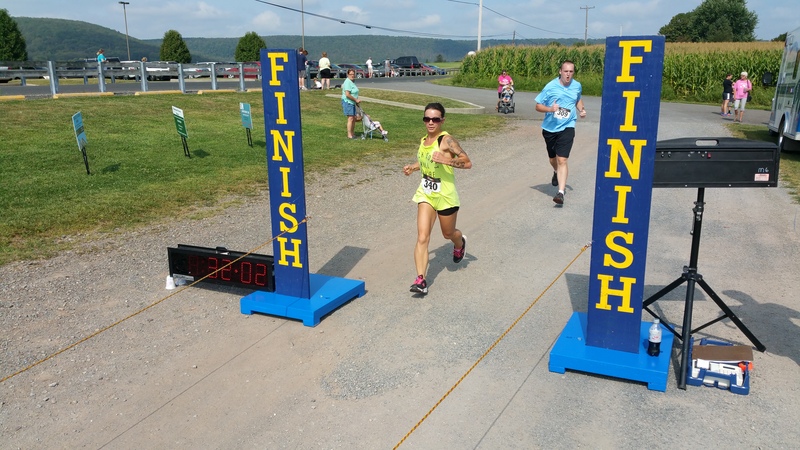 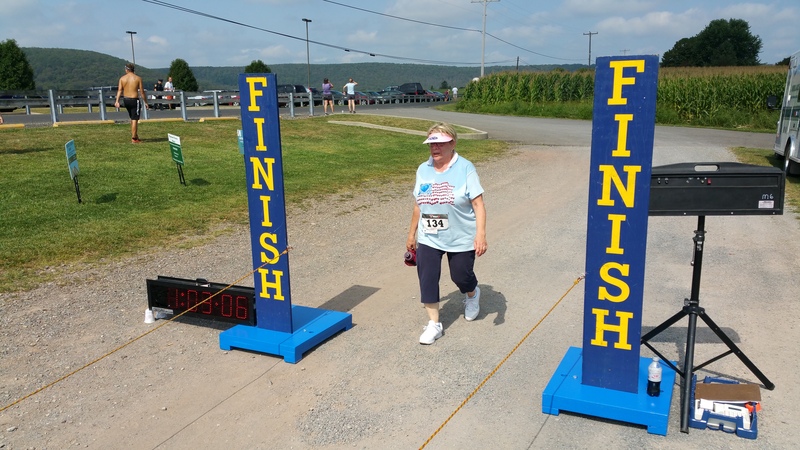 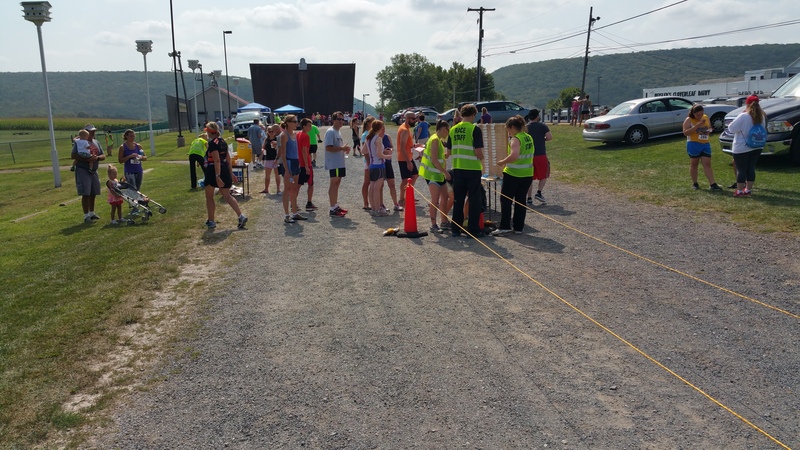 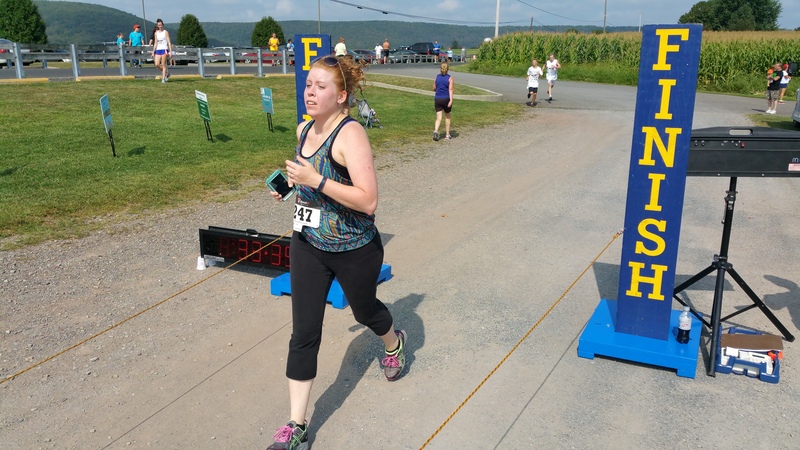 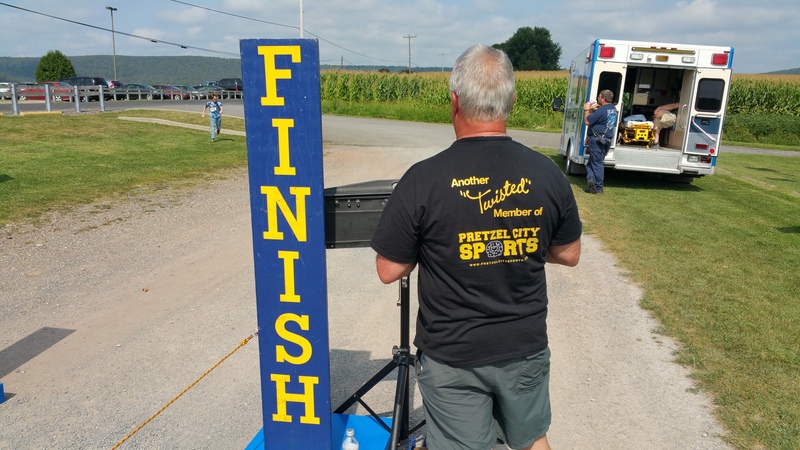 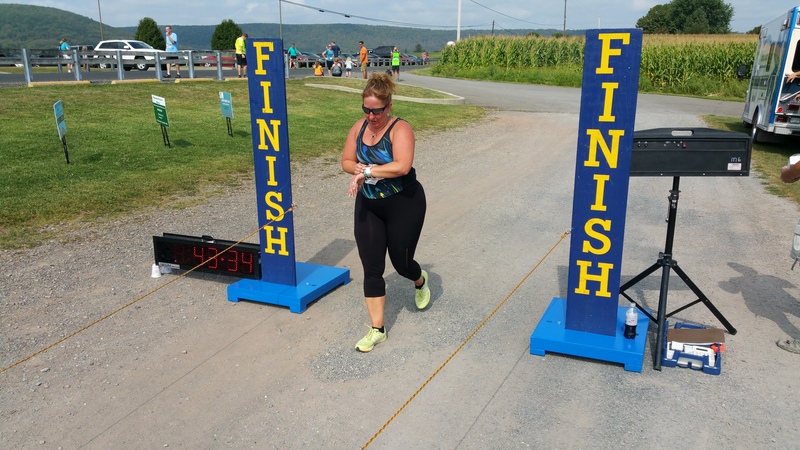 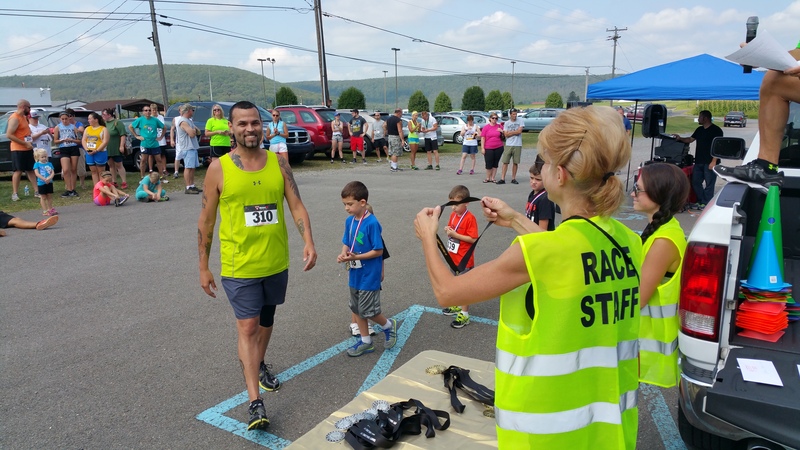 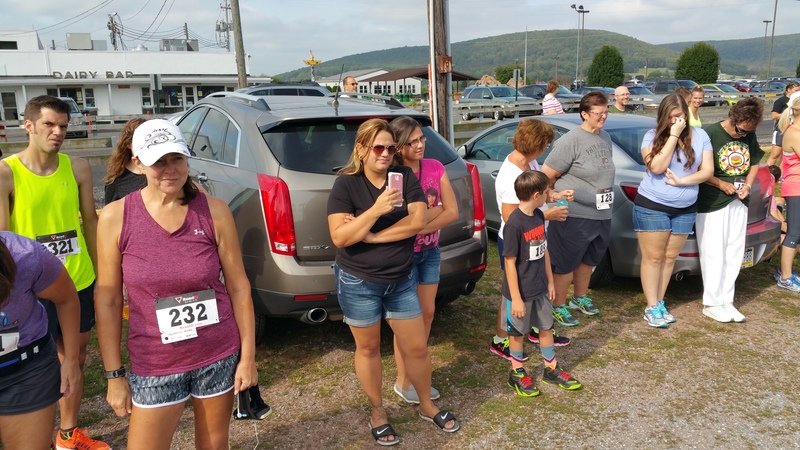 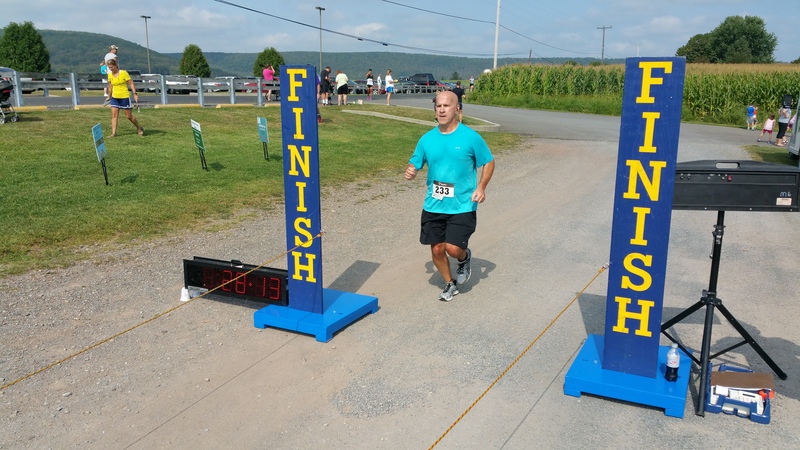 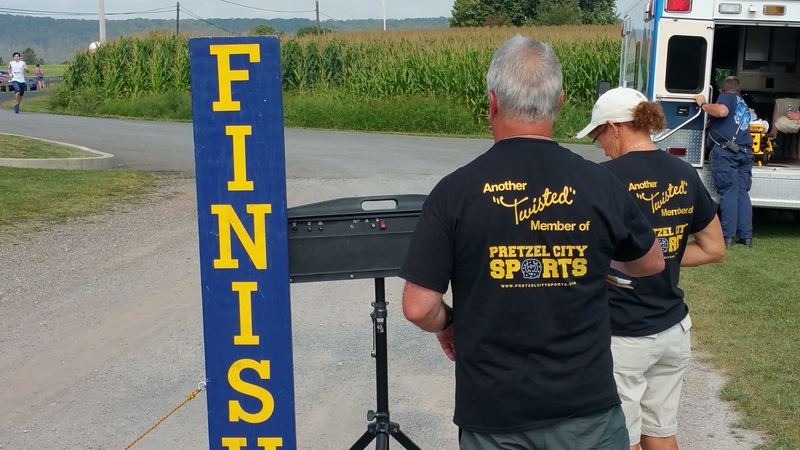 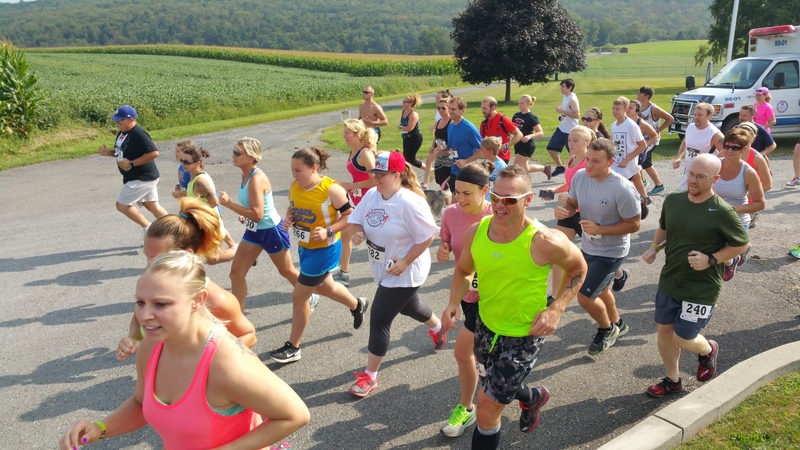 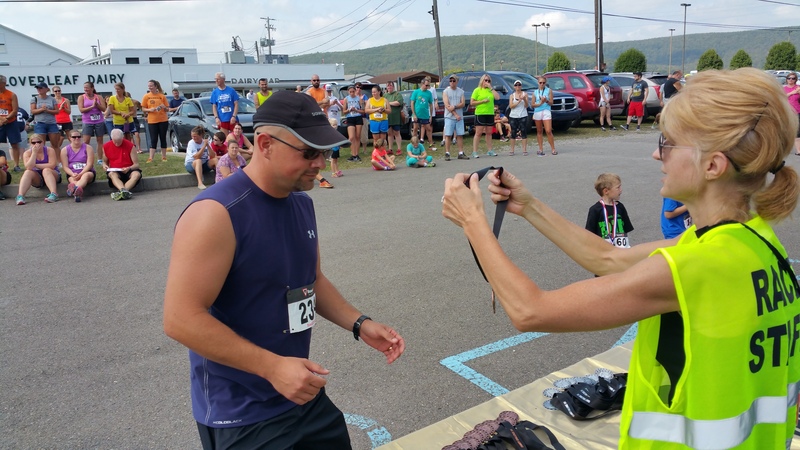 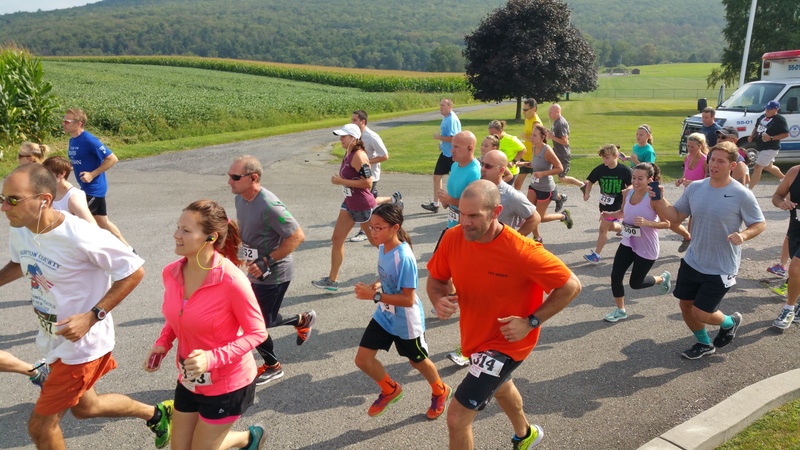 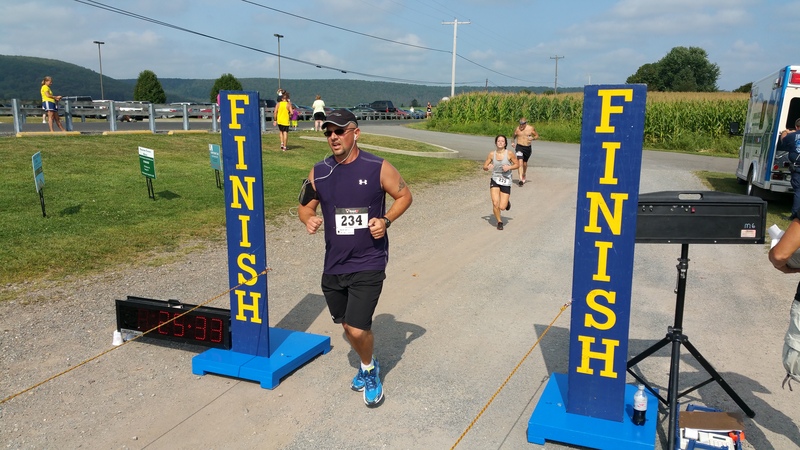 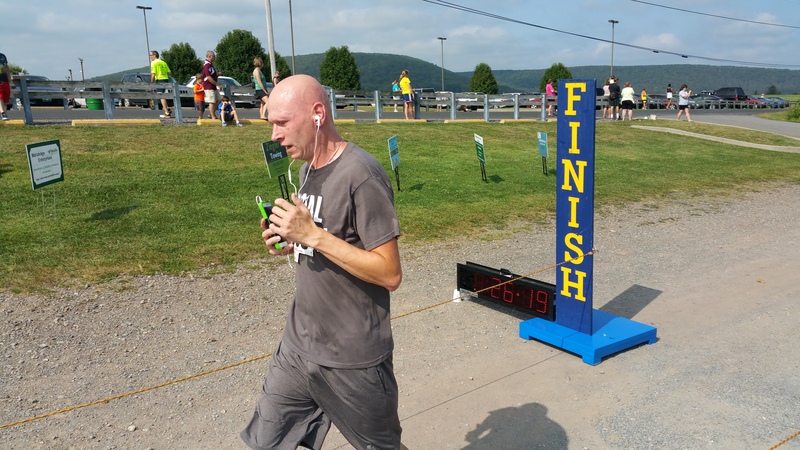 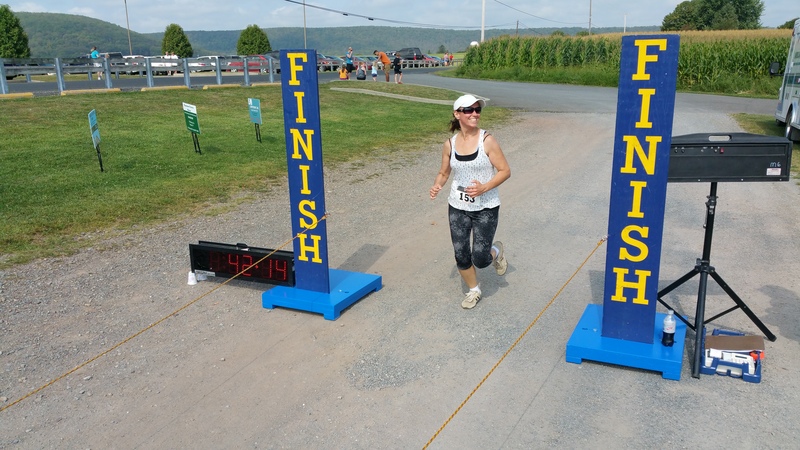 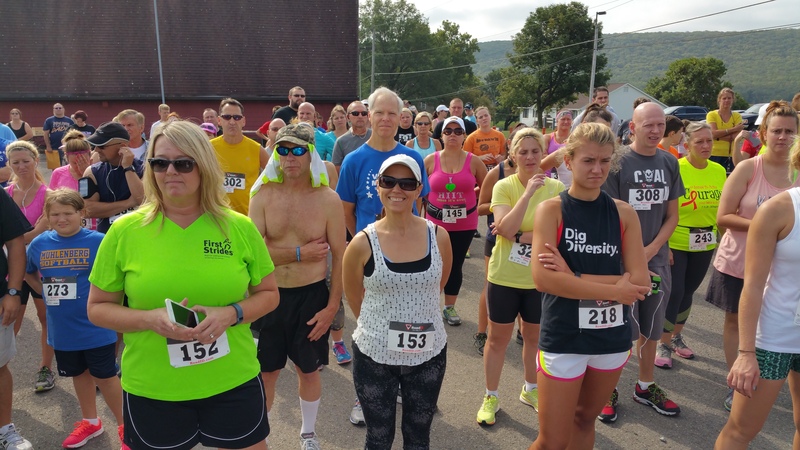 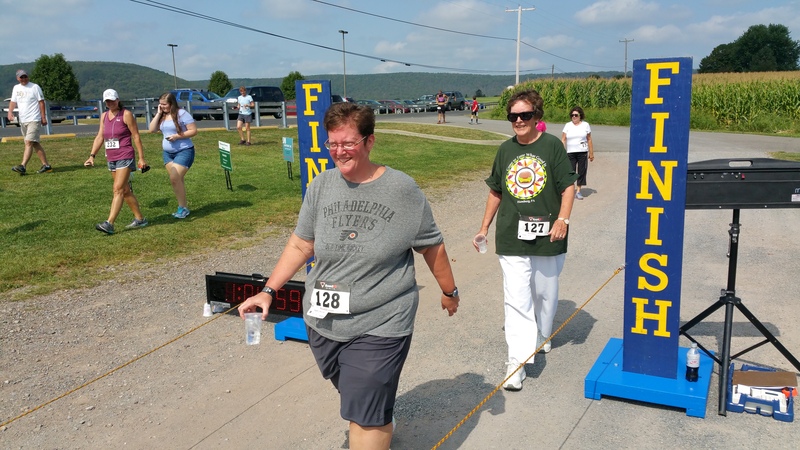 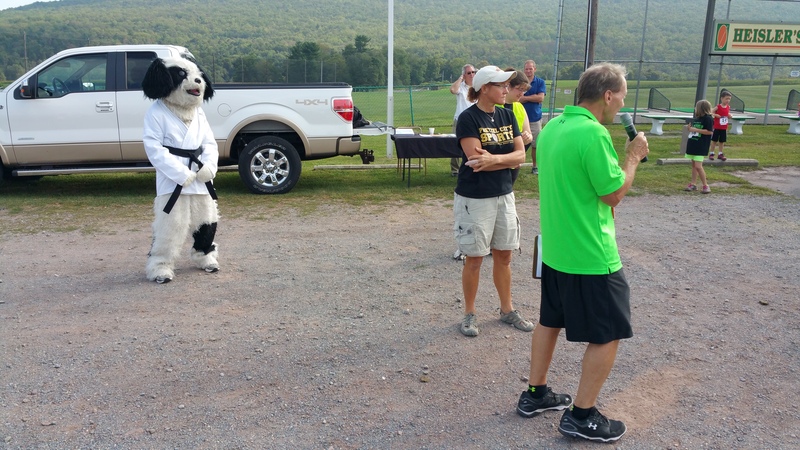 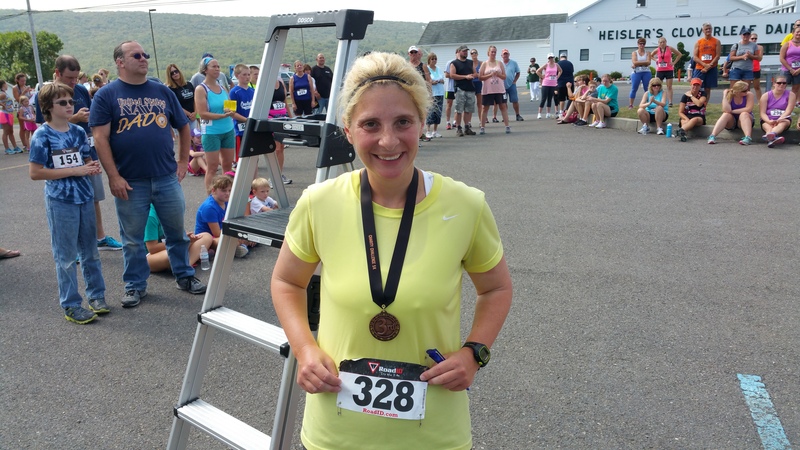 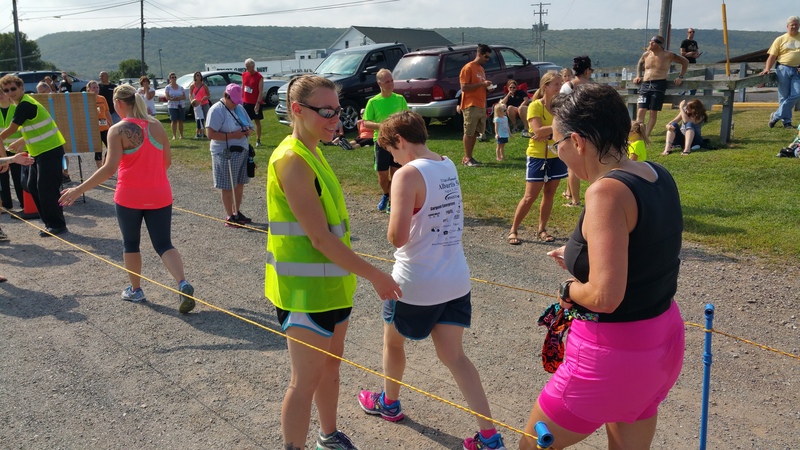 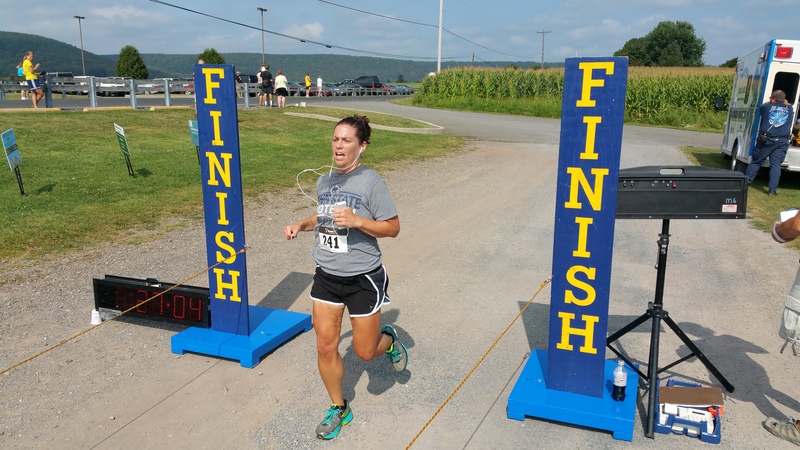 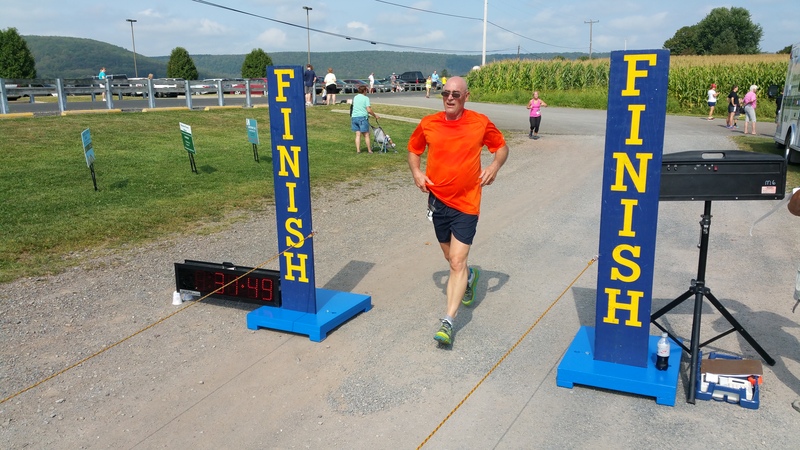 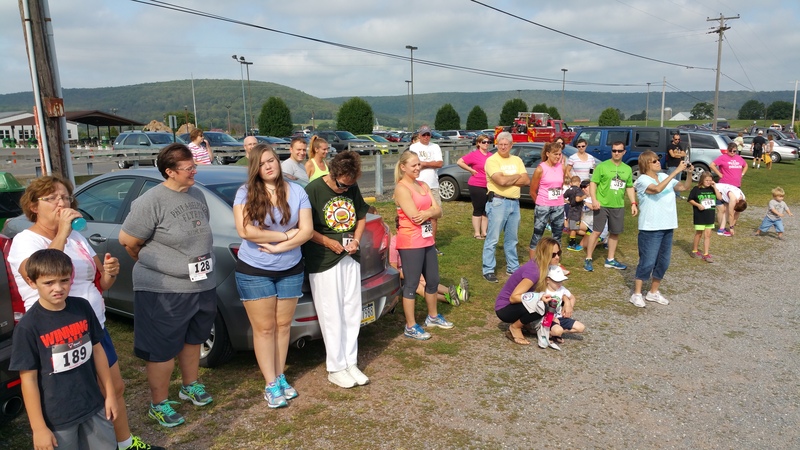 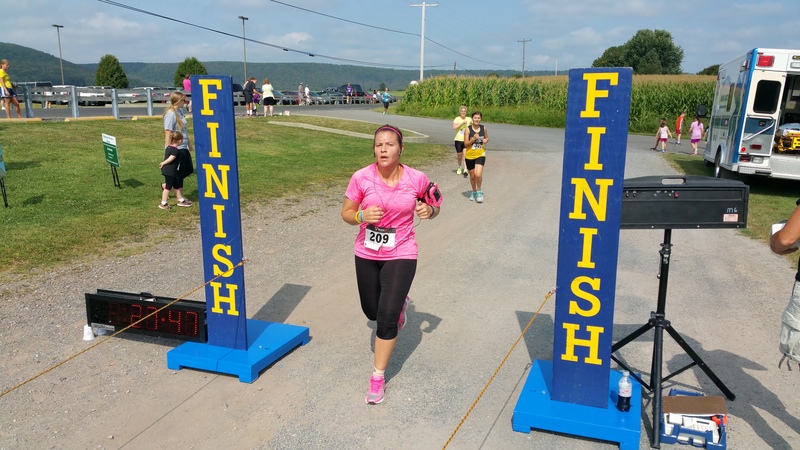 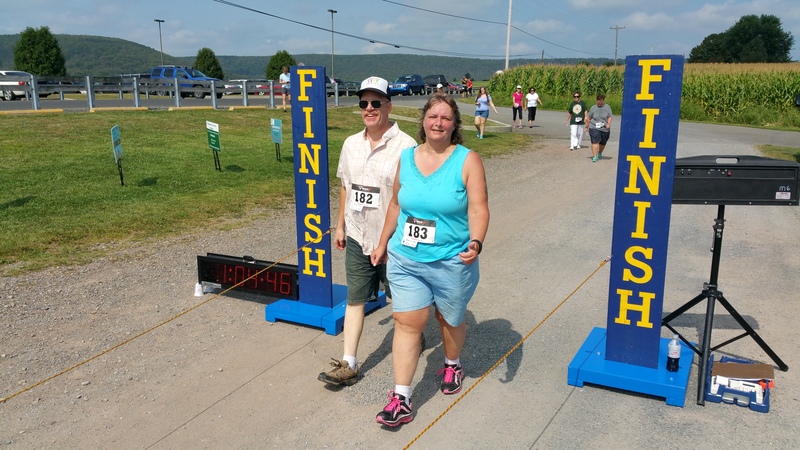 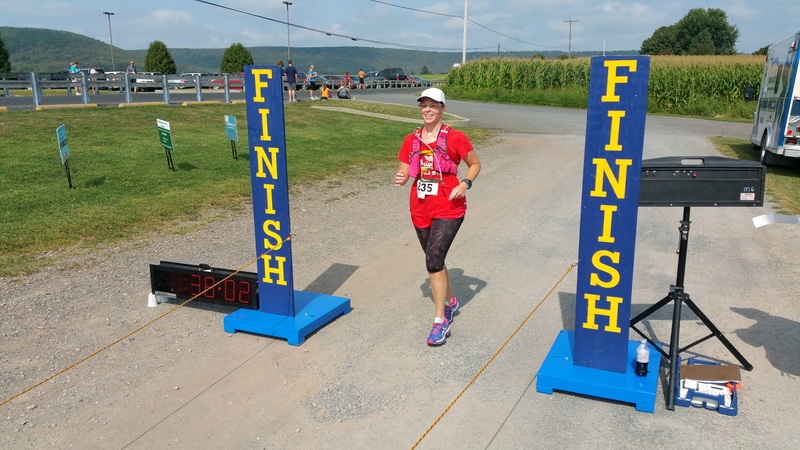 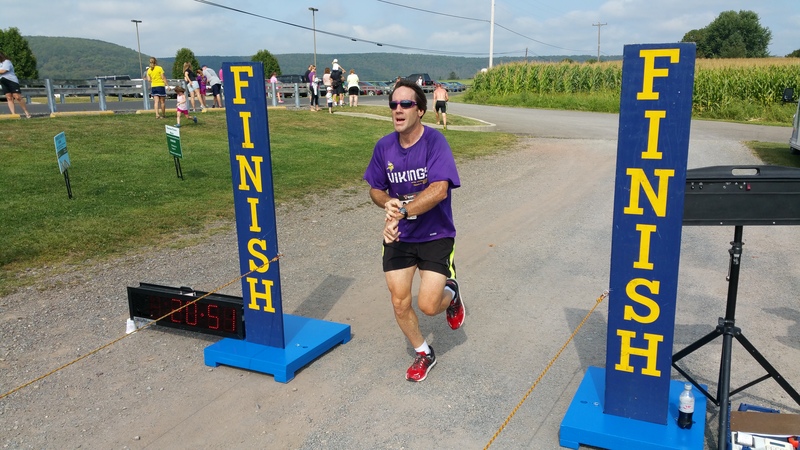 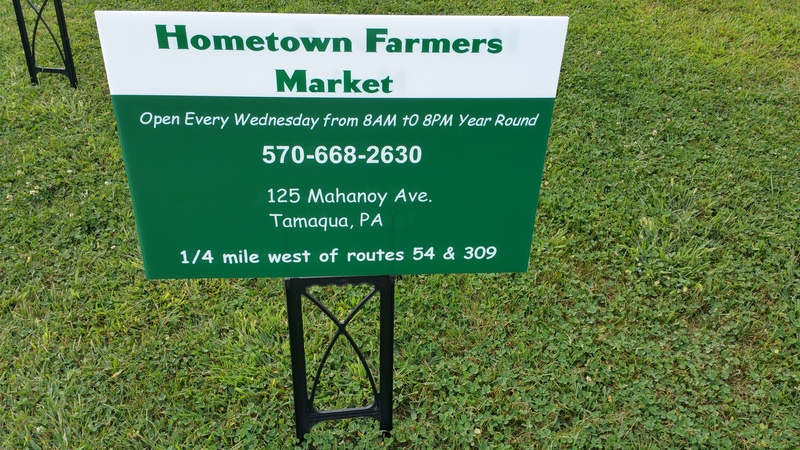 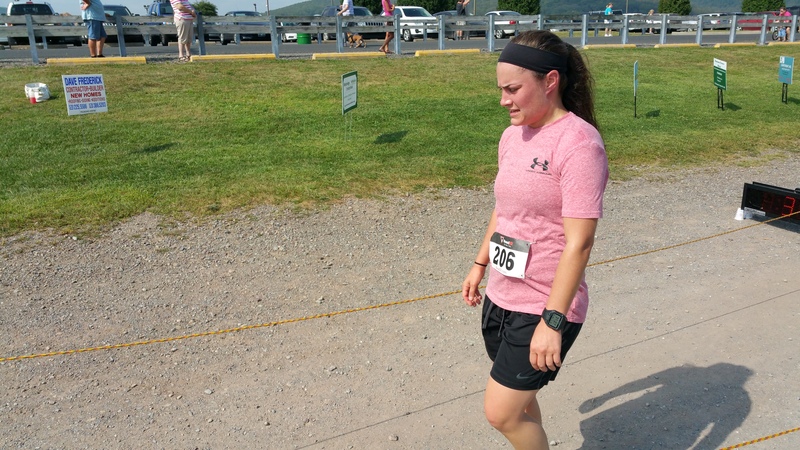 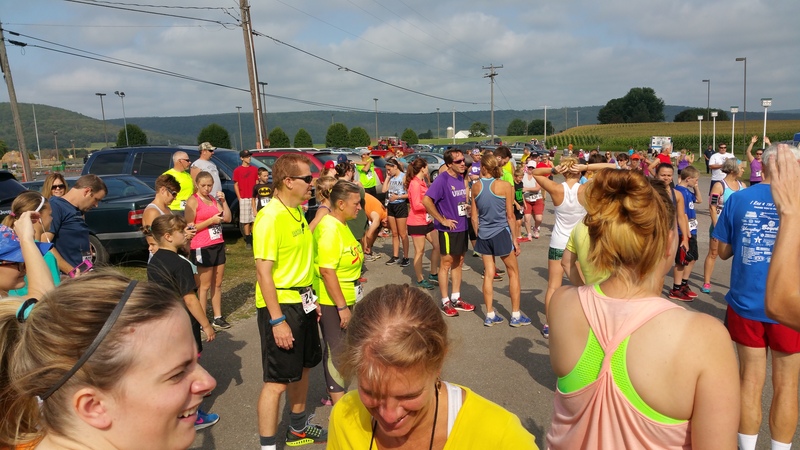 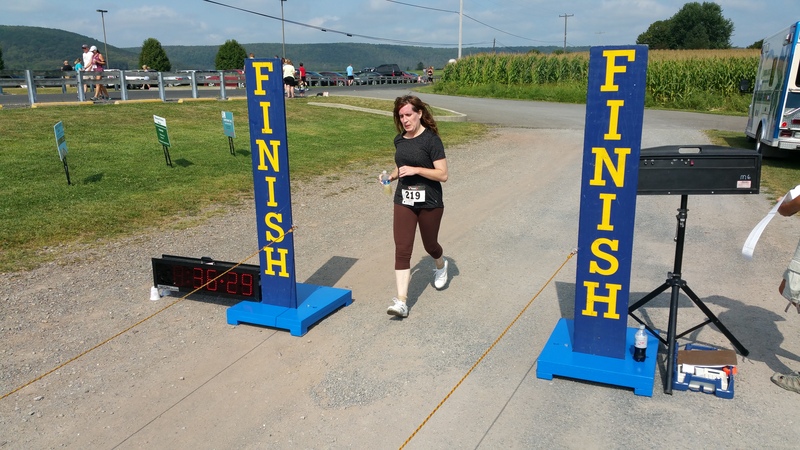 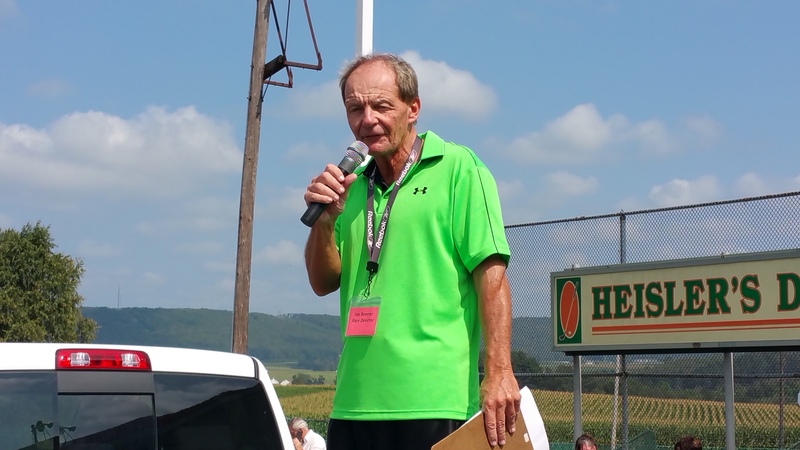 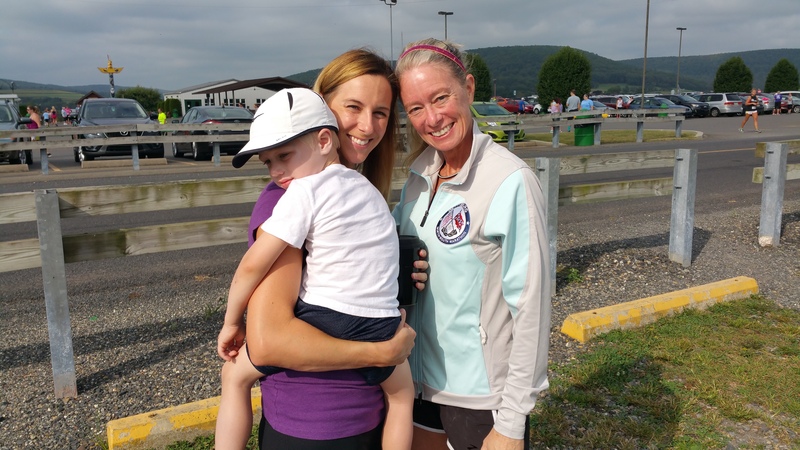 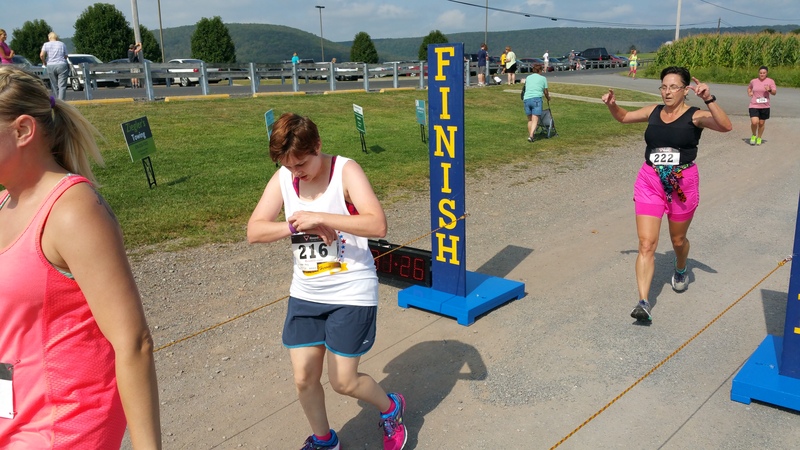 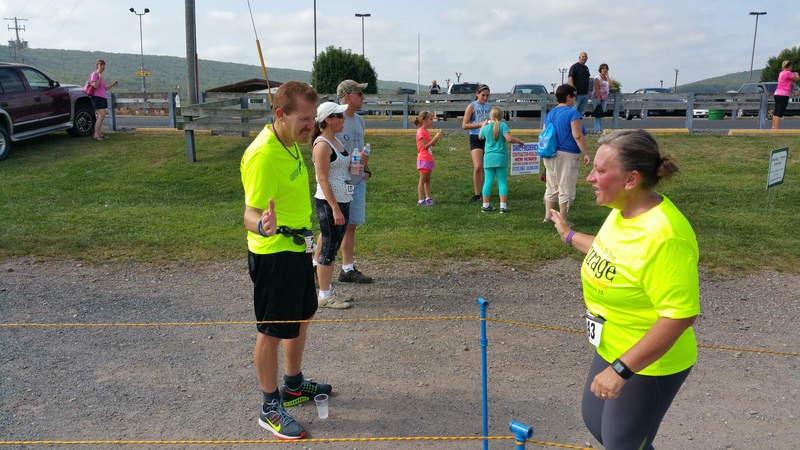 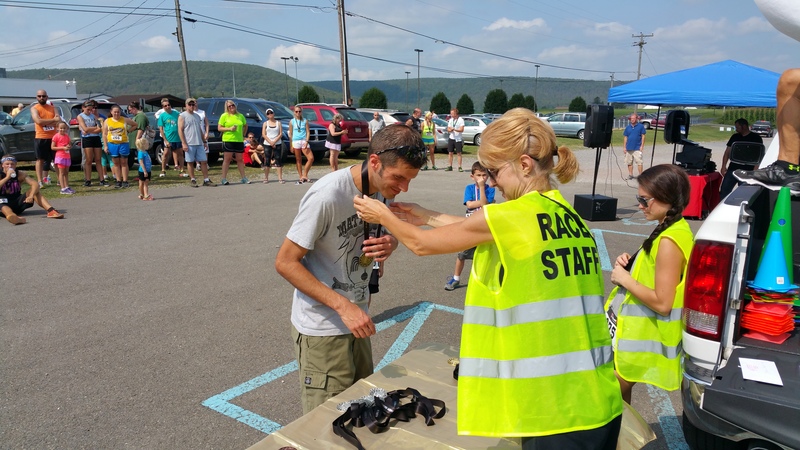 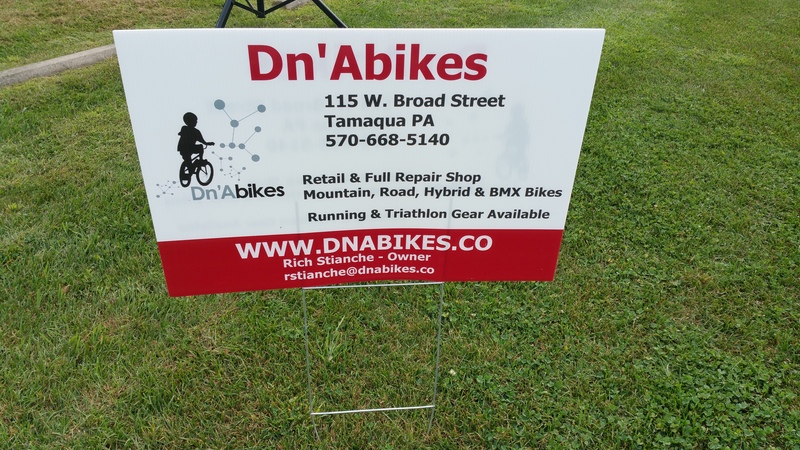 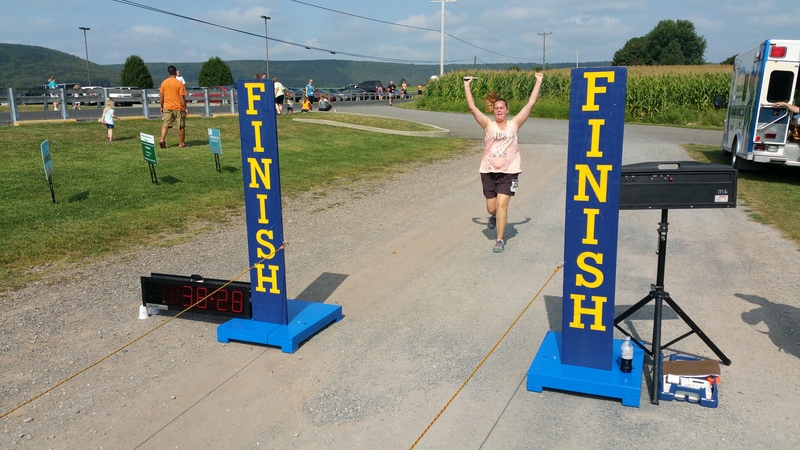 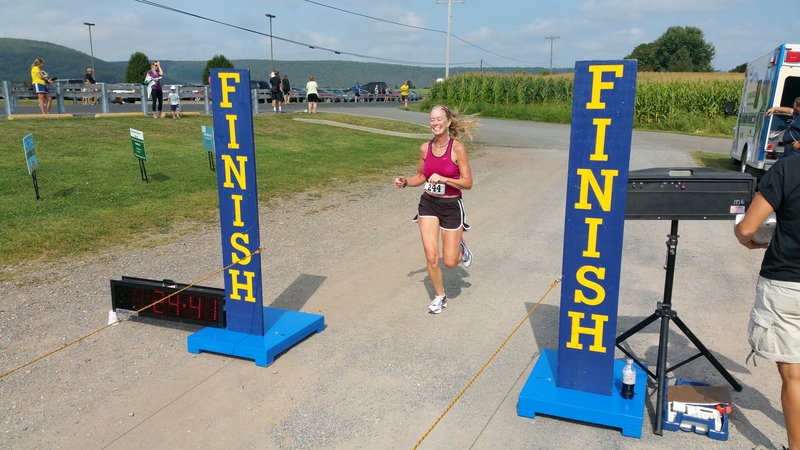 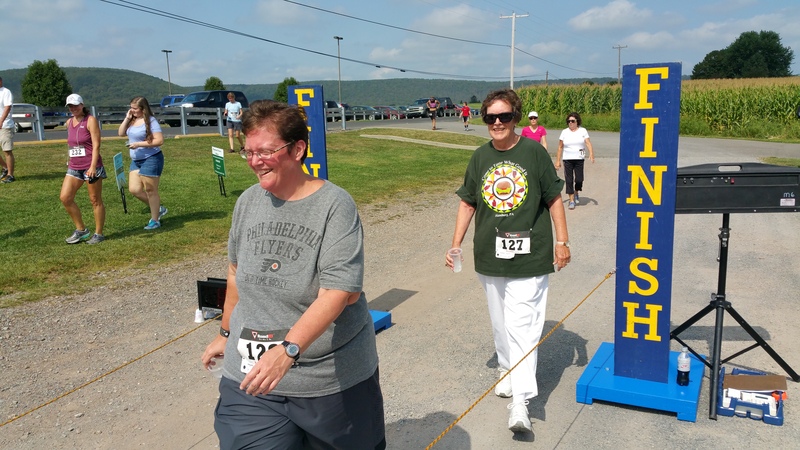 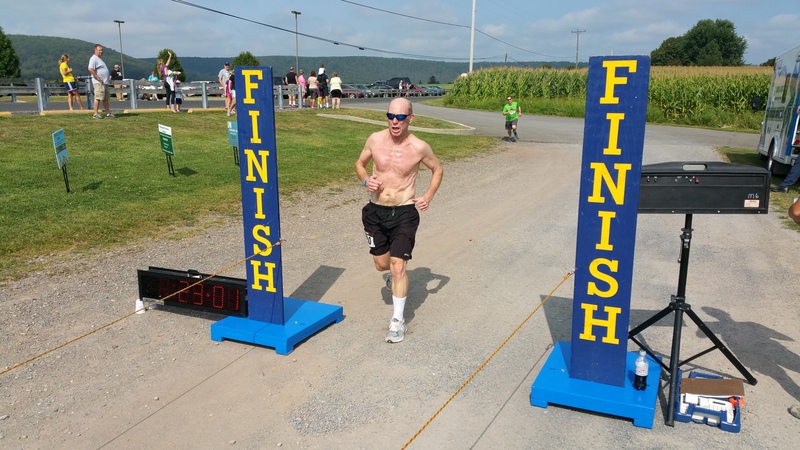 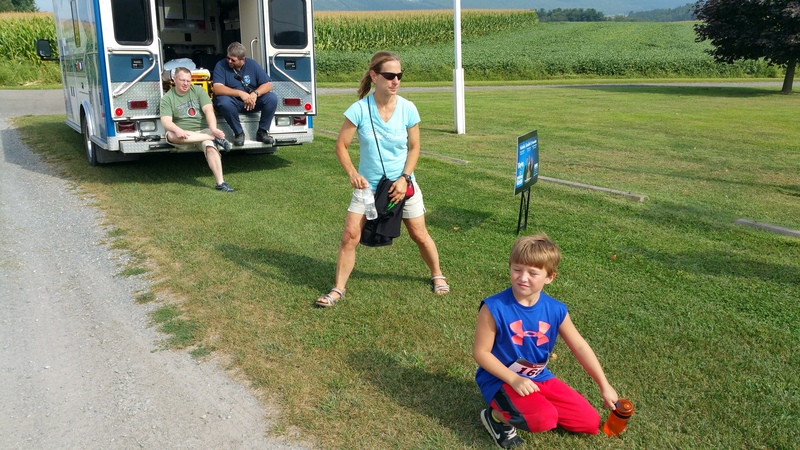 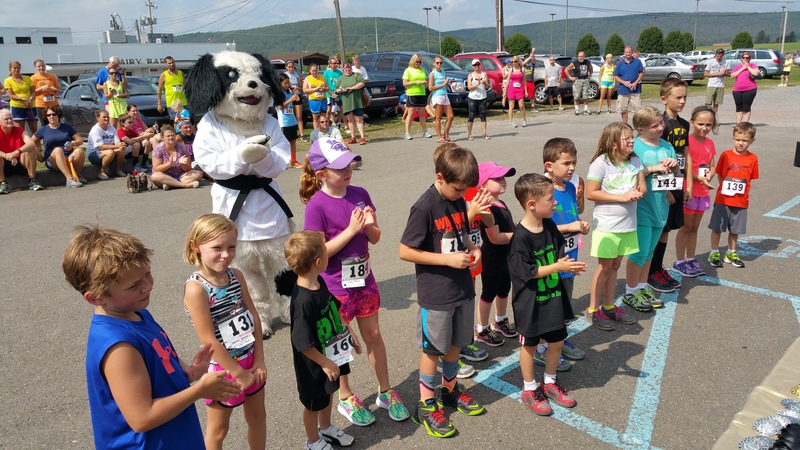 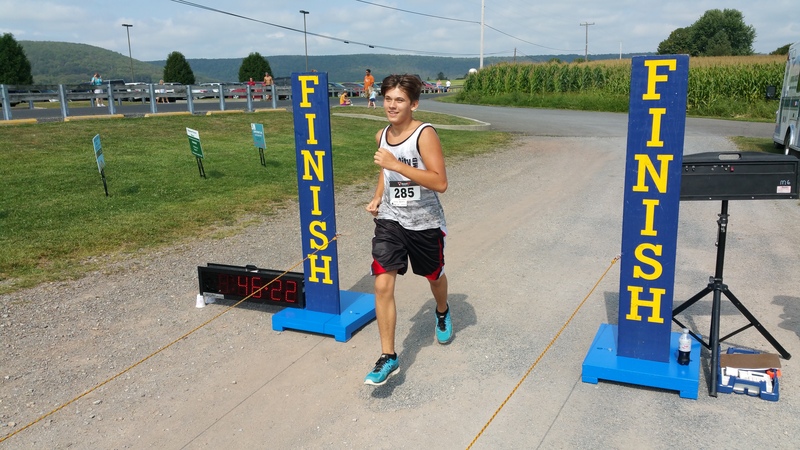 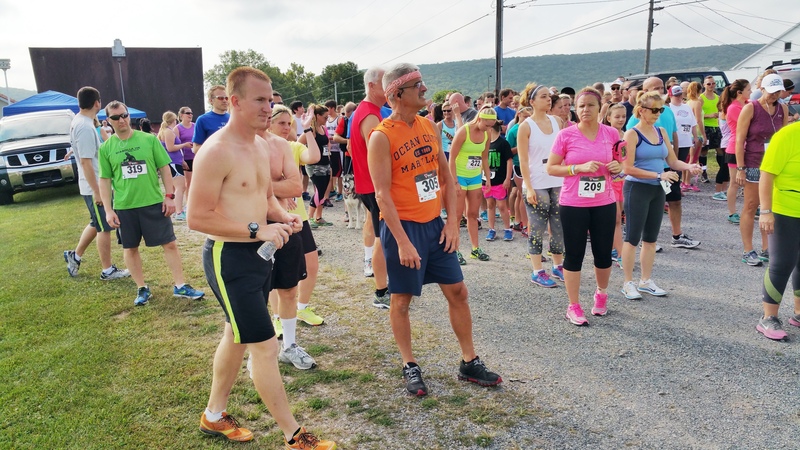 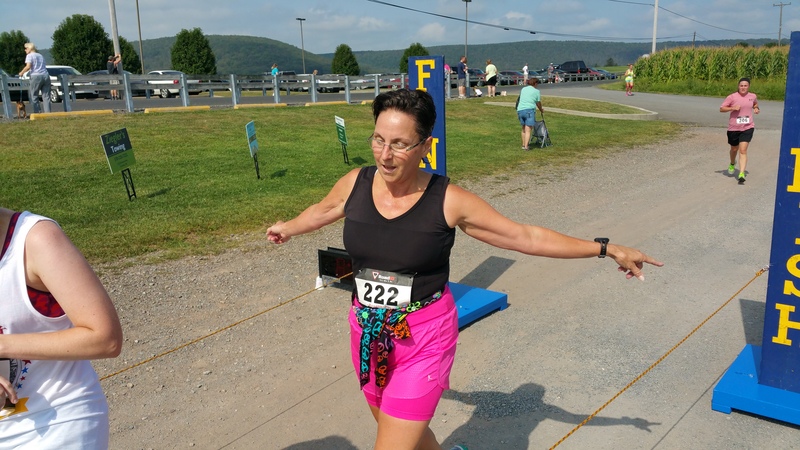 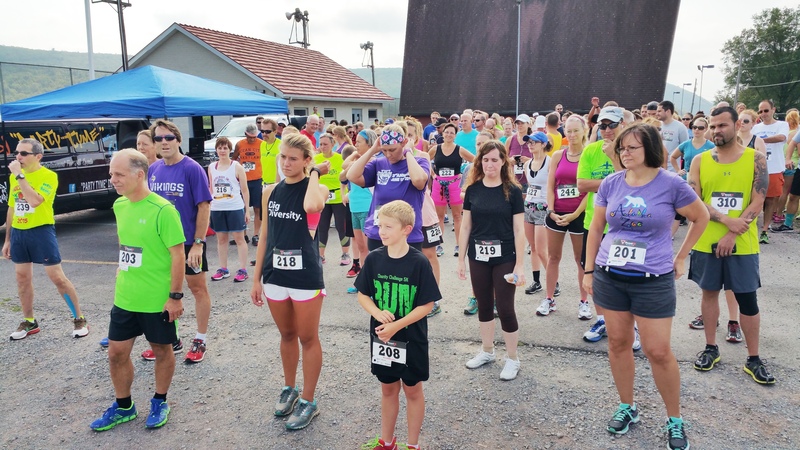 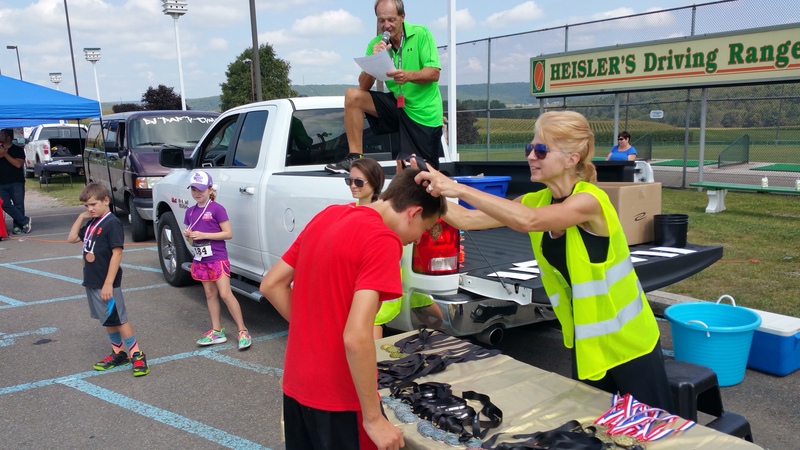 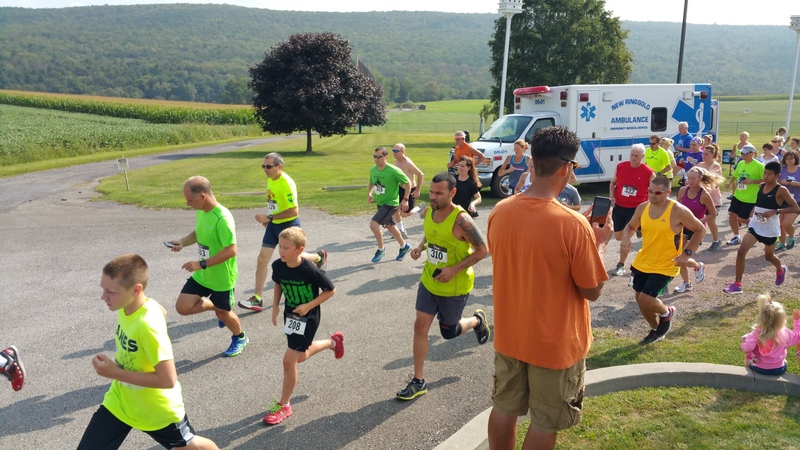 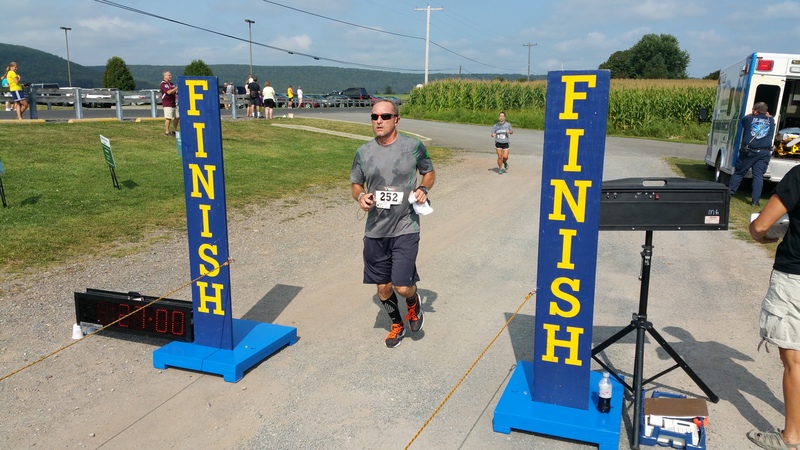 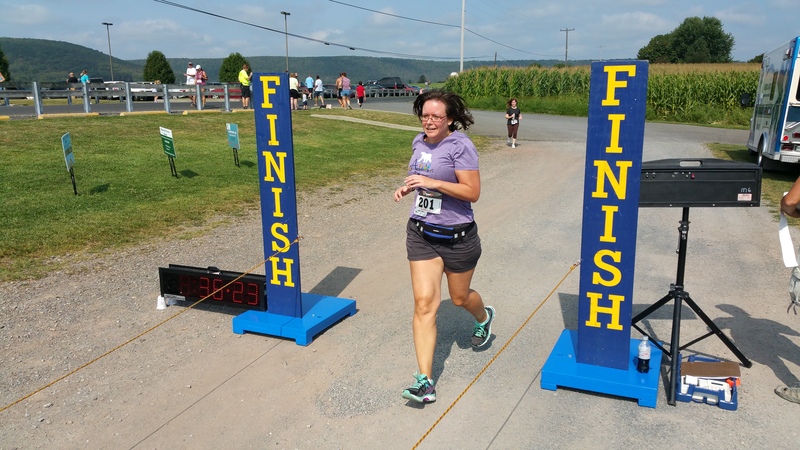 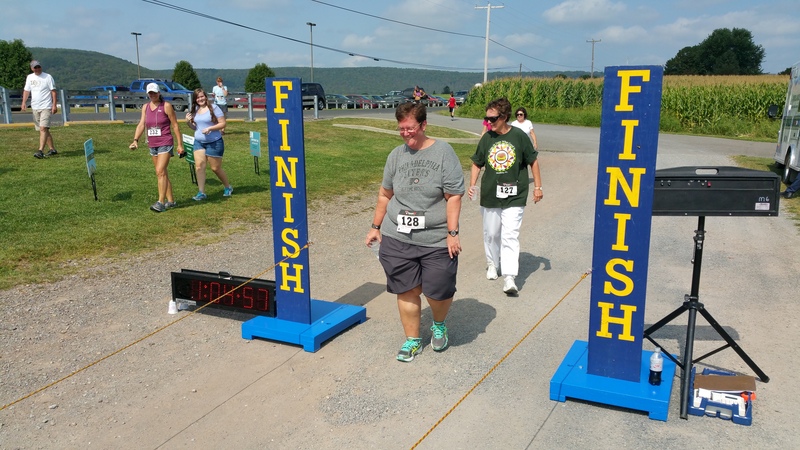 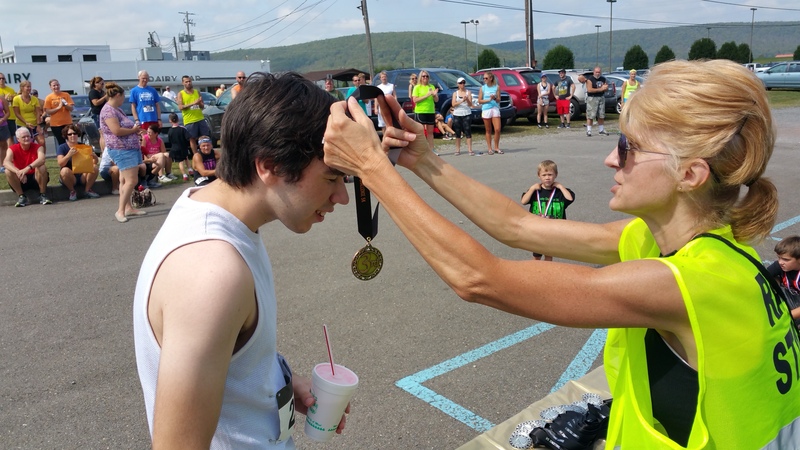 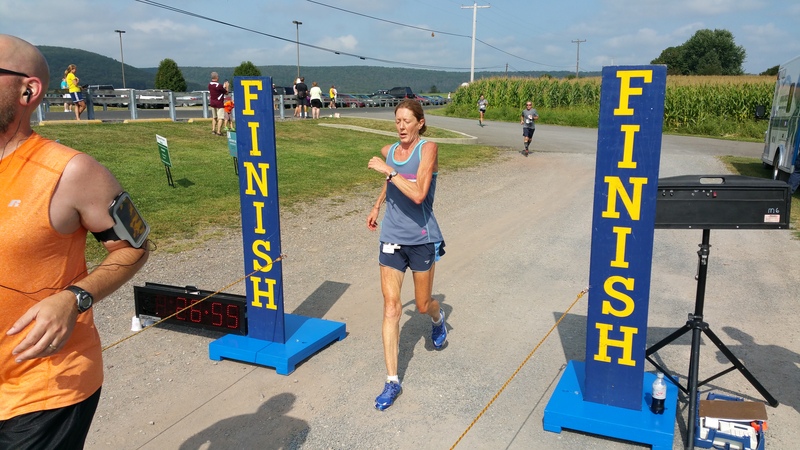 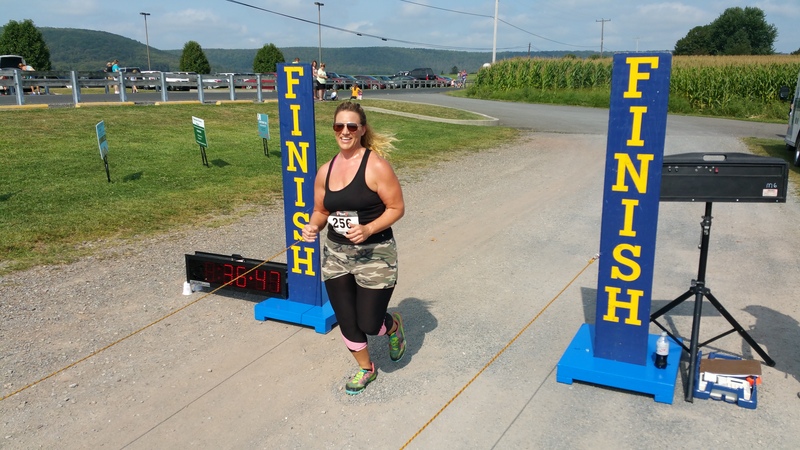 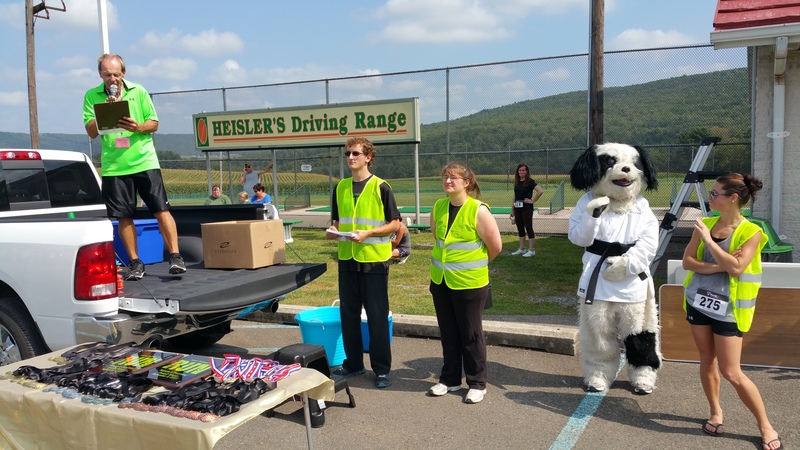 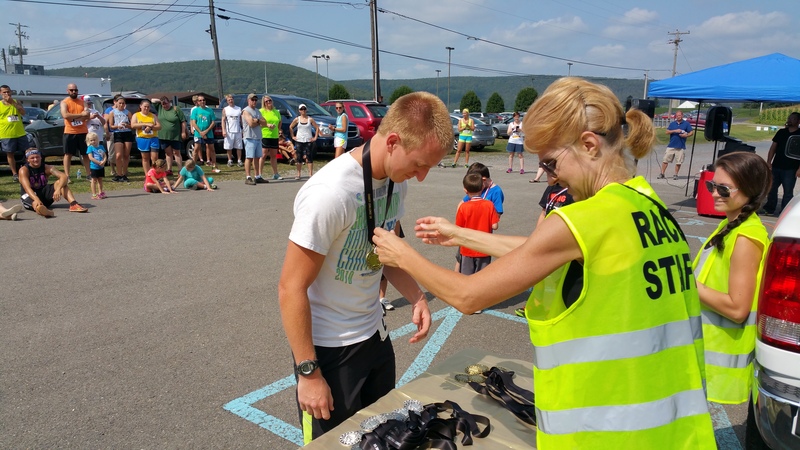 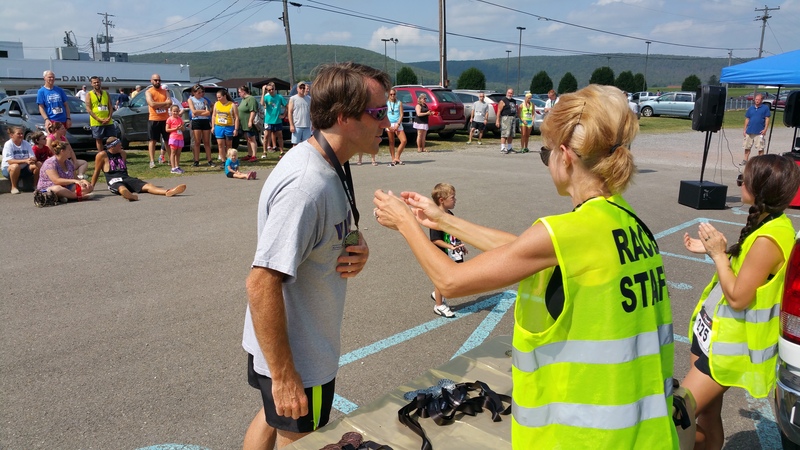 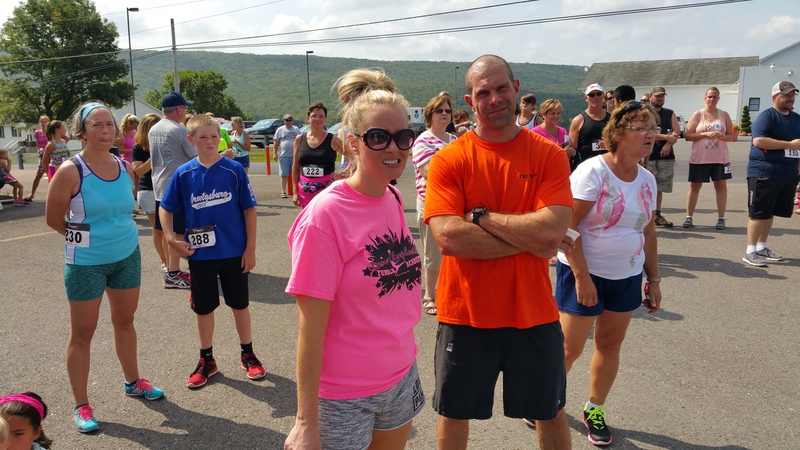 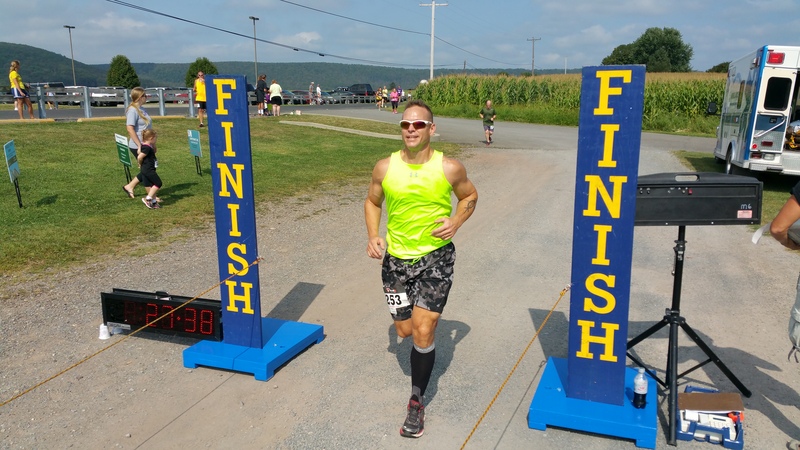 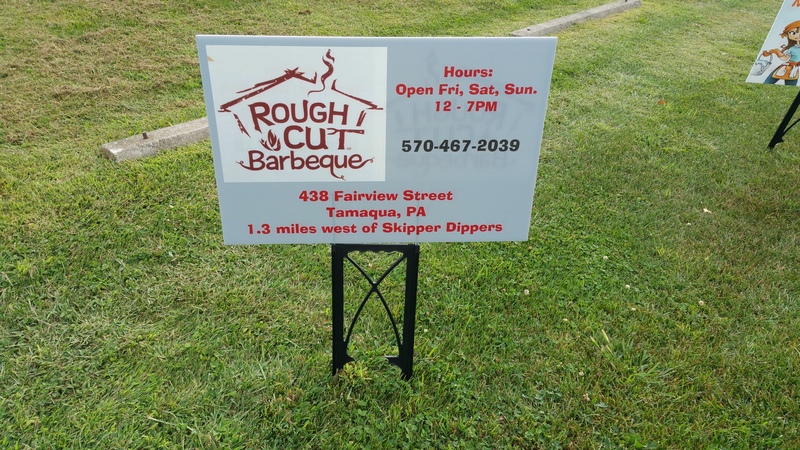 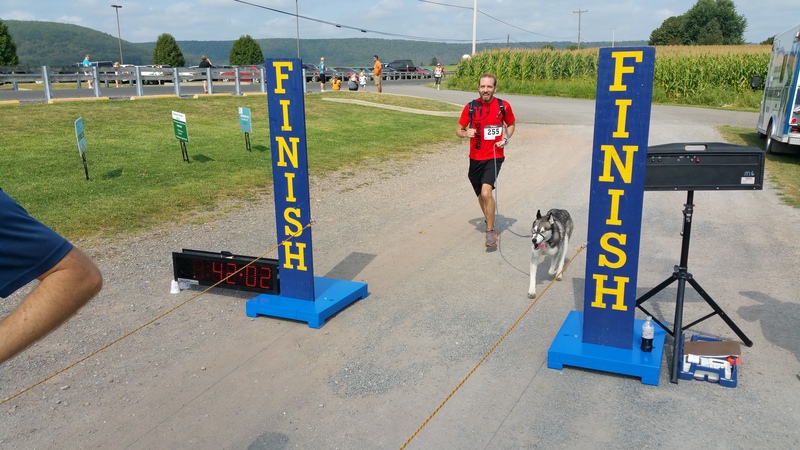 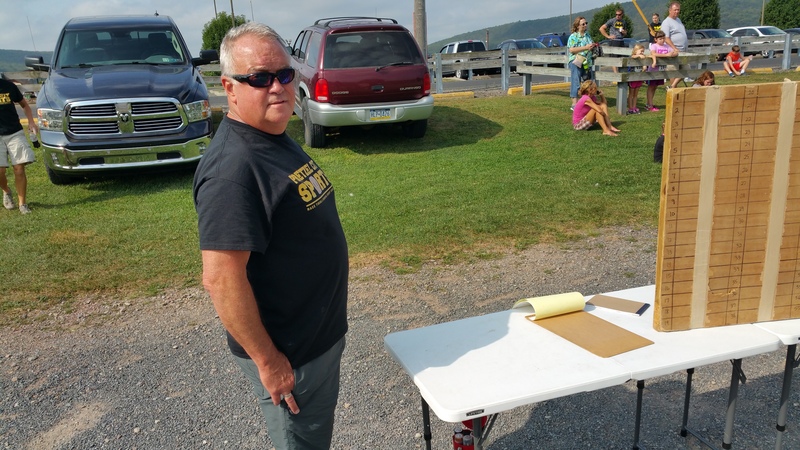 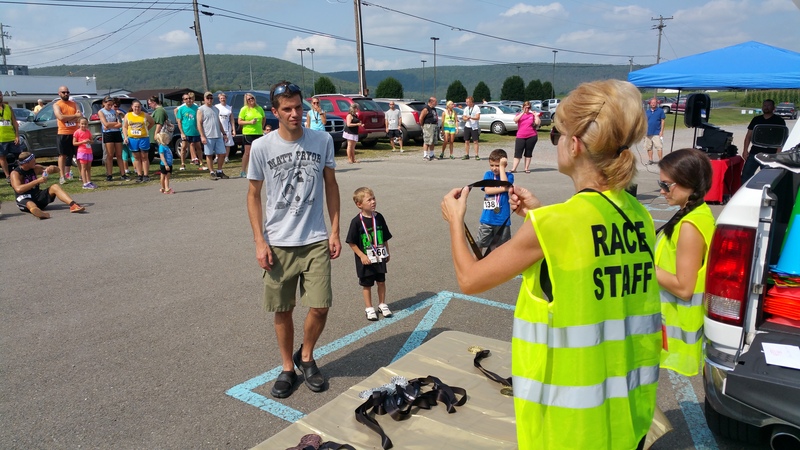 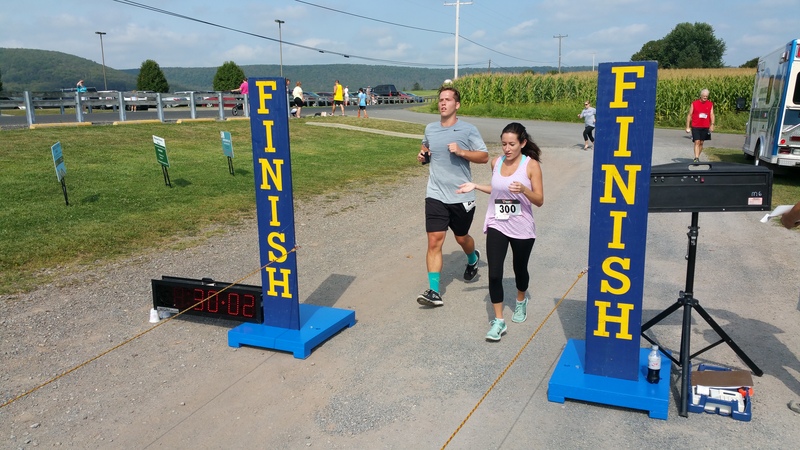 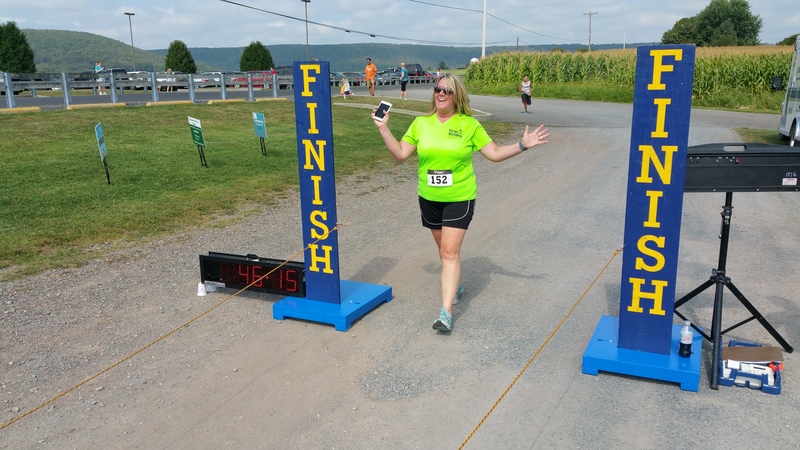 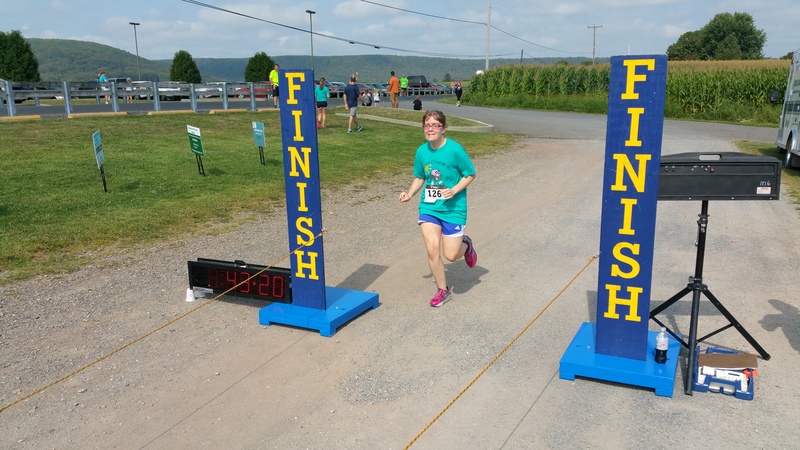 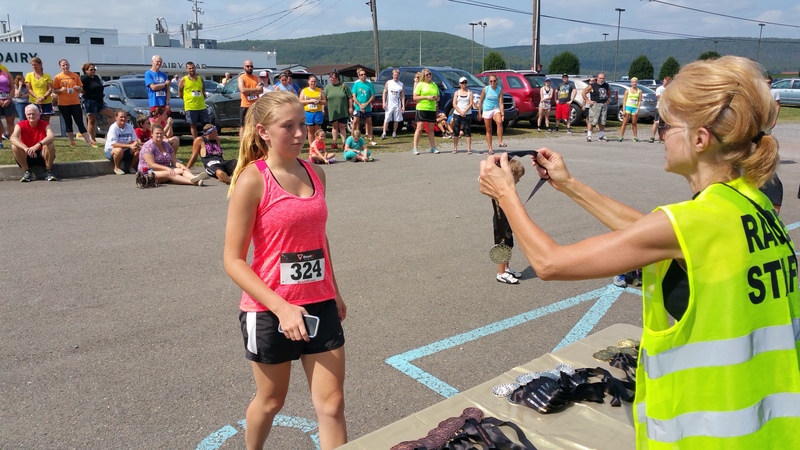 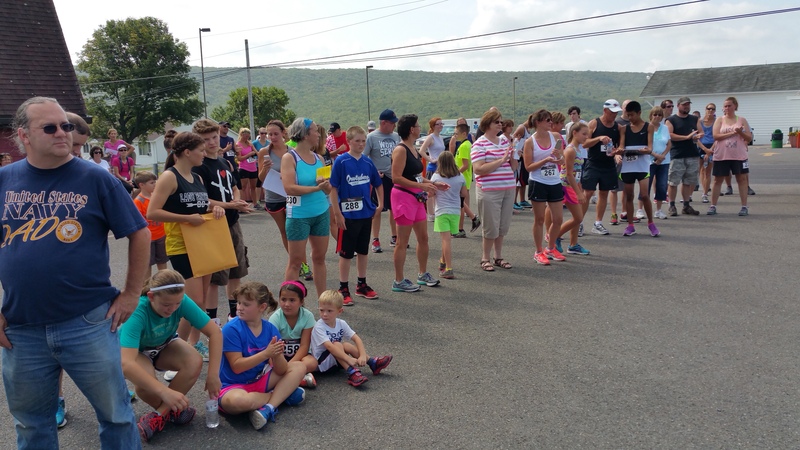 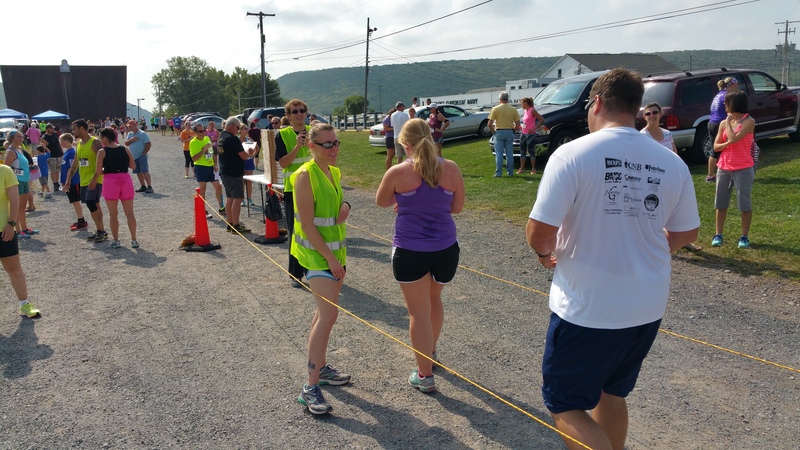 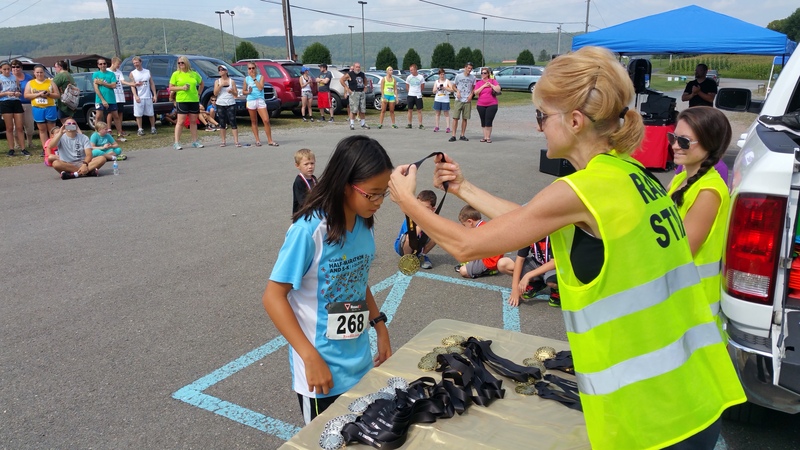 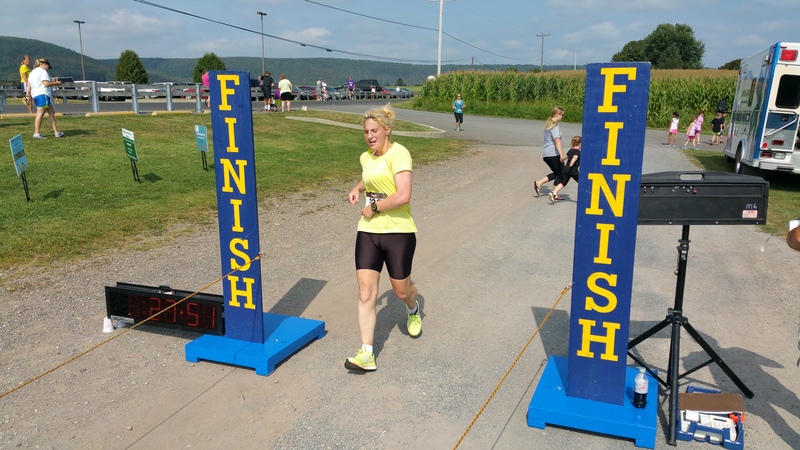 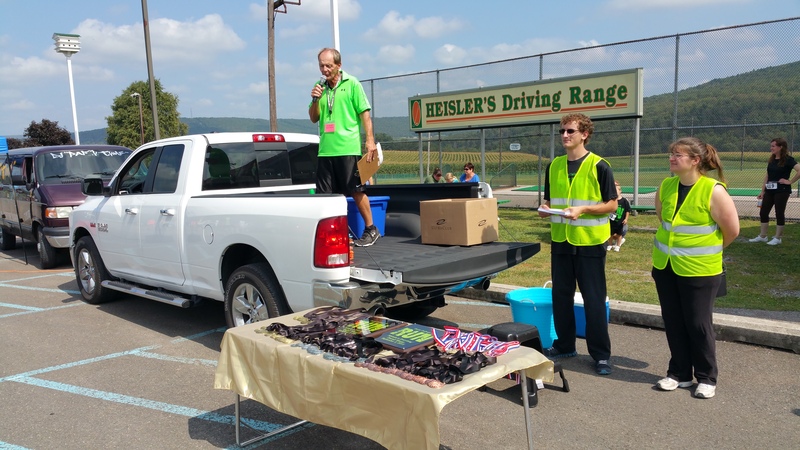 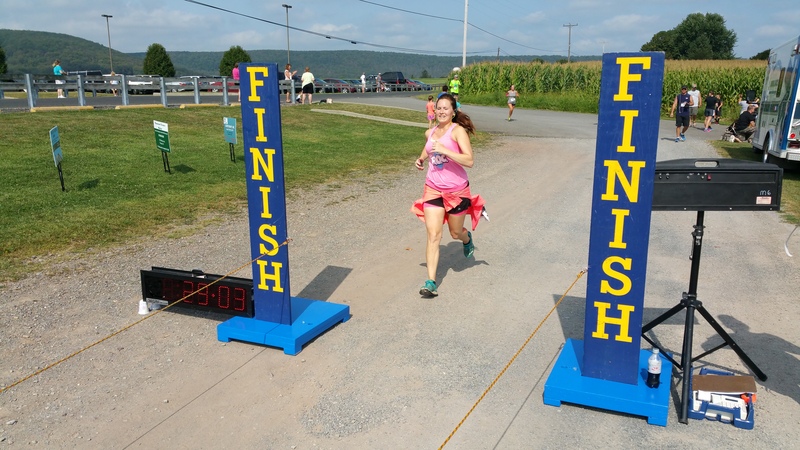 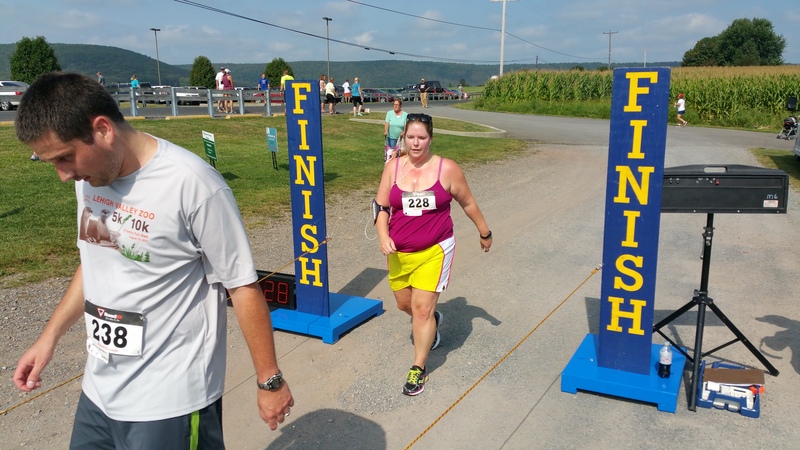 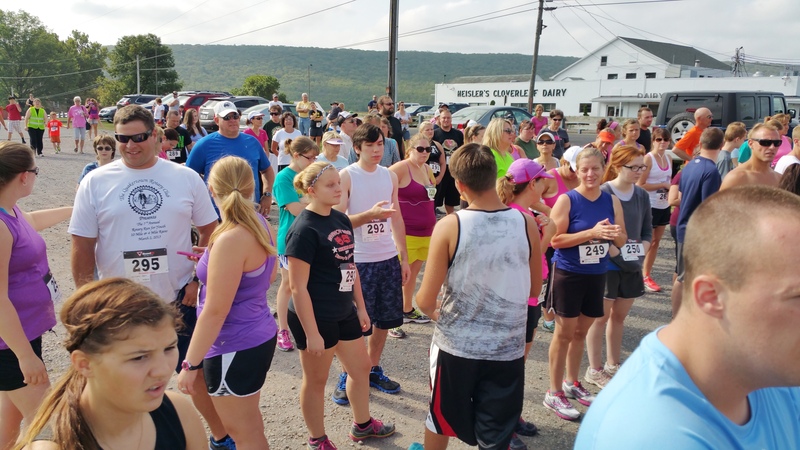 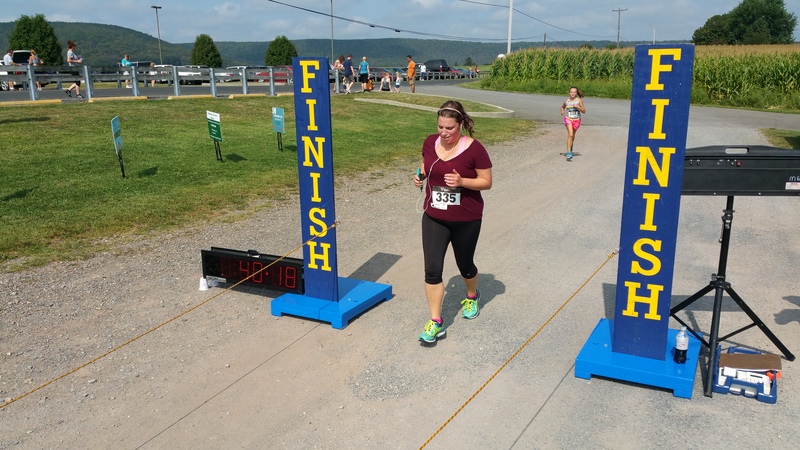 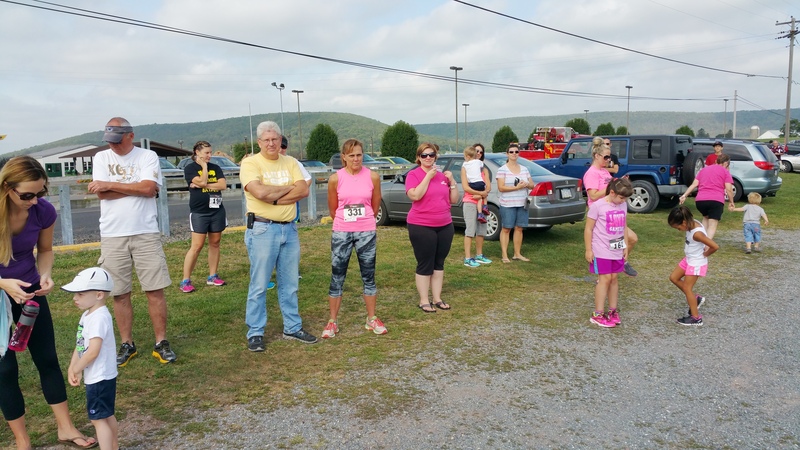 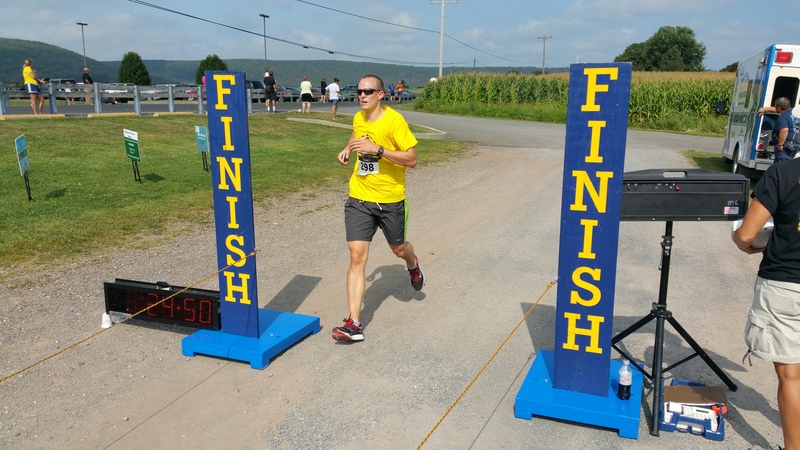 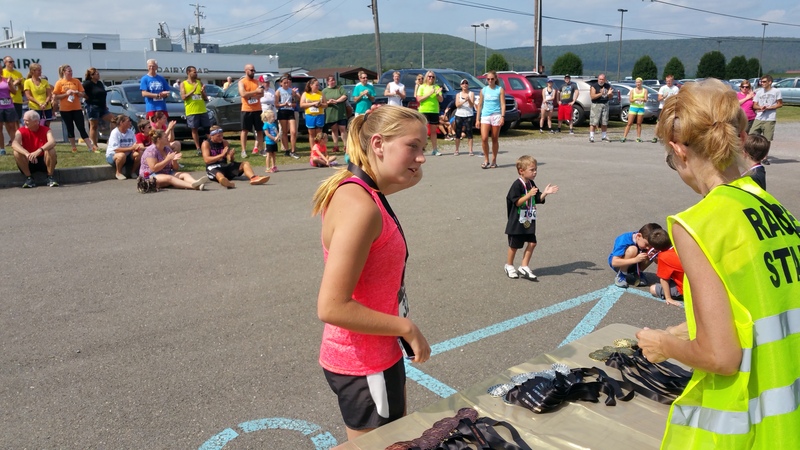 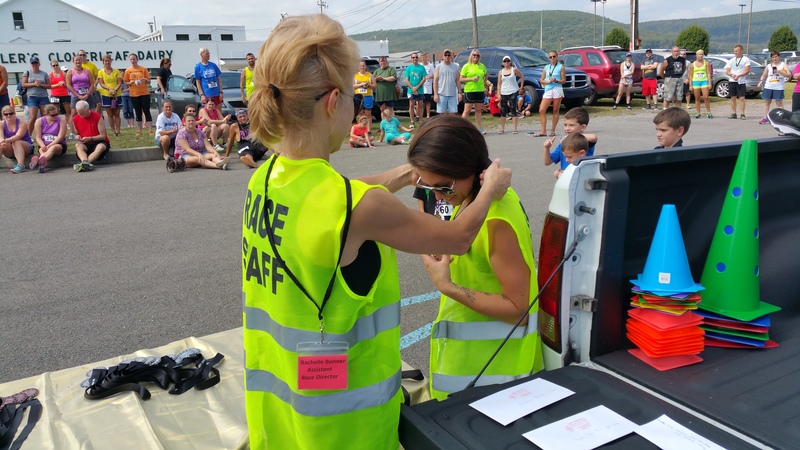 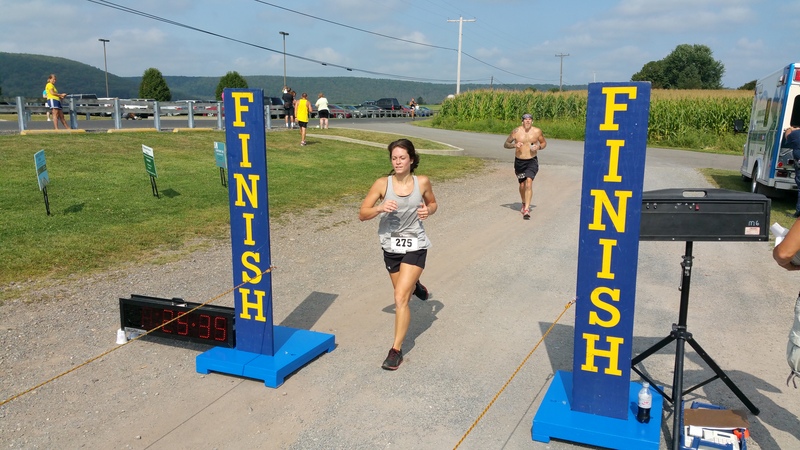 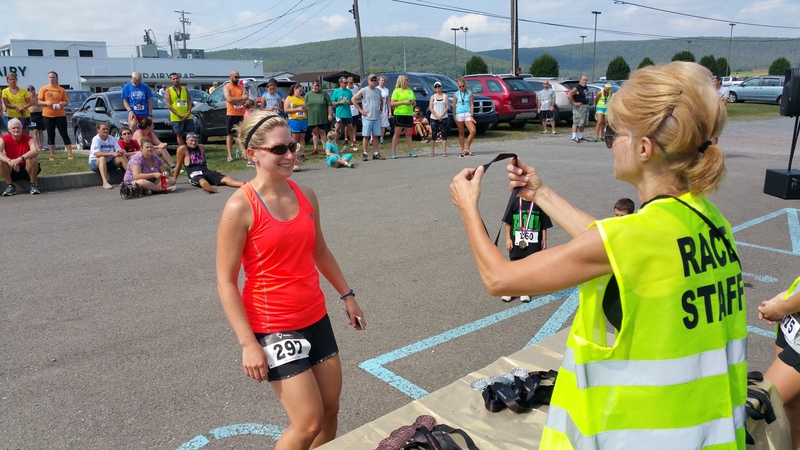 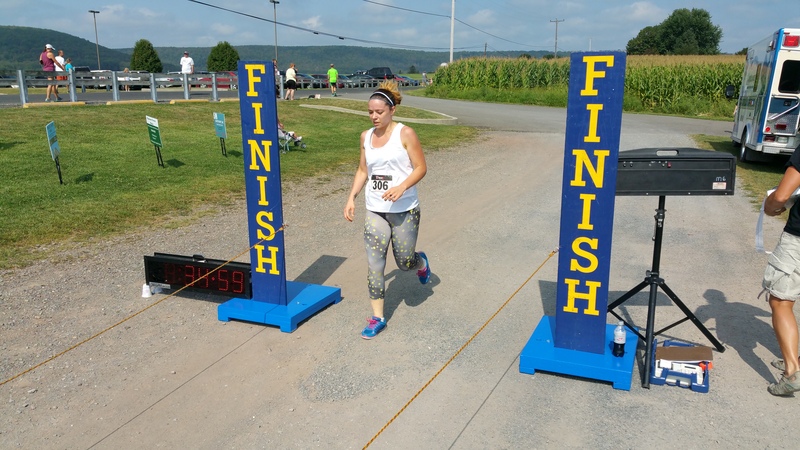 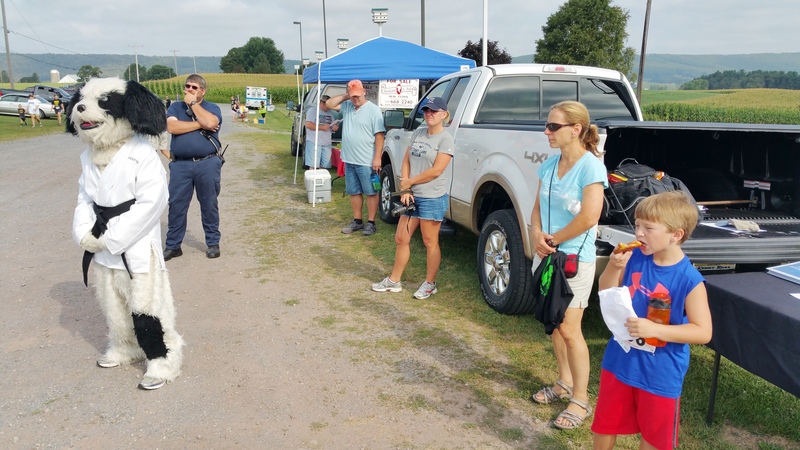 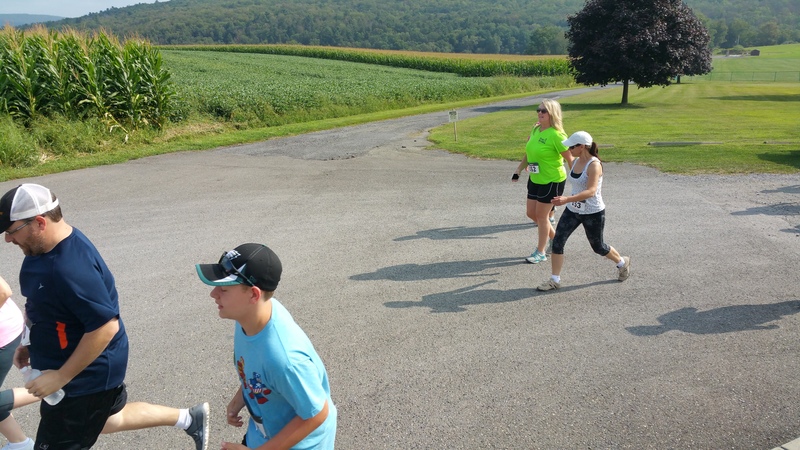 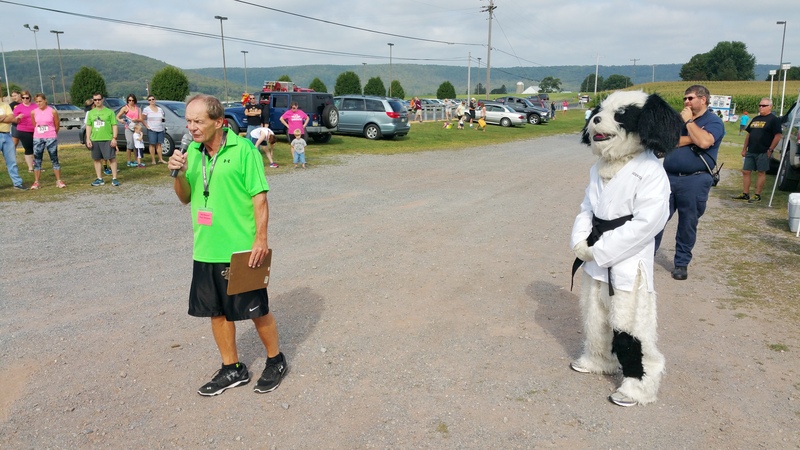 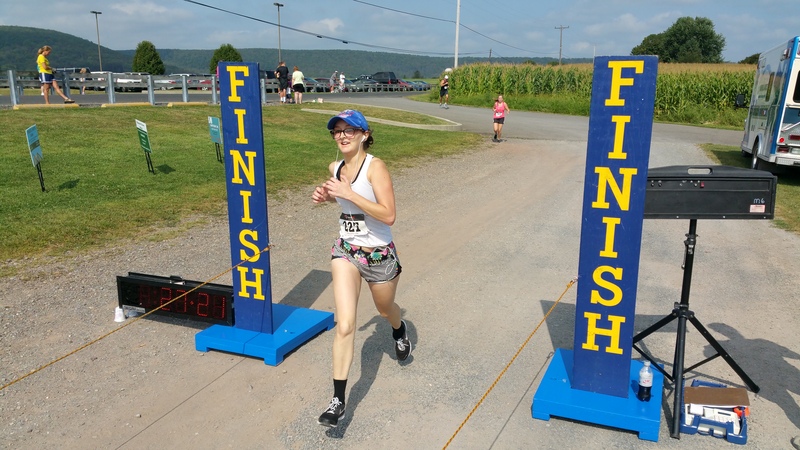 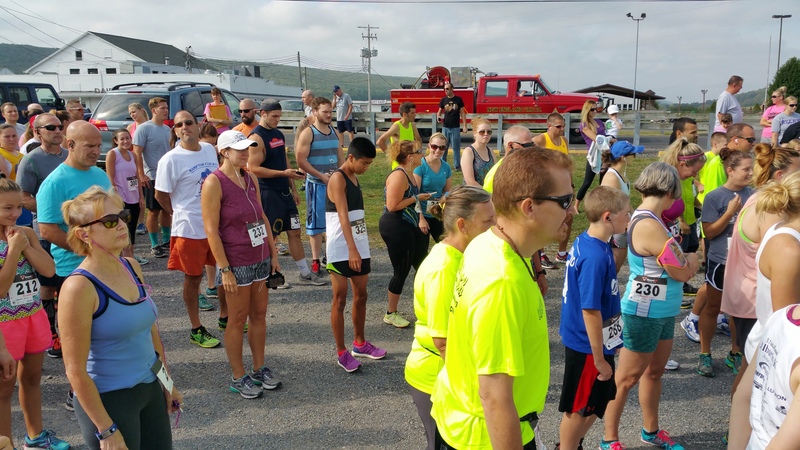 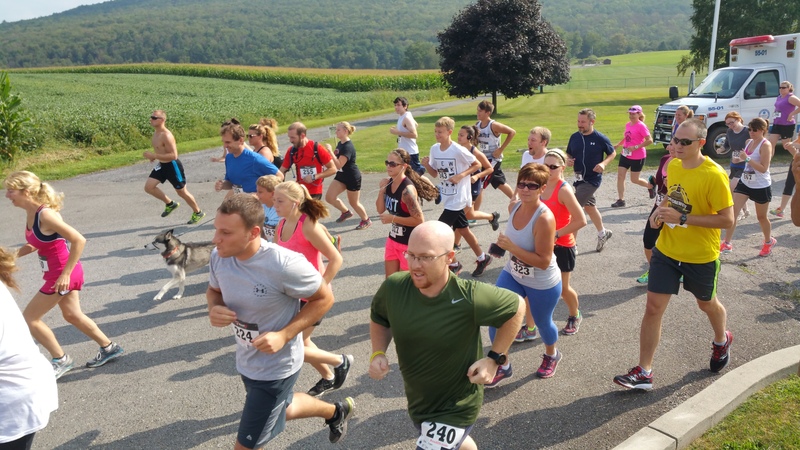 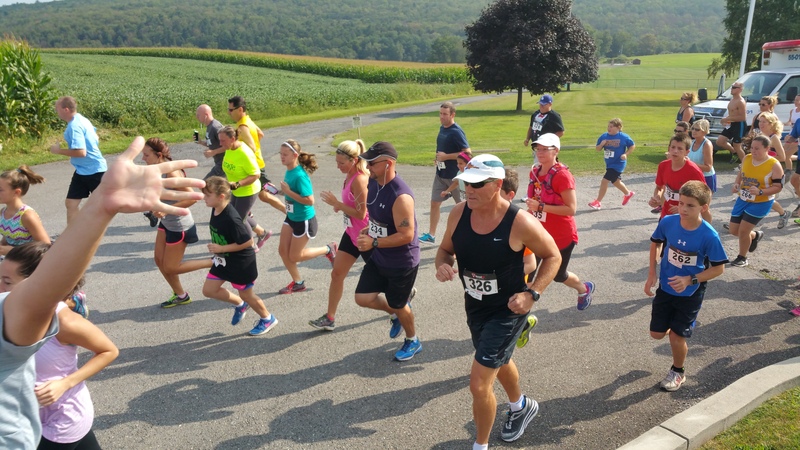 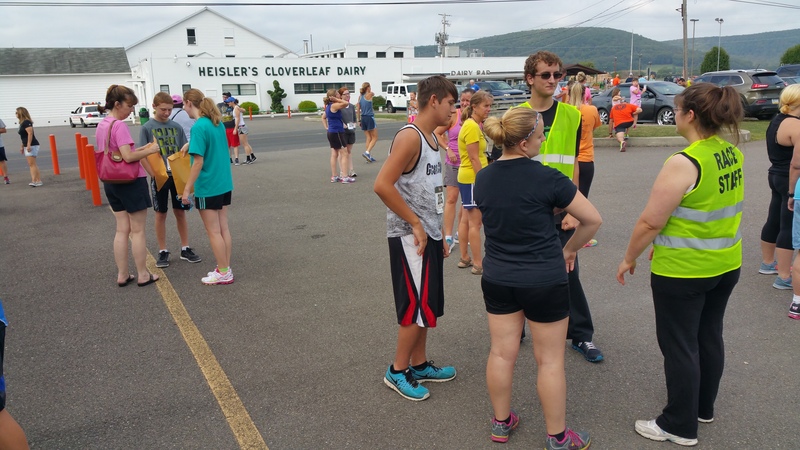 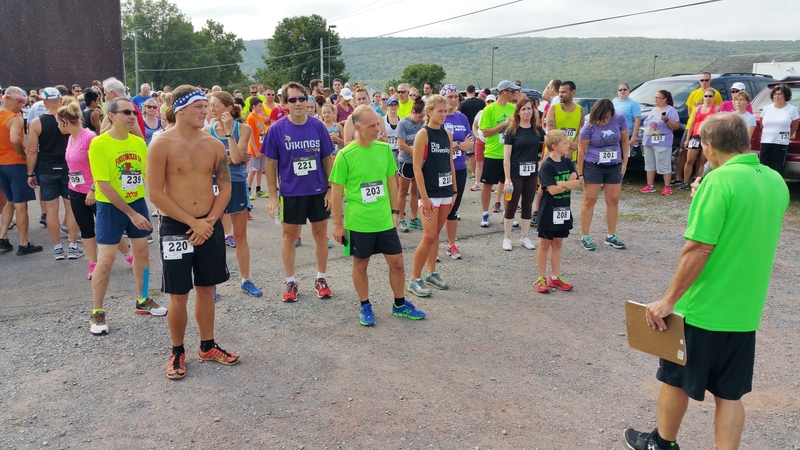 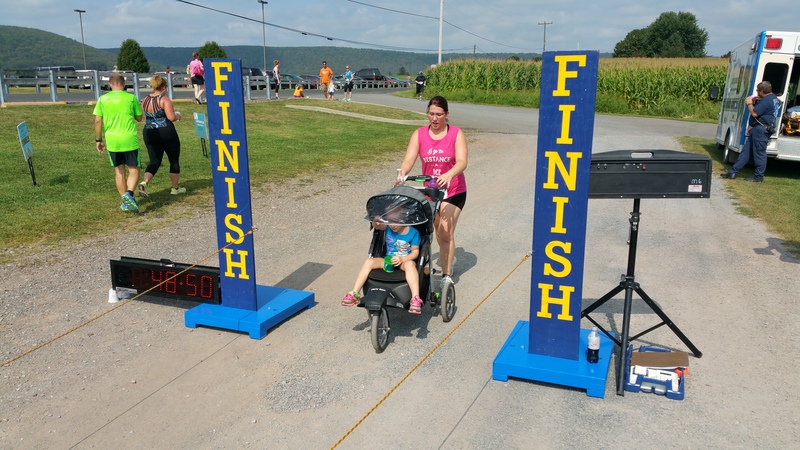 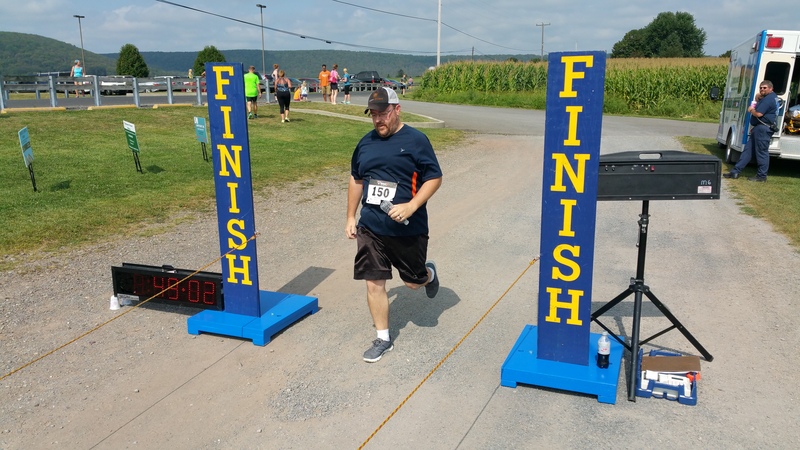 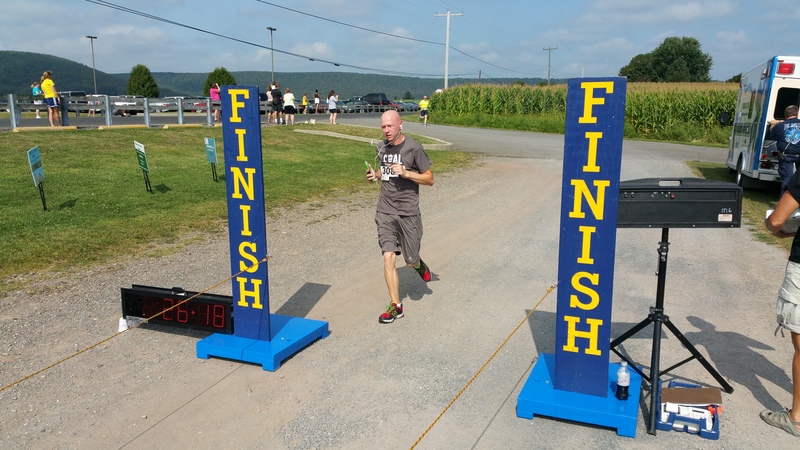 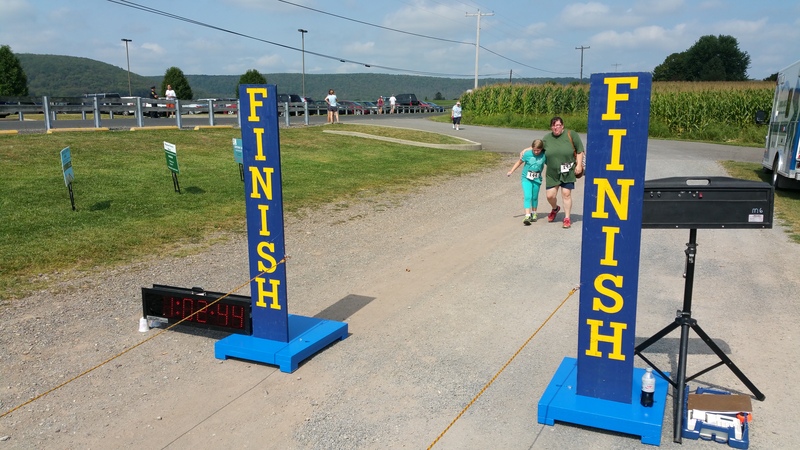 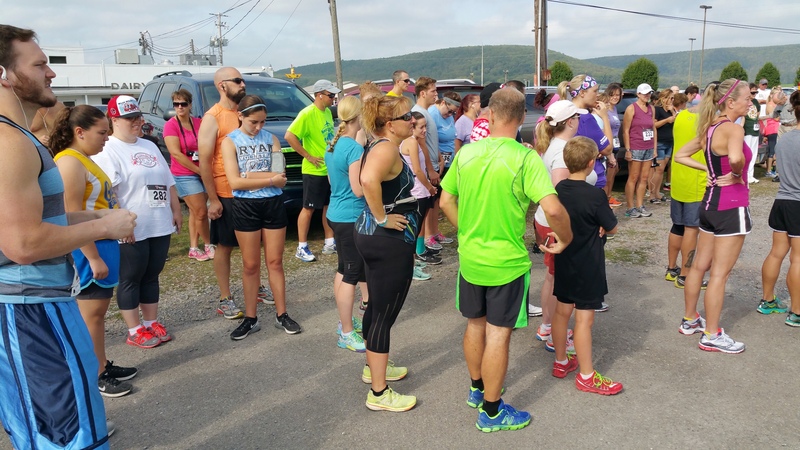 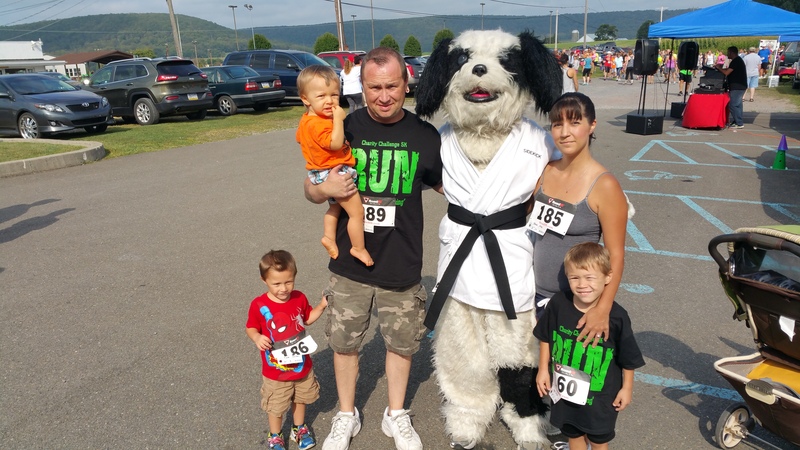 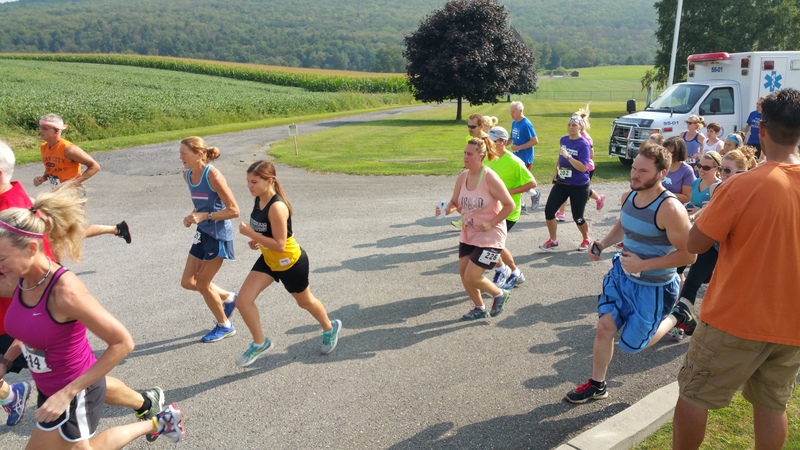 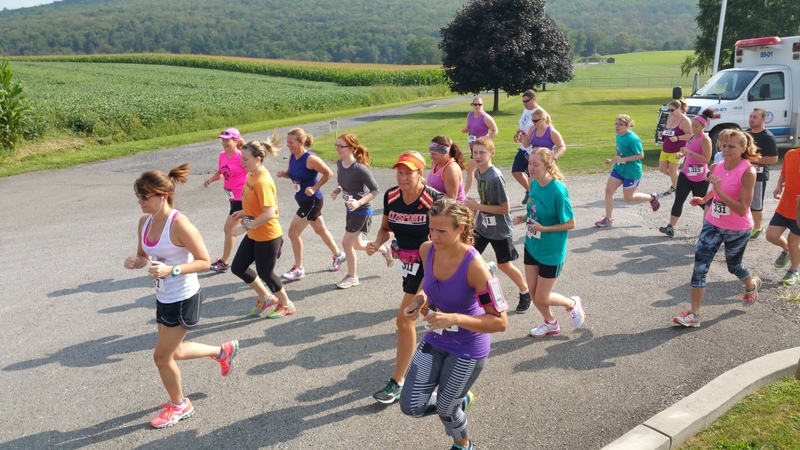 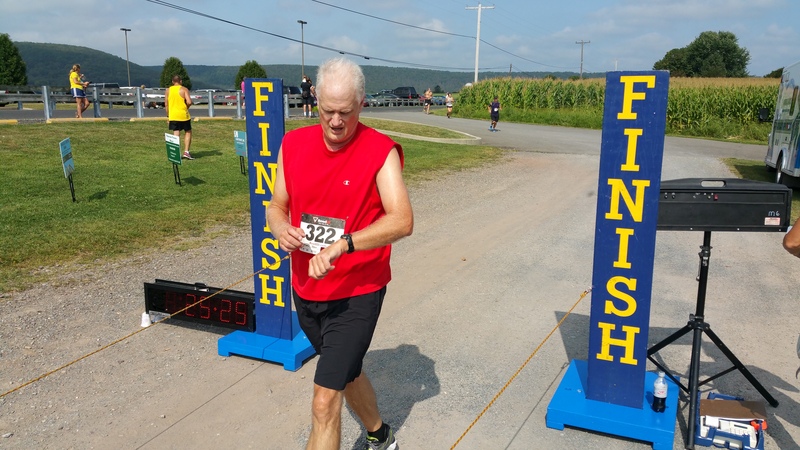 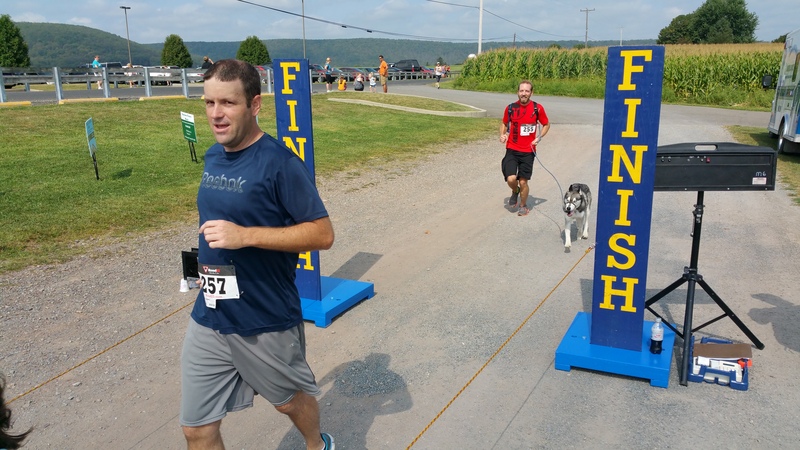 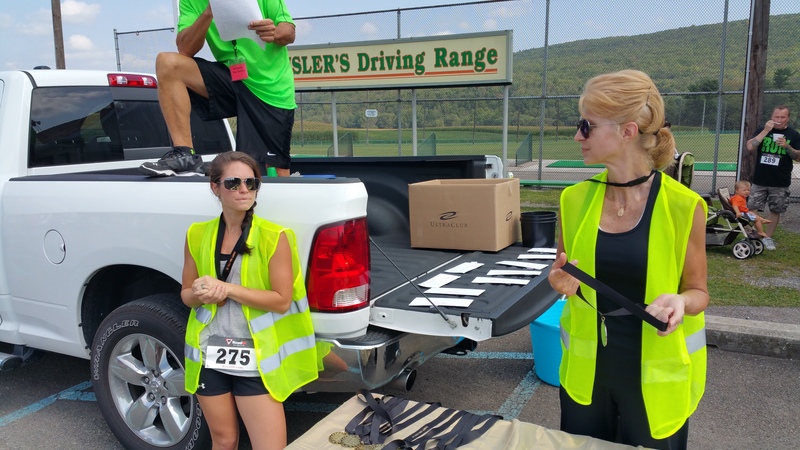 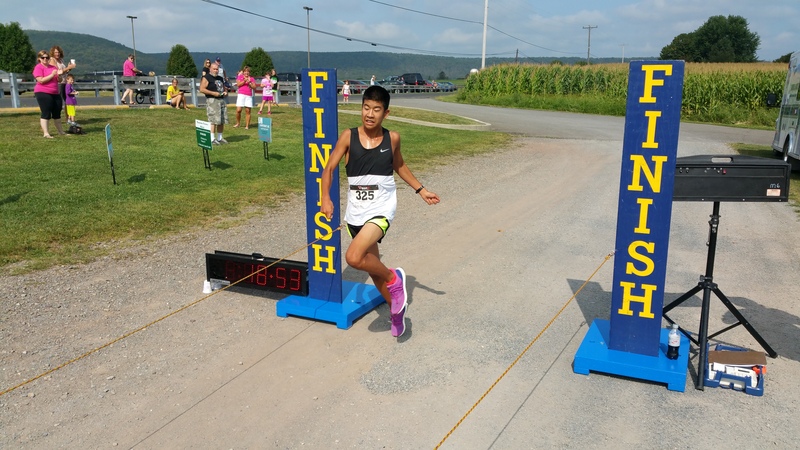 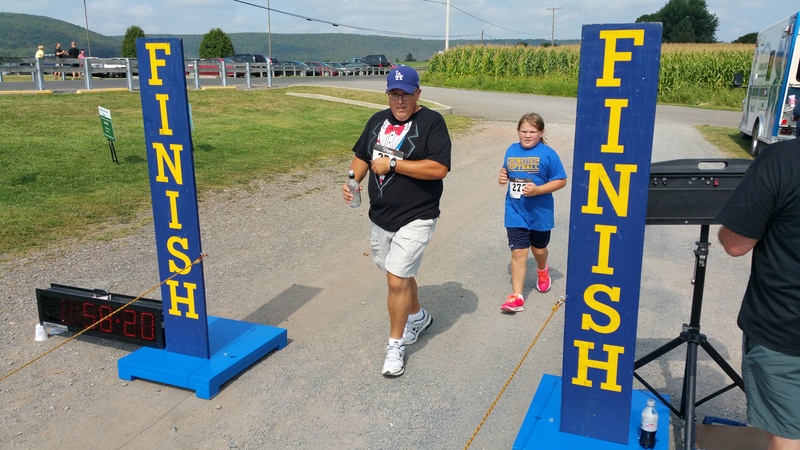 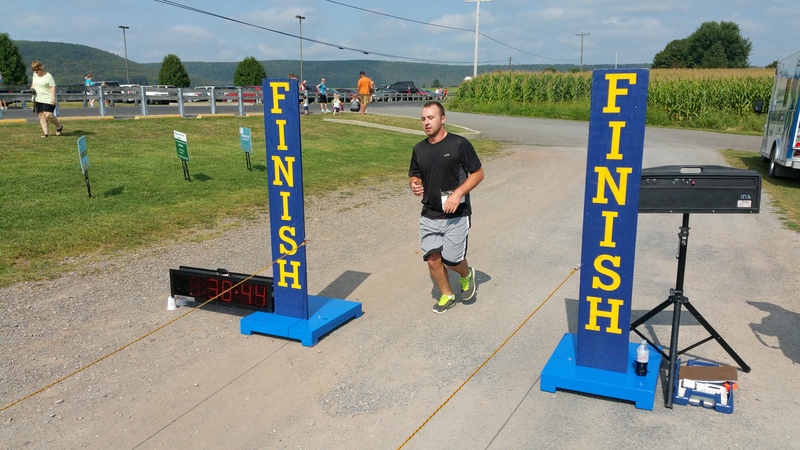 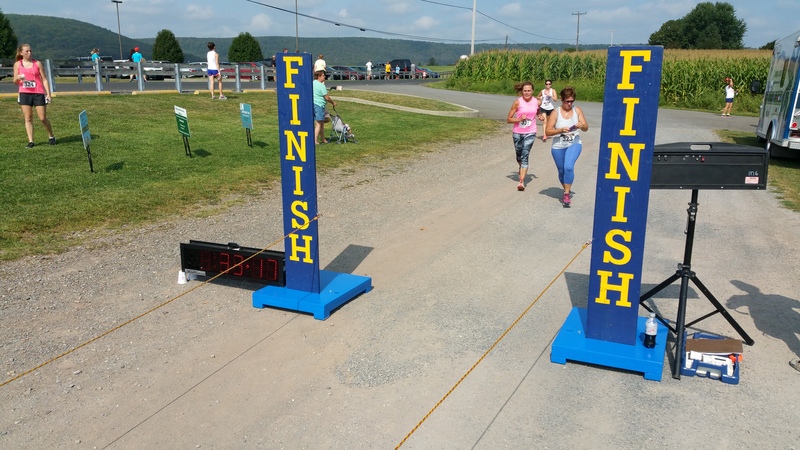 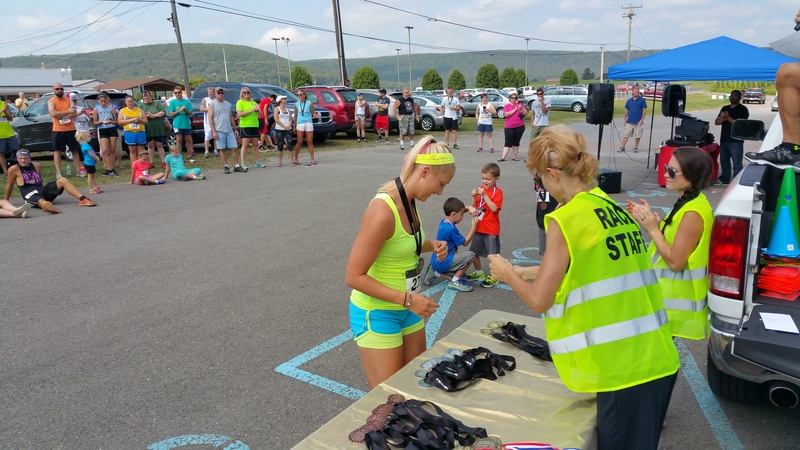 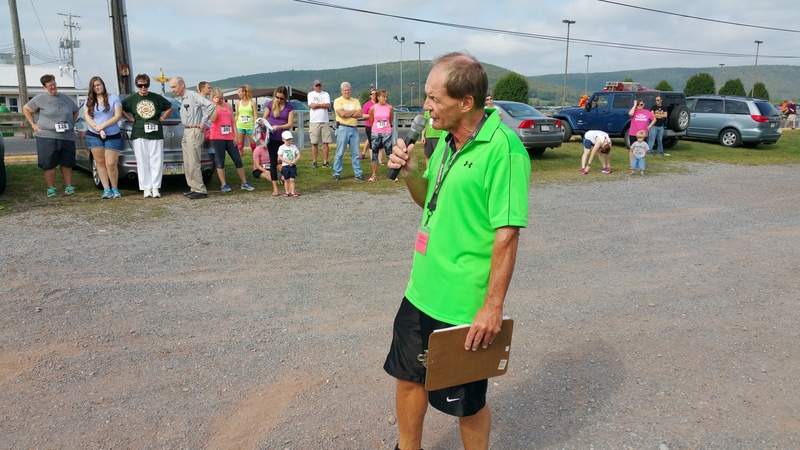 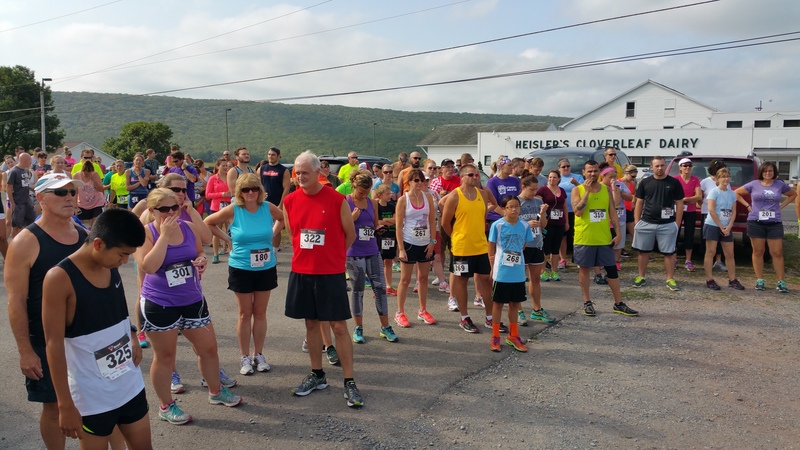 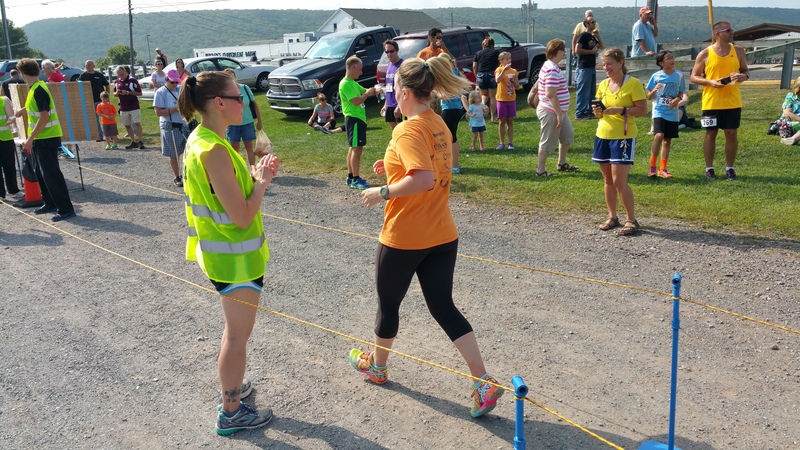 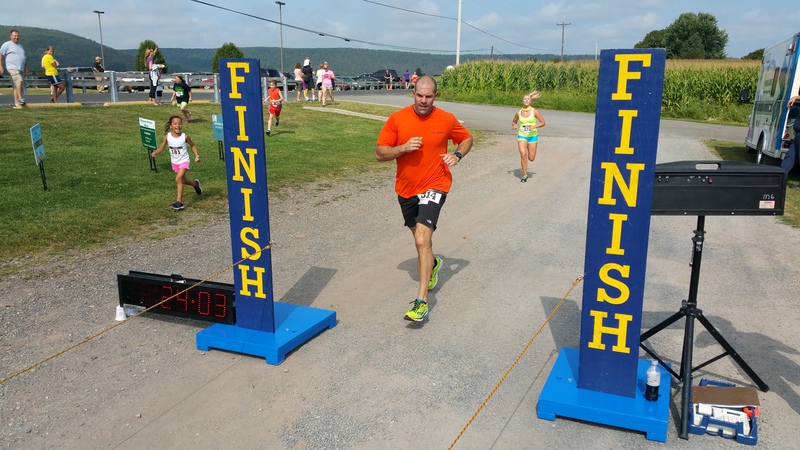 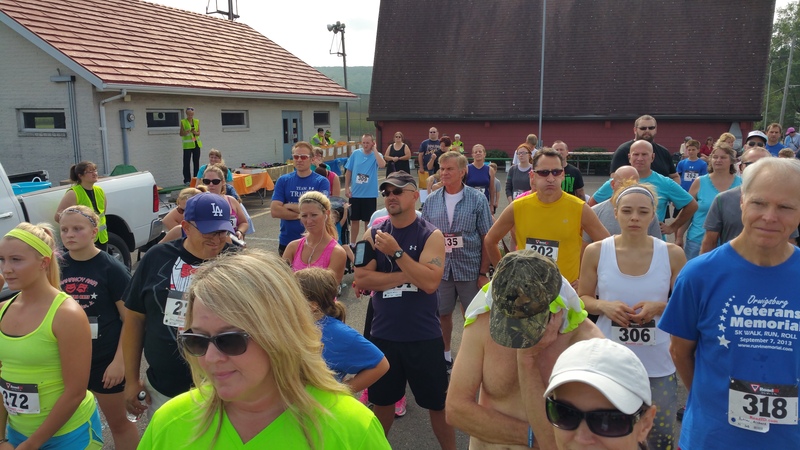 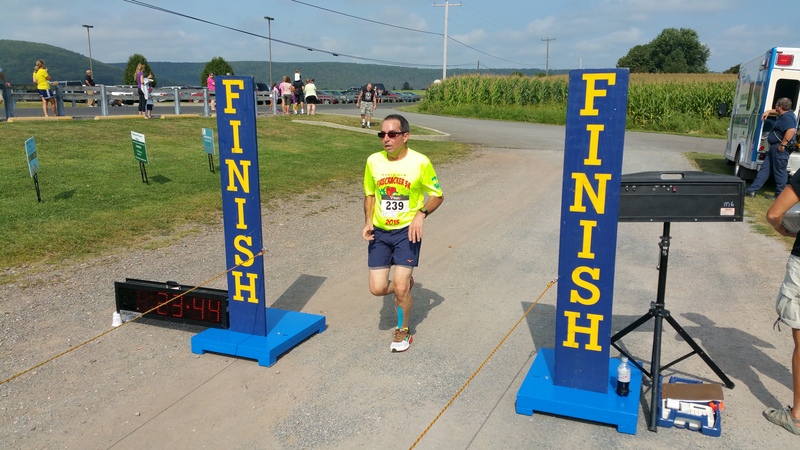 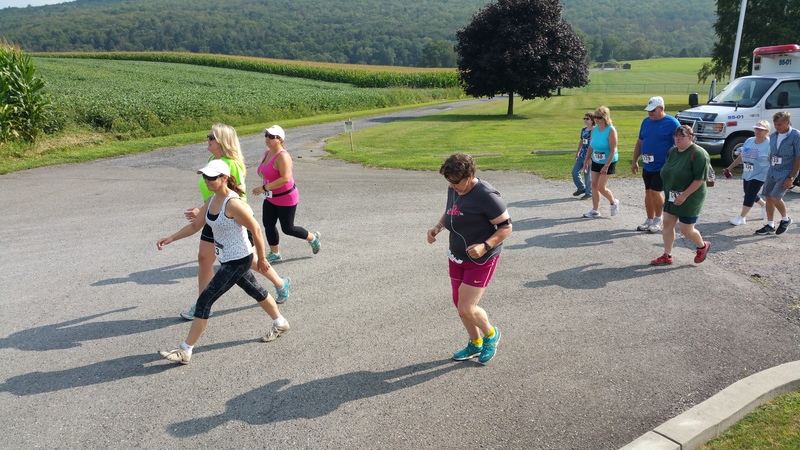 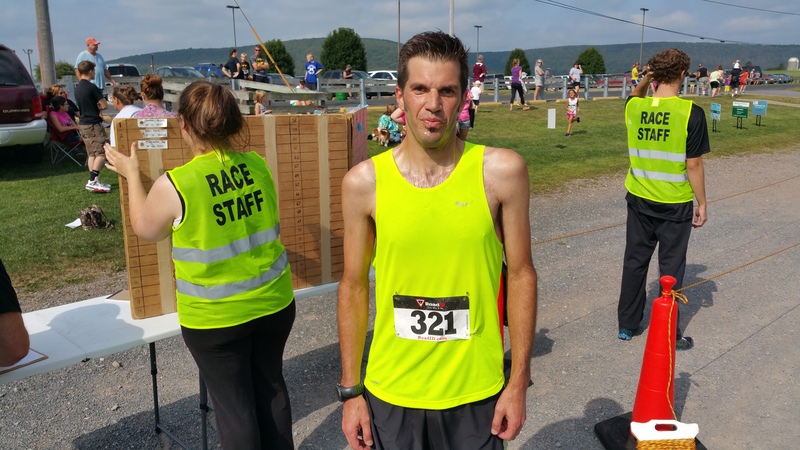 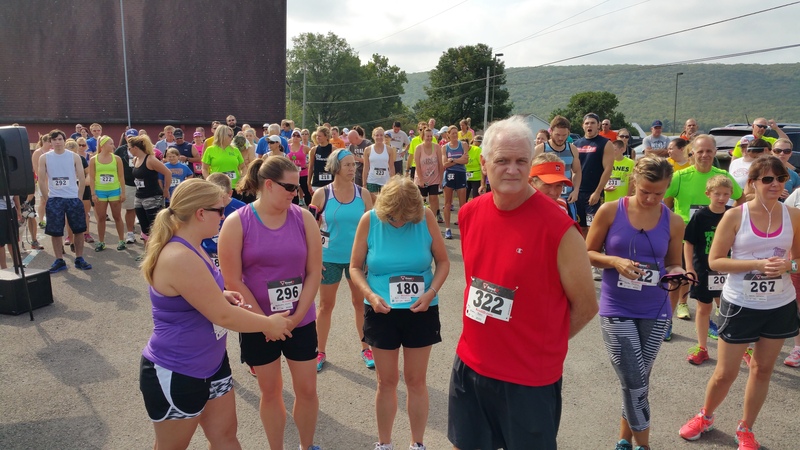 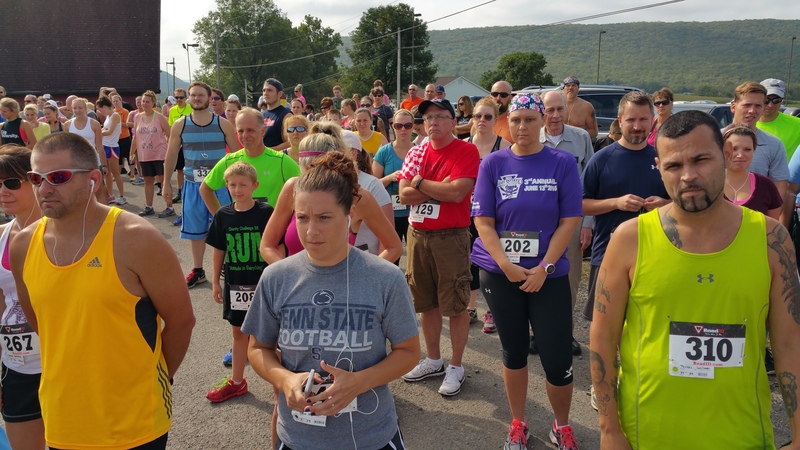 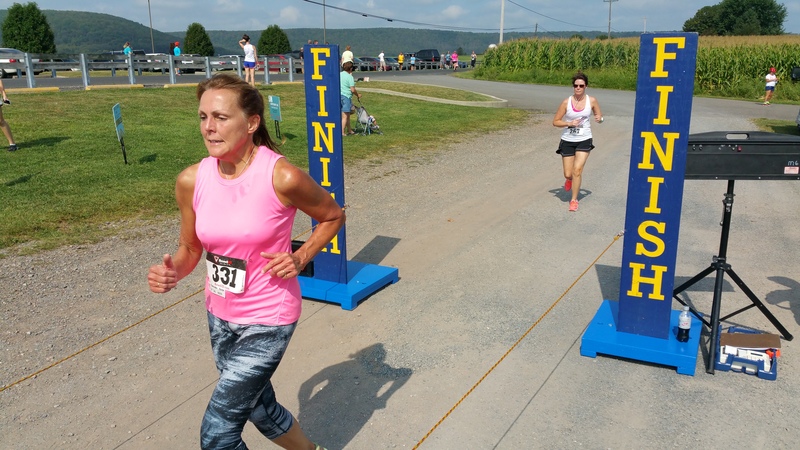 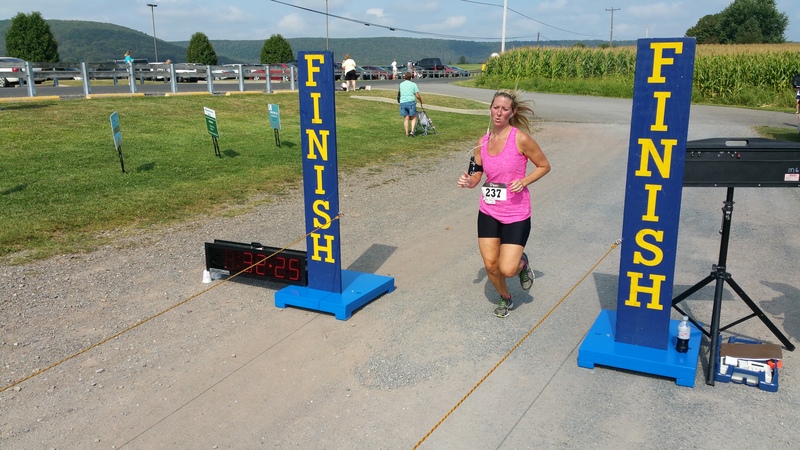 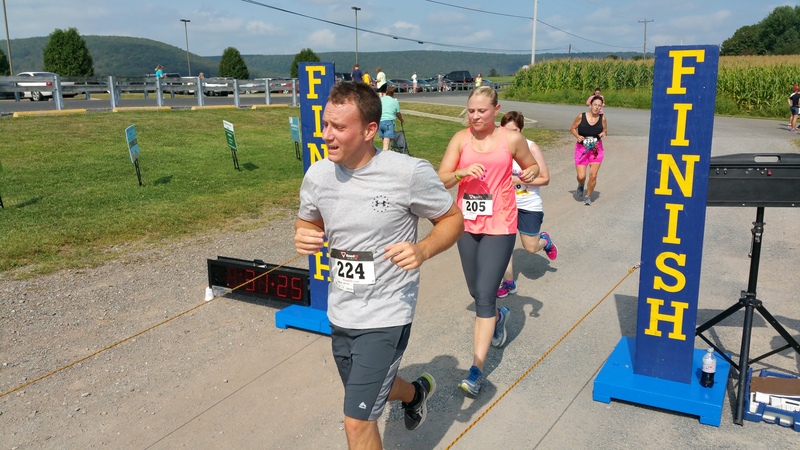 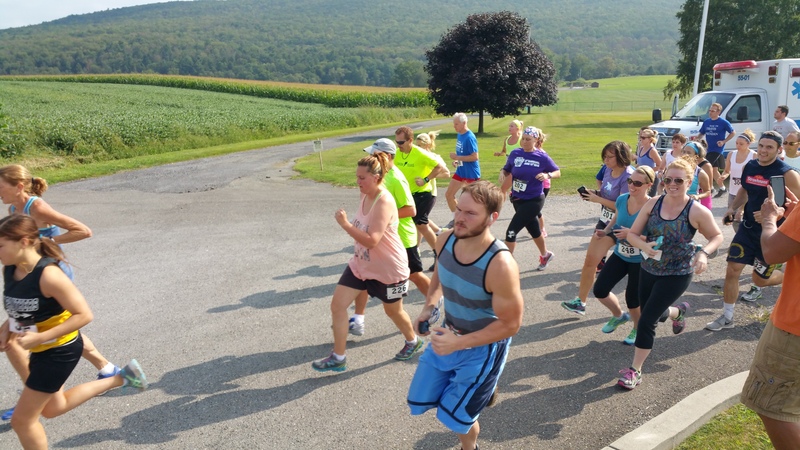 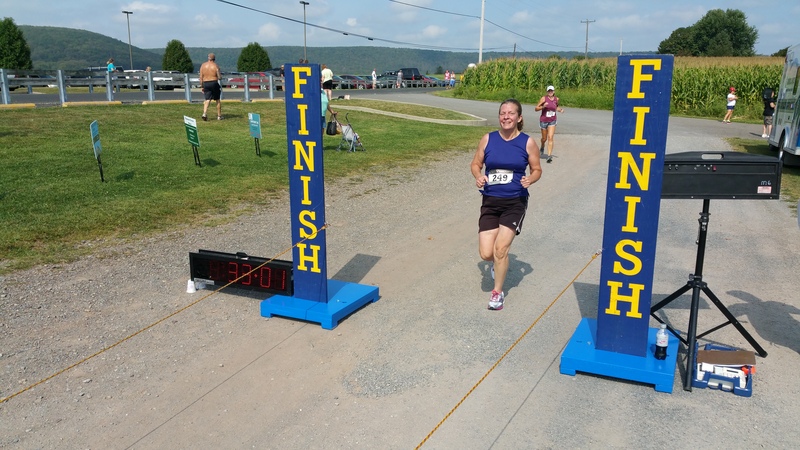 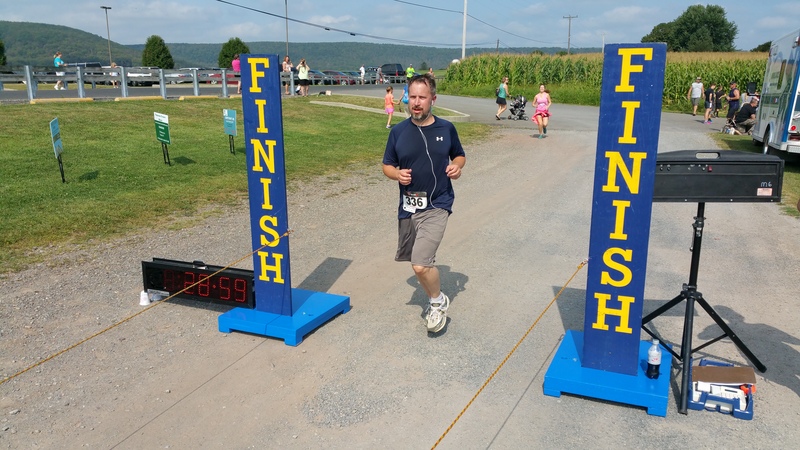 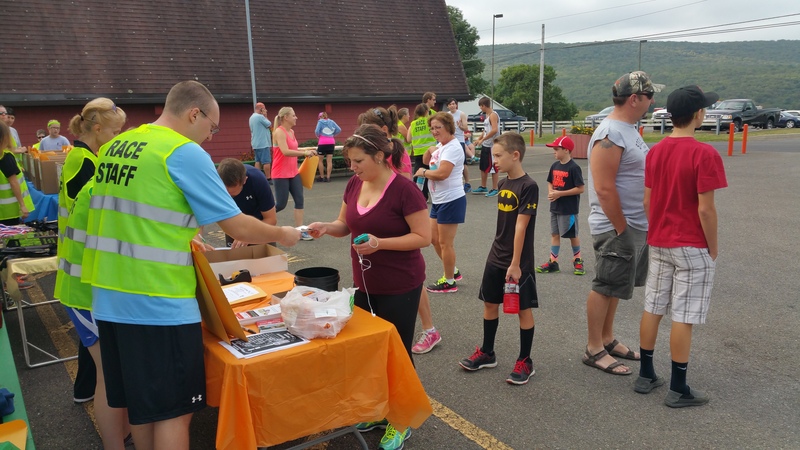 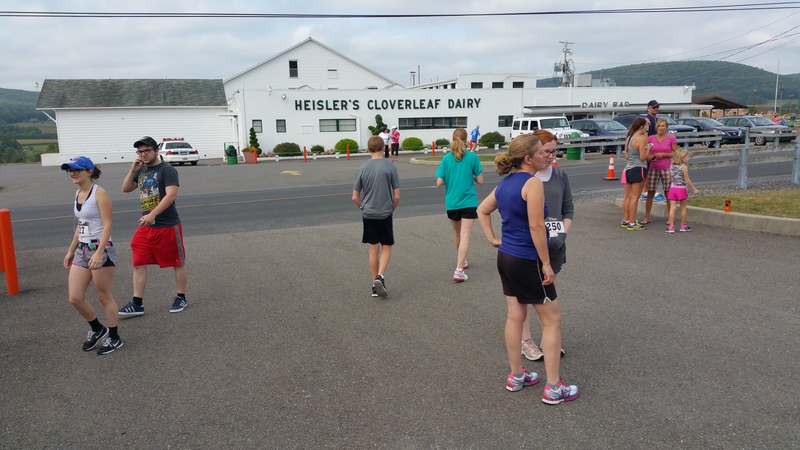 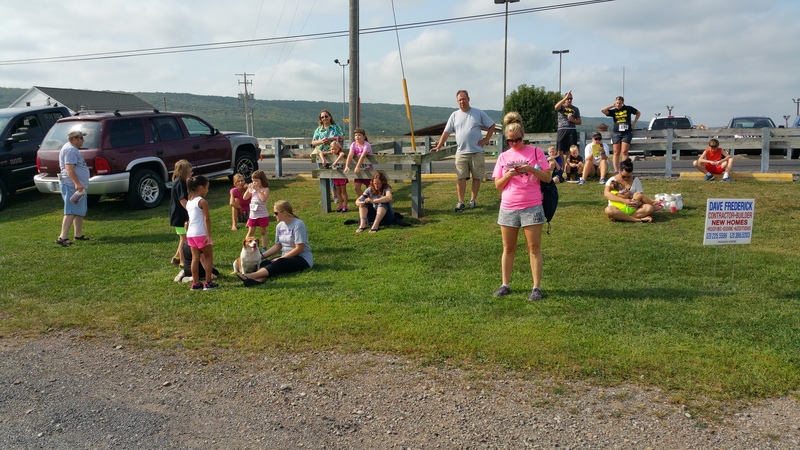 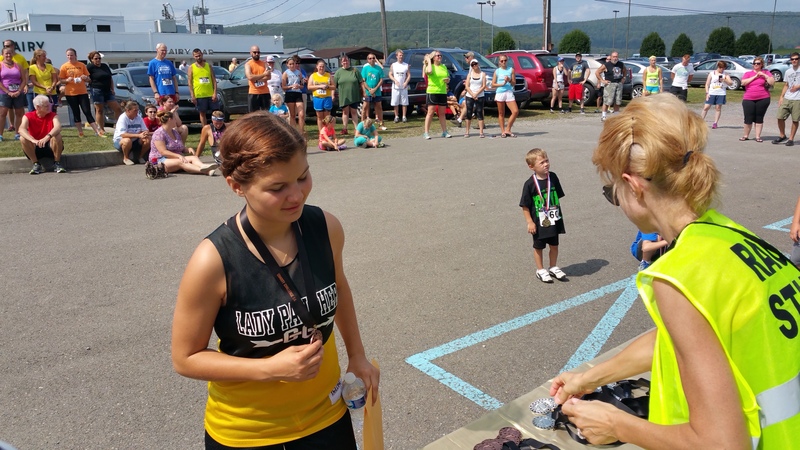 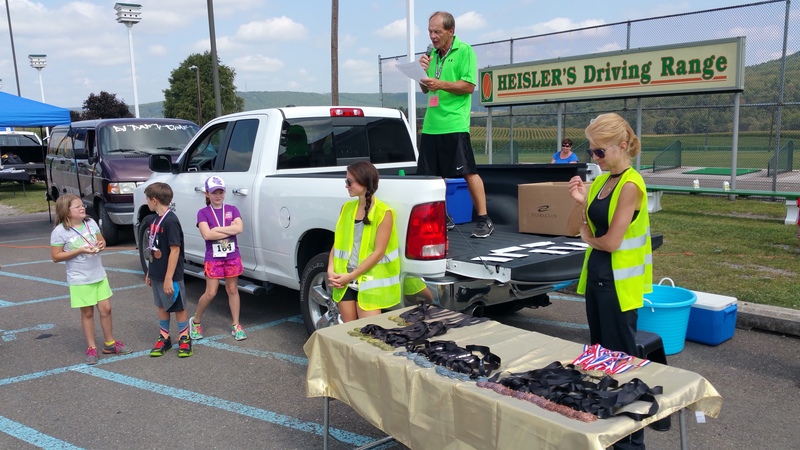 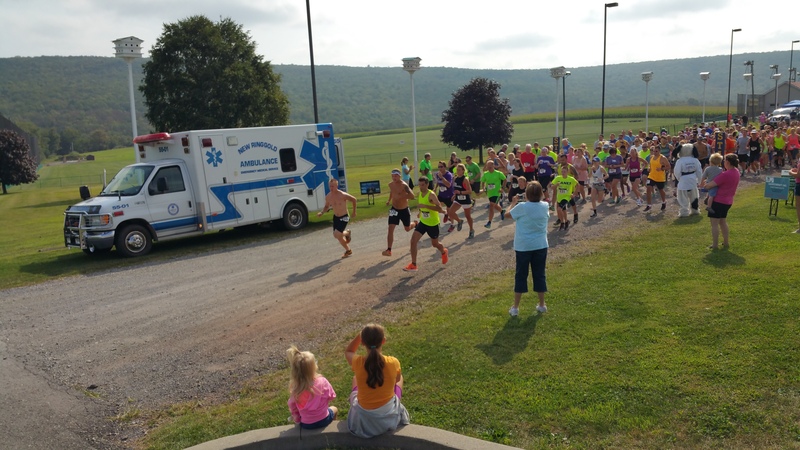 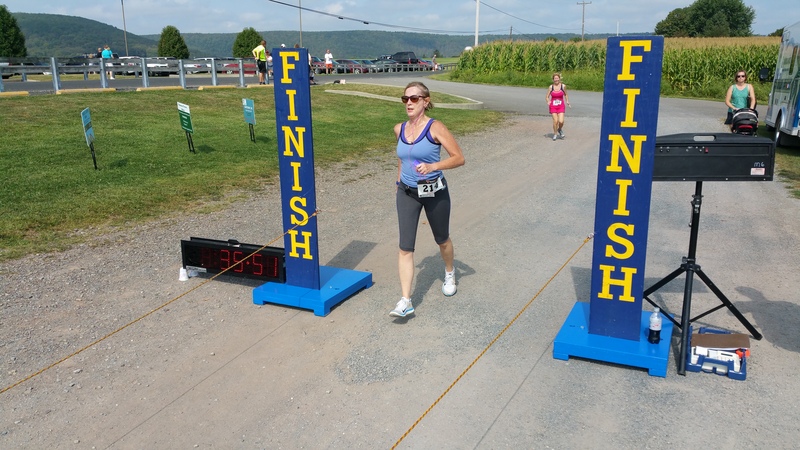 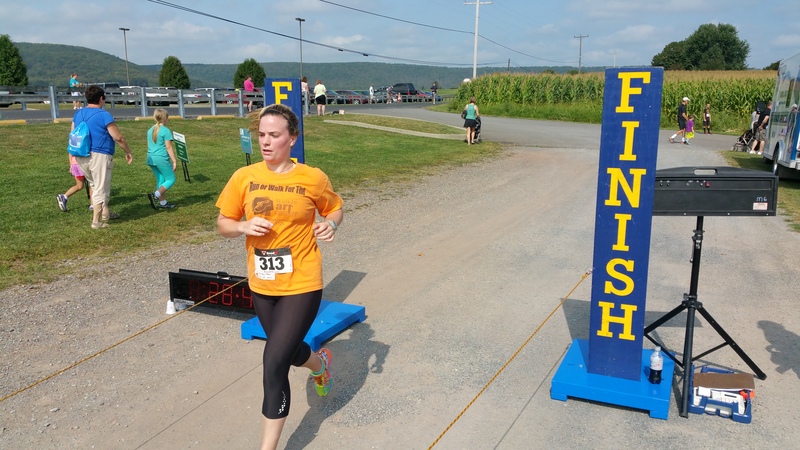 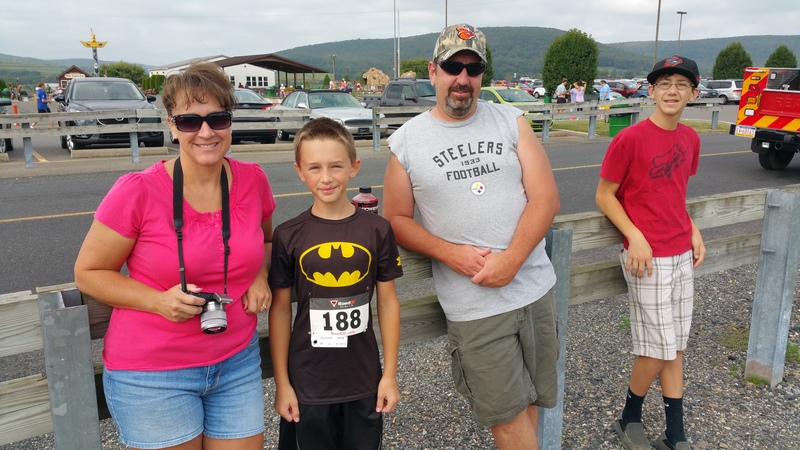 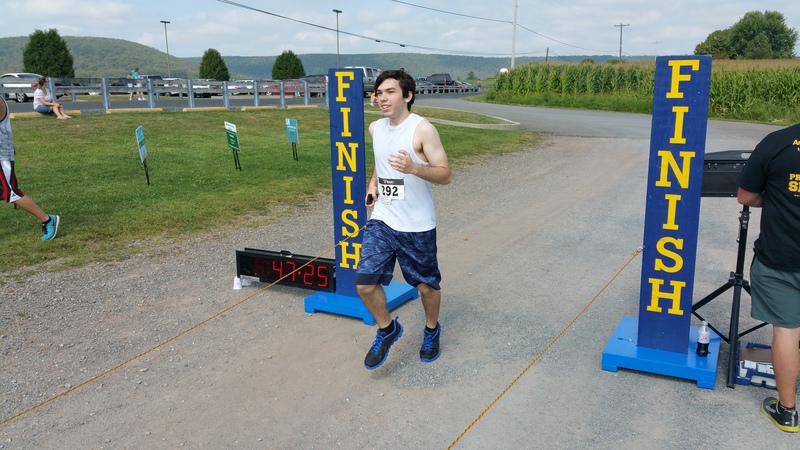 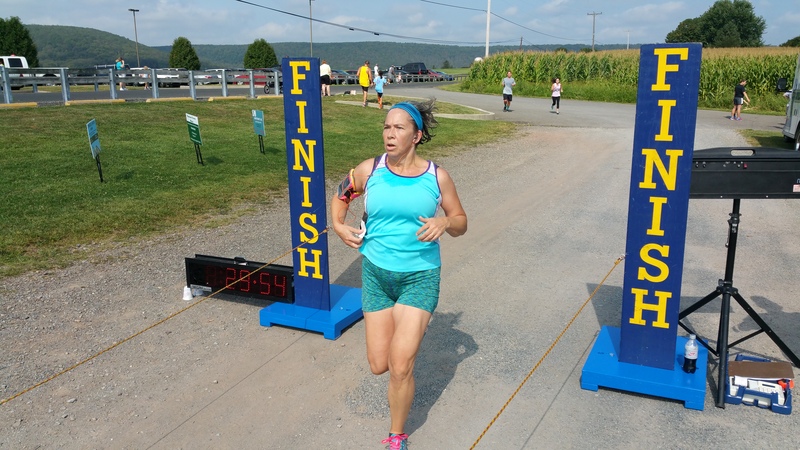 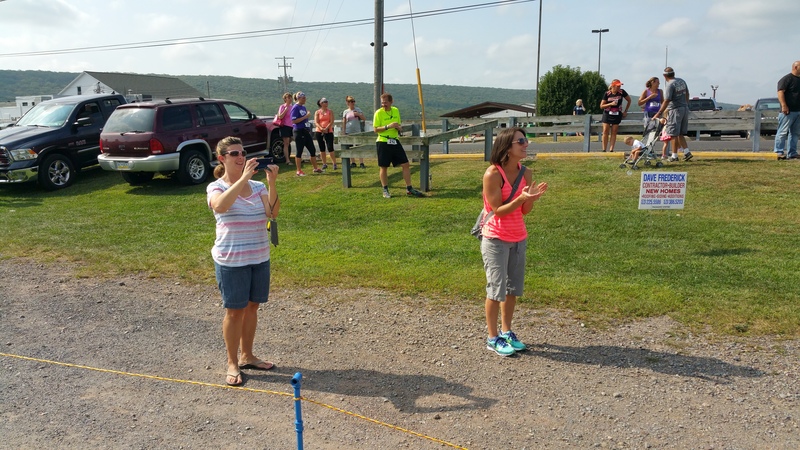 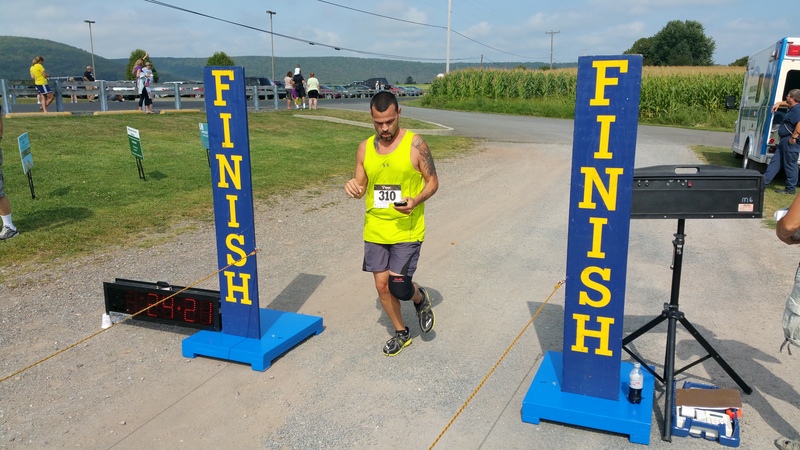 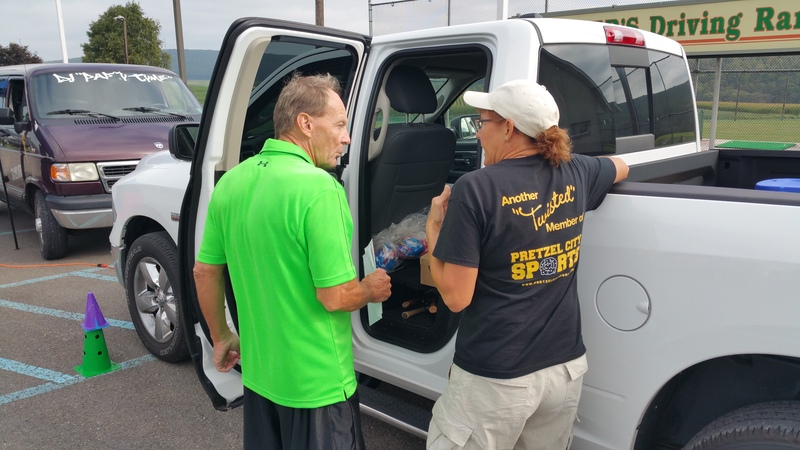 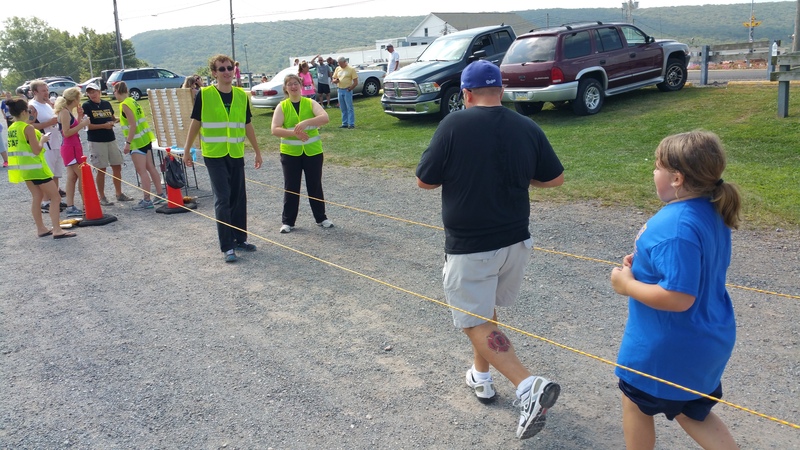 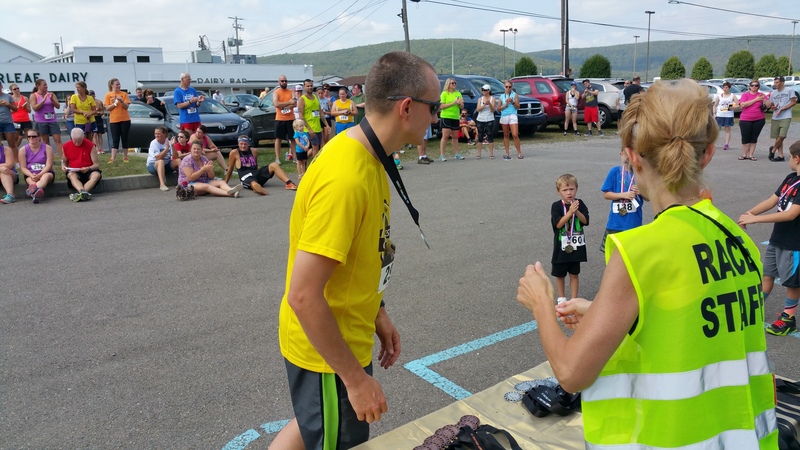 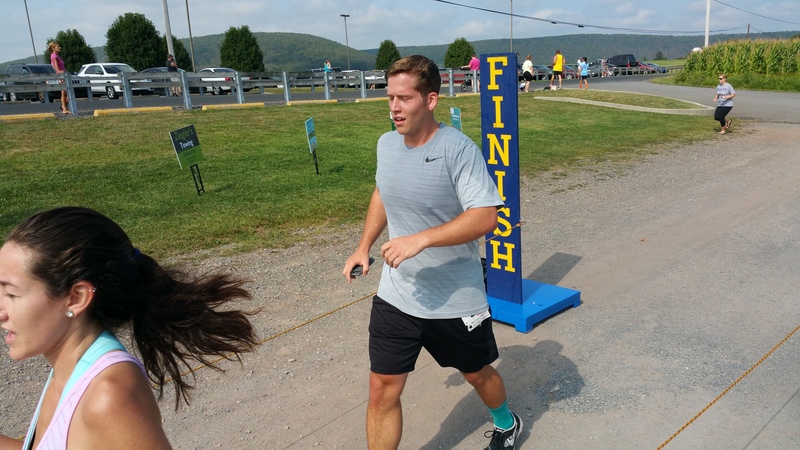 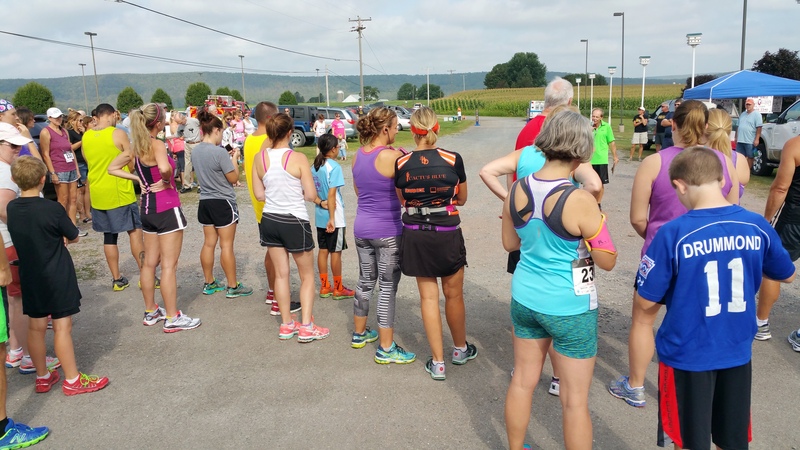 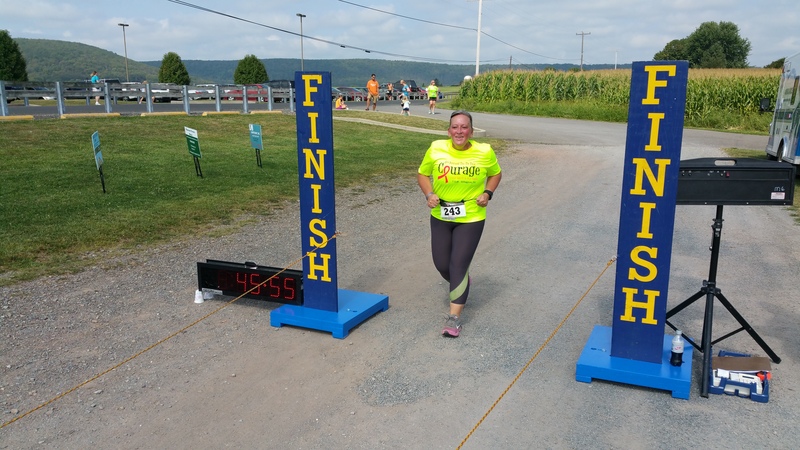 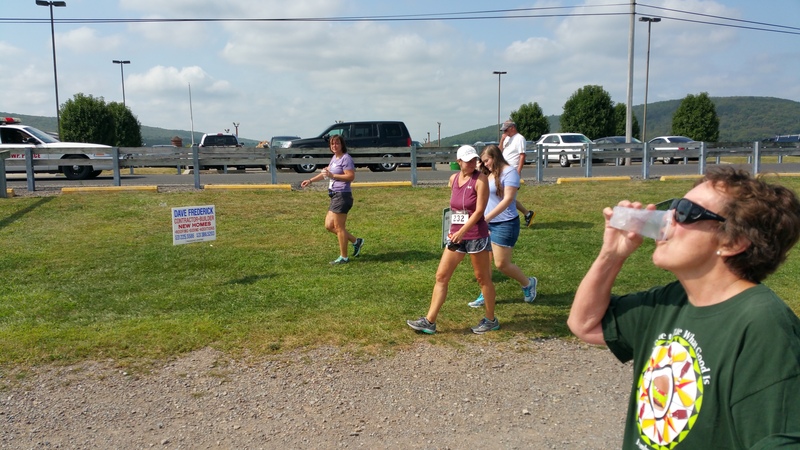 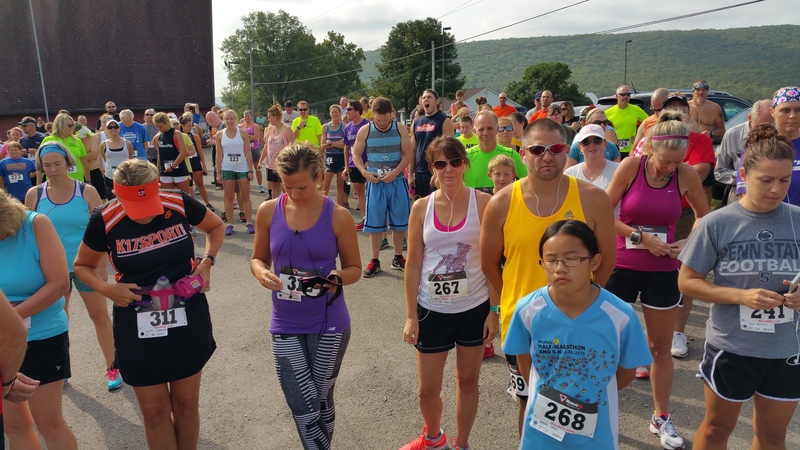 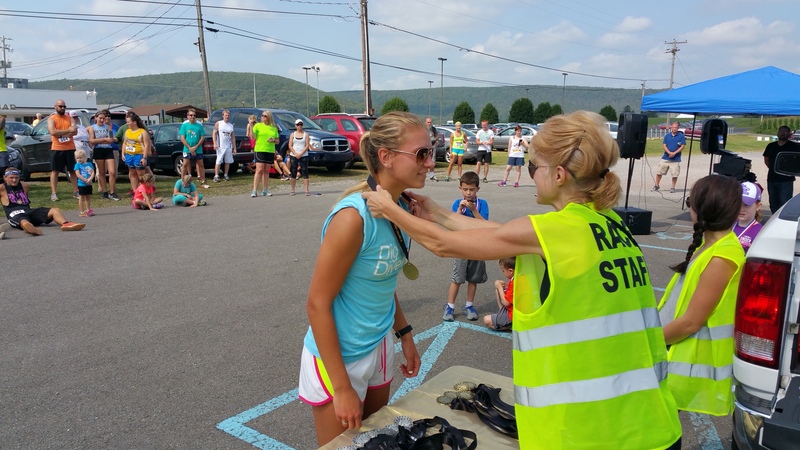 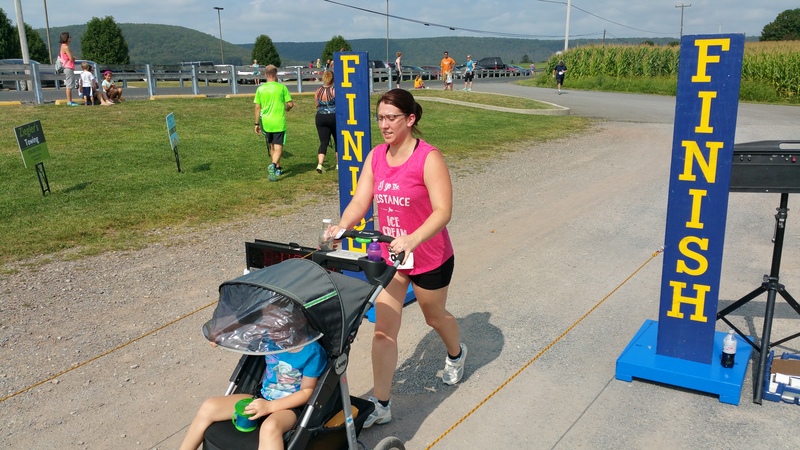 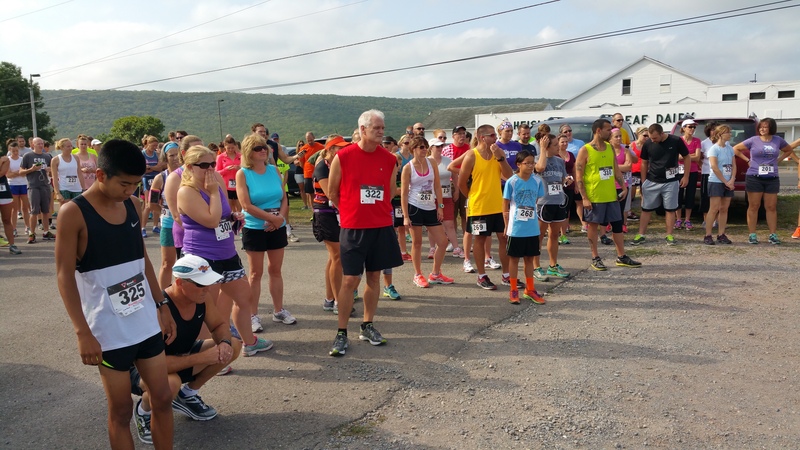 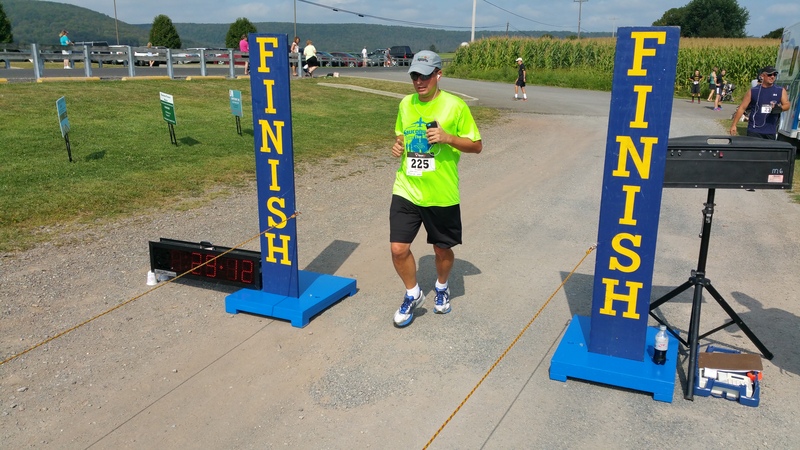 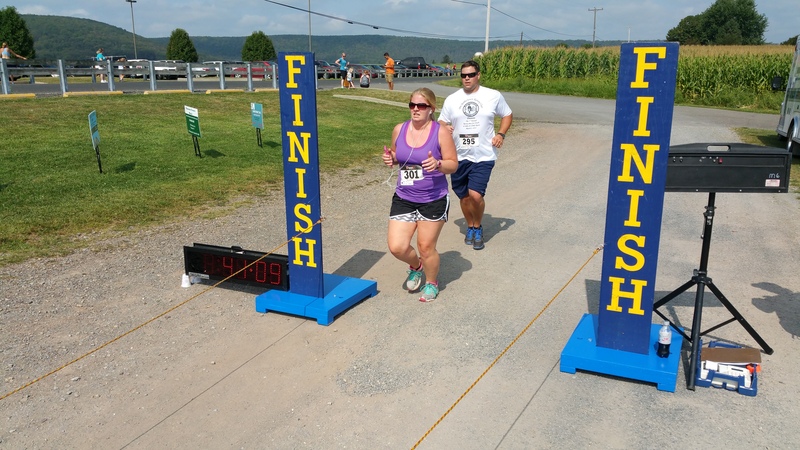 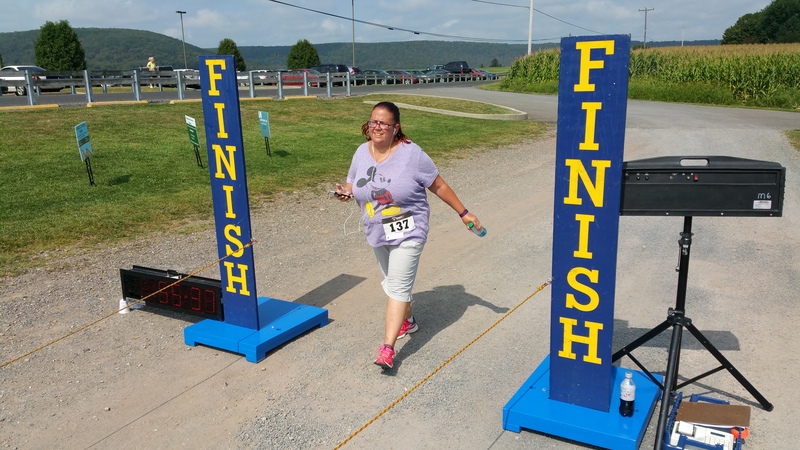 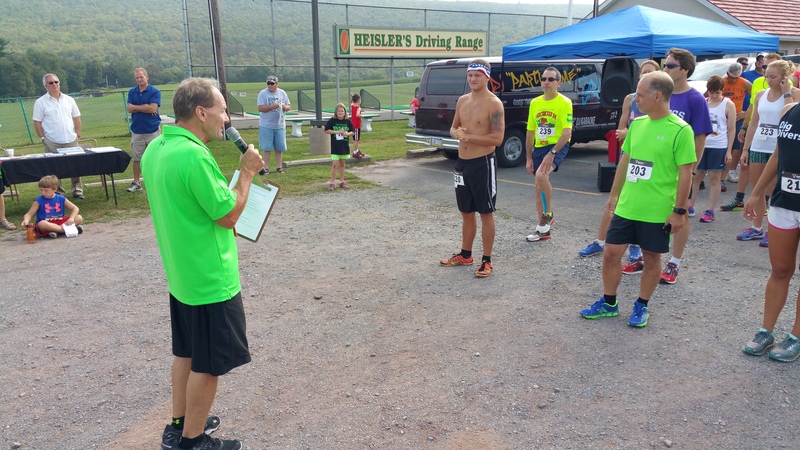 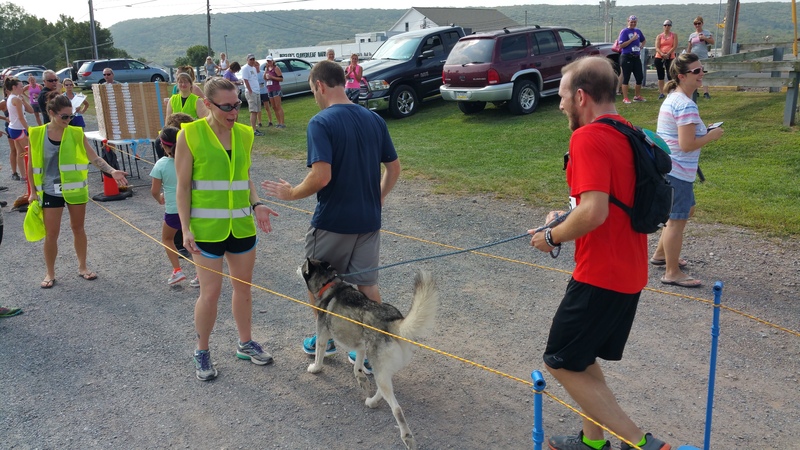 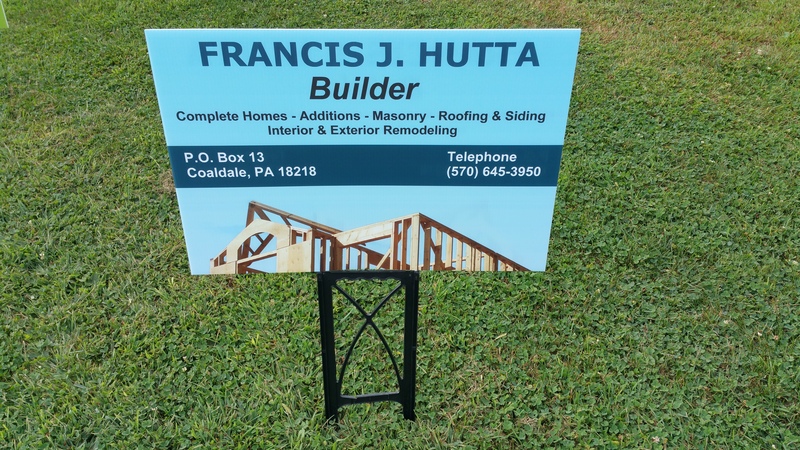 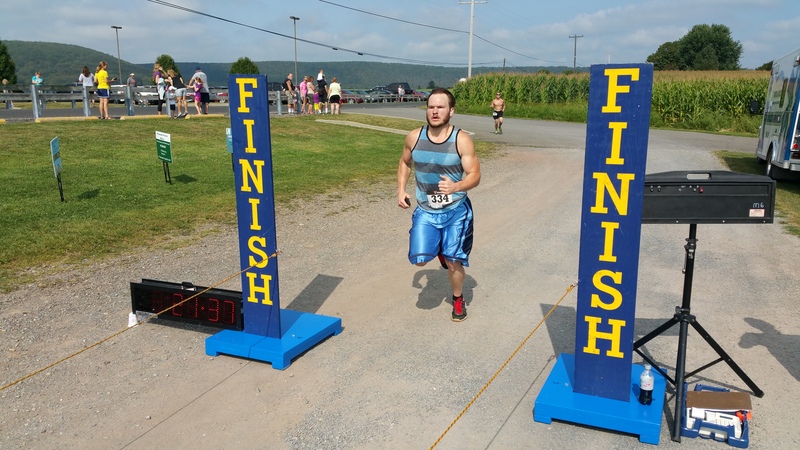 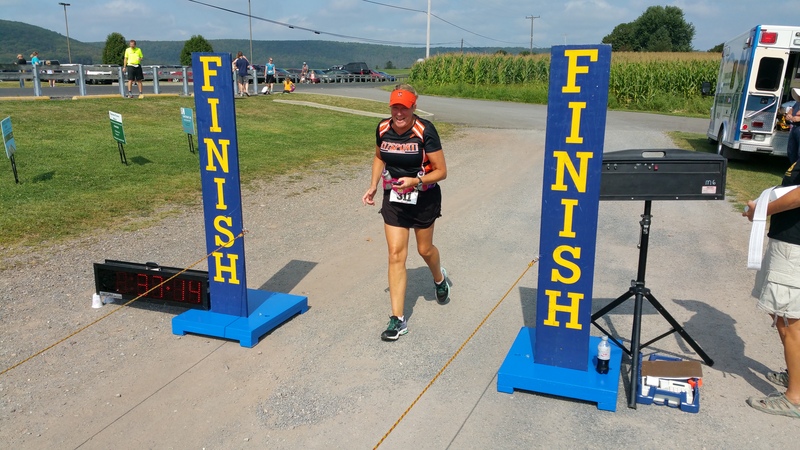 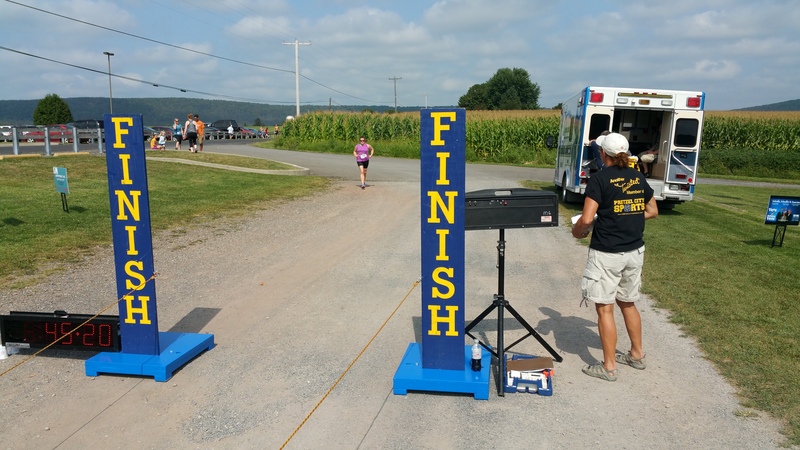 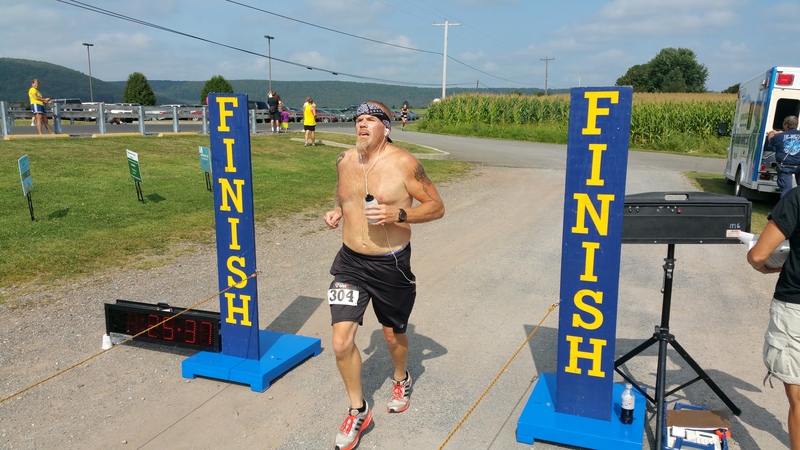 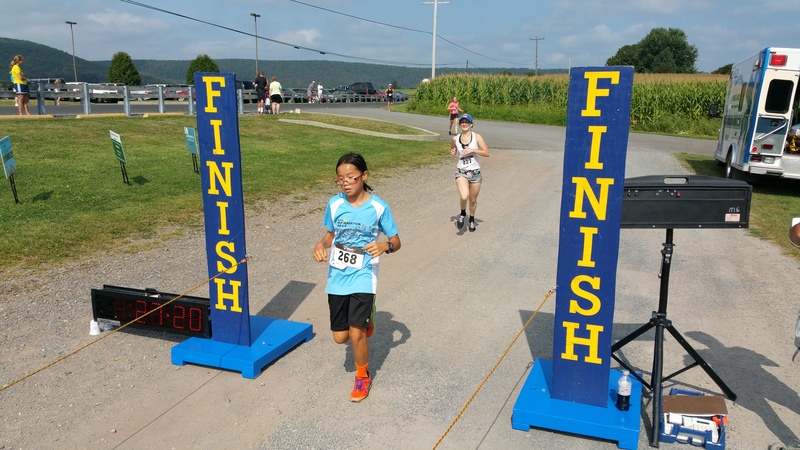 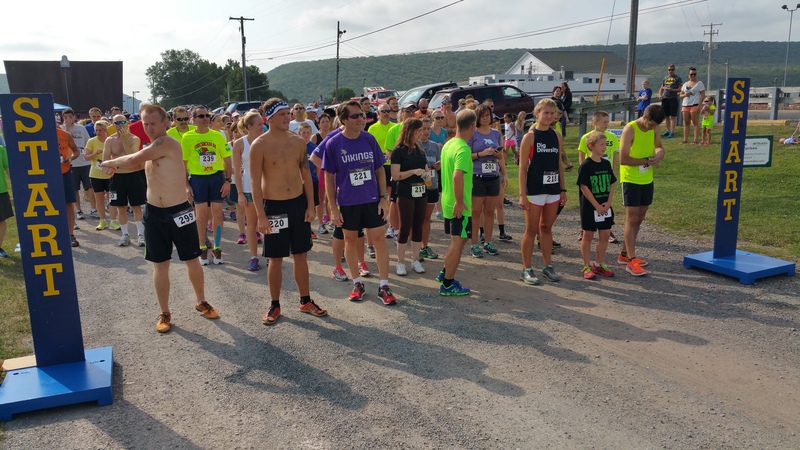 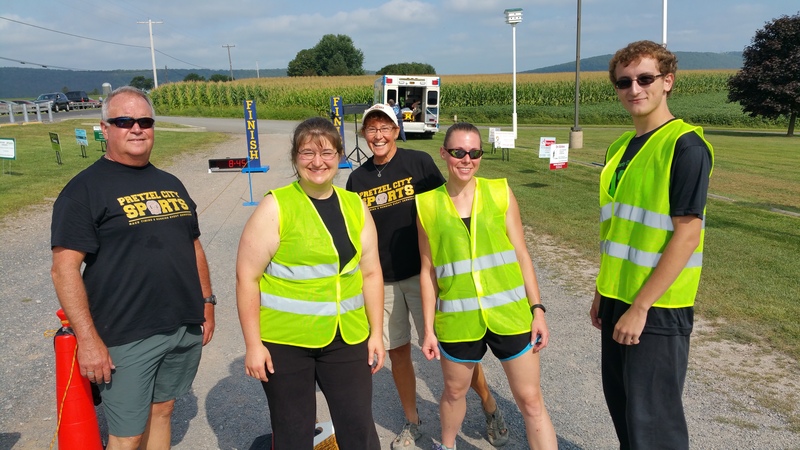 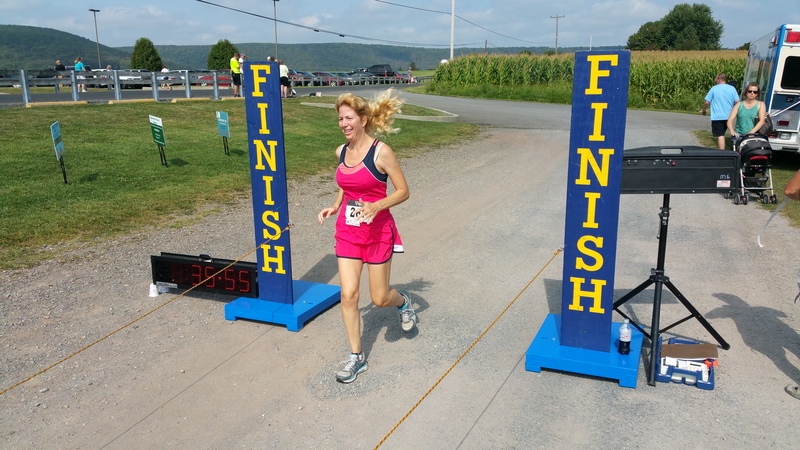 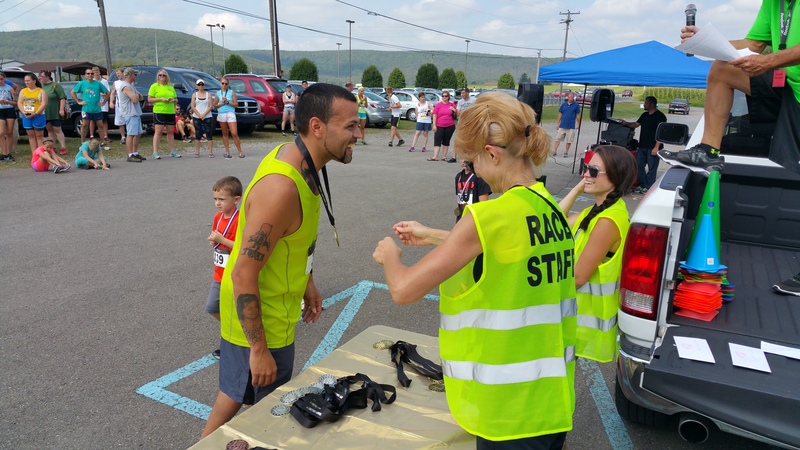 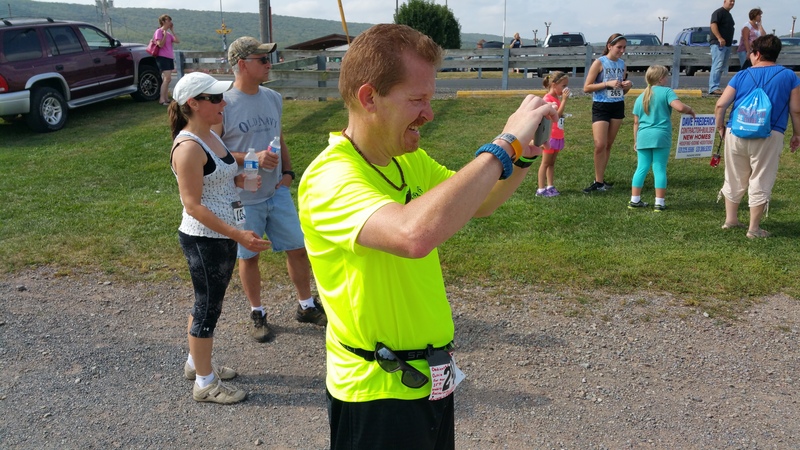 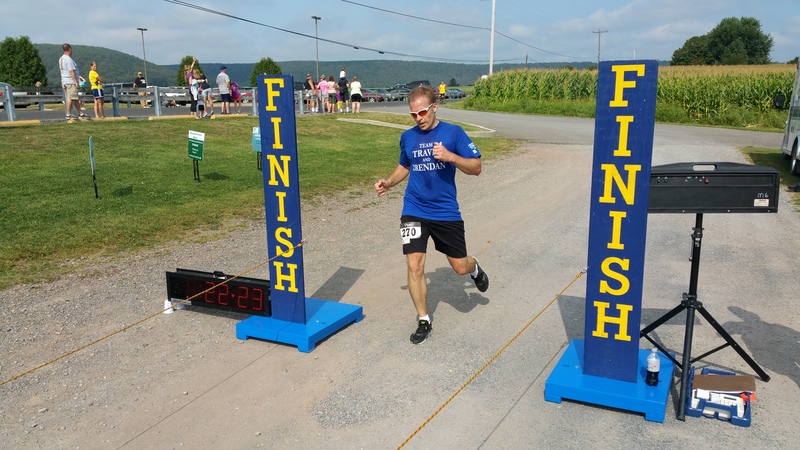 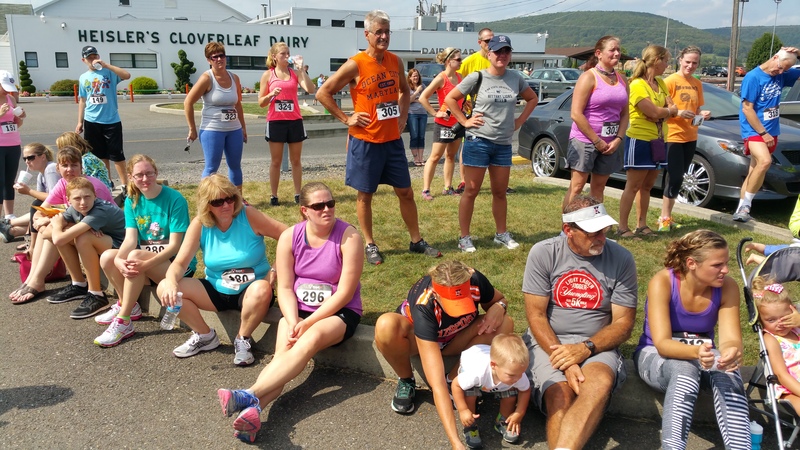 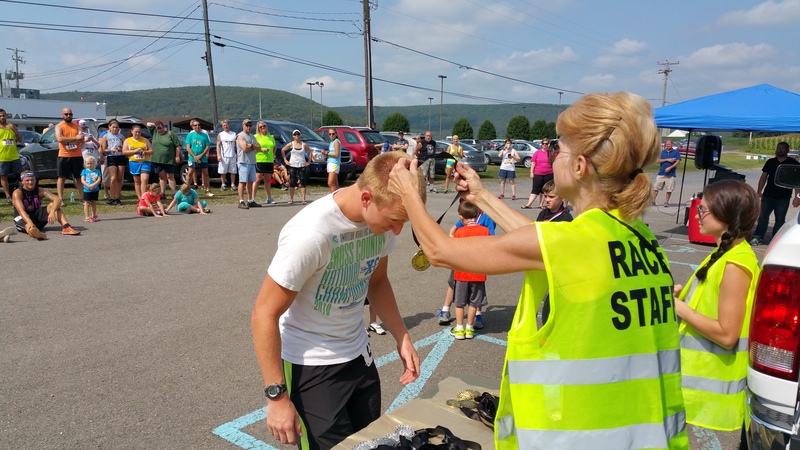 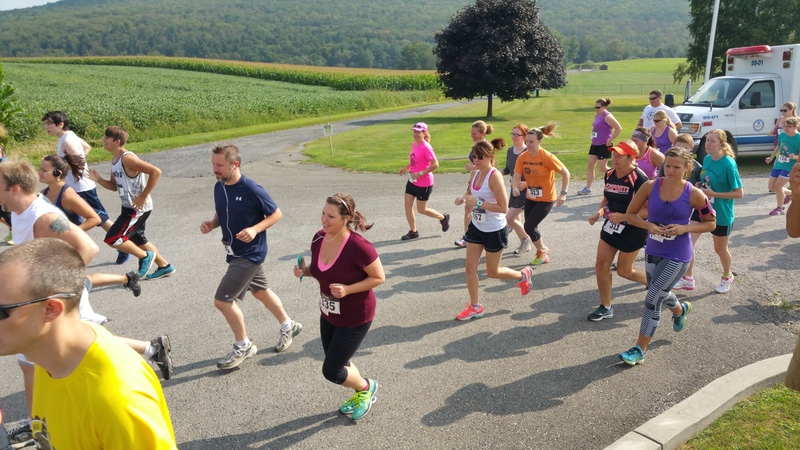 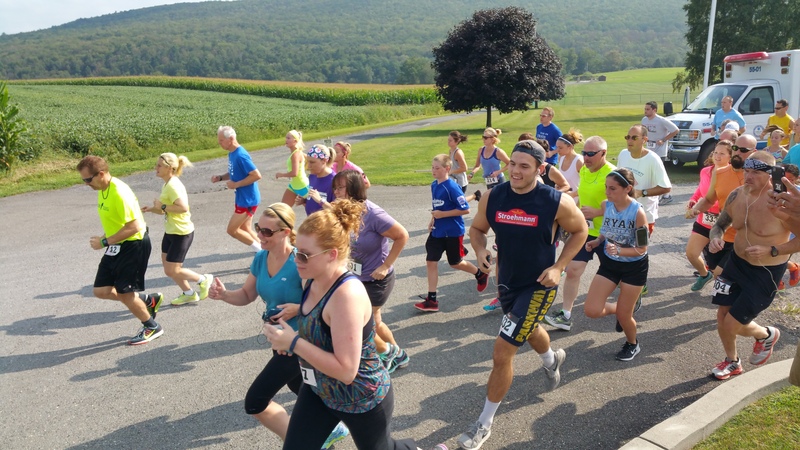 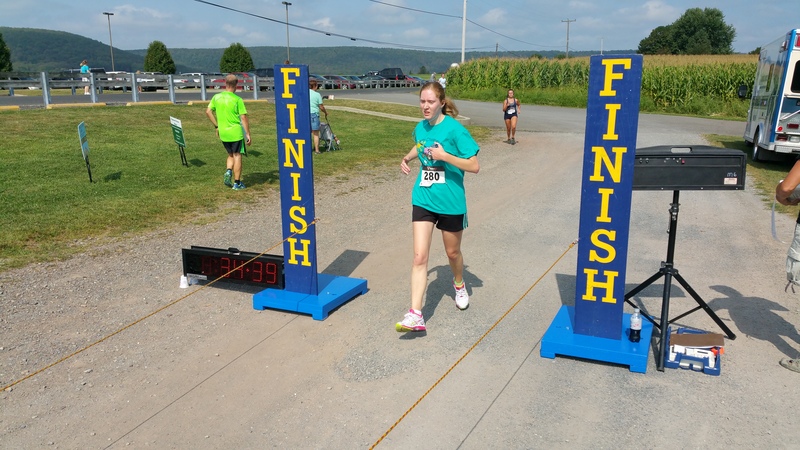 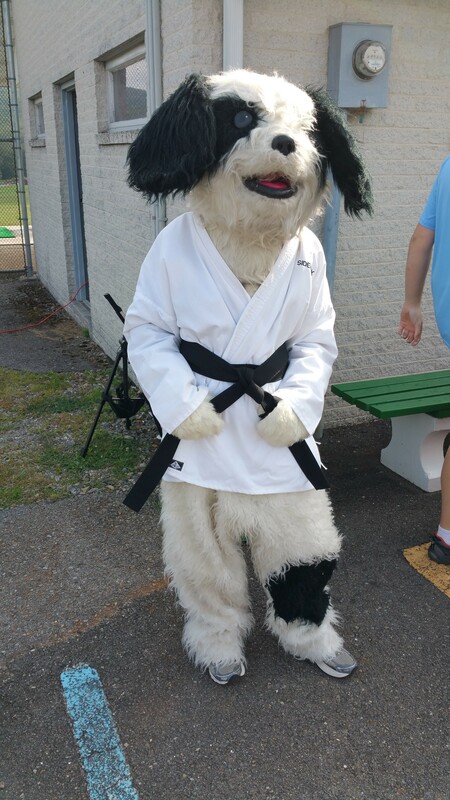 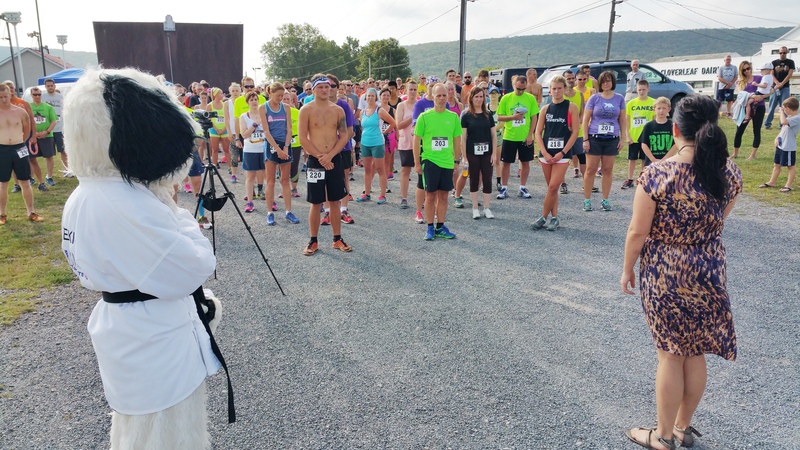 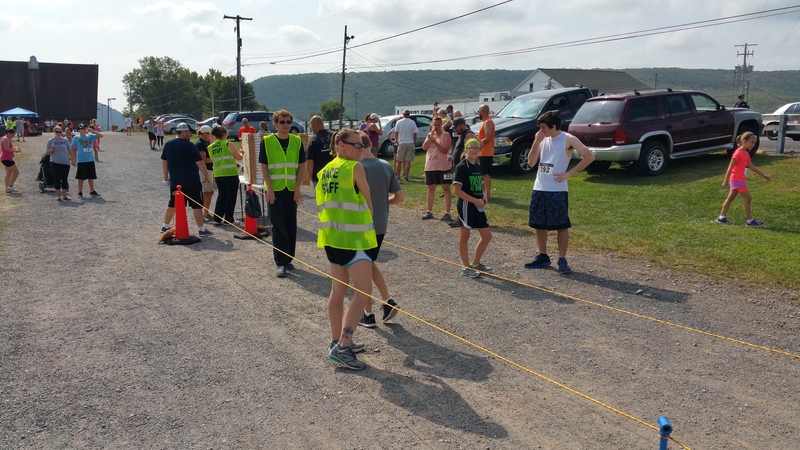 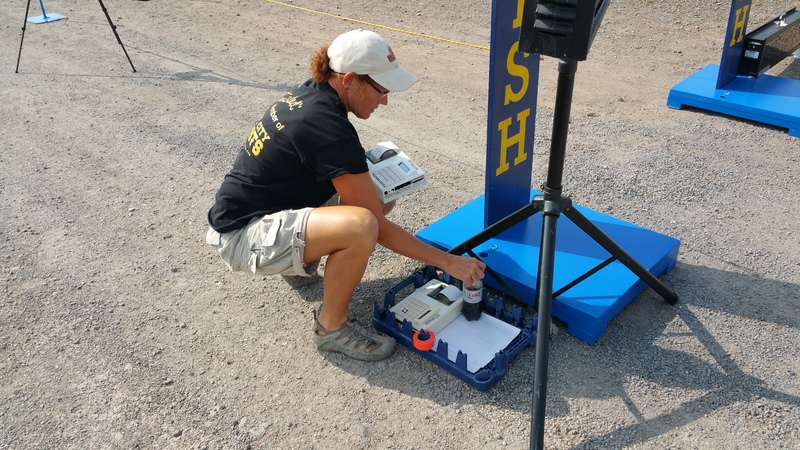 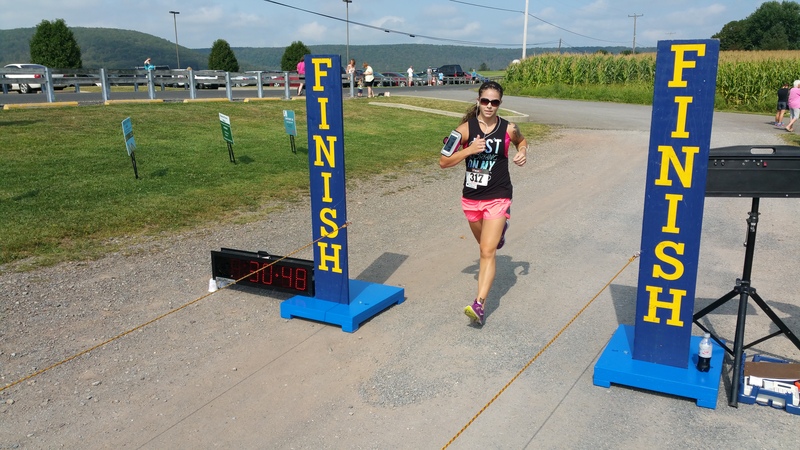 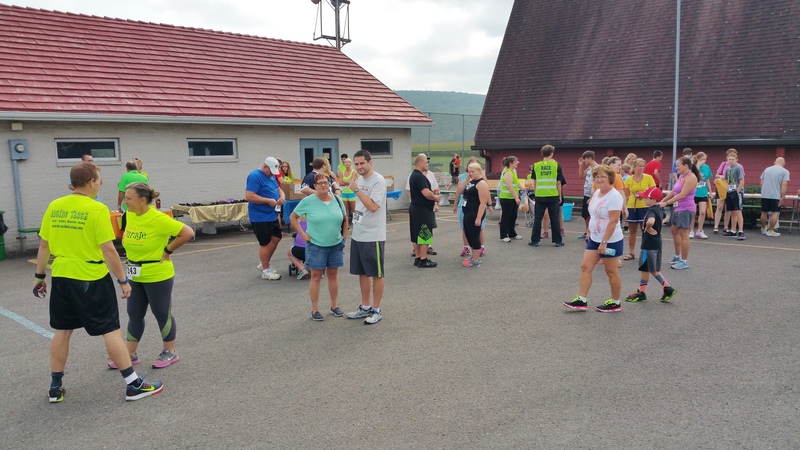 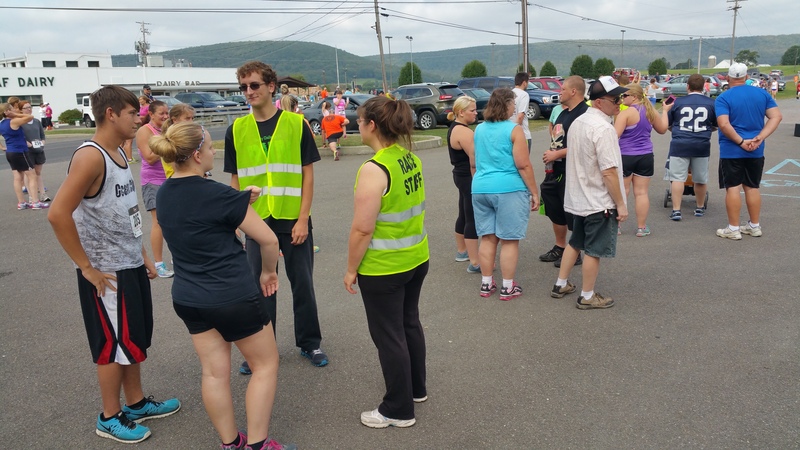 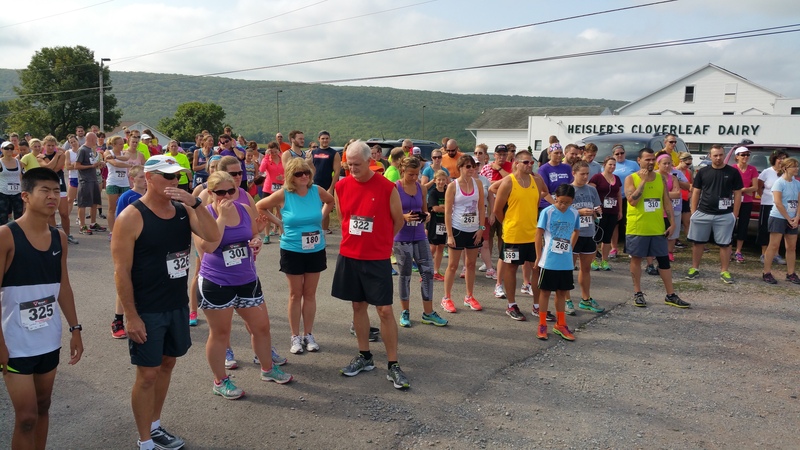 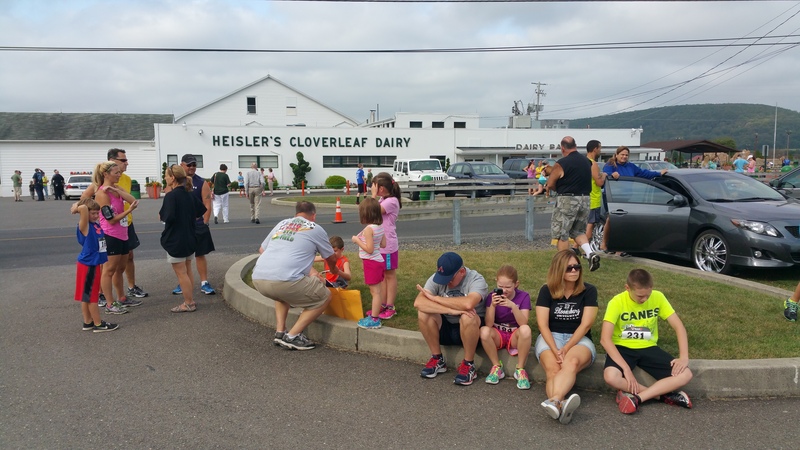 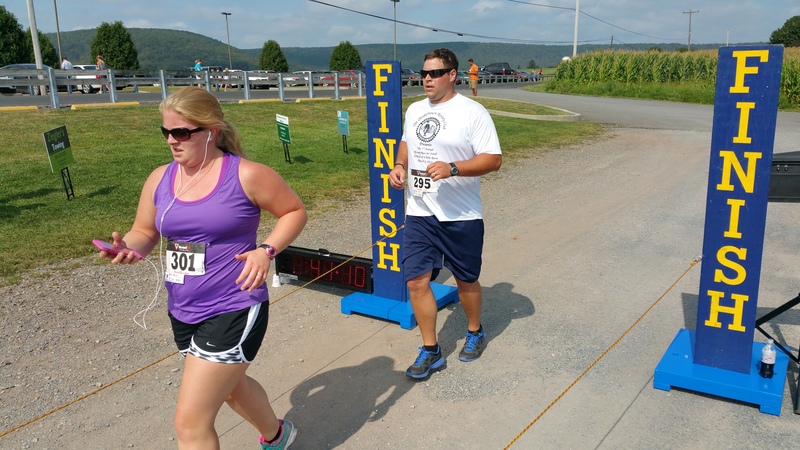 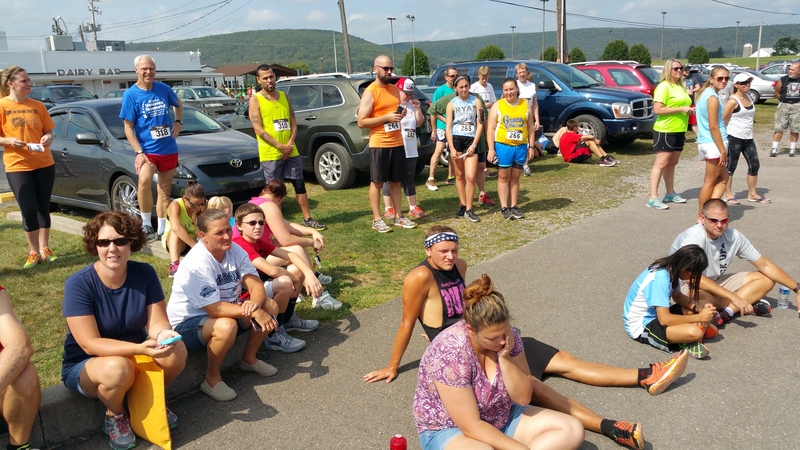 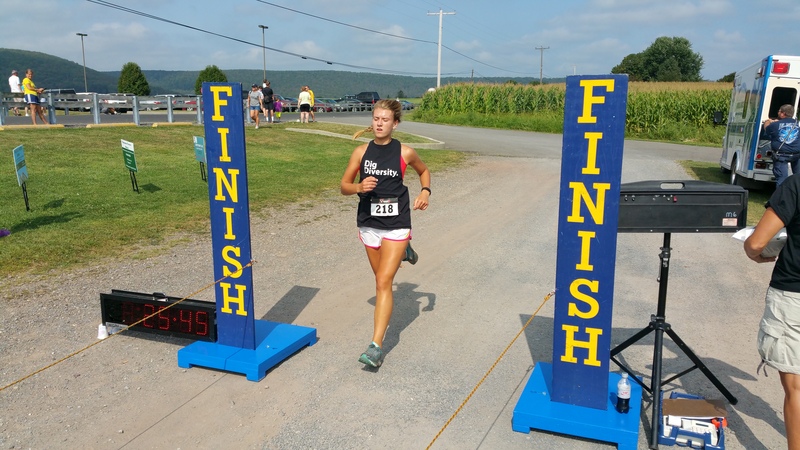 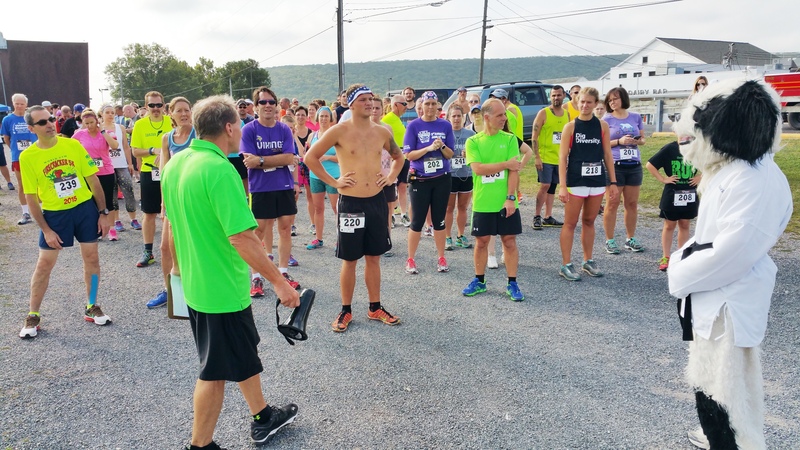 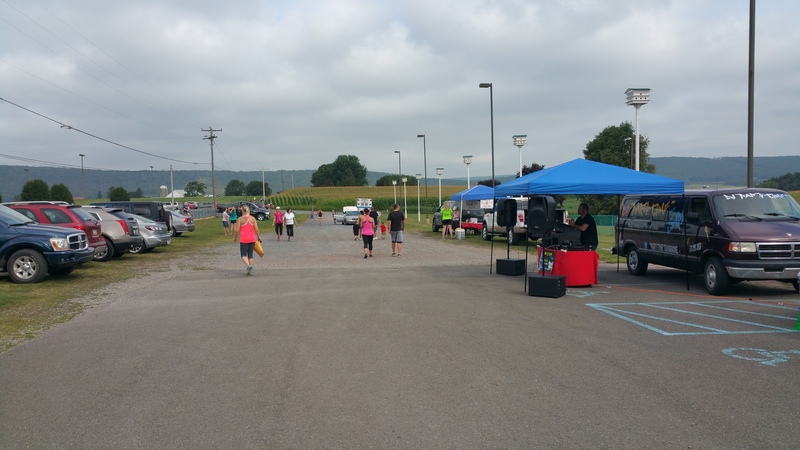 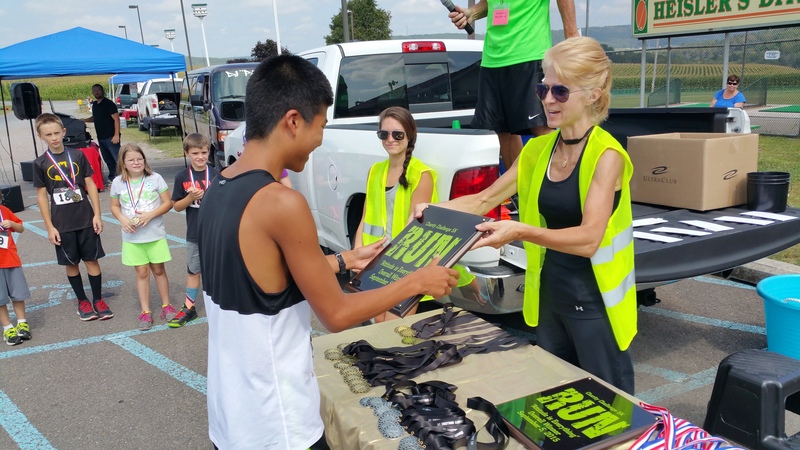 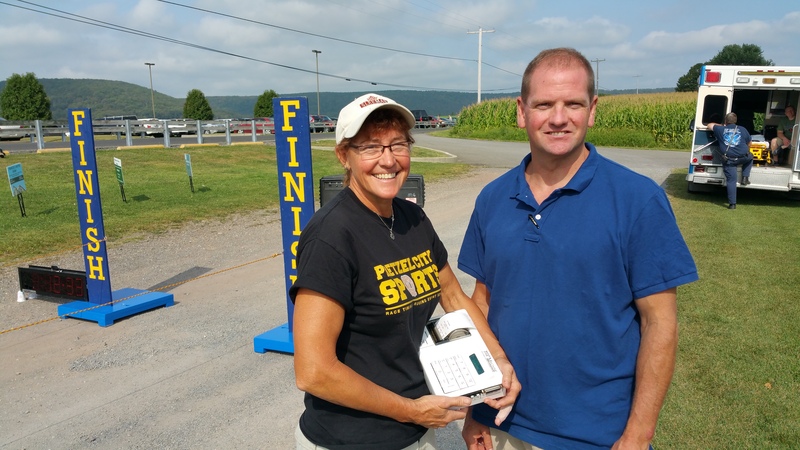 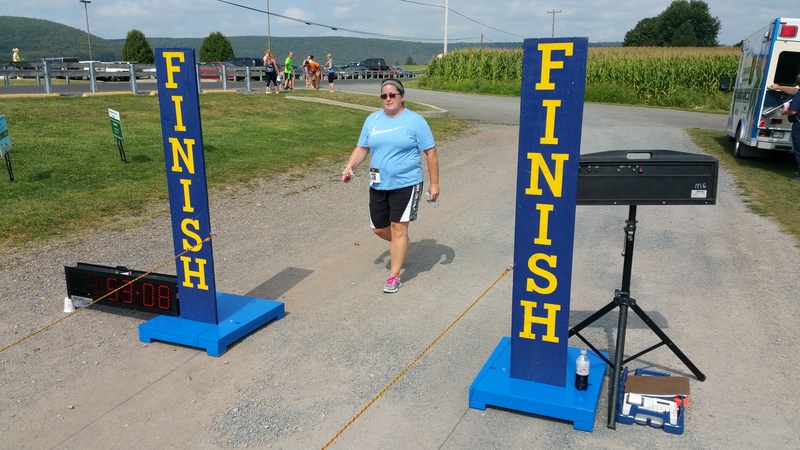 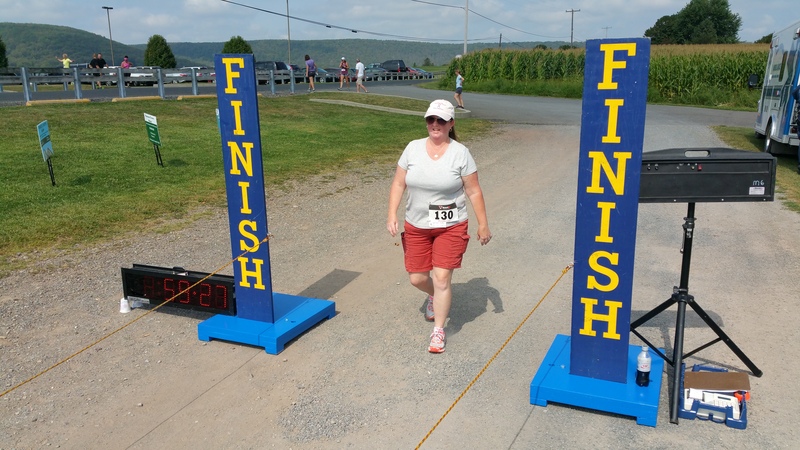 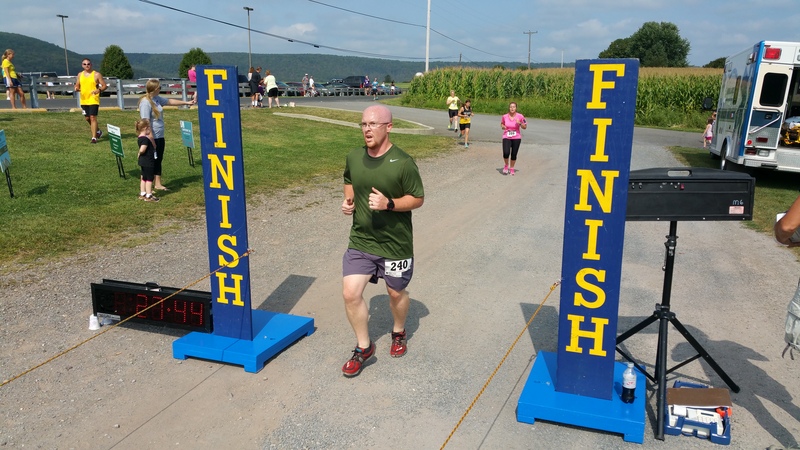 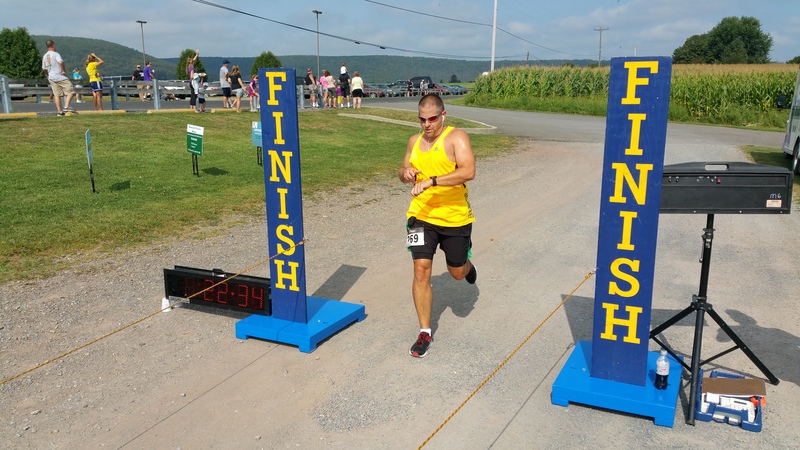 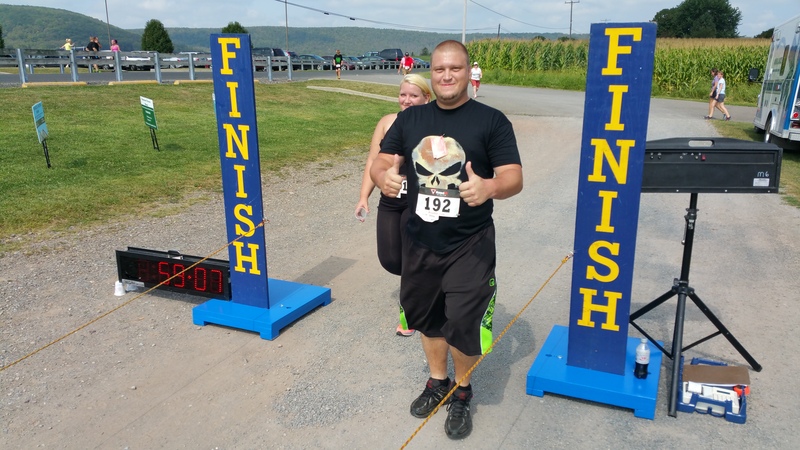 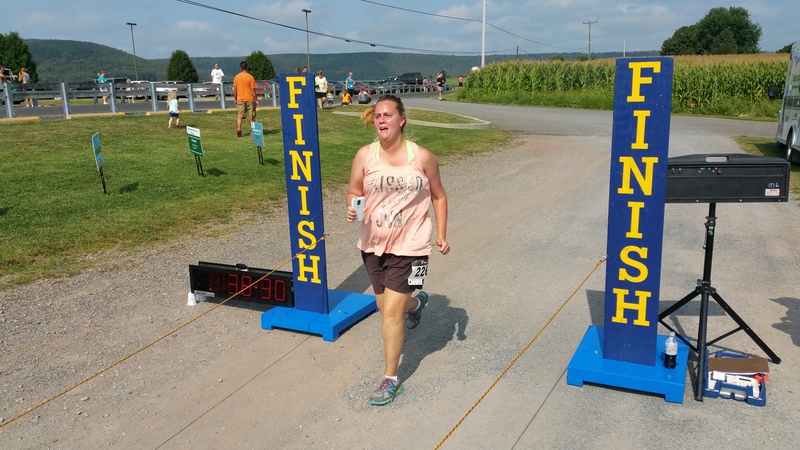 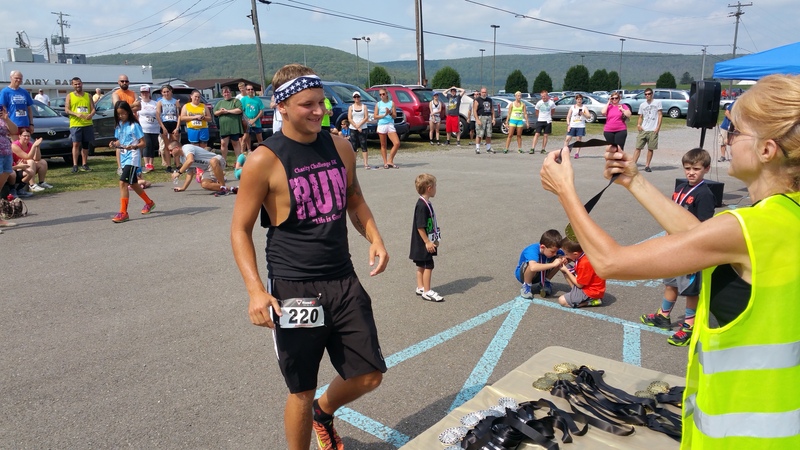 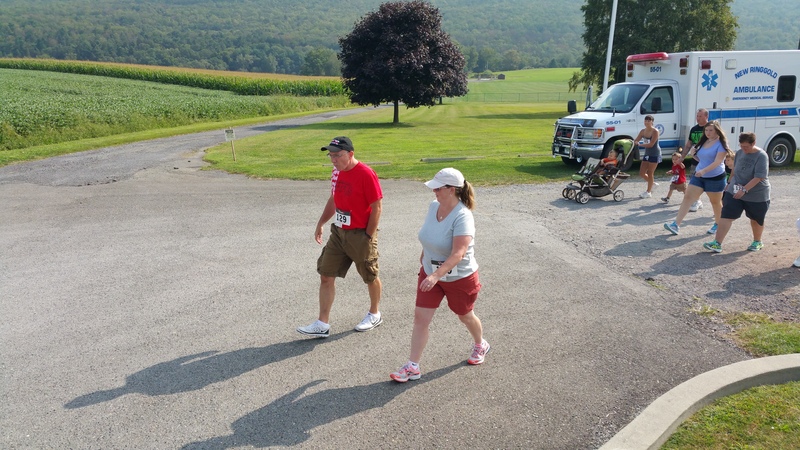 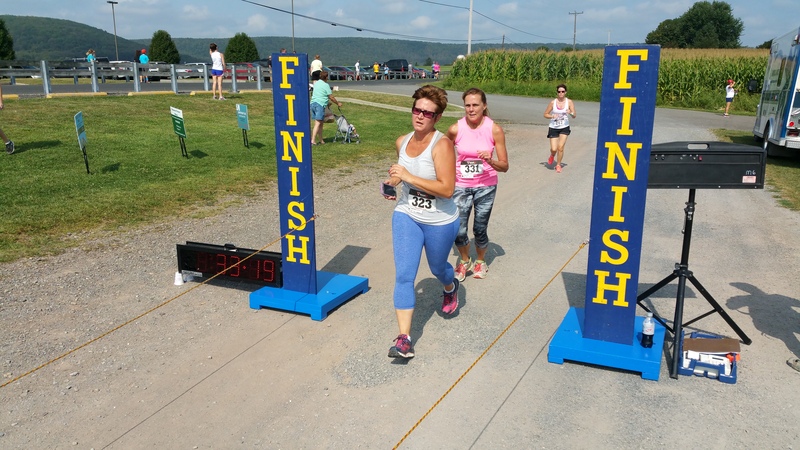 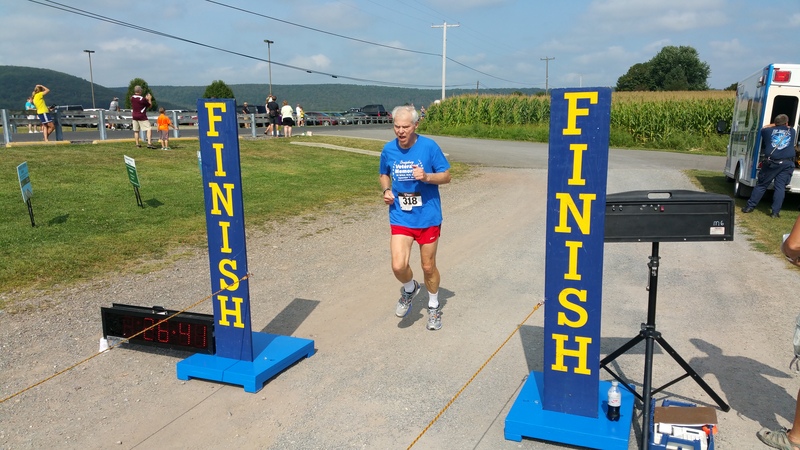 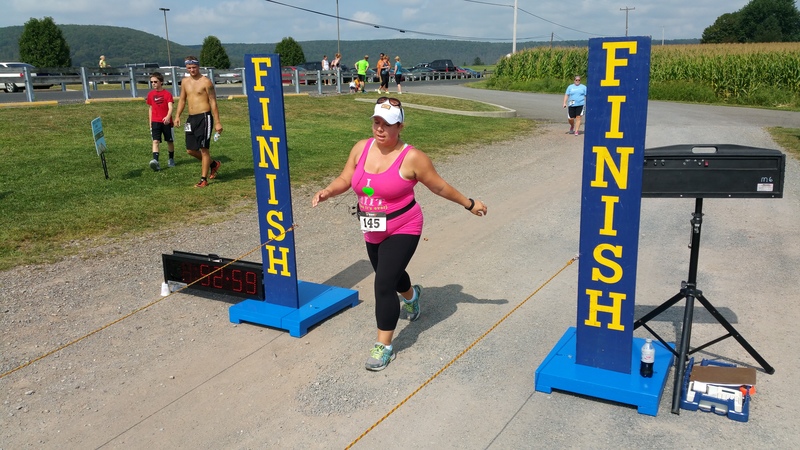 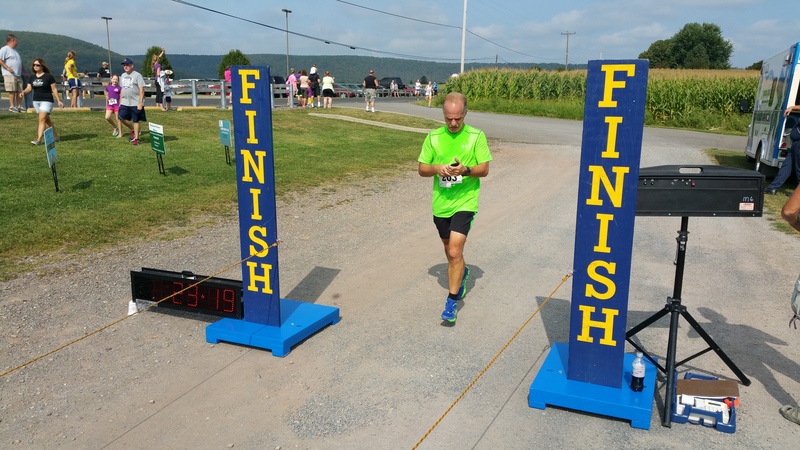 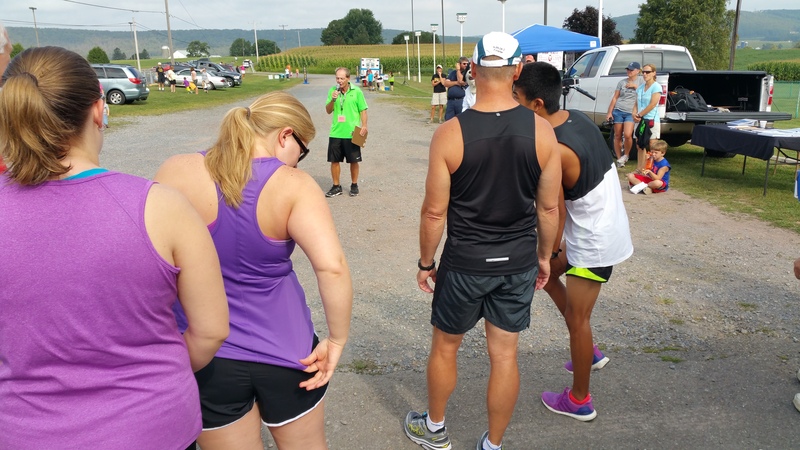 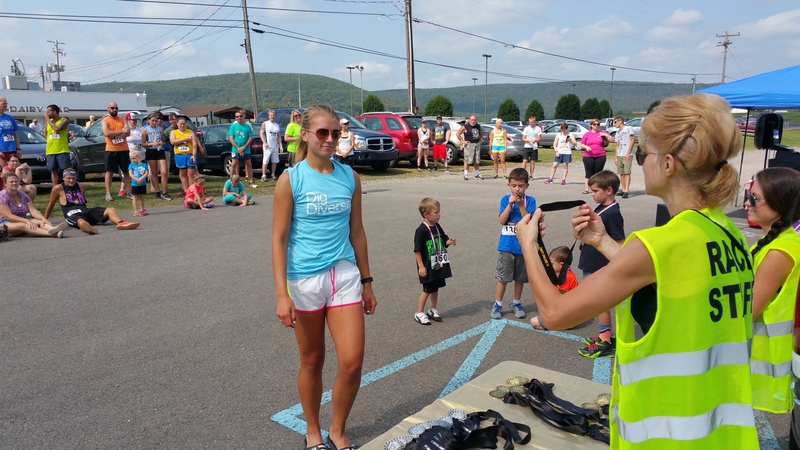 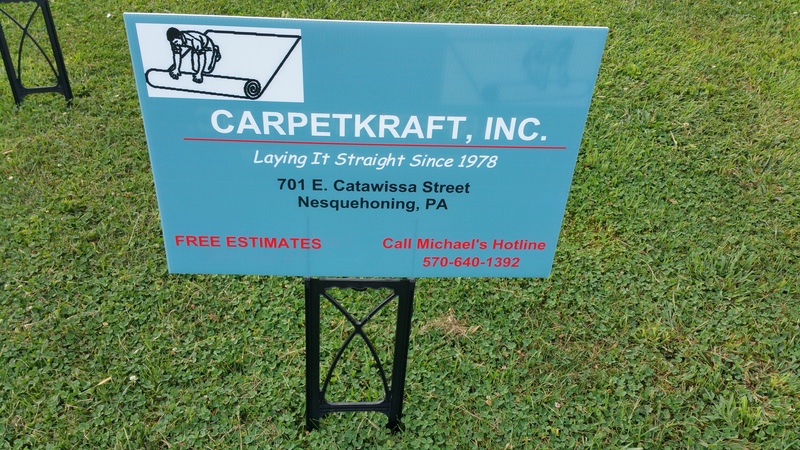 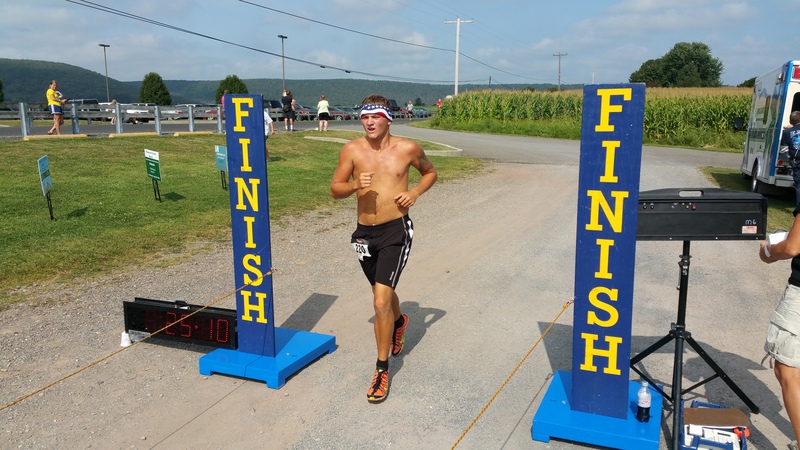 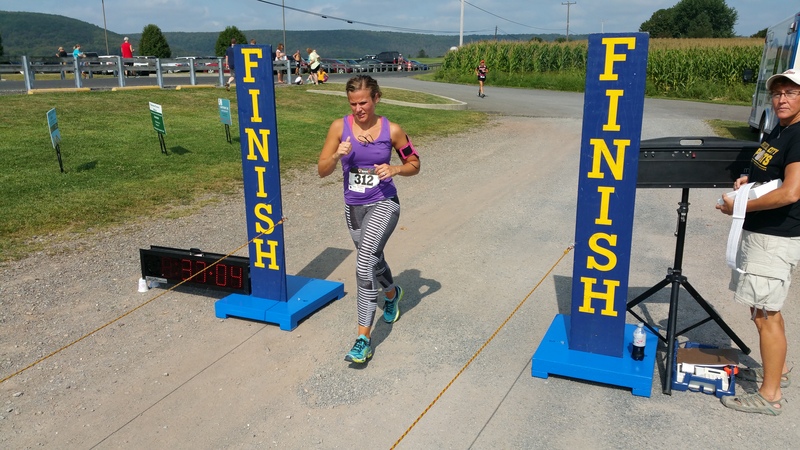 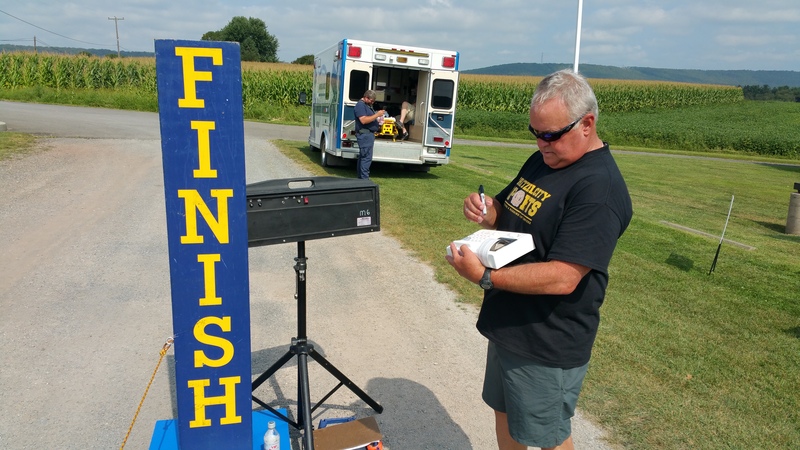 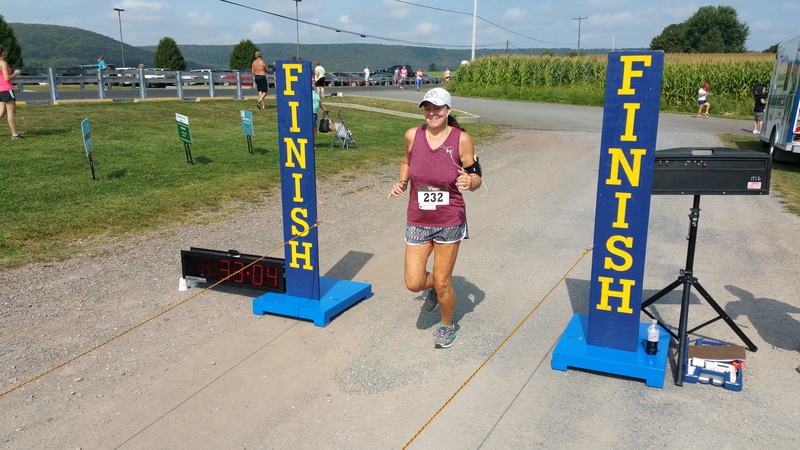 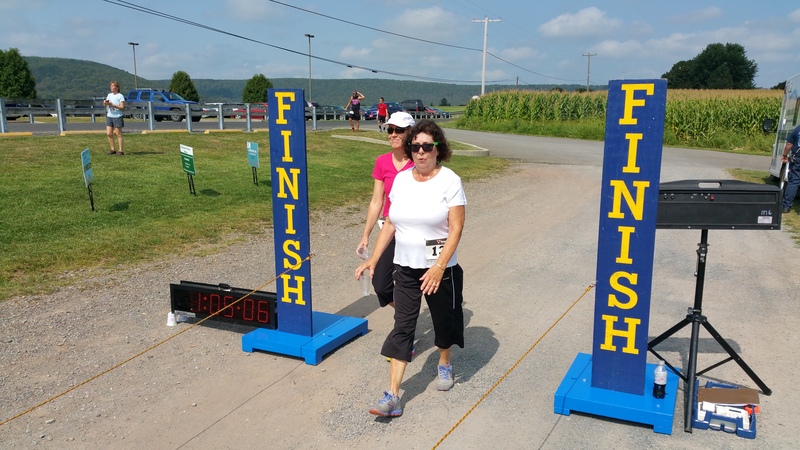 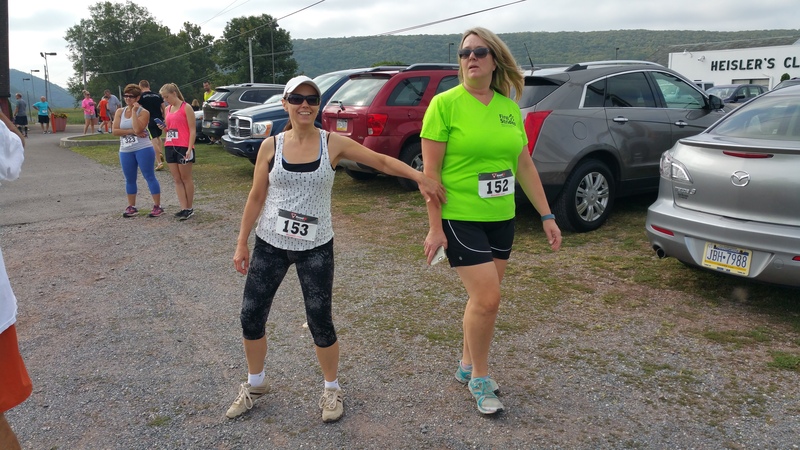 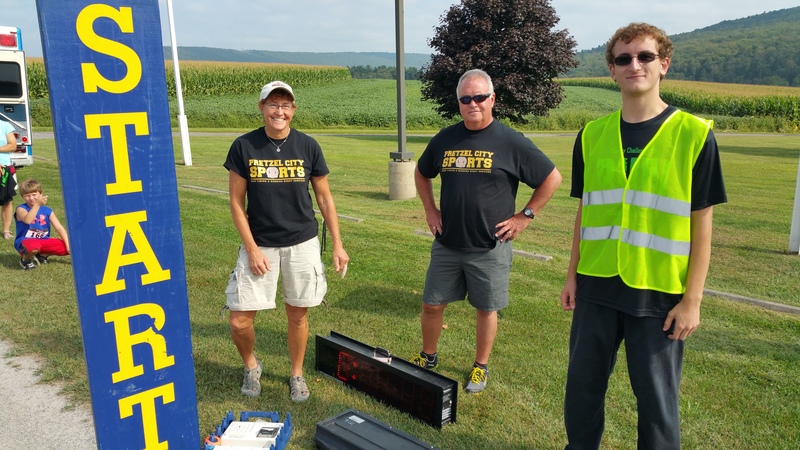 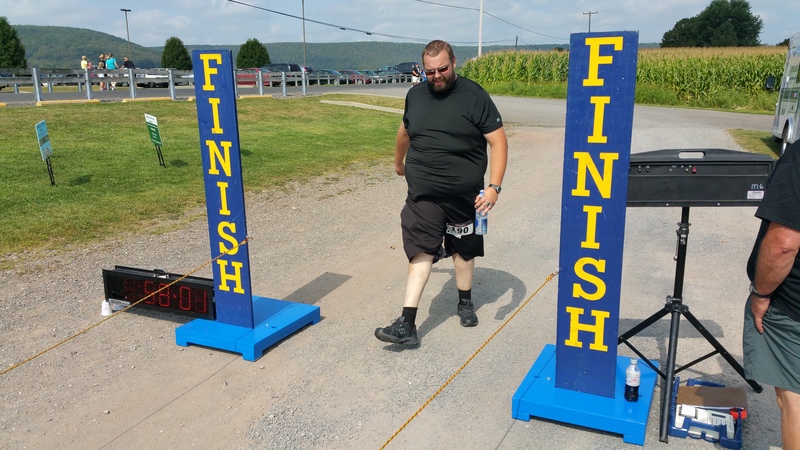 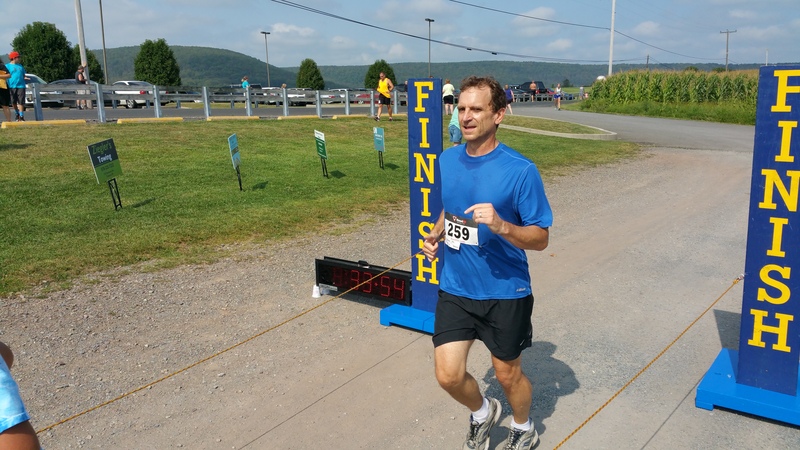 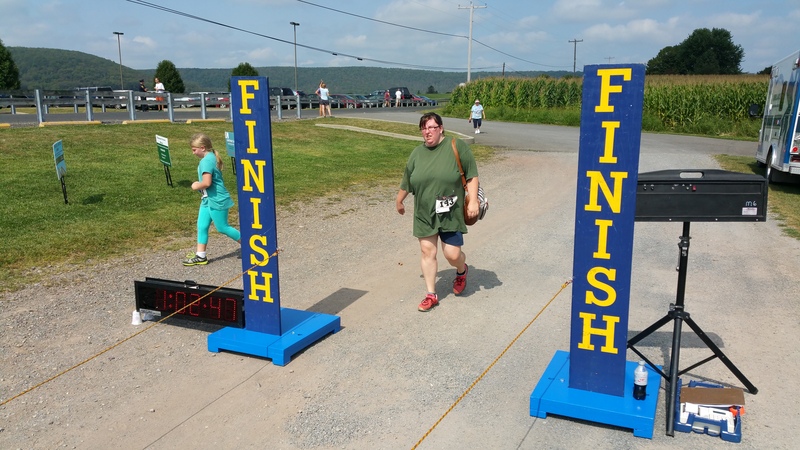 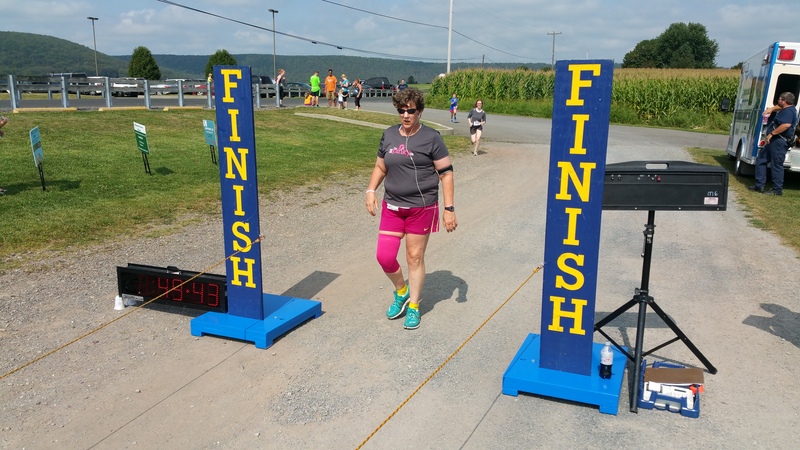 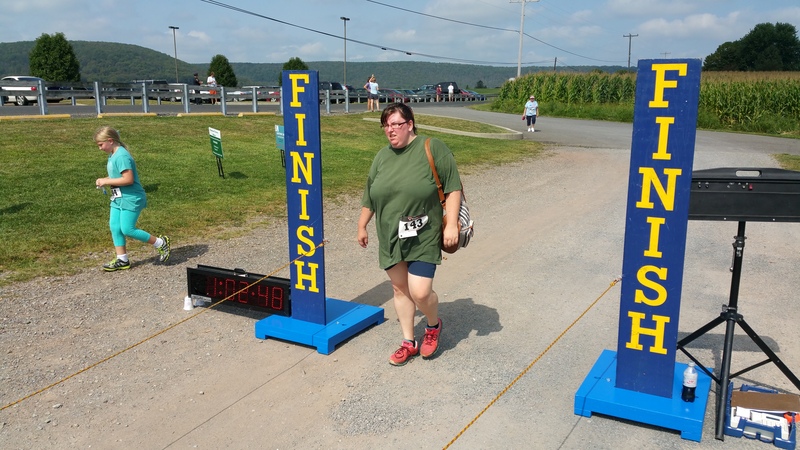 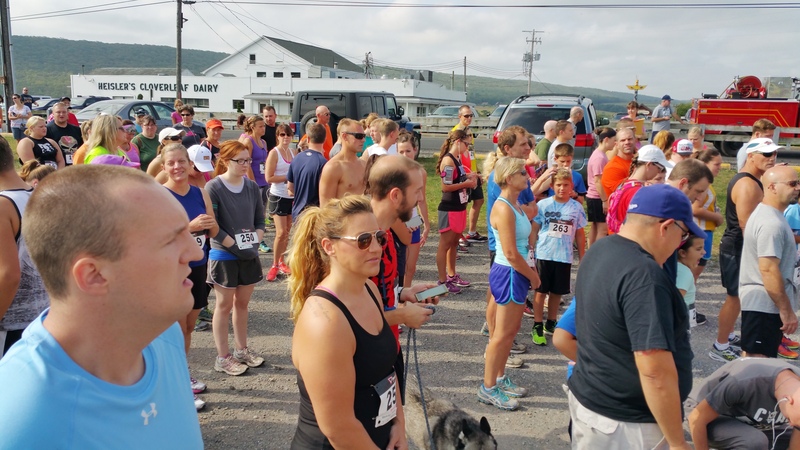 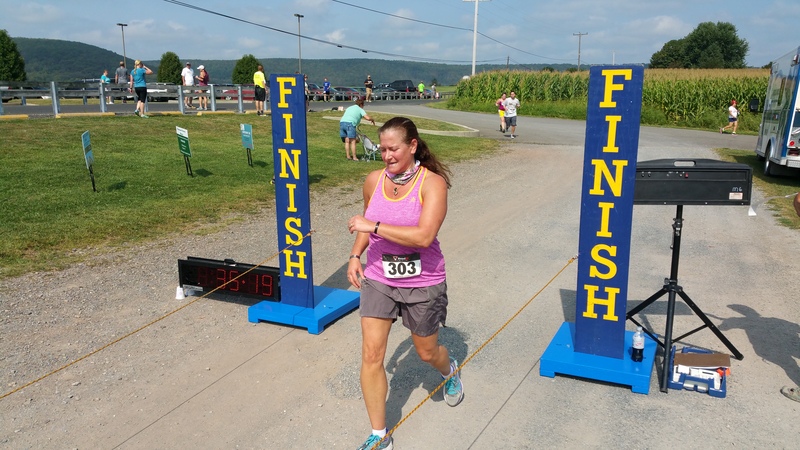 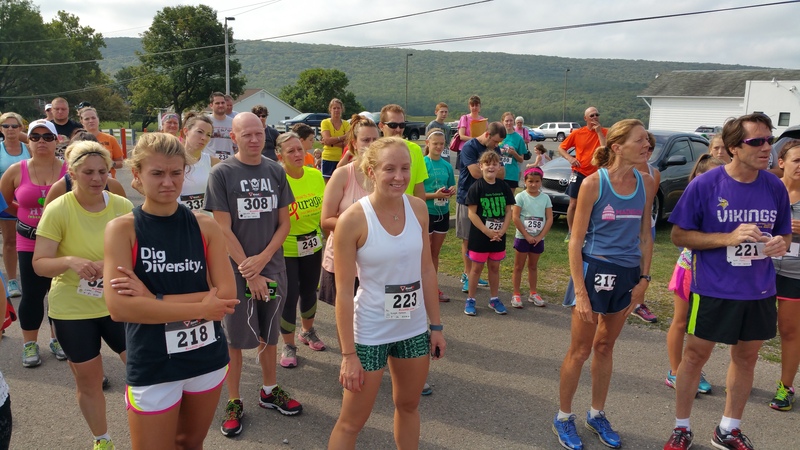 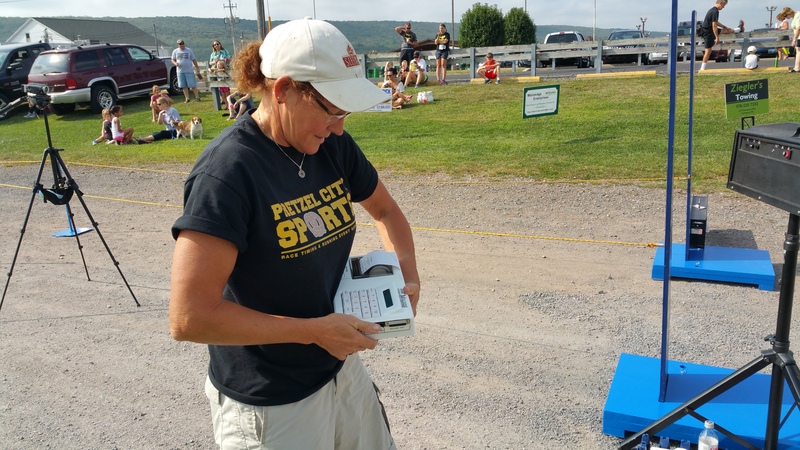 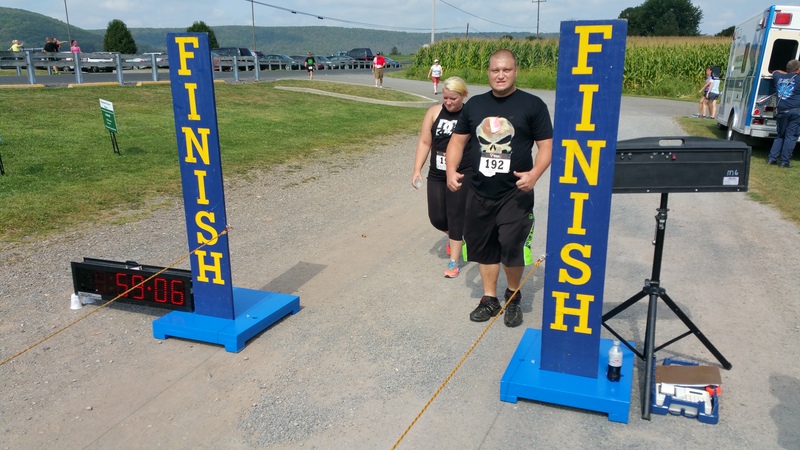 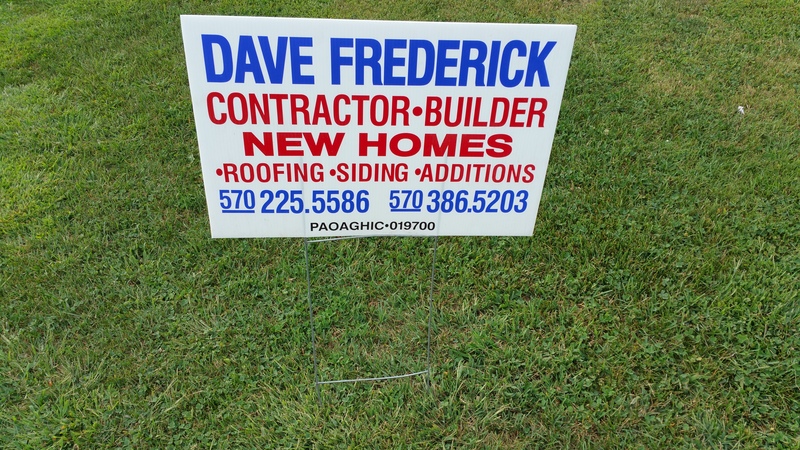 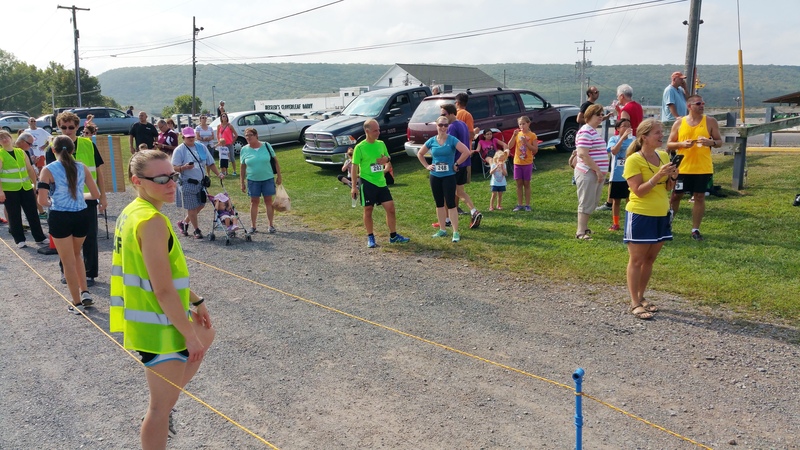 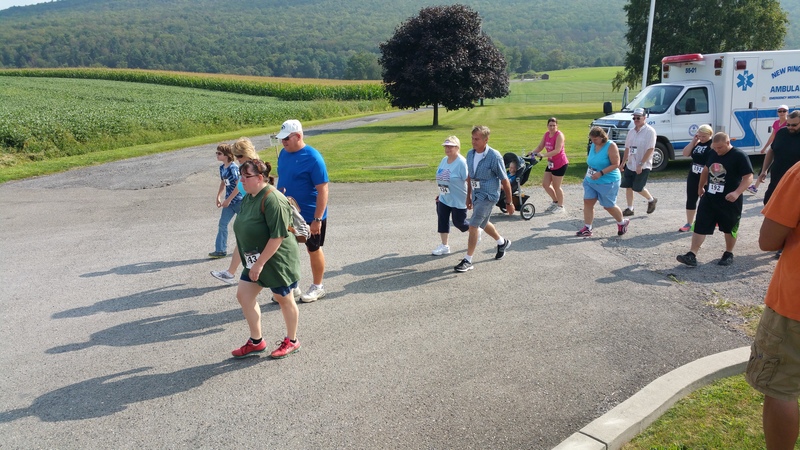 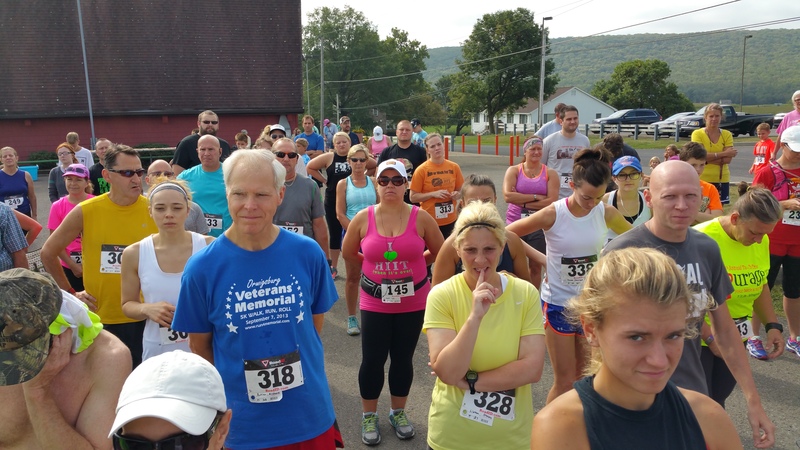 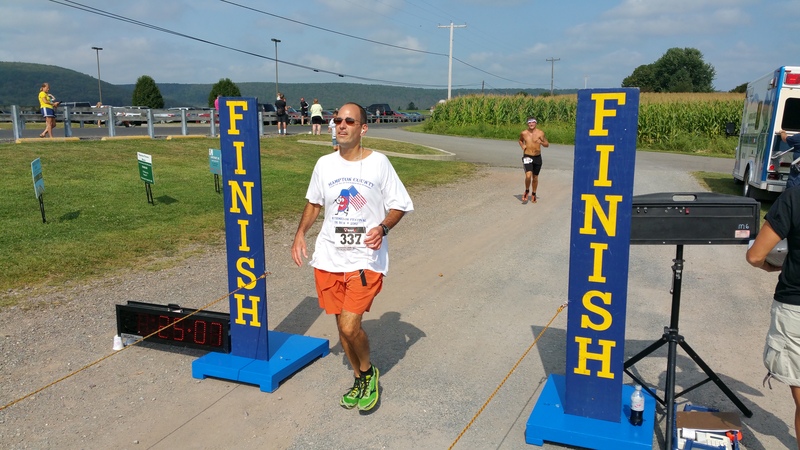 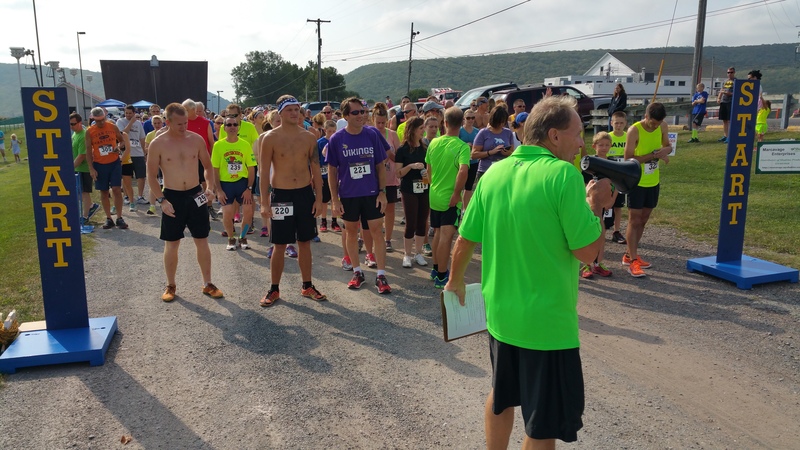 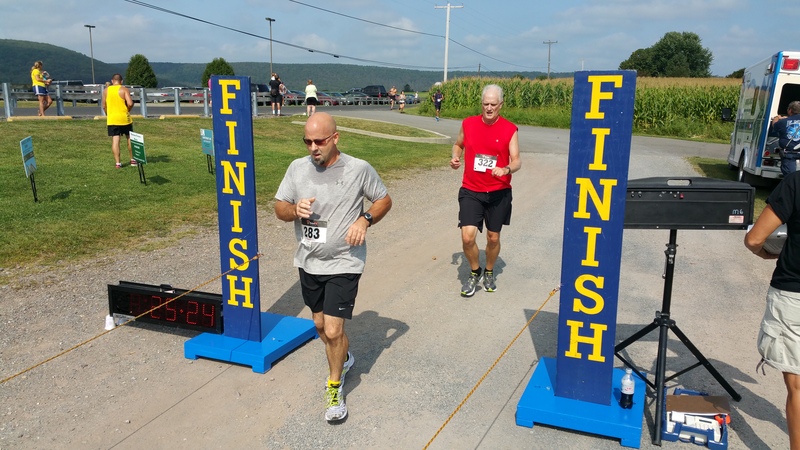 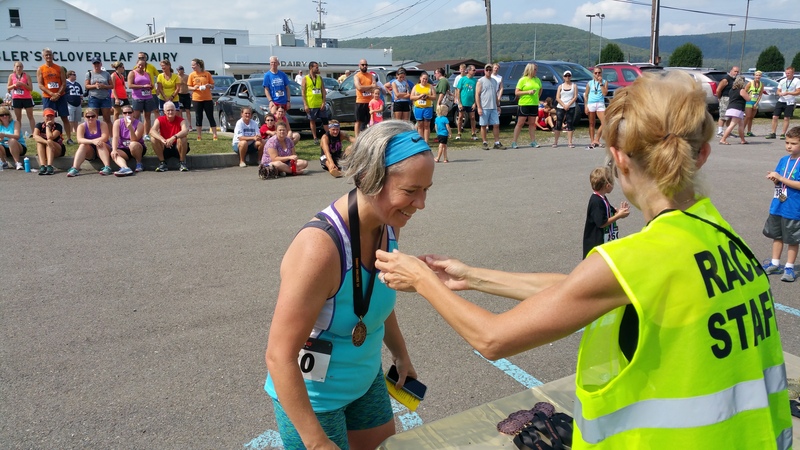 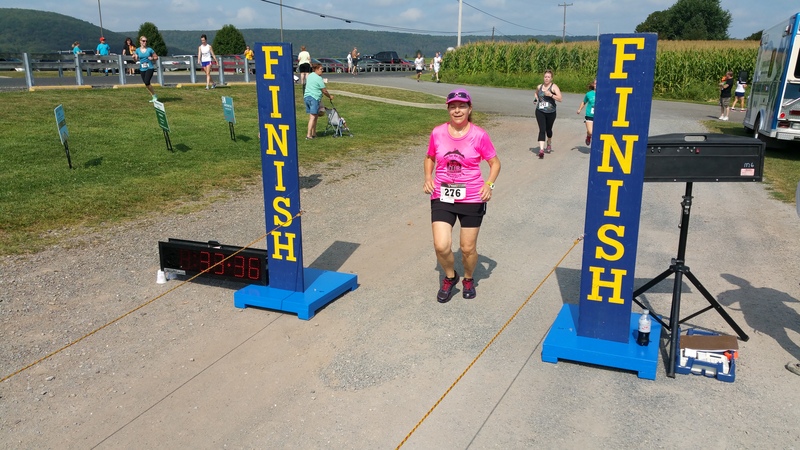 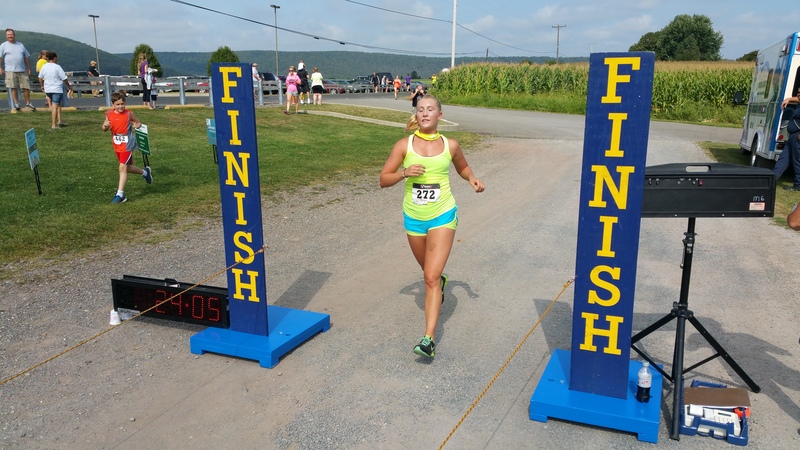 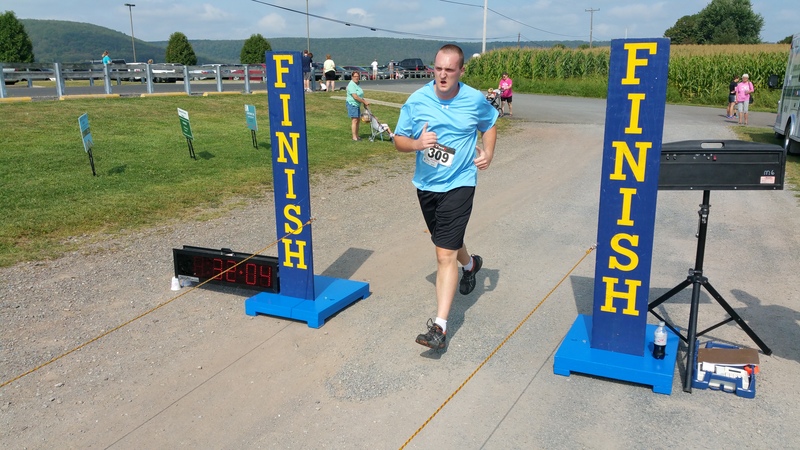 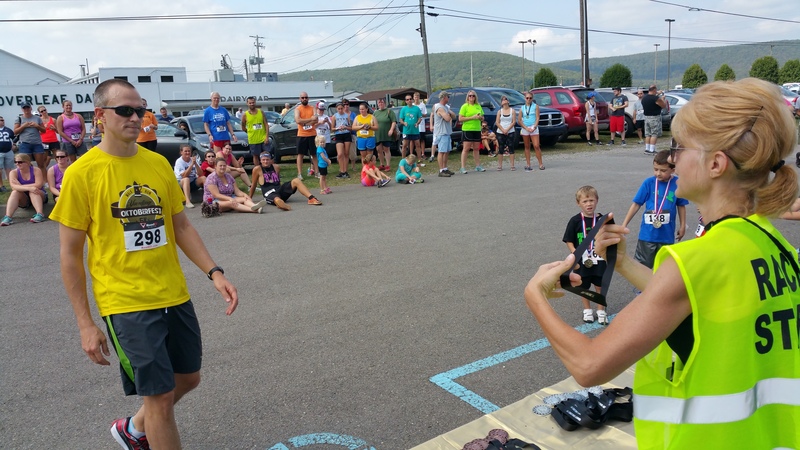 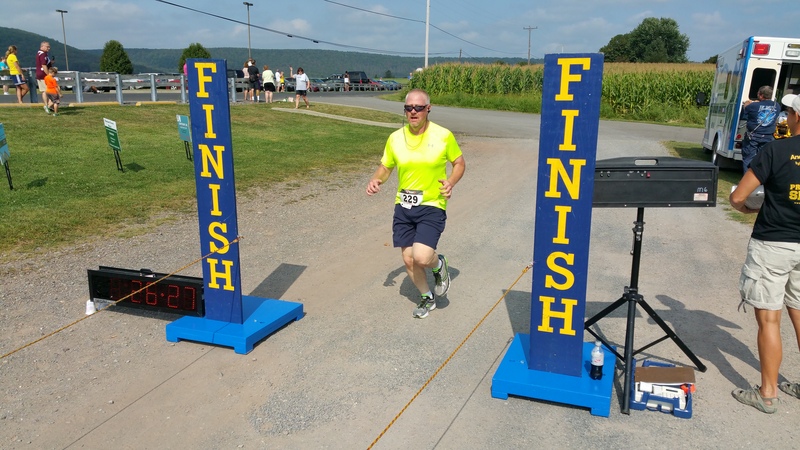 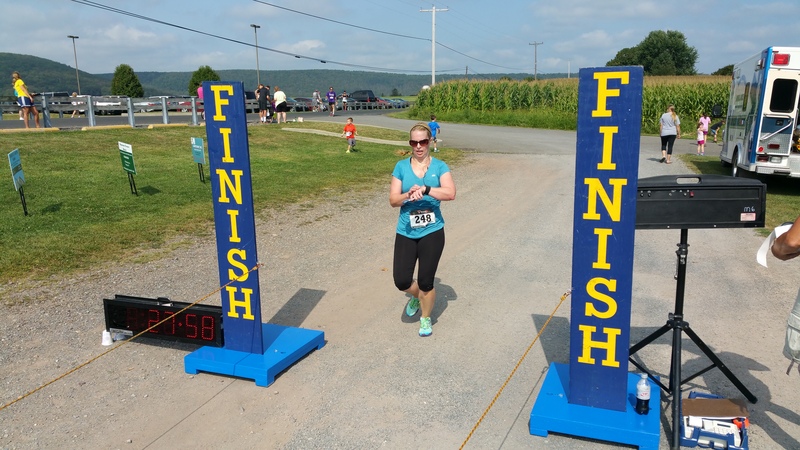 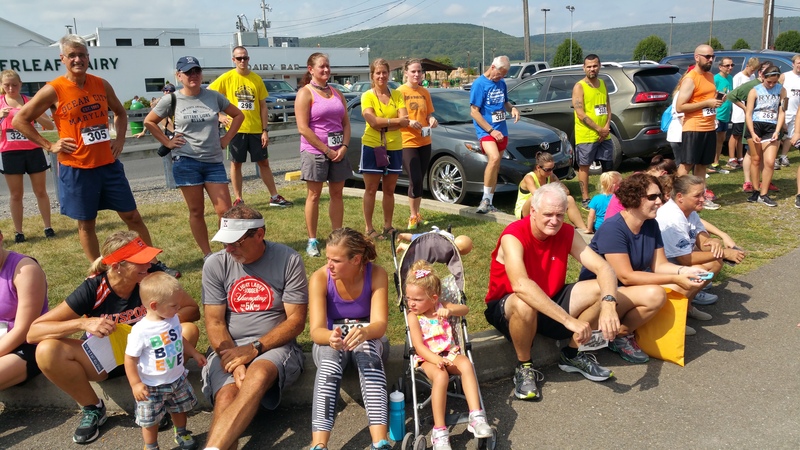 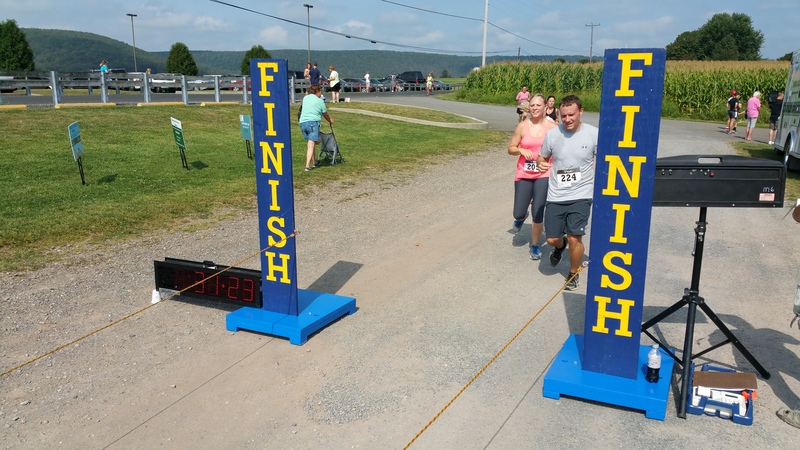 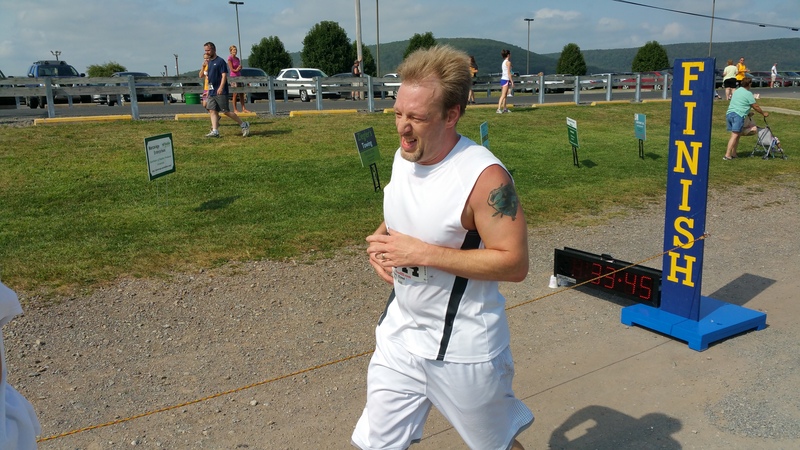 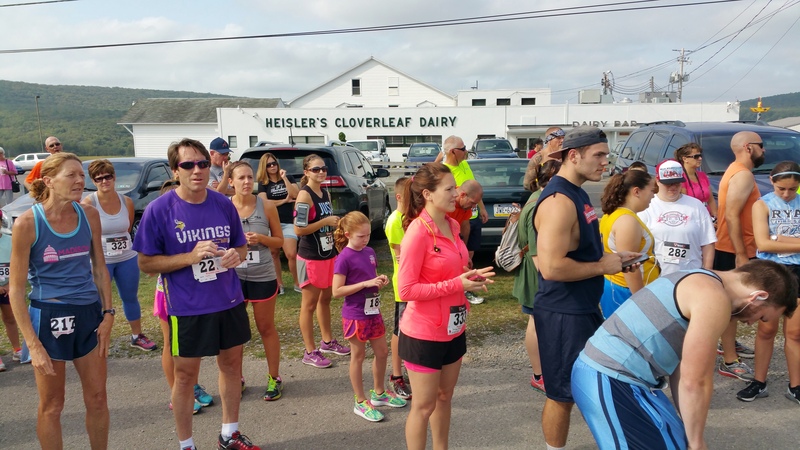 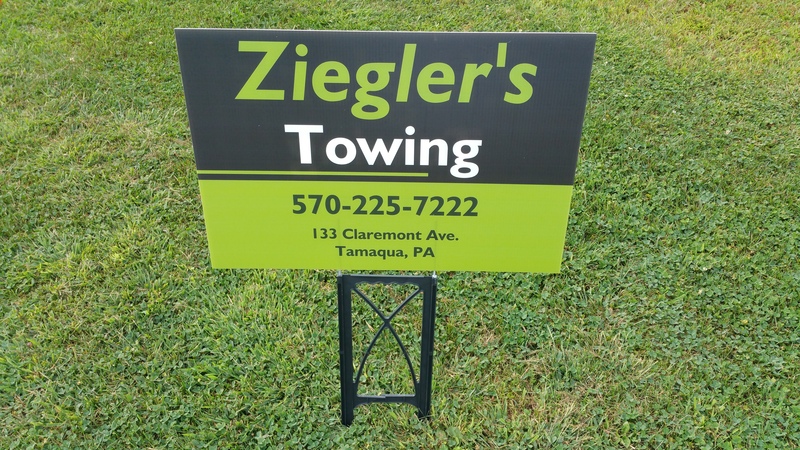 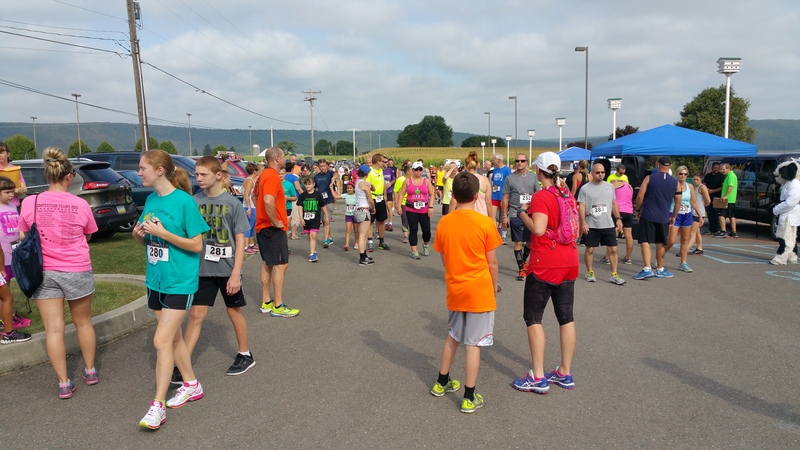 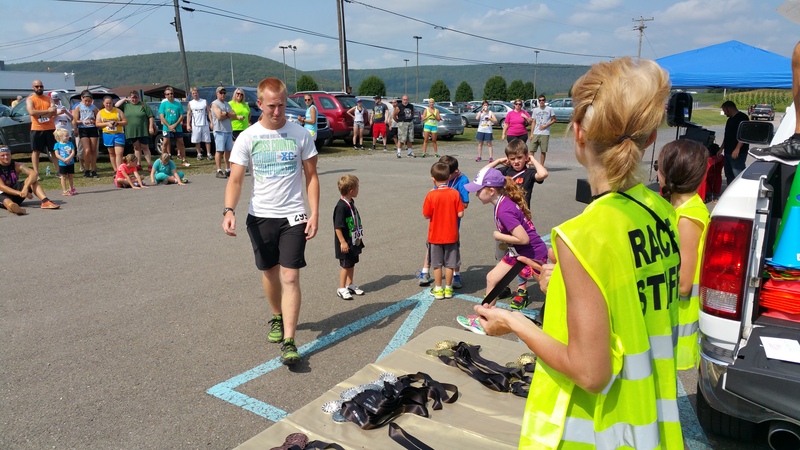 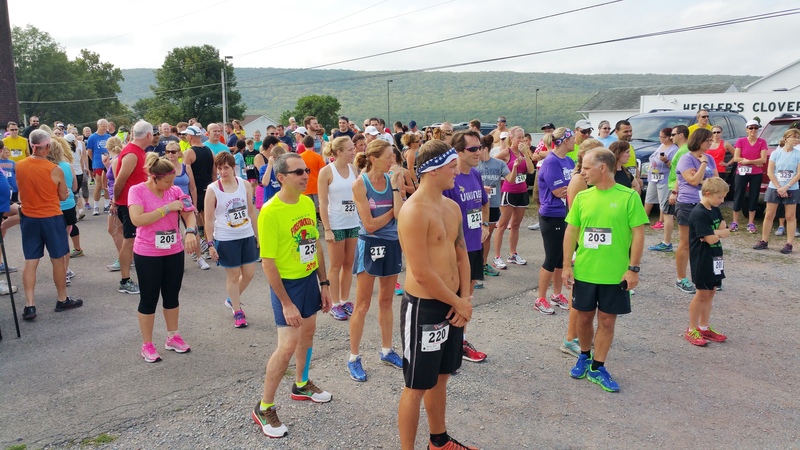 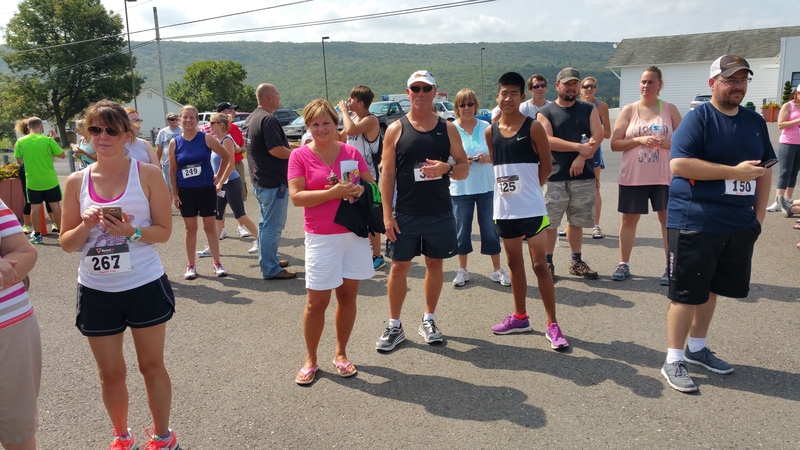 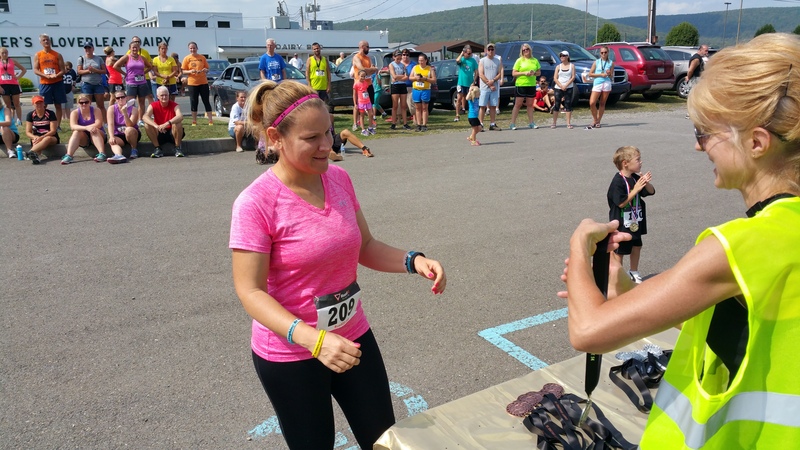 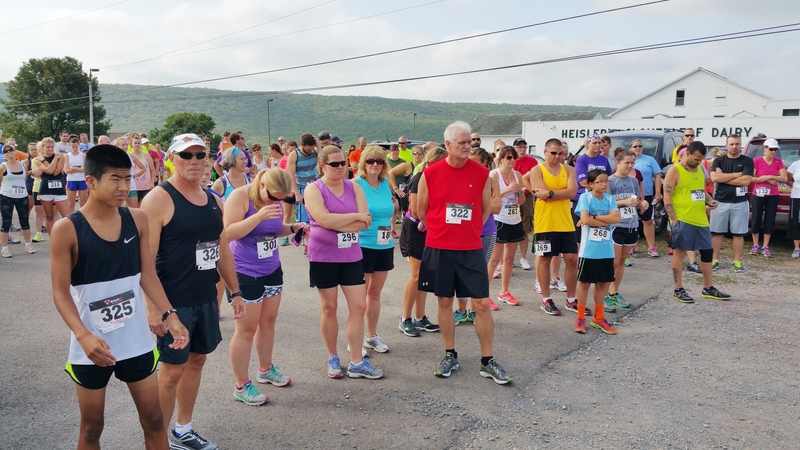 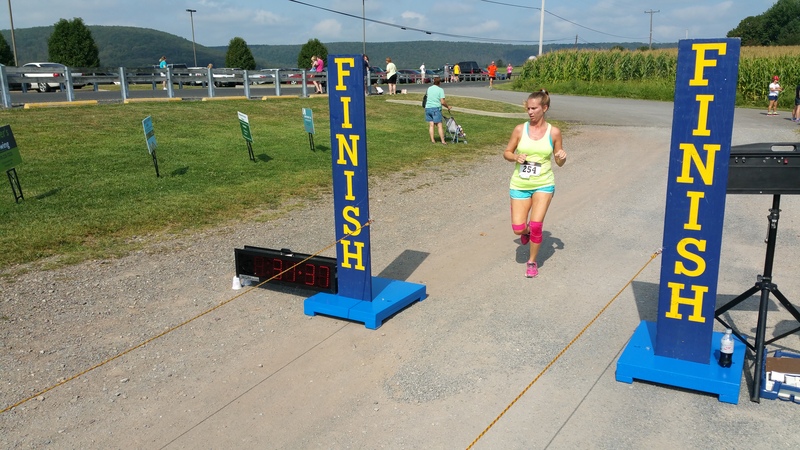 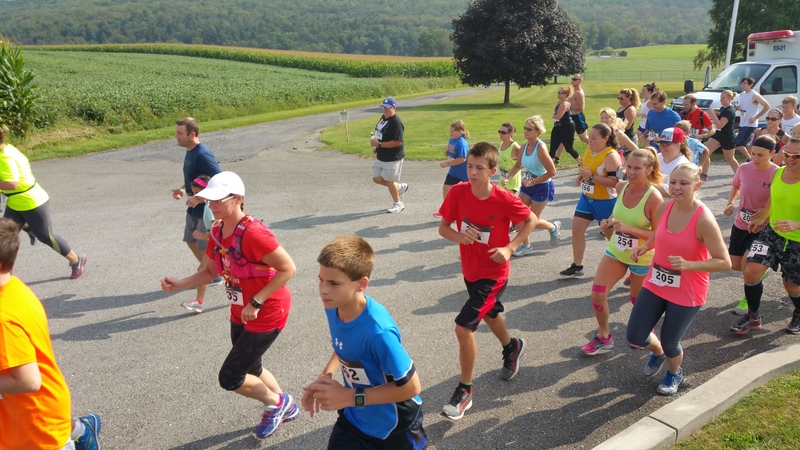 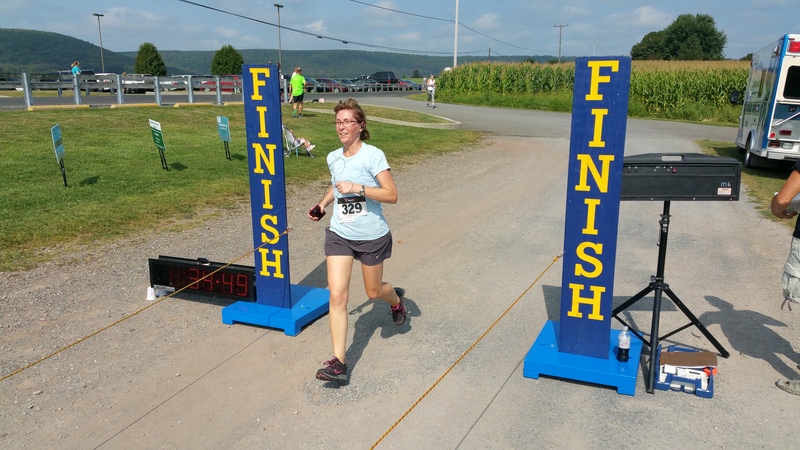 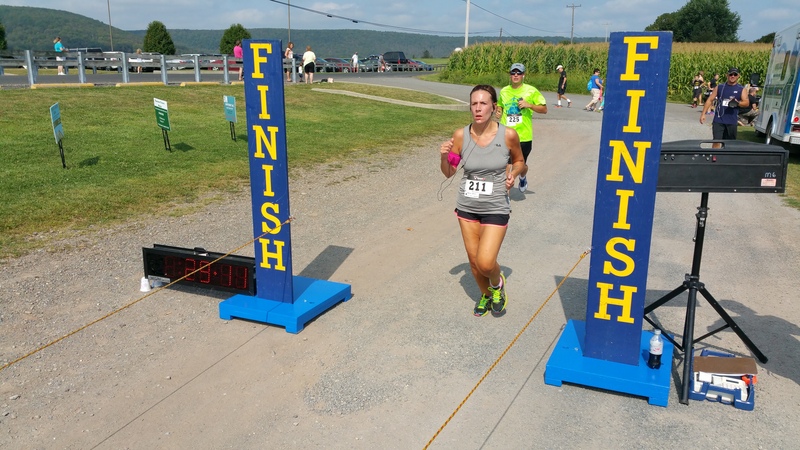 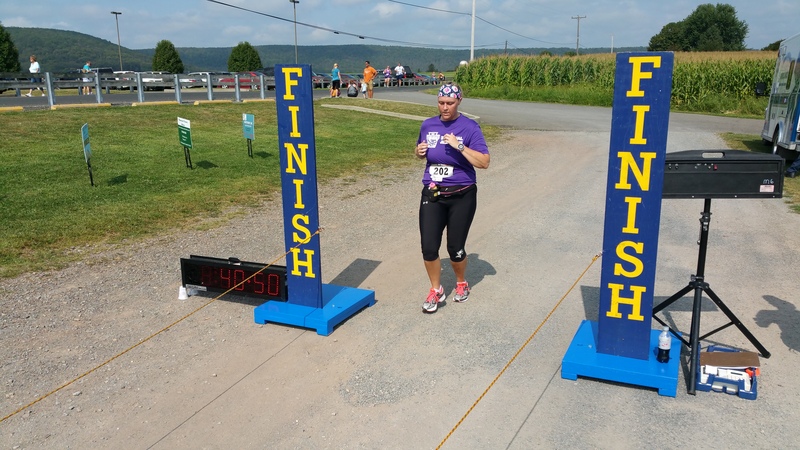 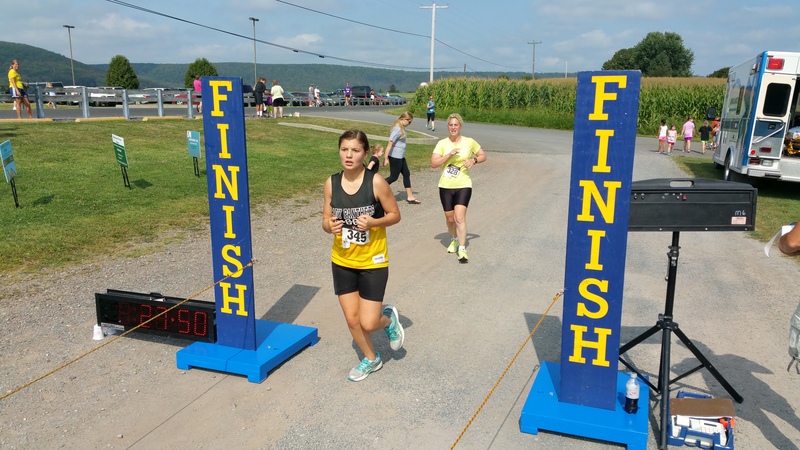 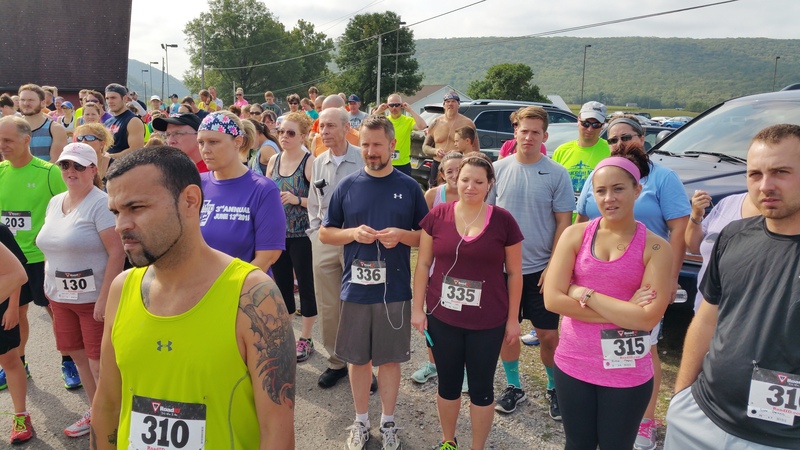 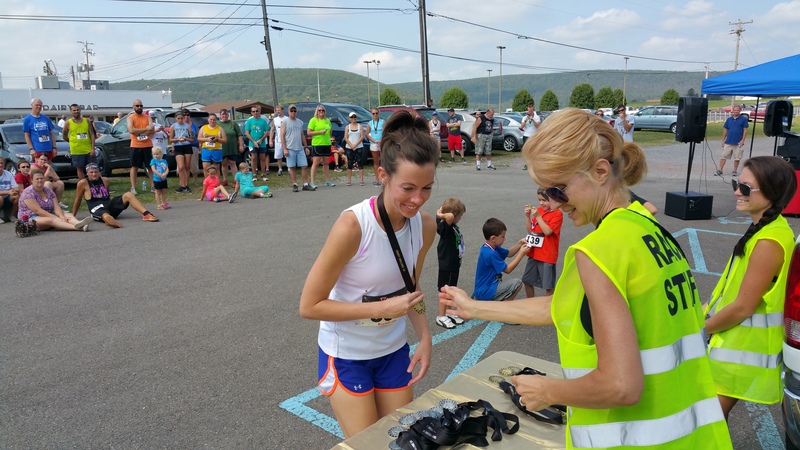 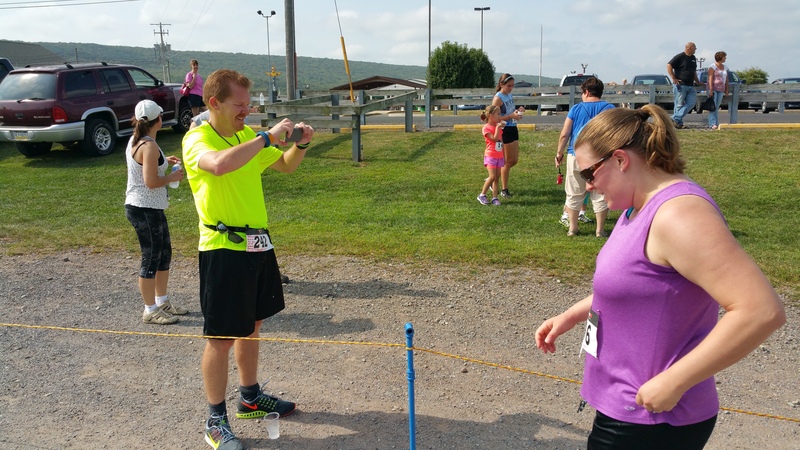 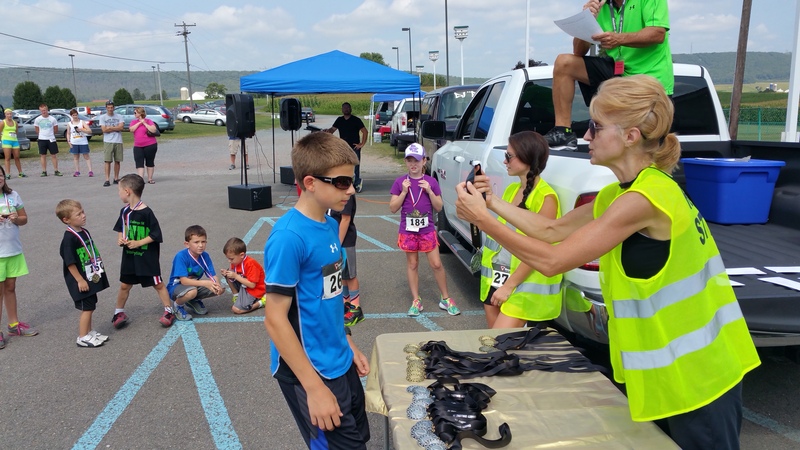 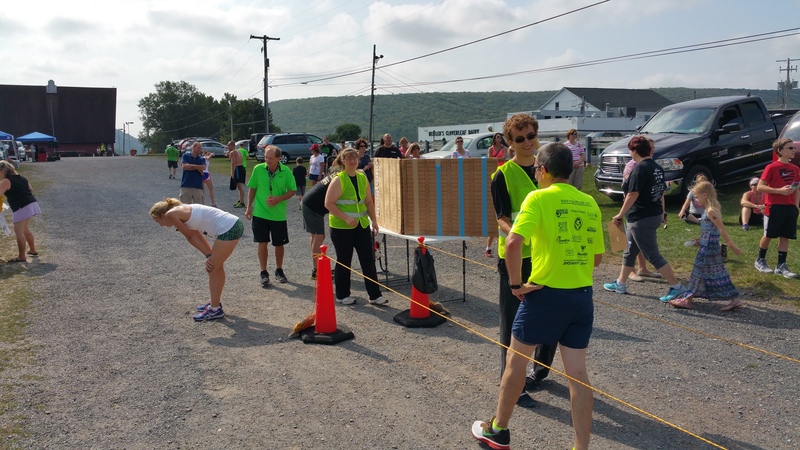 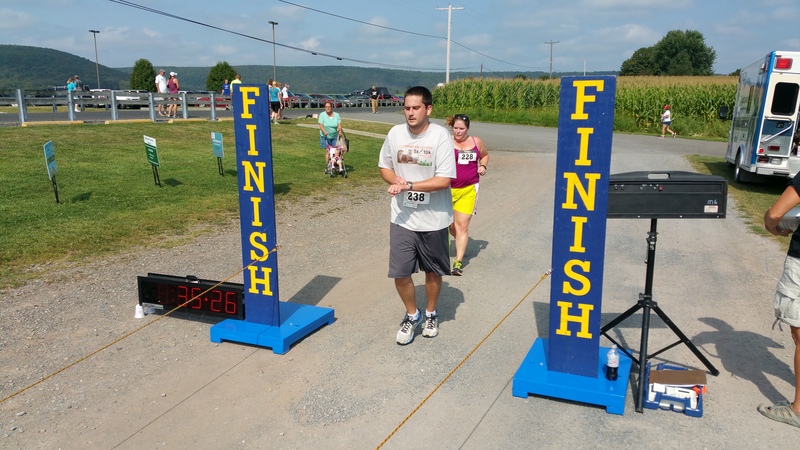 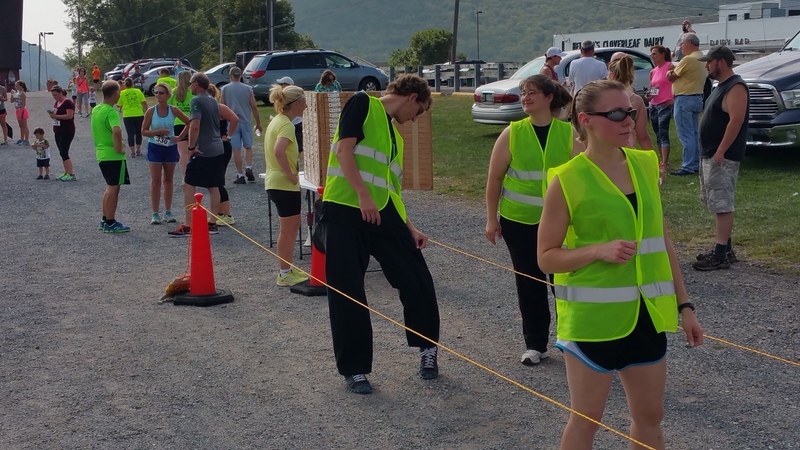 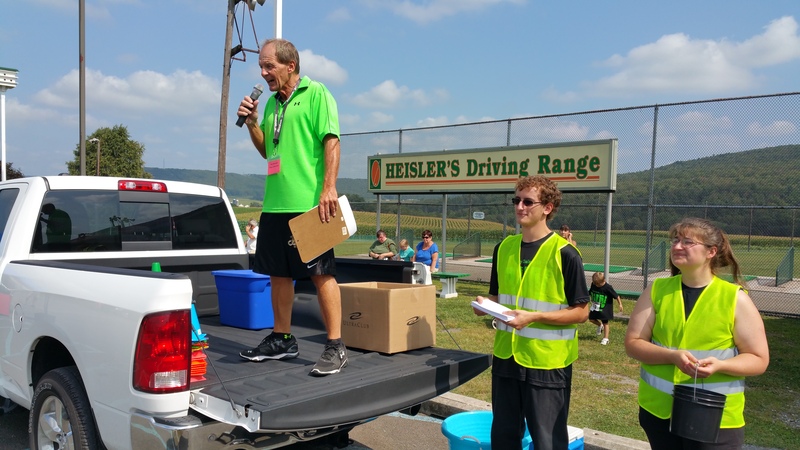 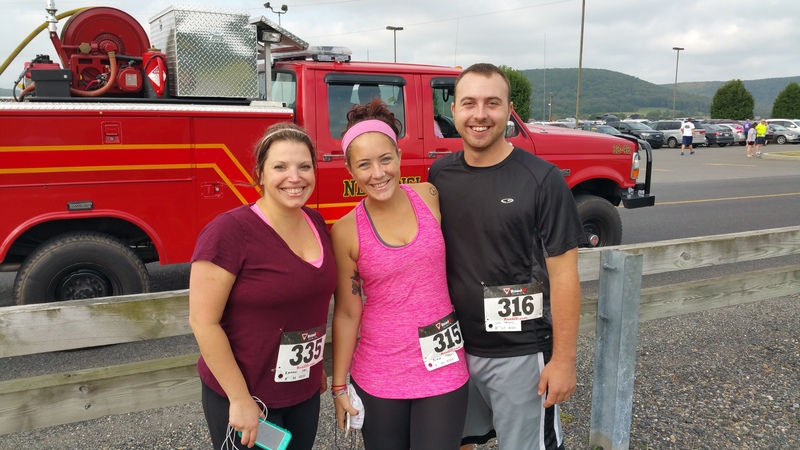 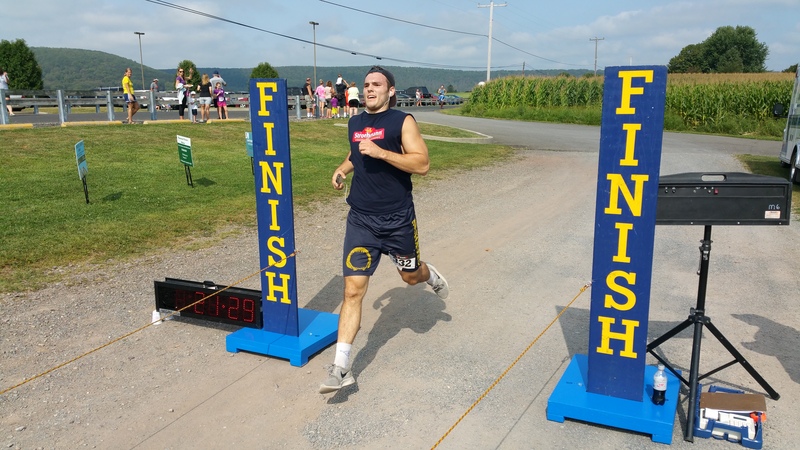 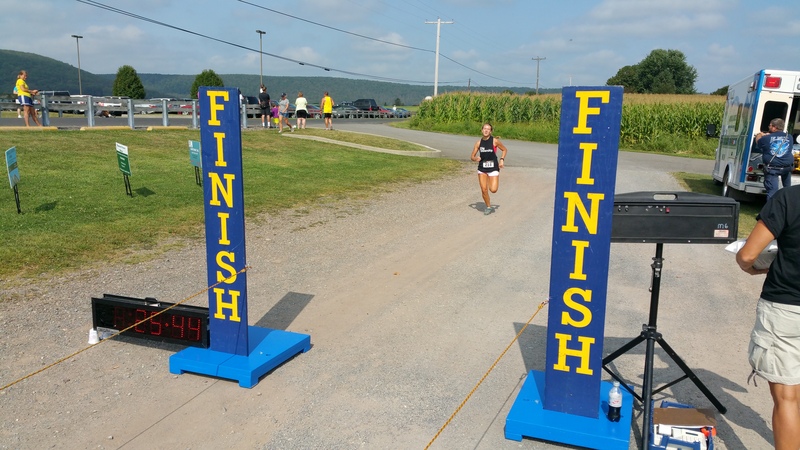 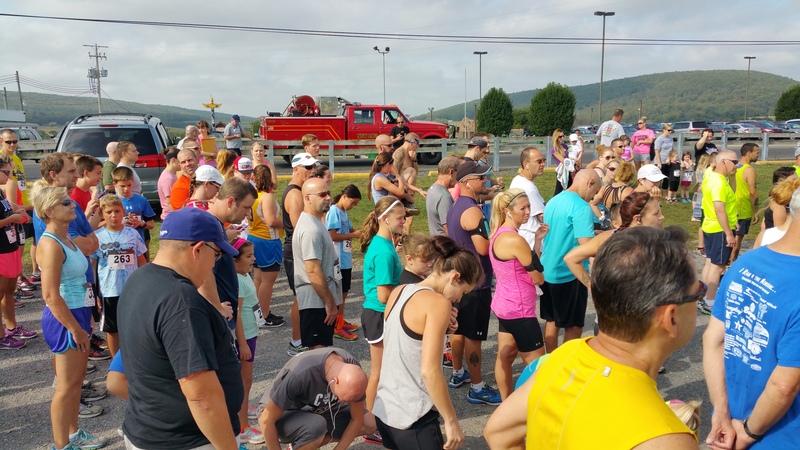 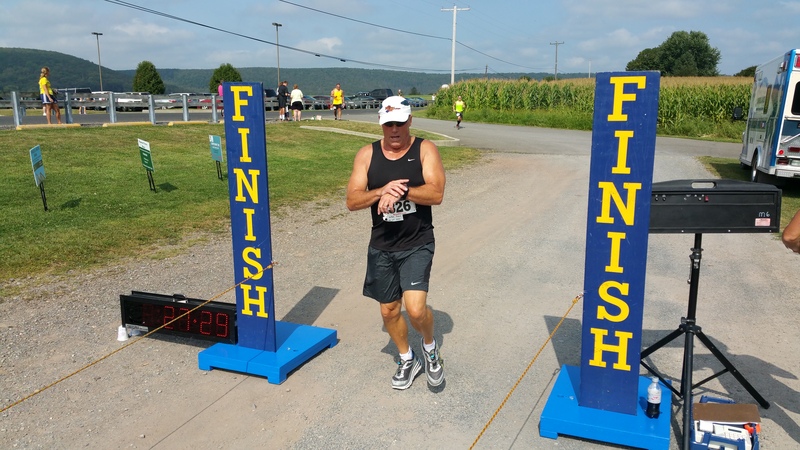 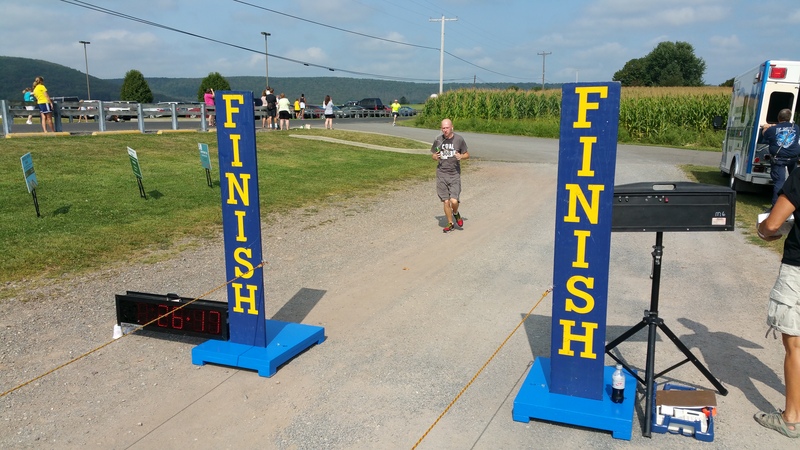 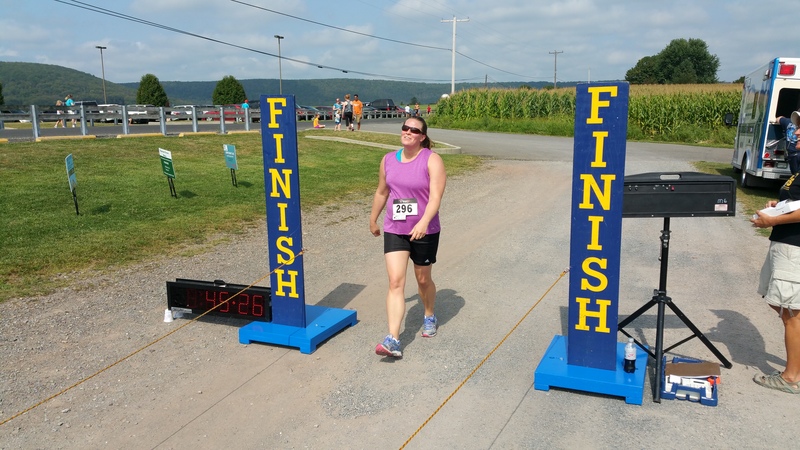 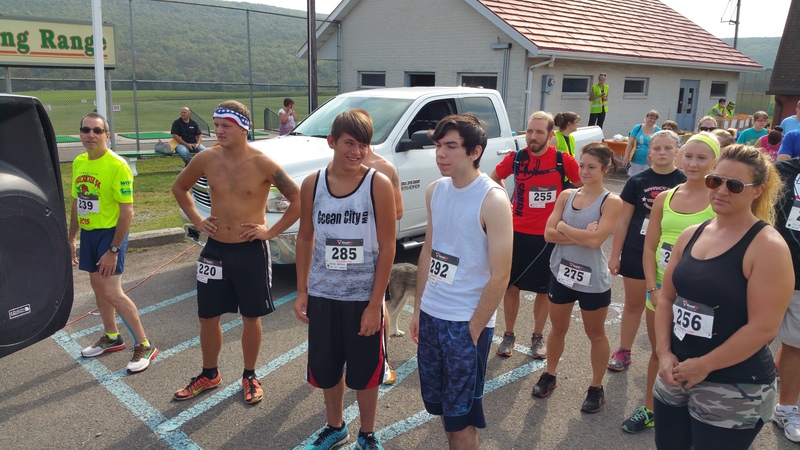 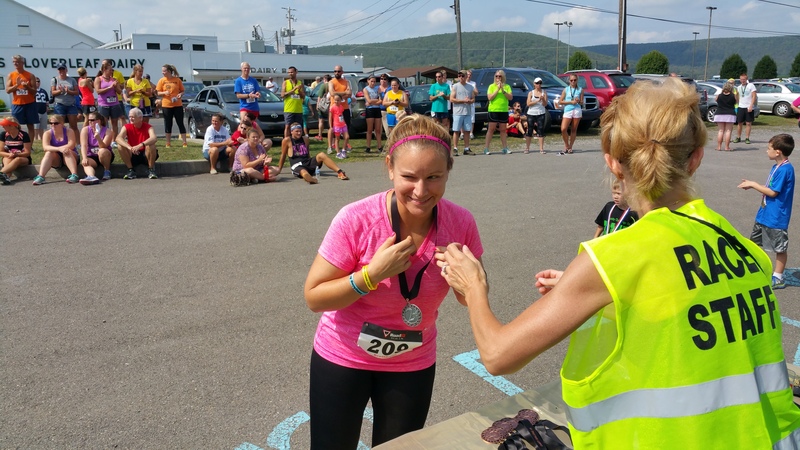 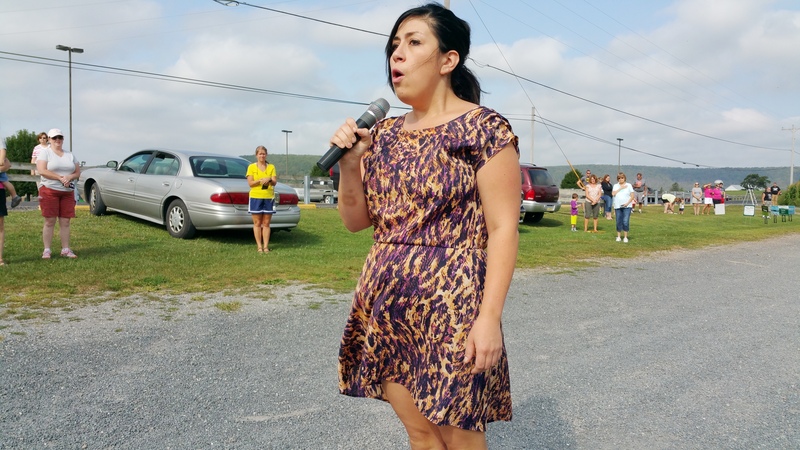 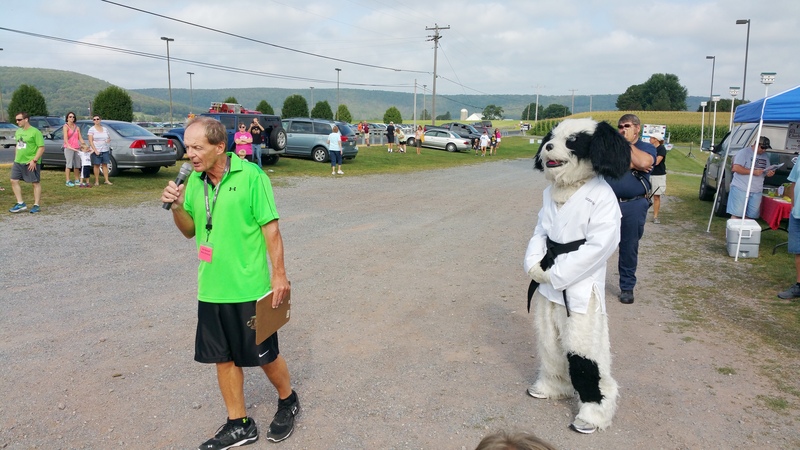 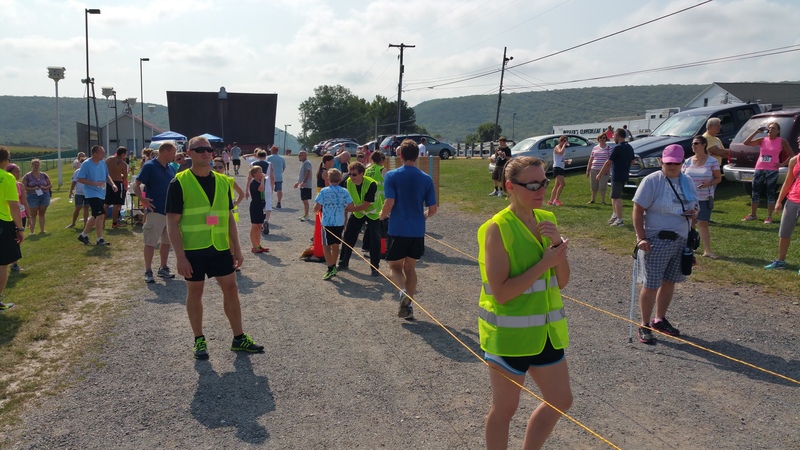 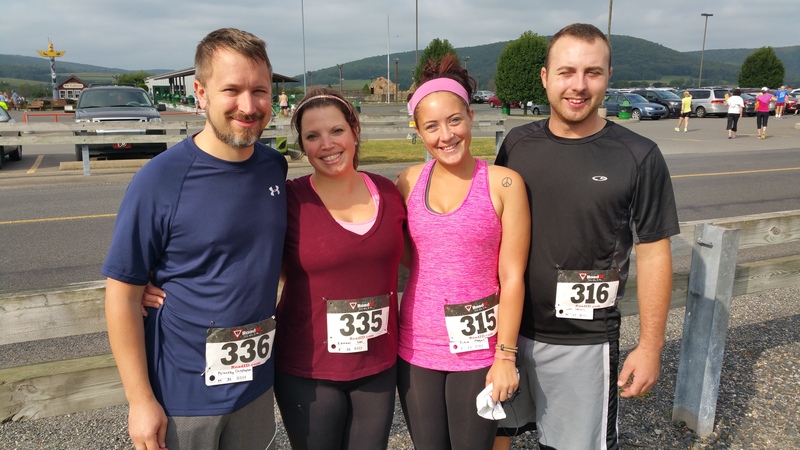 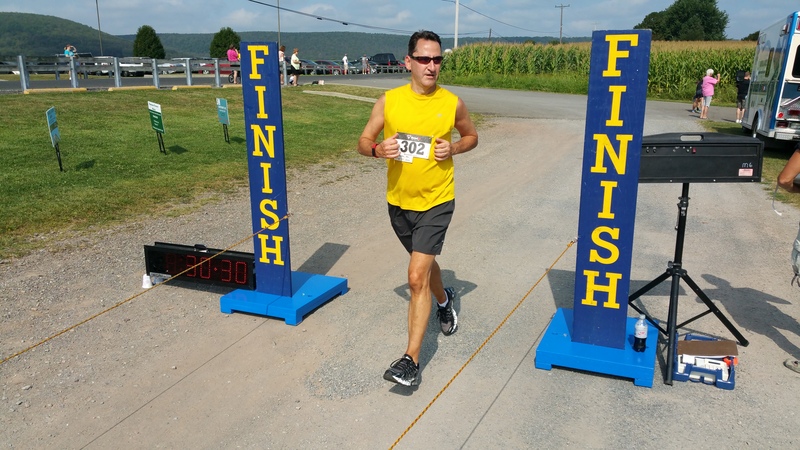 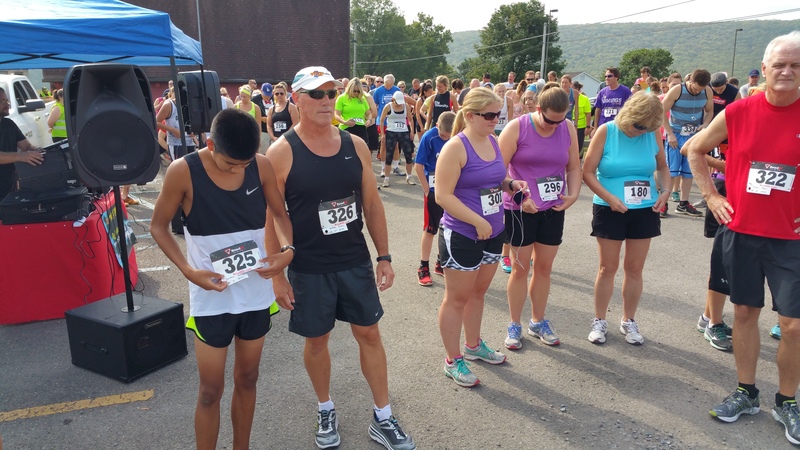 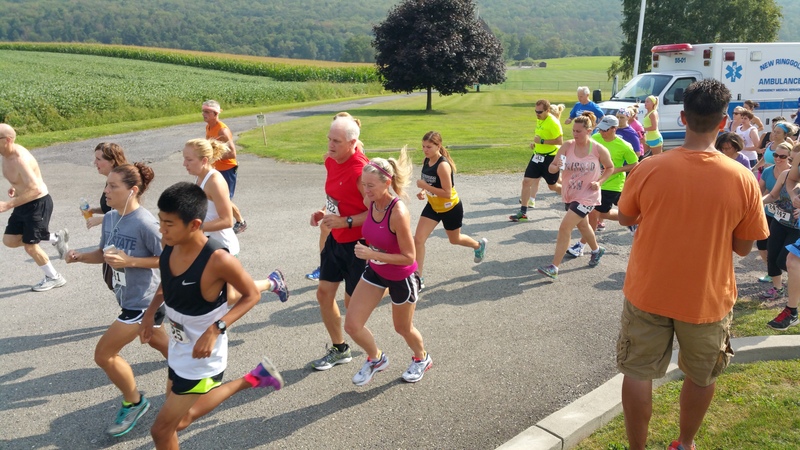 The race, organized and sponsored by USA Martial Arts & Fitness of Tamaqua, started at Heisler’s Dairy Bar and stretched through the rolling roadways of the Lewistown Valley. 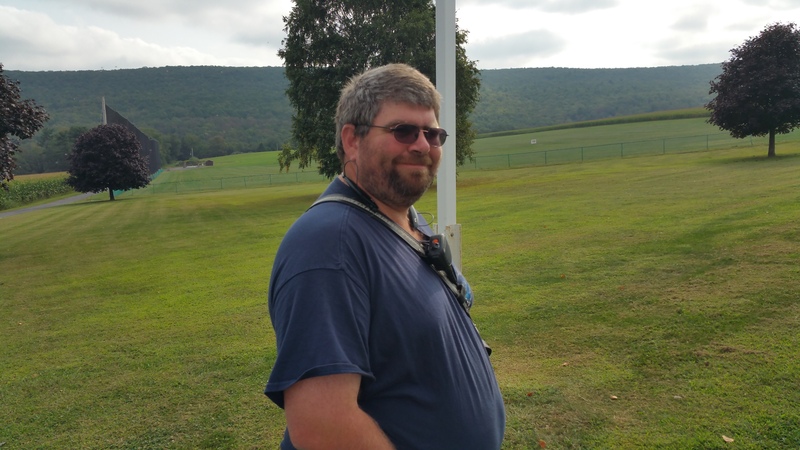 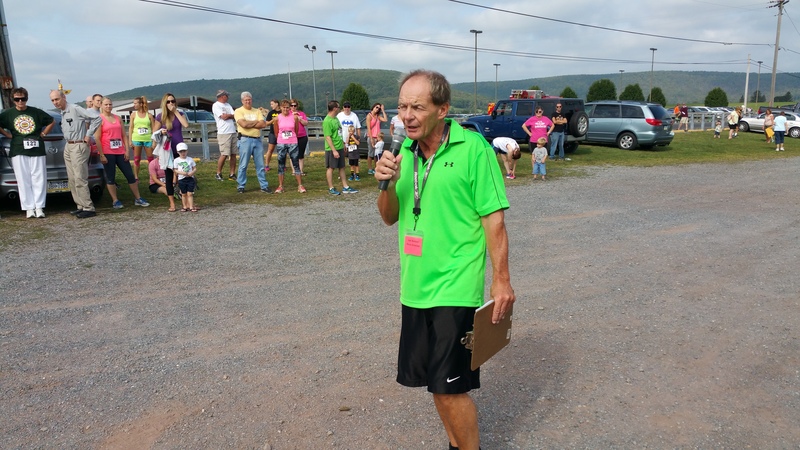 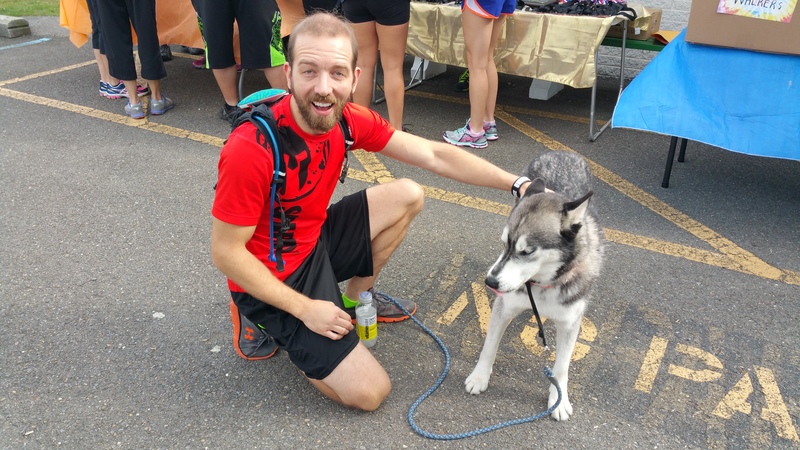 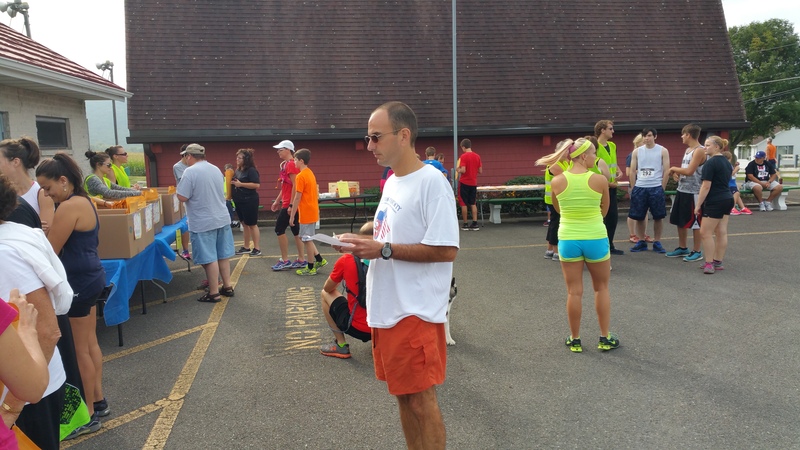 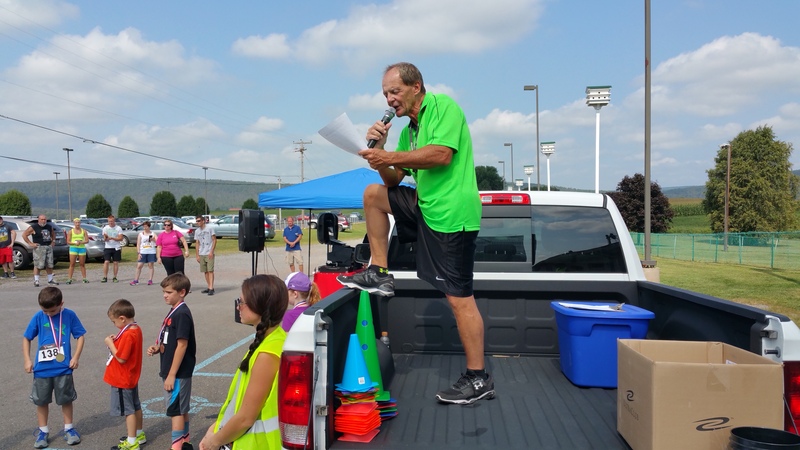 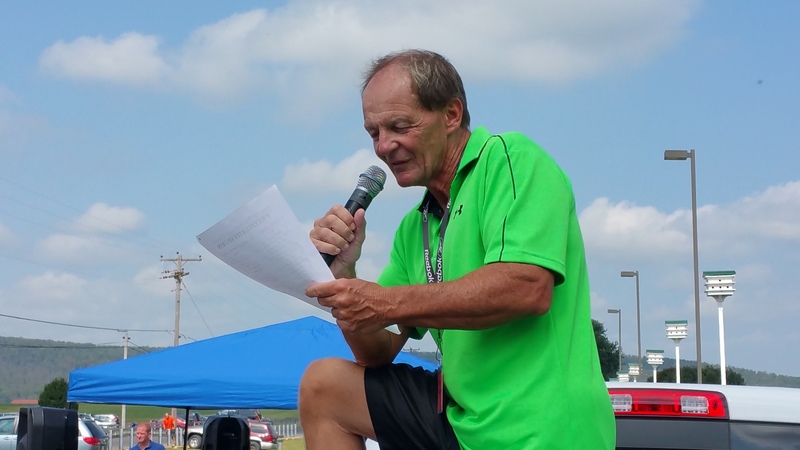 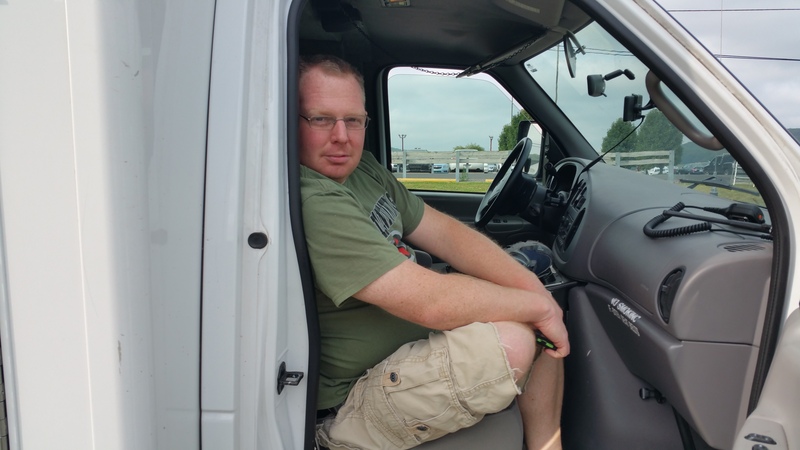 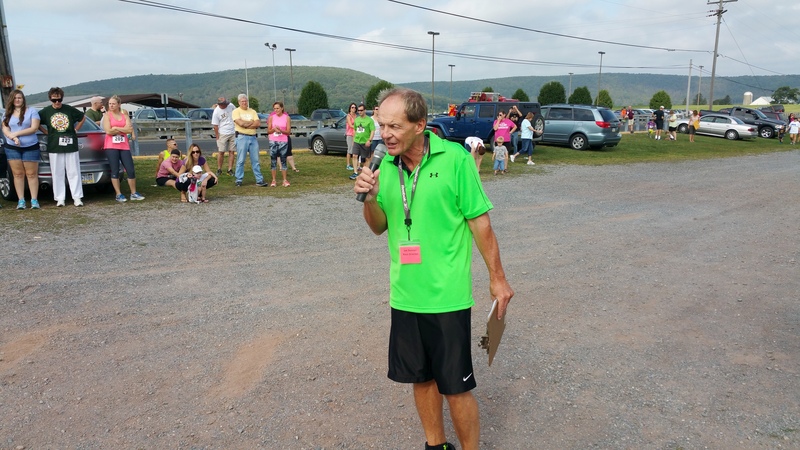 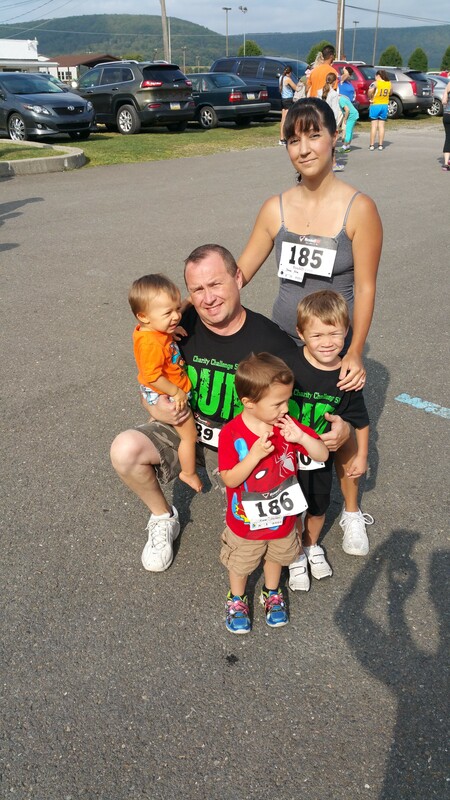 Jon Bonner, race director, billed the race as “the race to benefit everybody”. 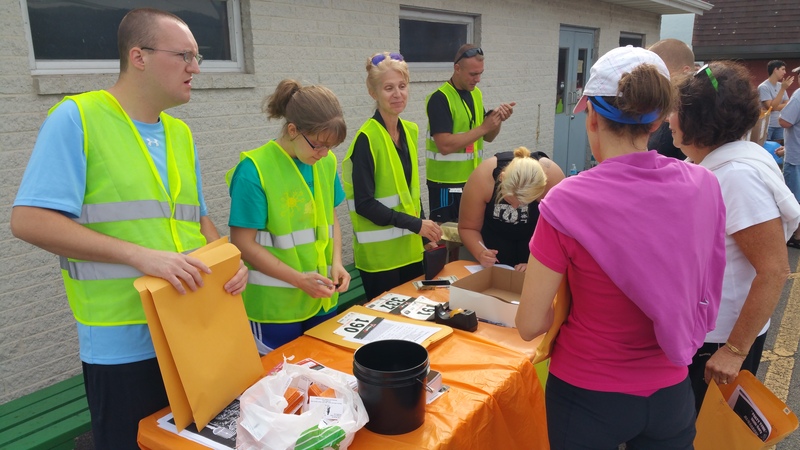 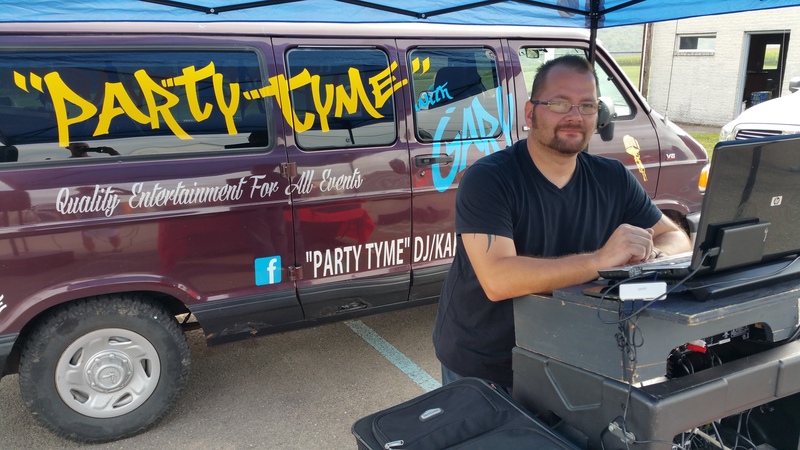 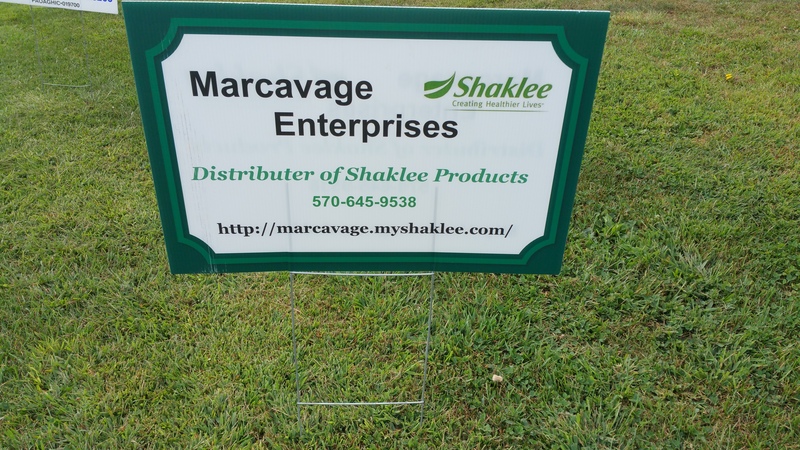 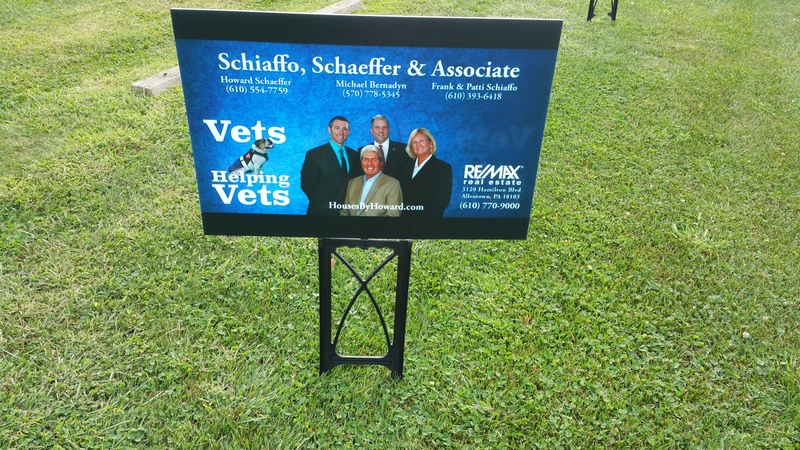 He added that any charity or non-profit organization was able to enter runners or walkers in the event and raise money for their cause by obtaining sponsors. 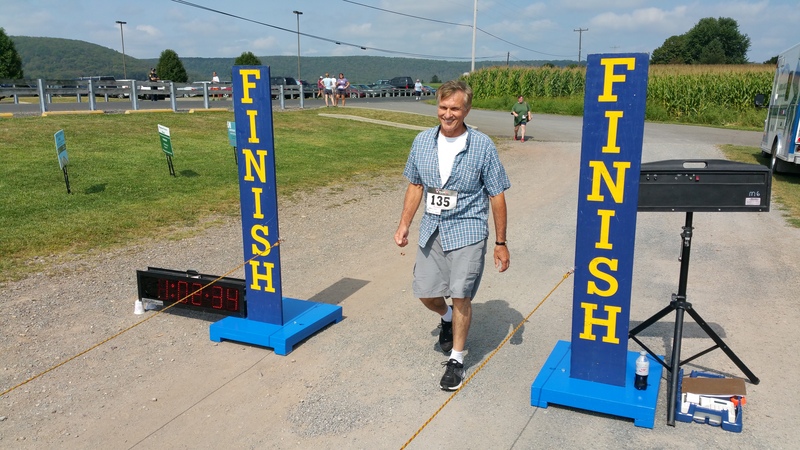 Page down further to view all 500 photos and videos of the event. 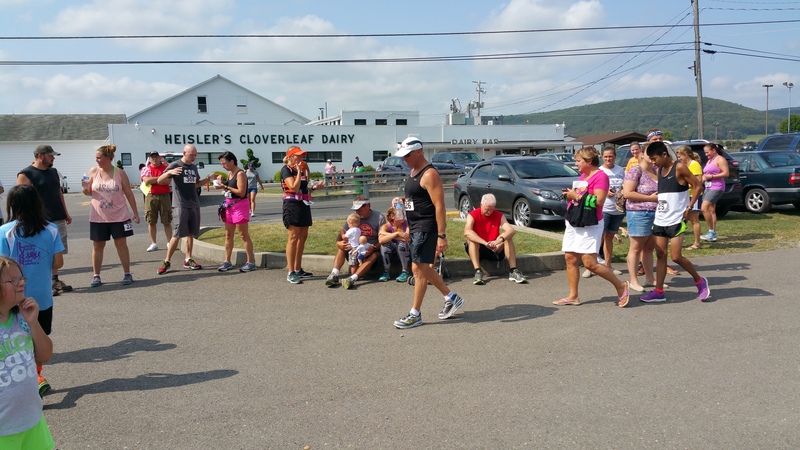 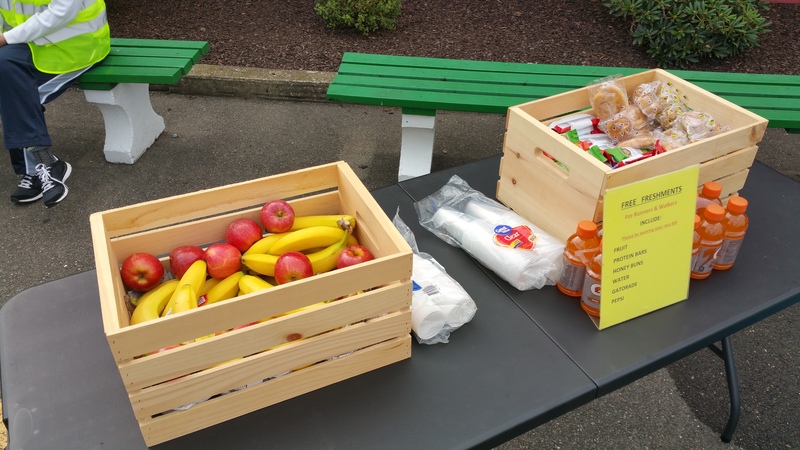 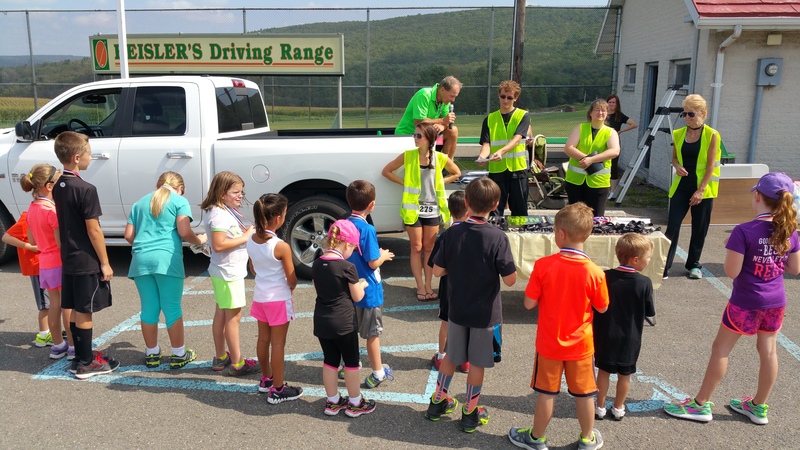 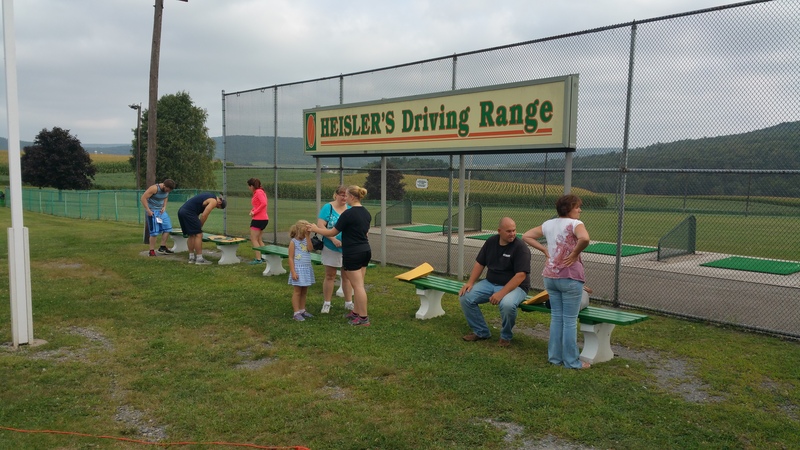 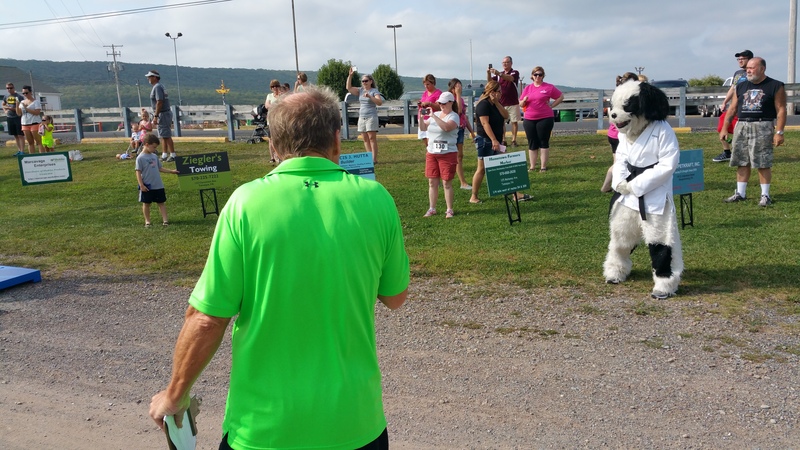 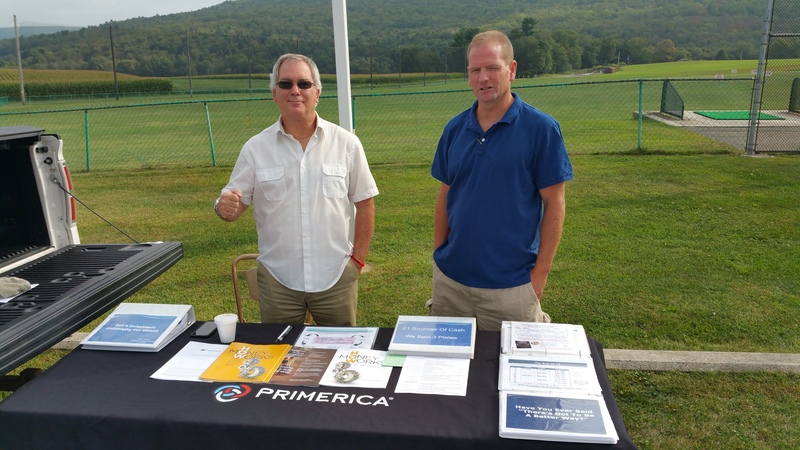 Following the event, participants were treated to free ice cream sundaes via Heisler’s Dairy Bar. 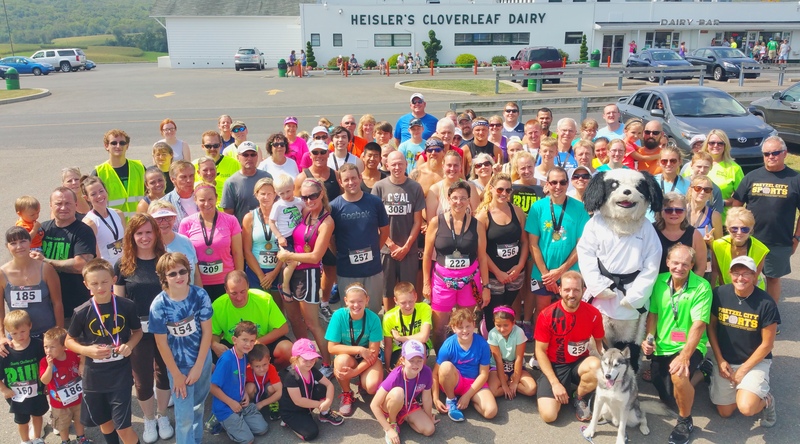 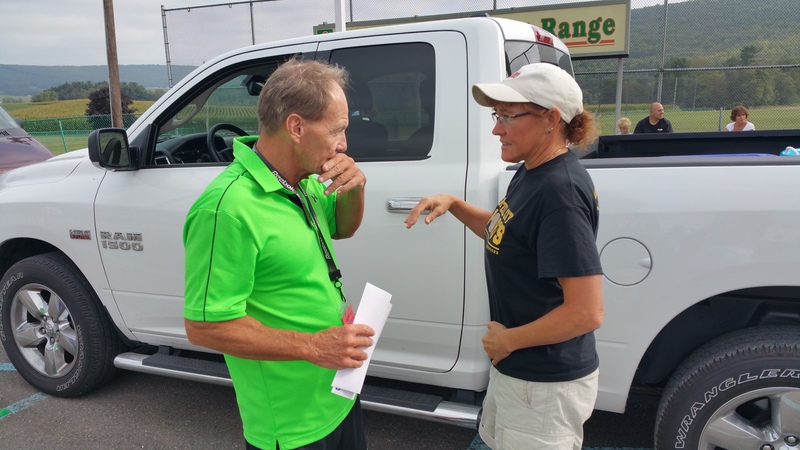 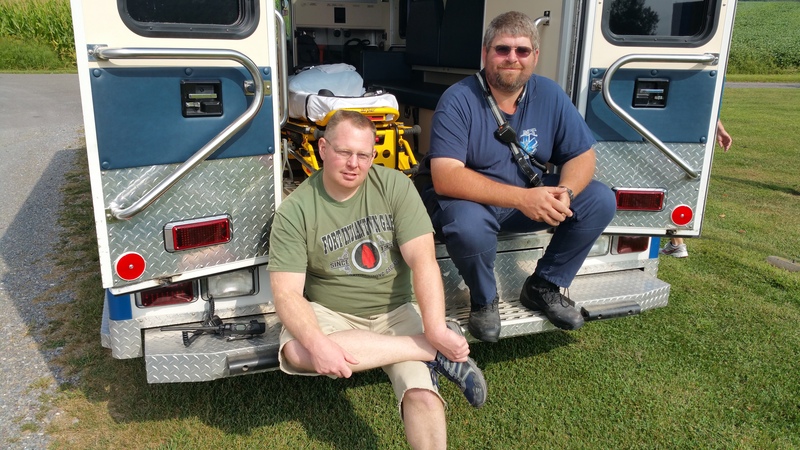 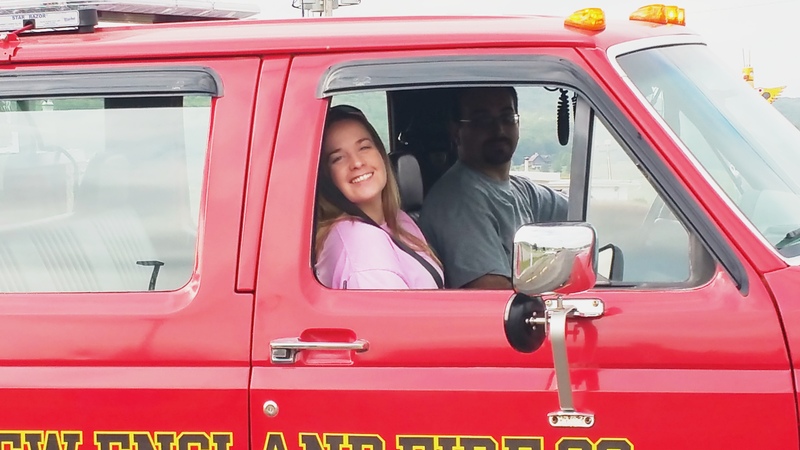 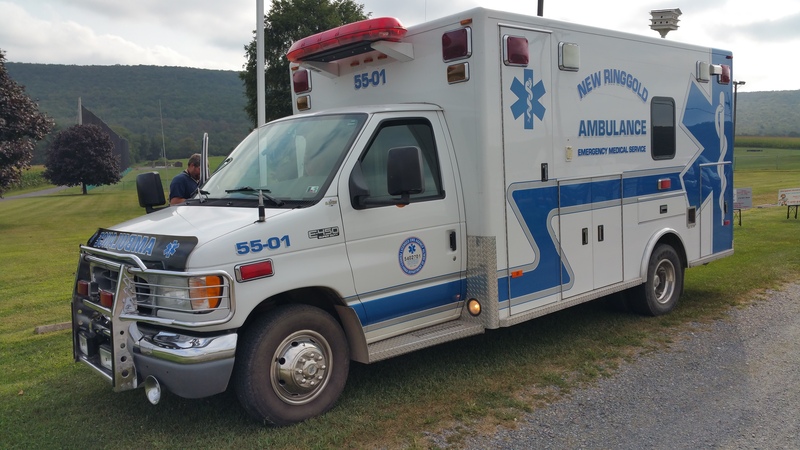 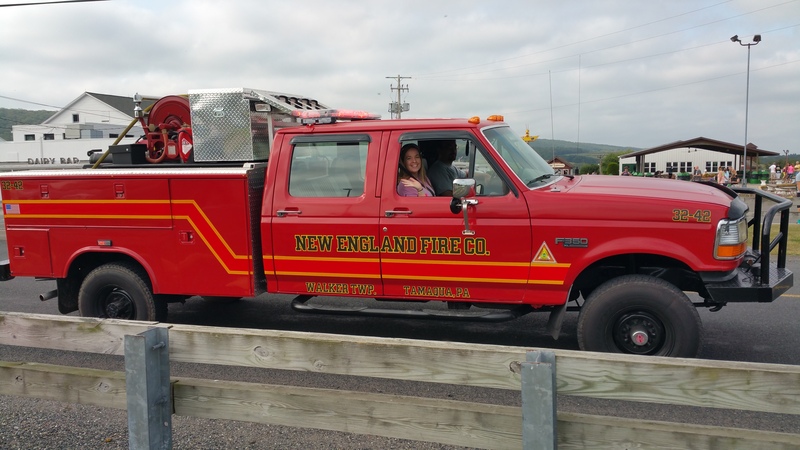 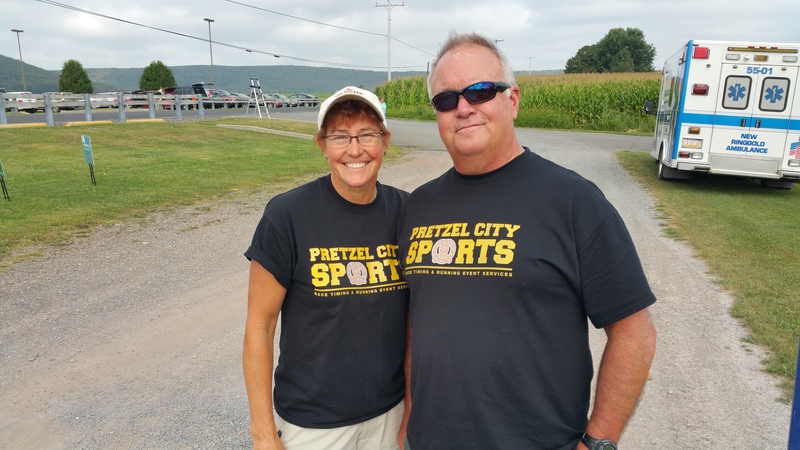 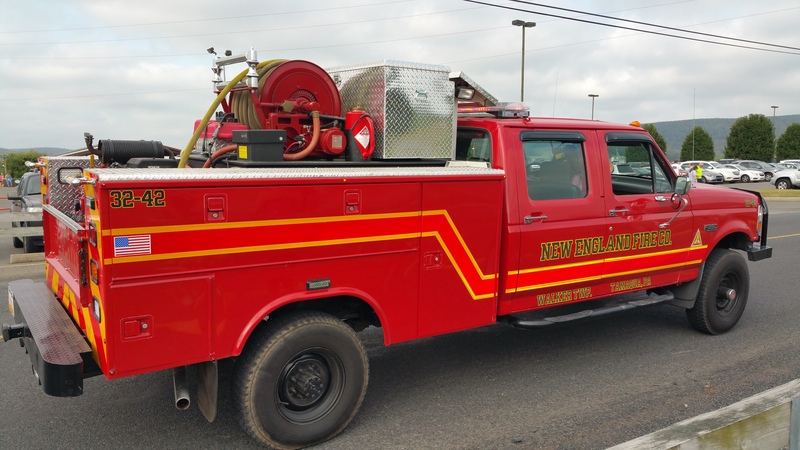 Bonner stated his appreciation to Heisler’s Dairy Bar, New England Fire Company, New Ringgold Ambulance, Pretzel City Sports, event sponsors, supporters, participants and volunteers. 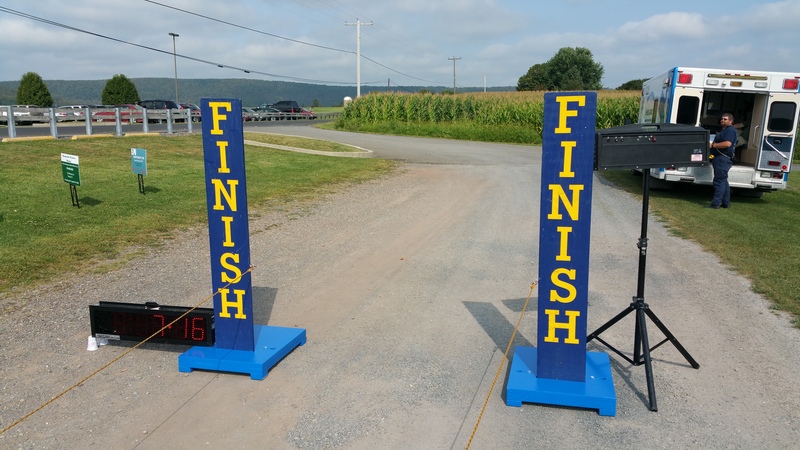 Winners of the race are given the opportunity to give to the charity of their own choice. 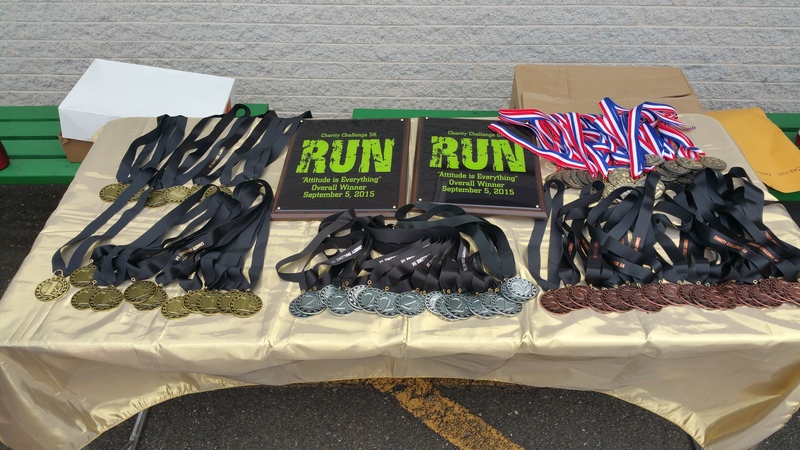 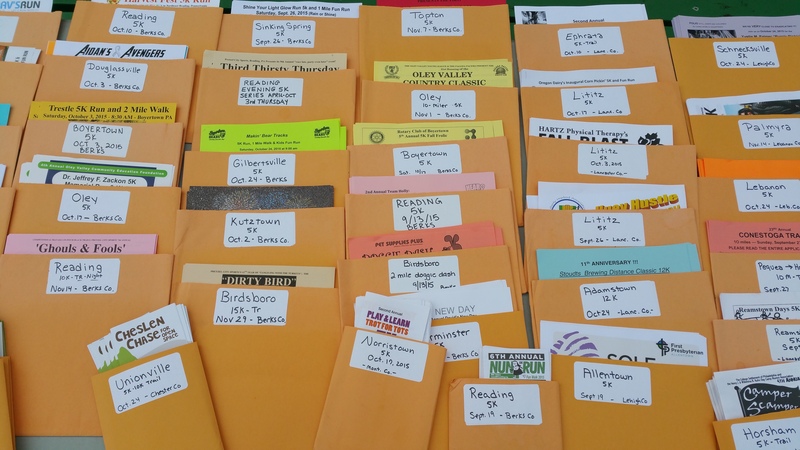 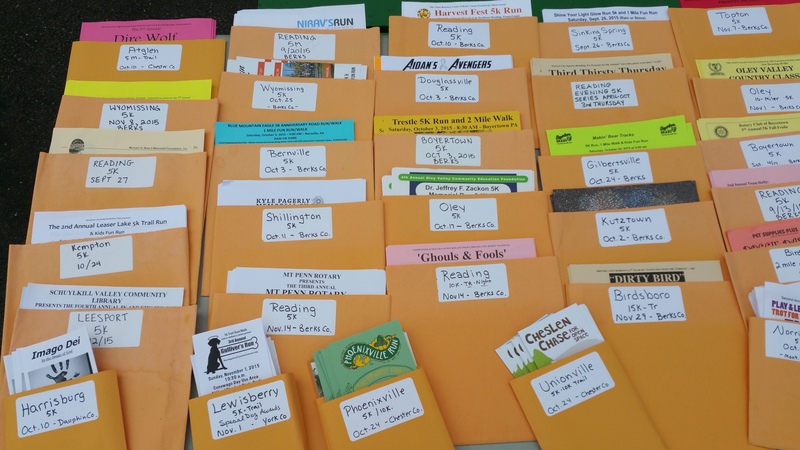 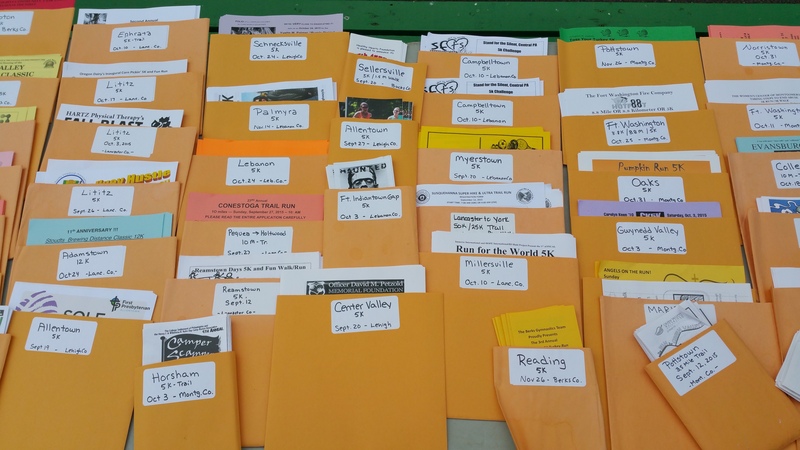 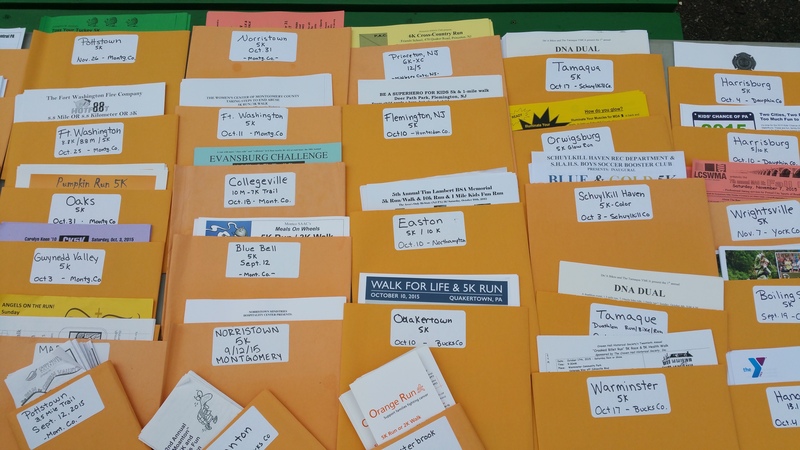 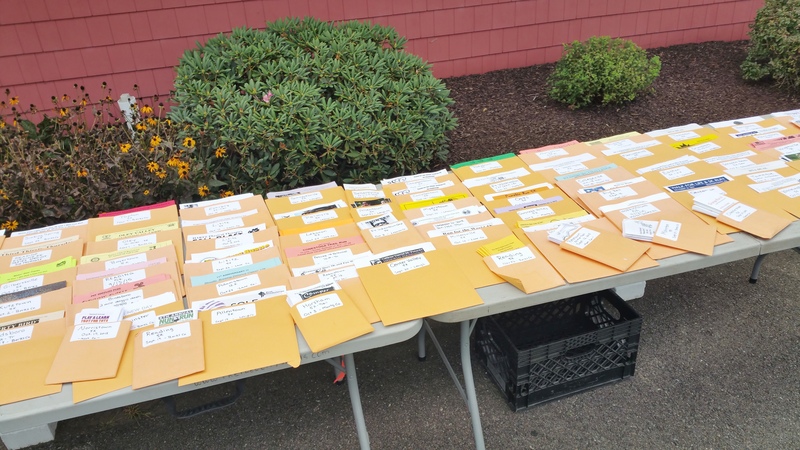 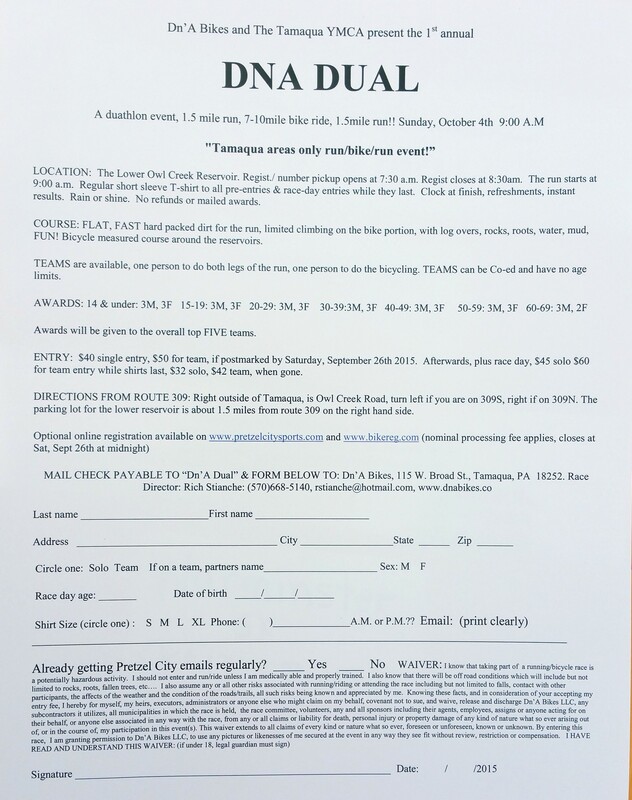 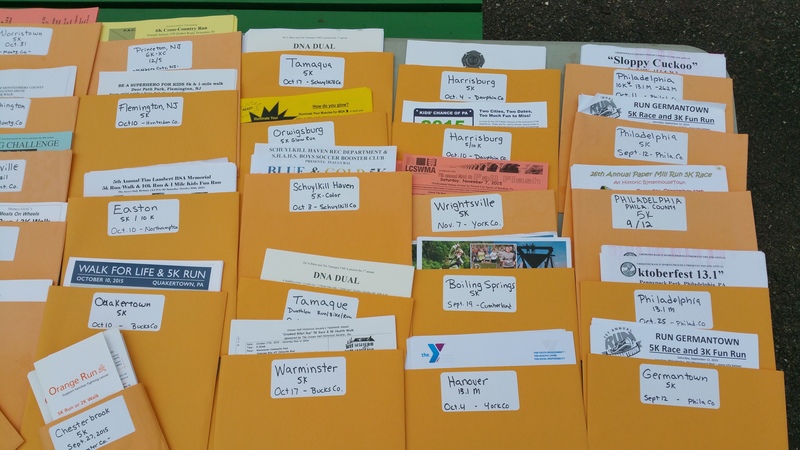 For more information on next year’s races, check the race website for complete information, registration forms, sponsor sheets, et., or contact Bonner at (570) 778-6970 for more information and assistance. 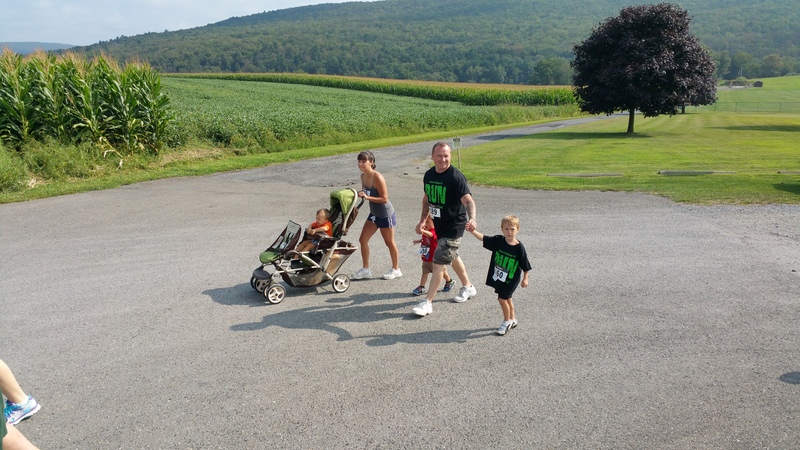 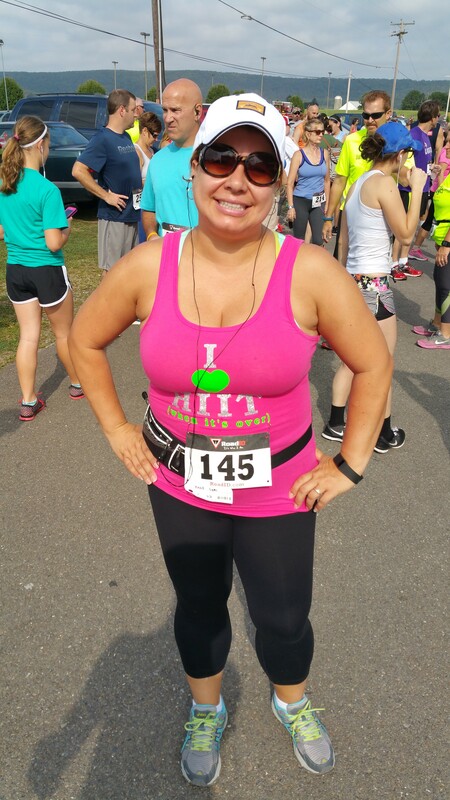 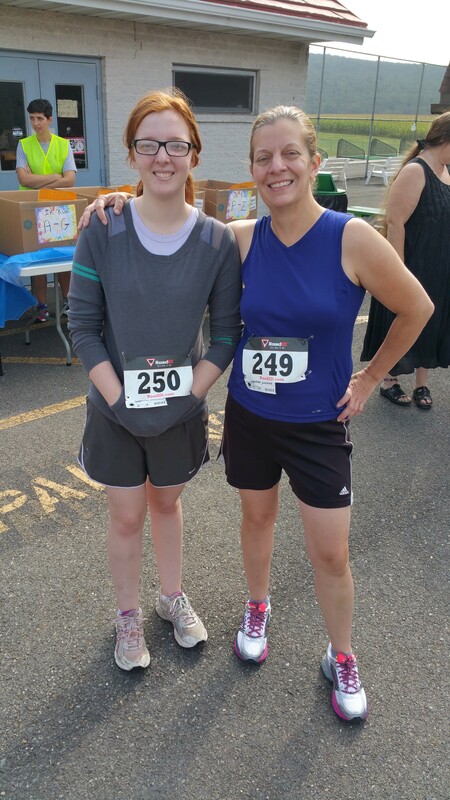 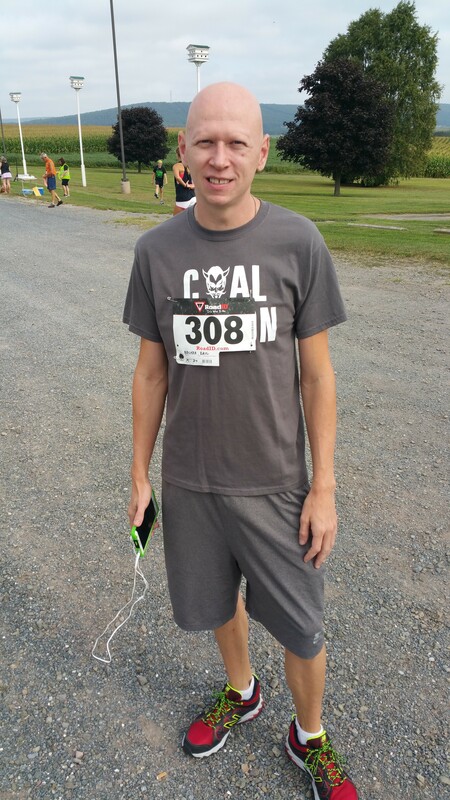 The event’s website is http://www.CharityChallenge5k.com. 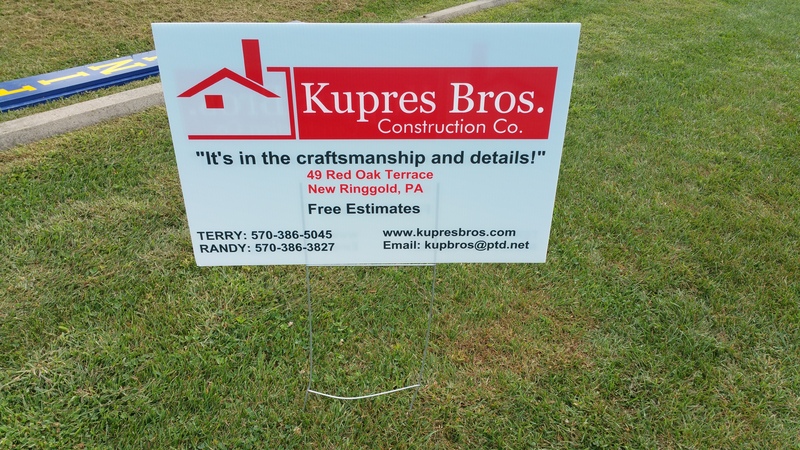 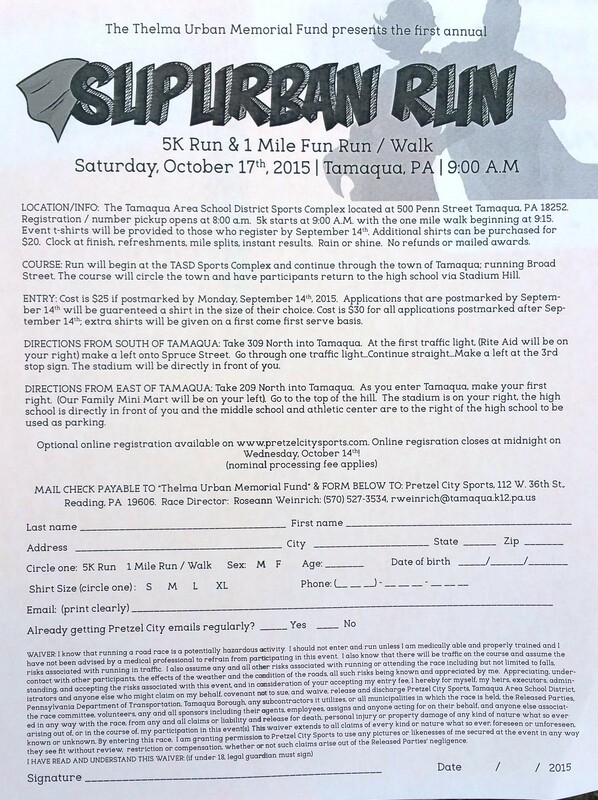 More information can also be found on the event’s Facebook page at https://www.facebook.com/charitychallenge5ktamaquapa. 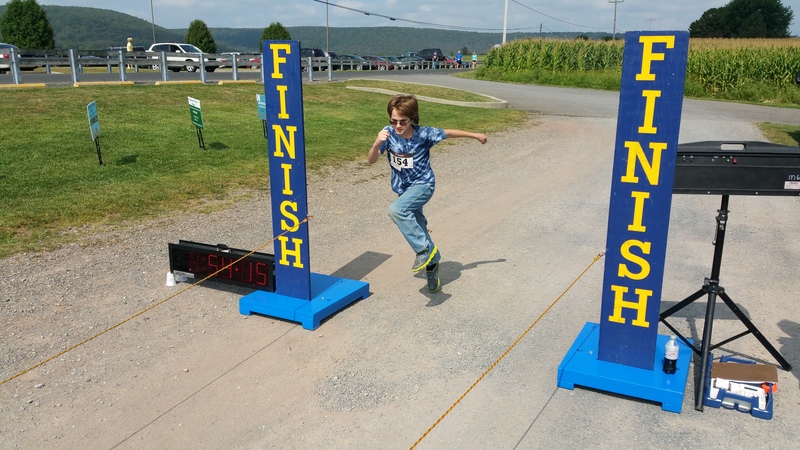 Page down all the way to view photo and video of Kids Fun Run. 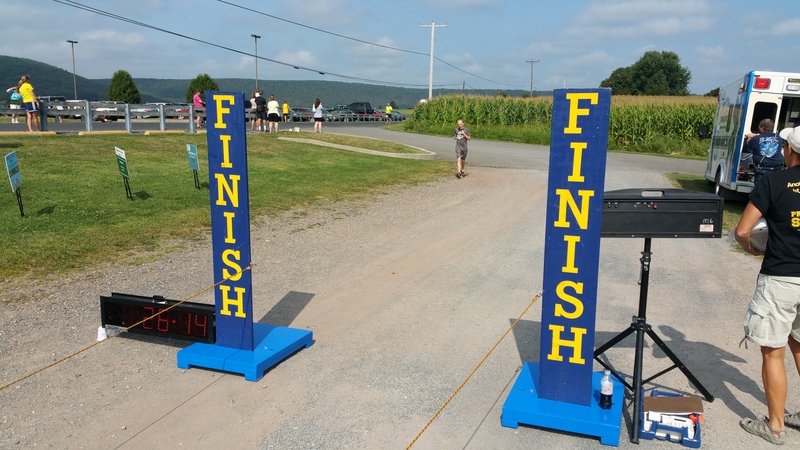 Page down all the way to view photos and video of Kids Fun Run.